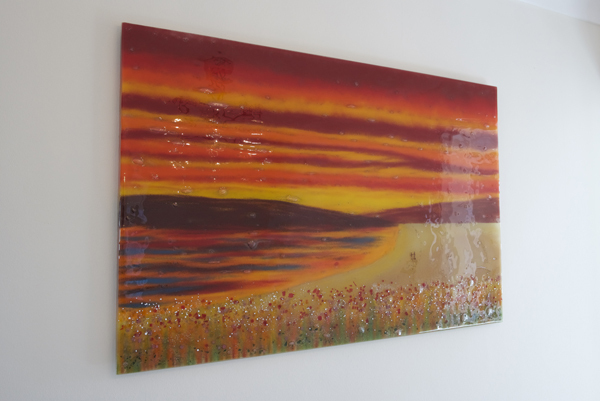 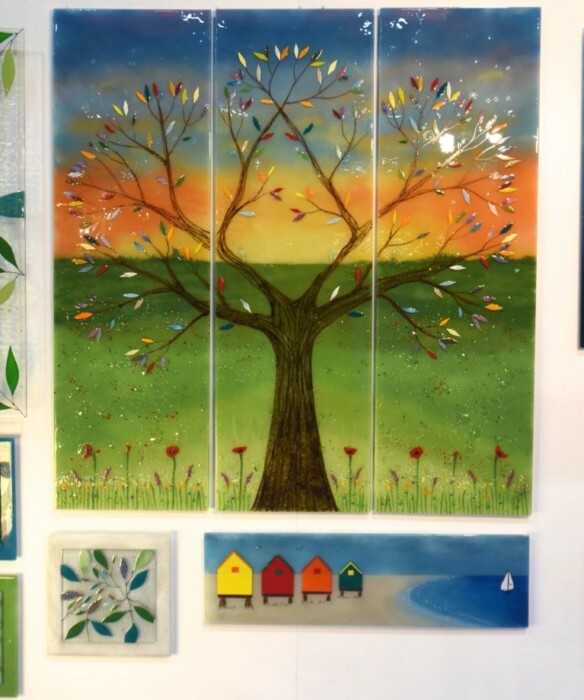 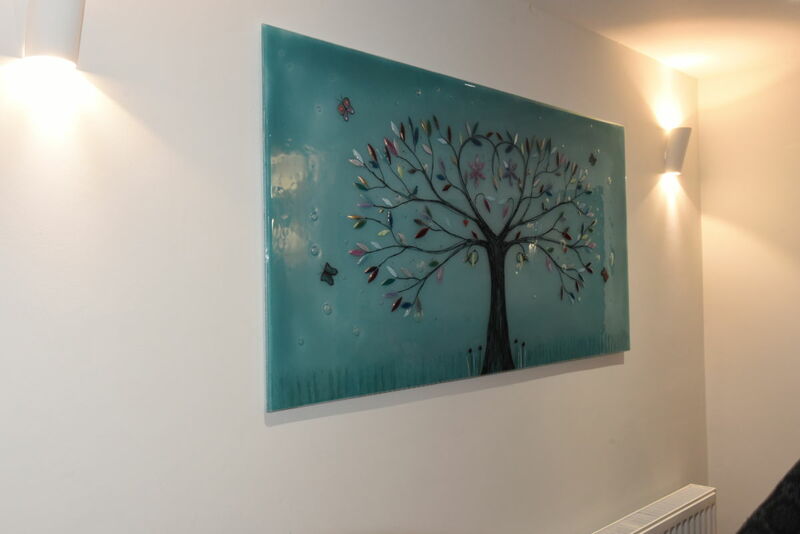 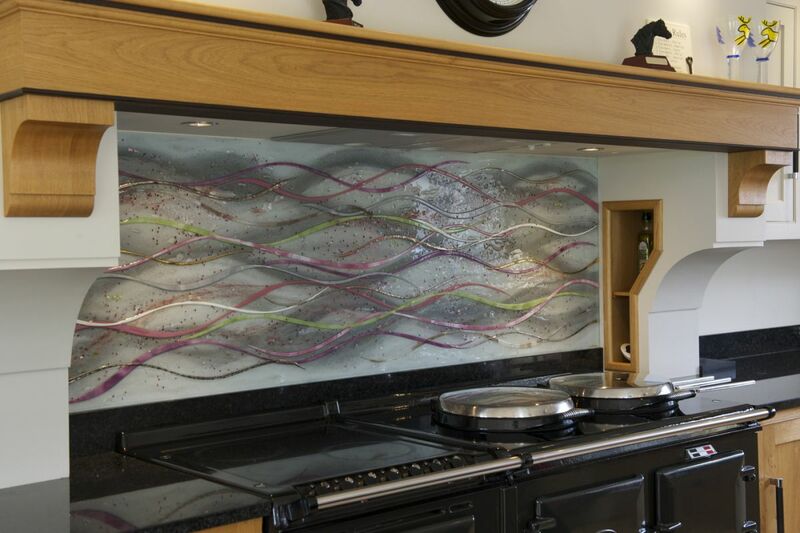 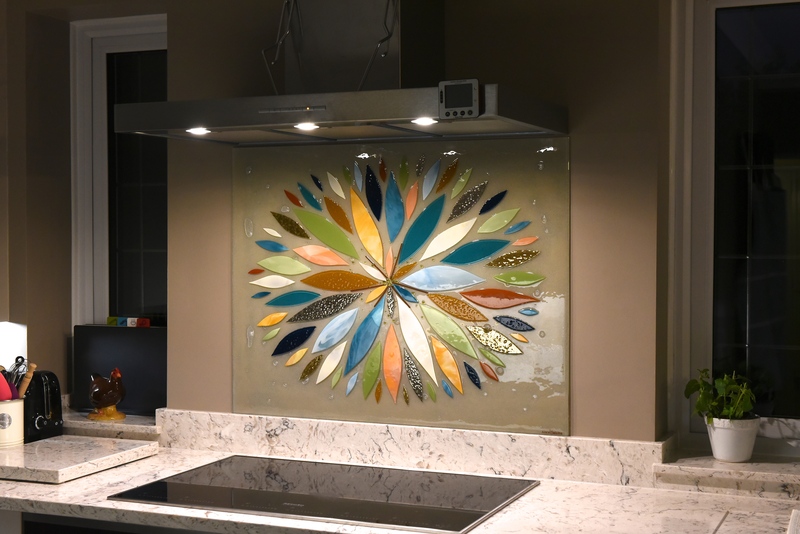 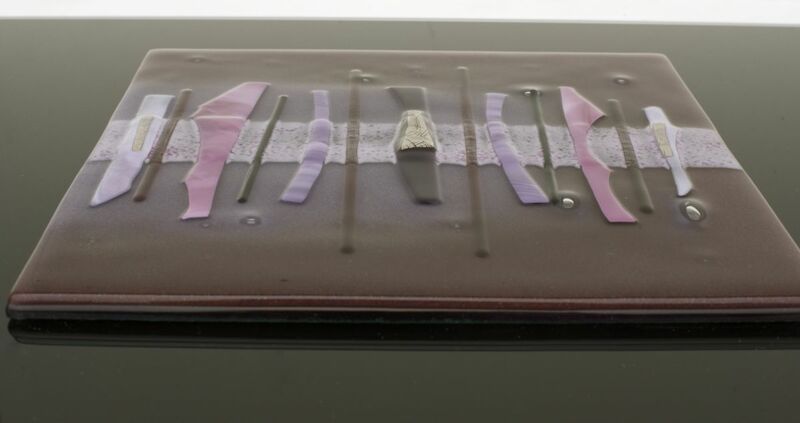 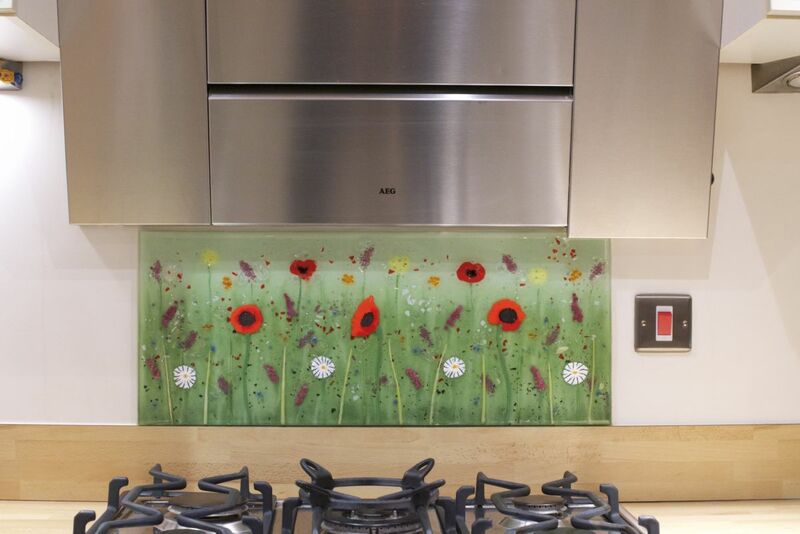 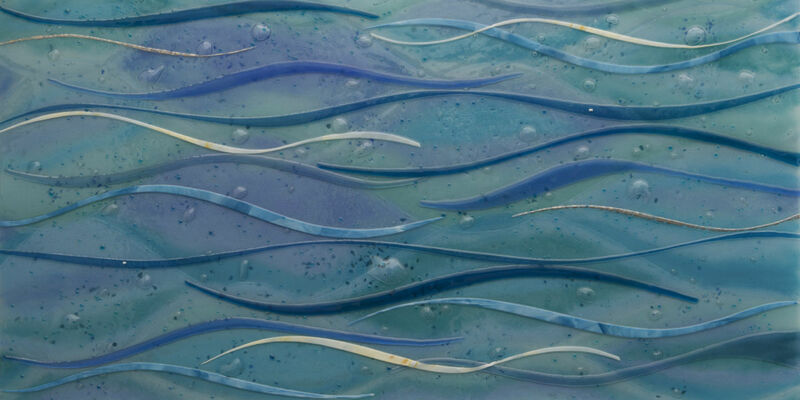 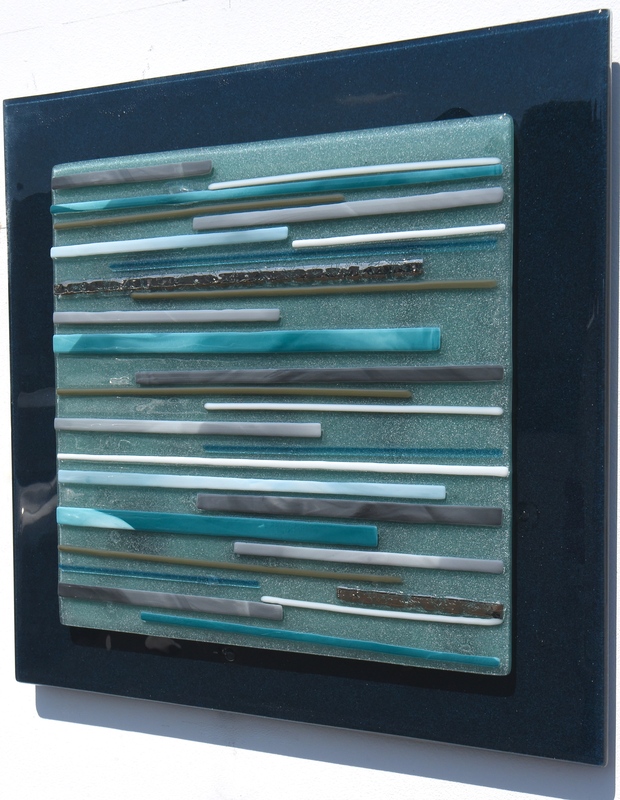 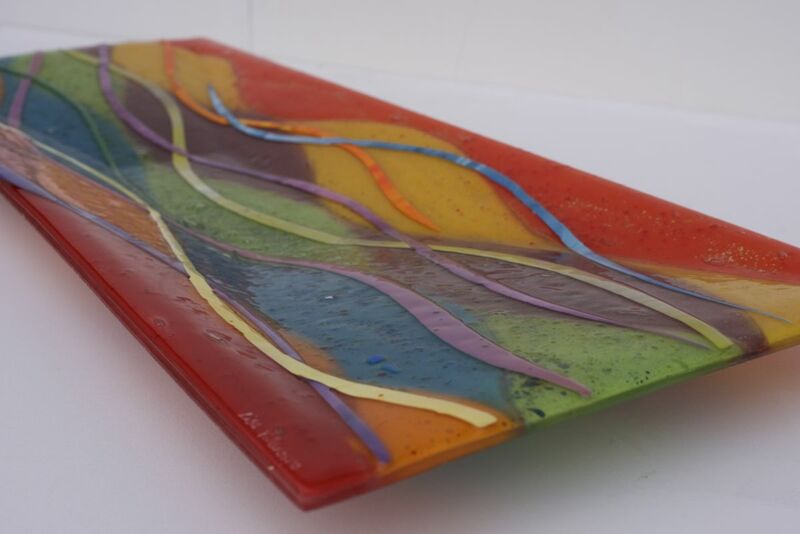 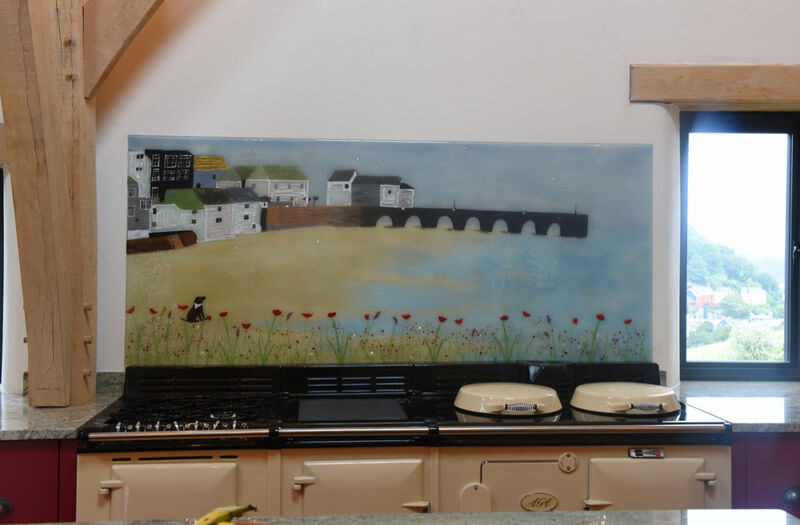 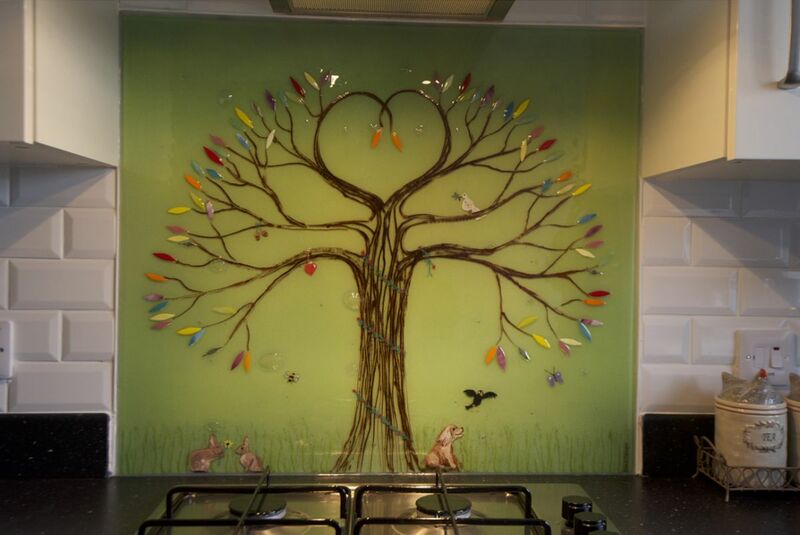 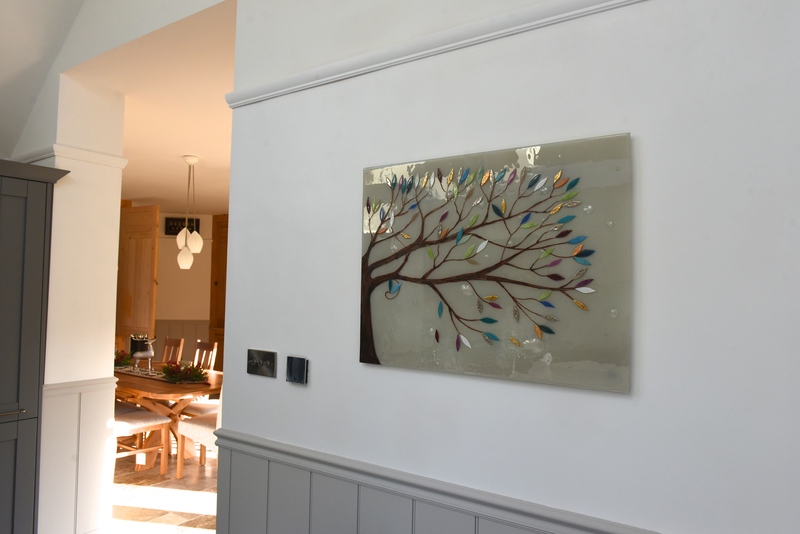 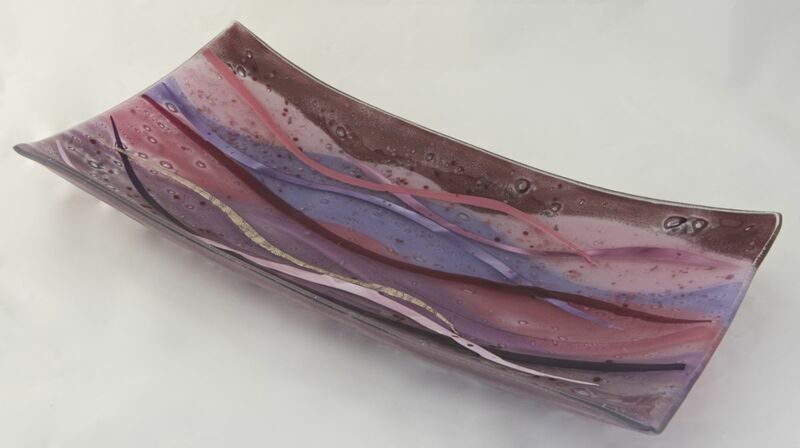 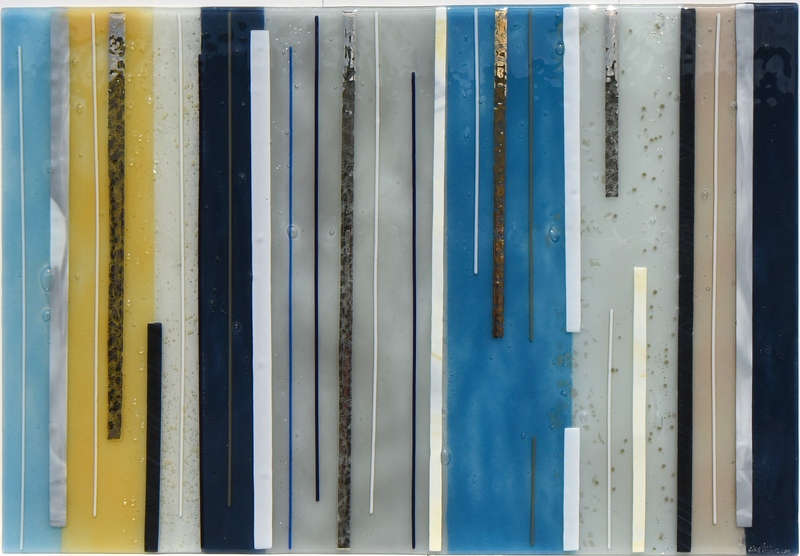 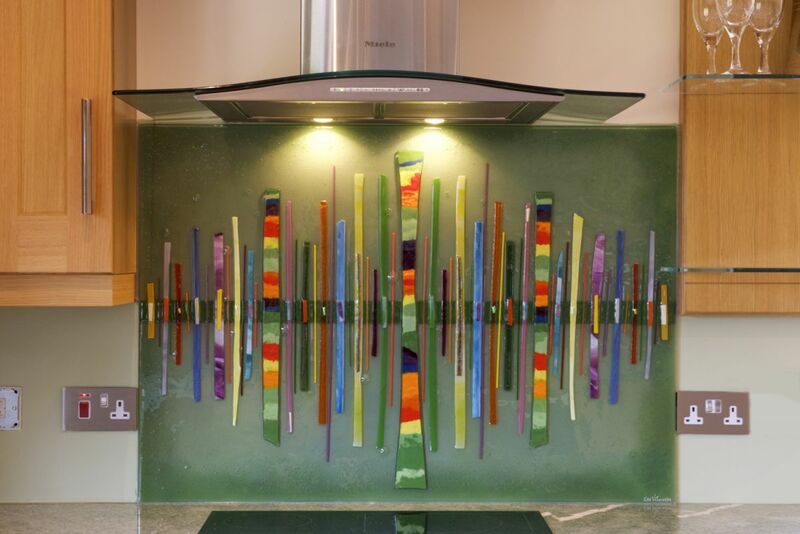 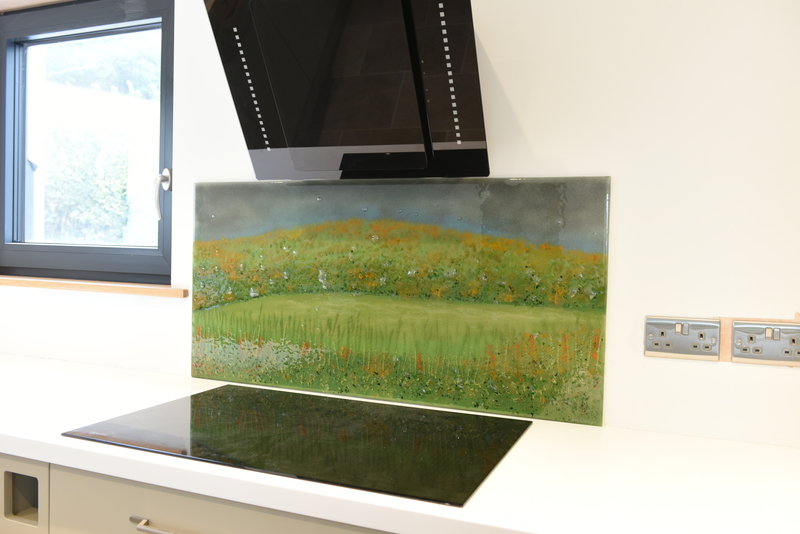 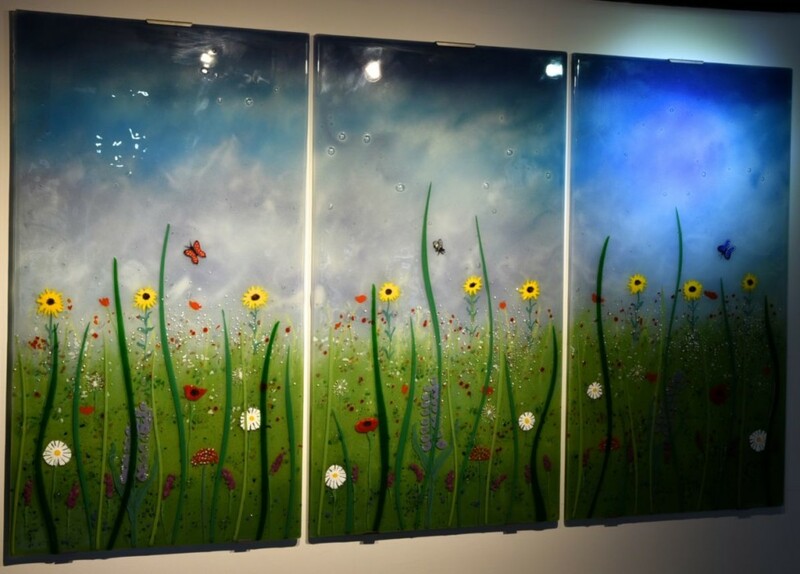 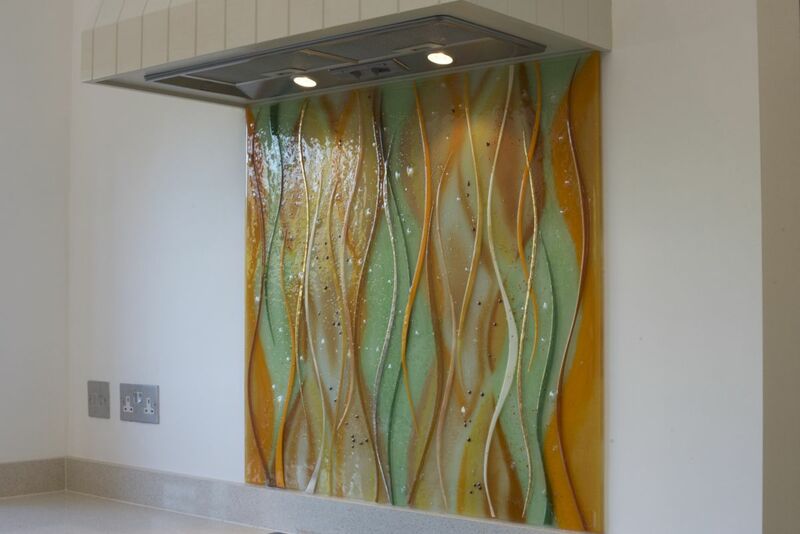 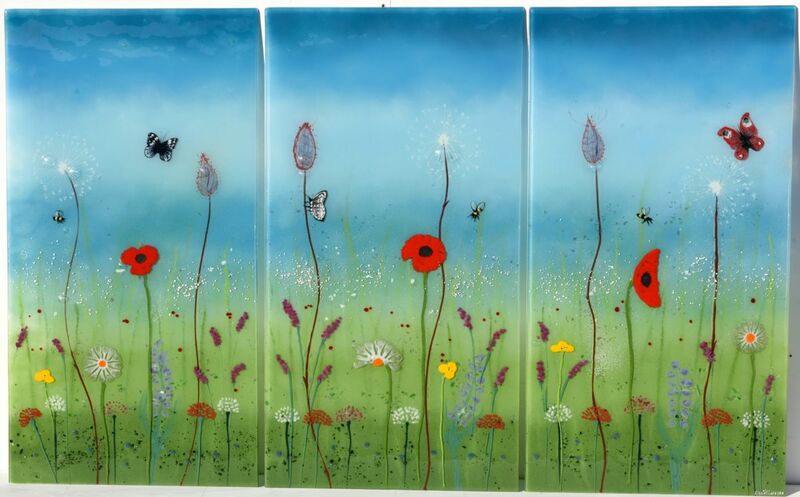 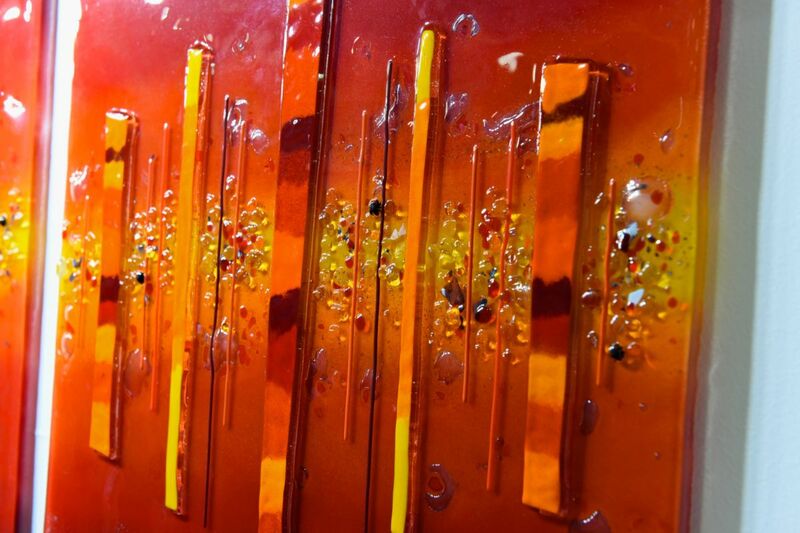 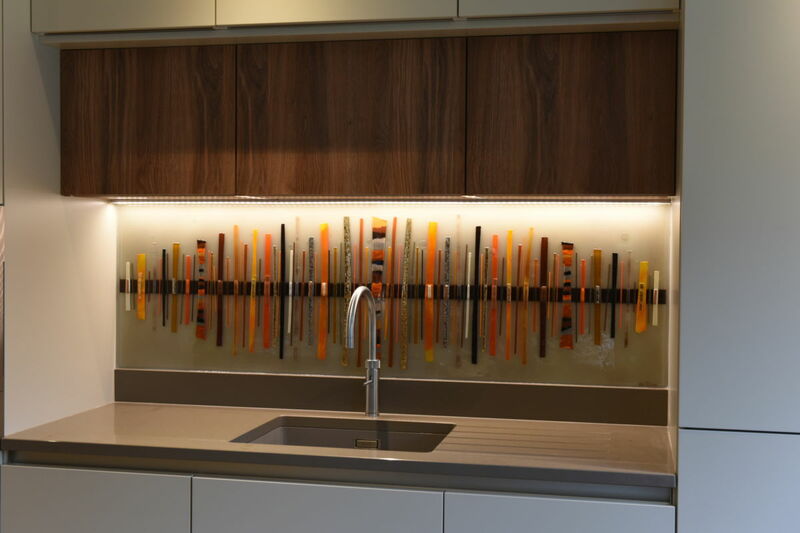 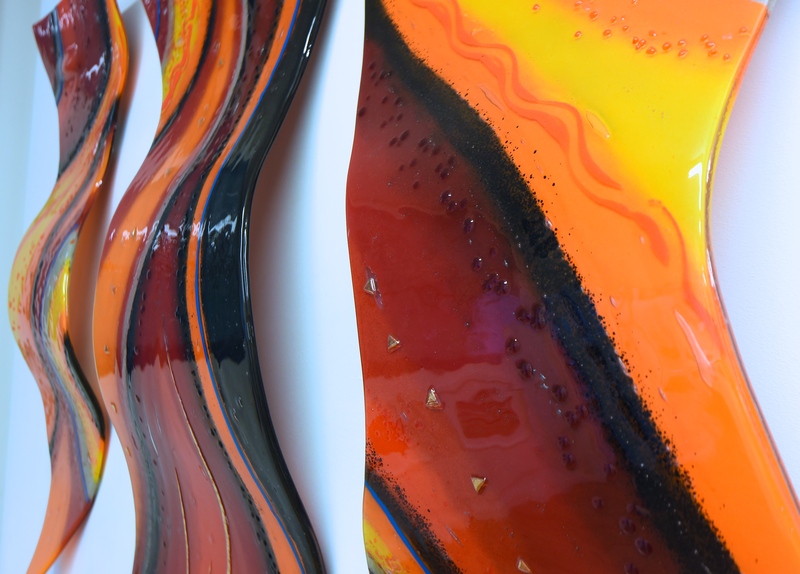 This gorgeous fused glass wall art was a piece featured front and centre as part of our 2018 annual sale. 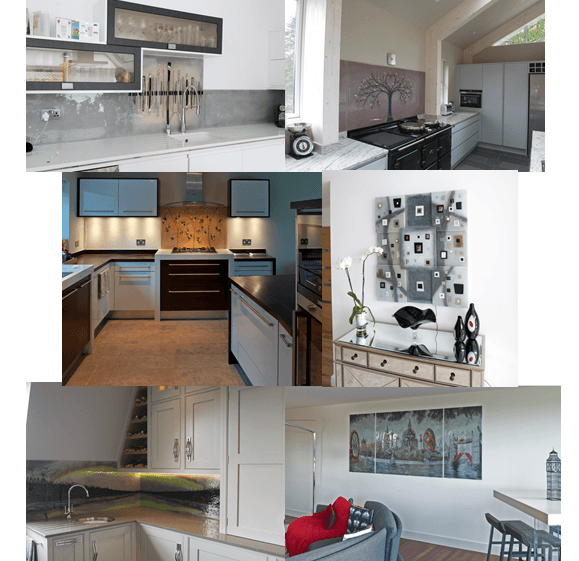 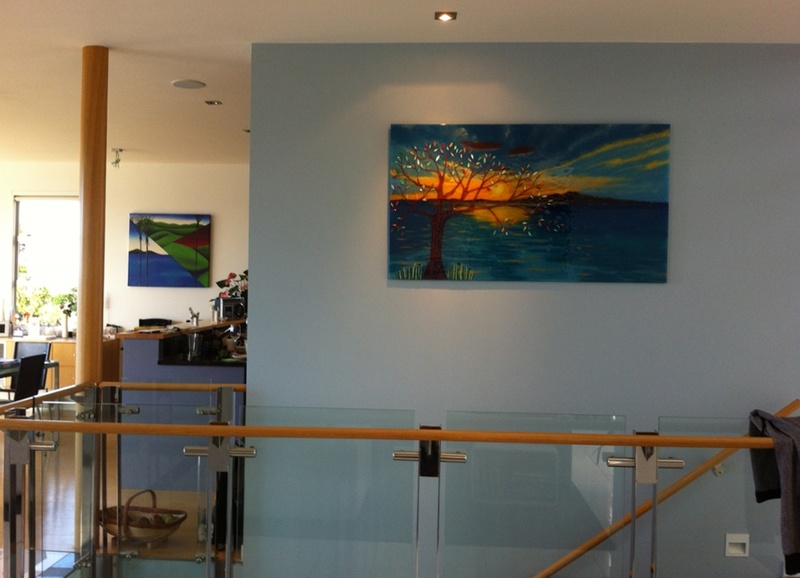 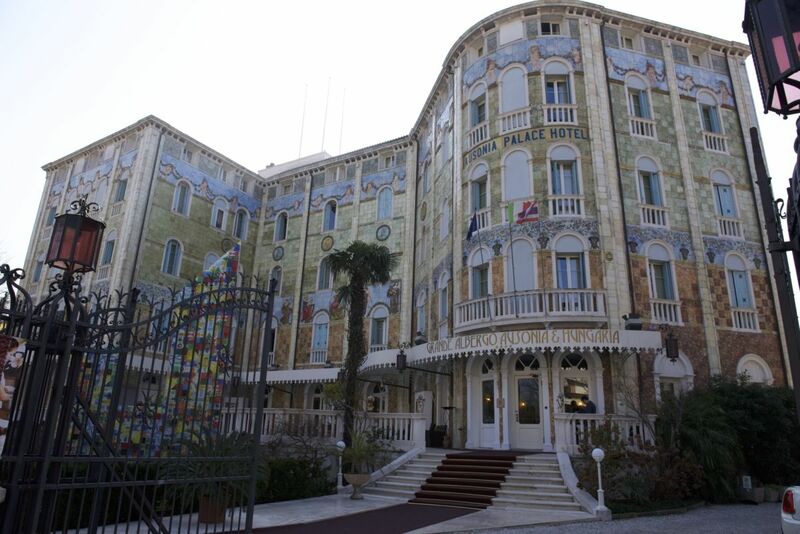 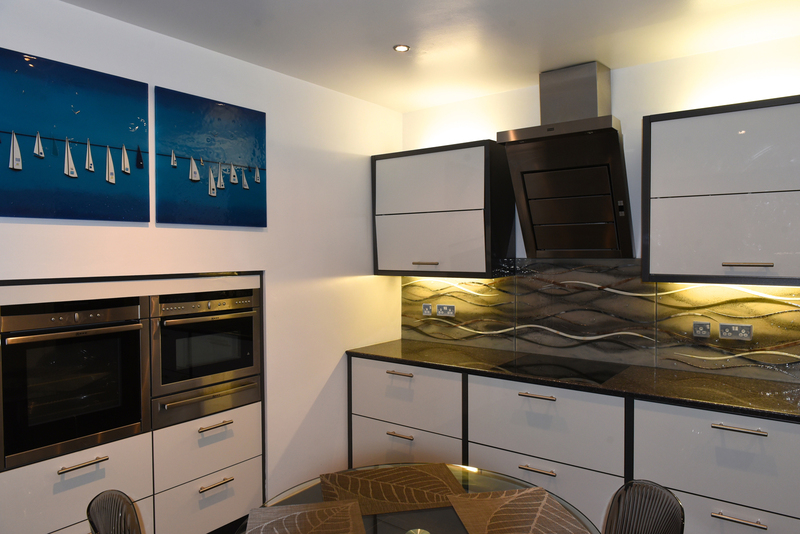 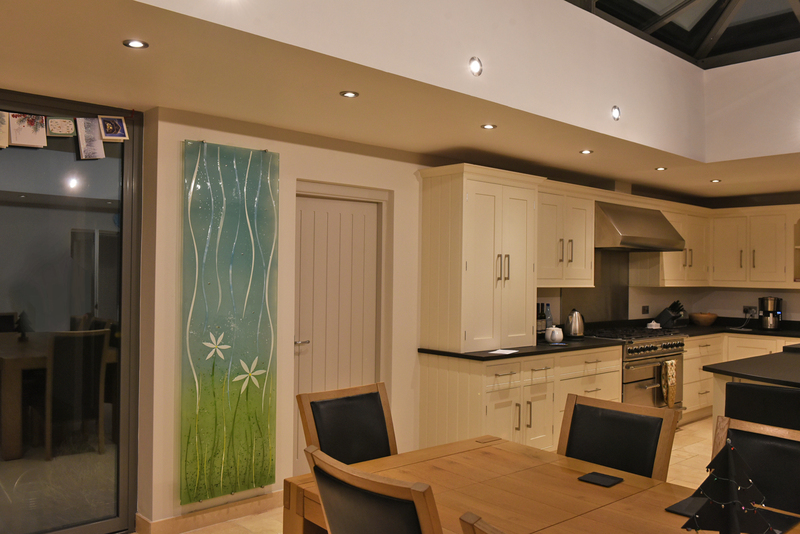 As you might be able to tell from the image above, however, it’s no longer in our showroom. 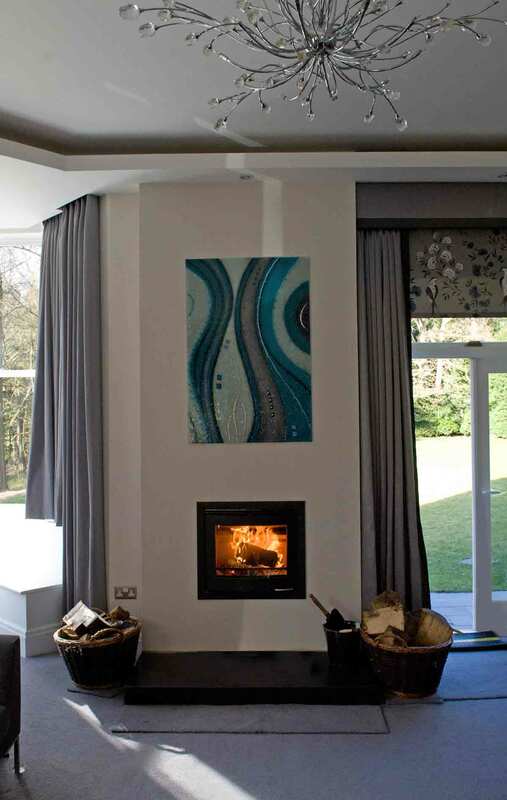 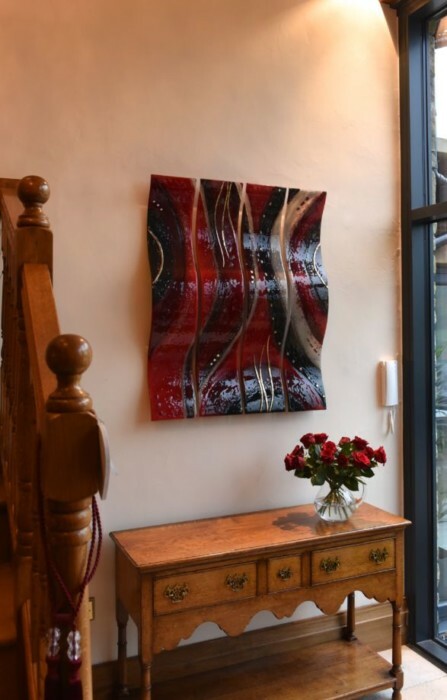 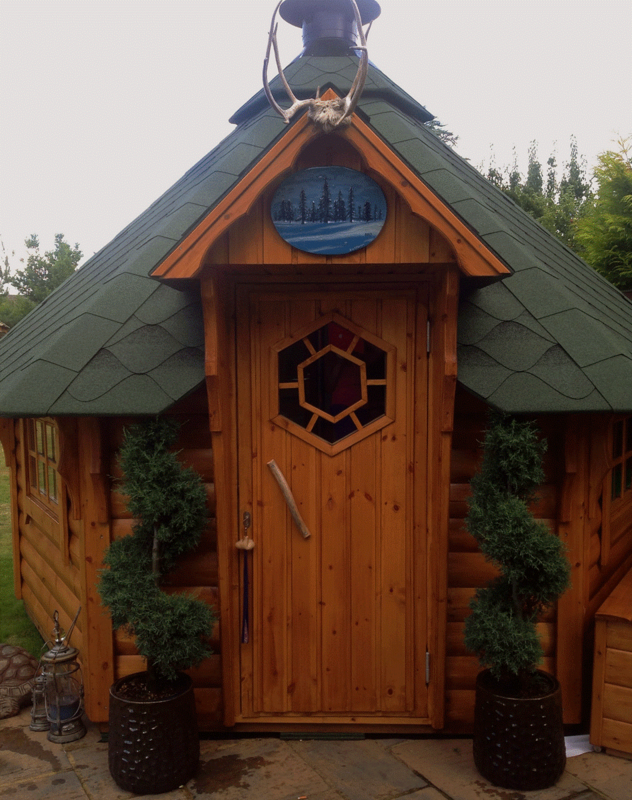 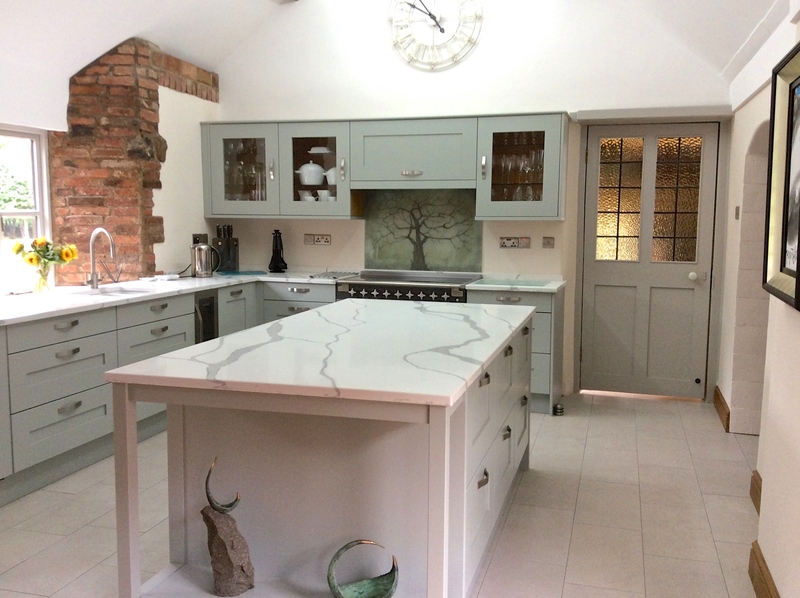 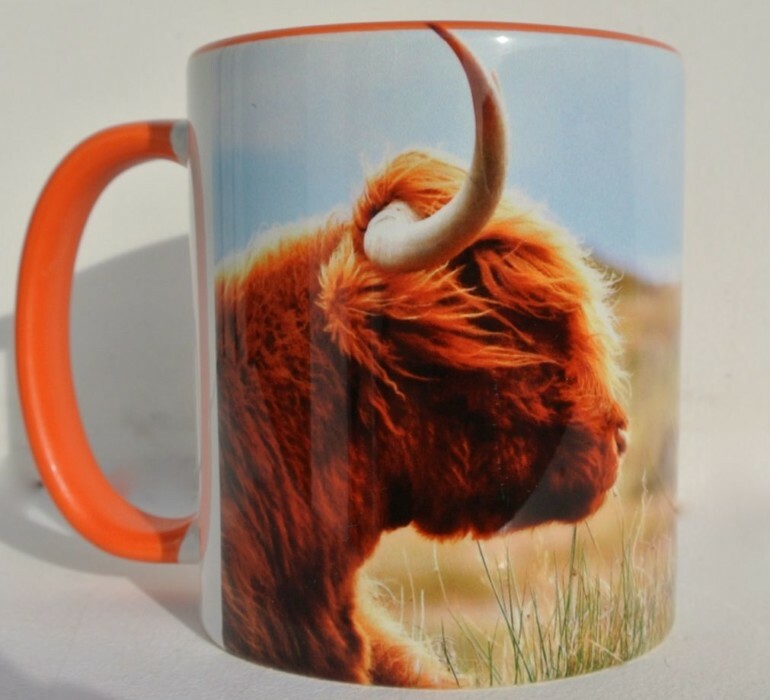 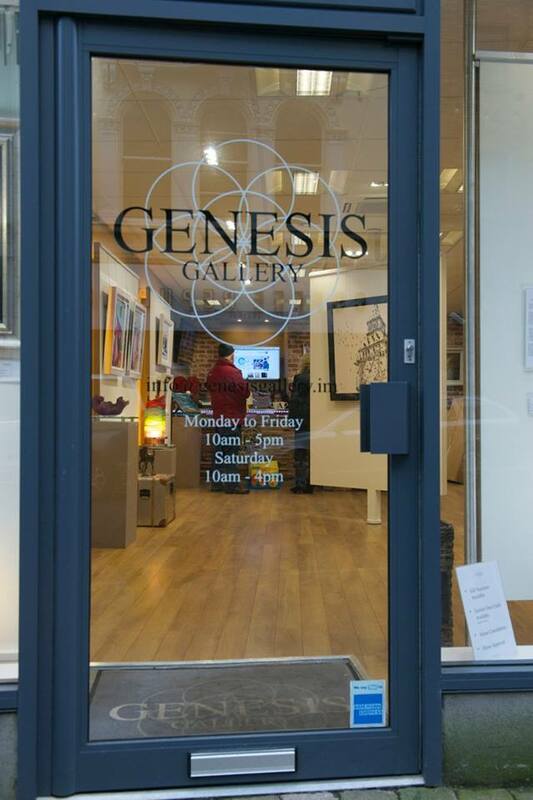 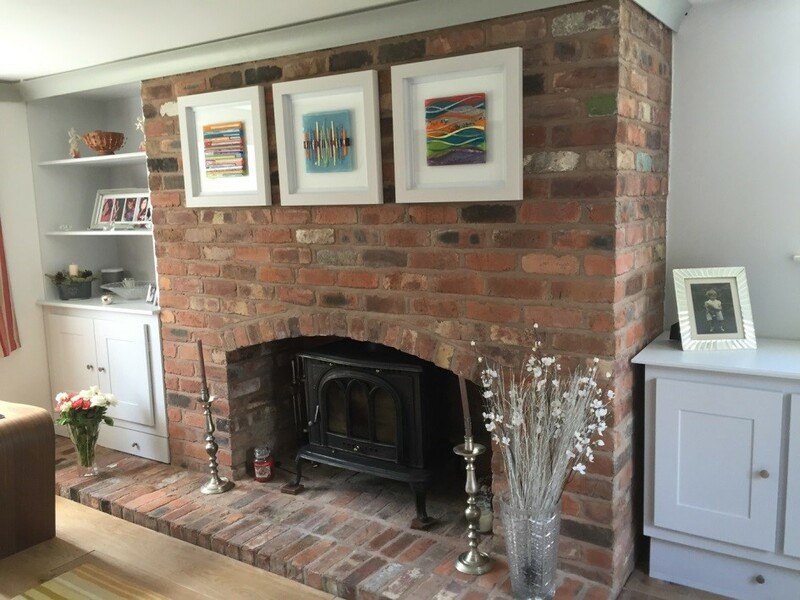 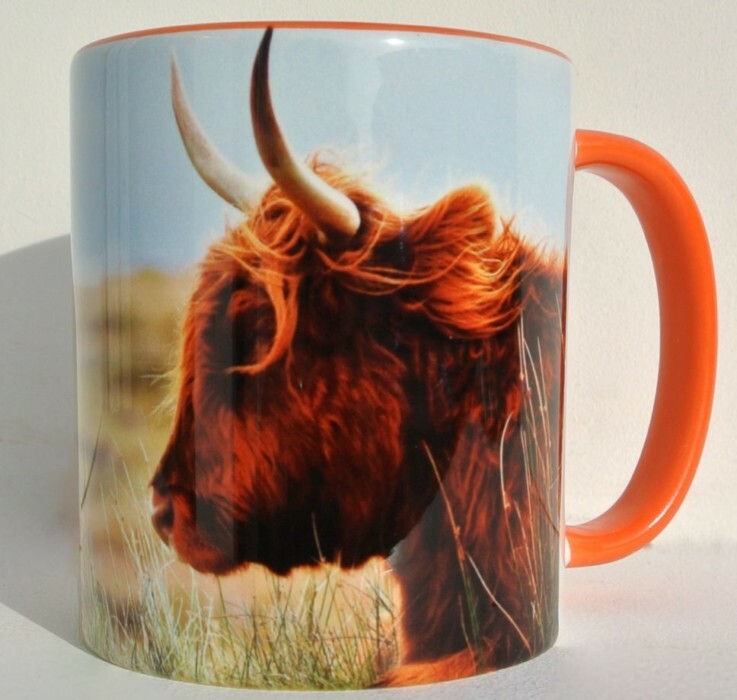 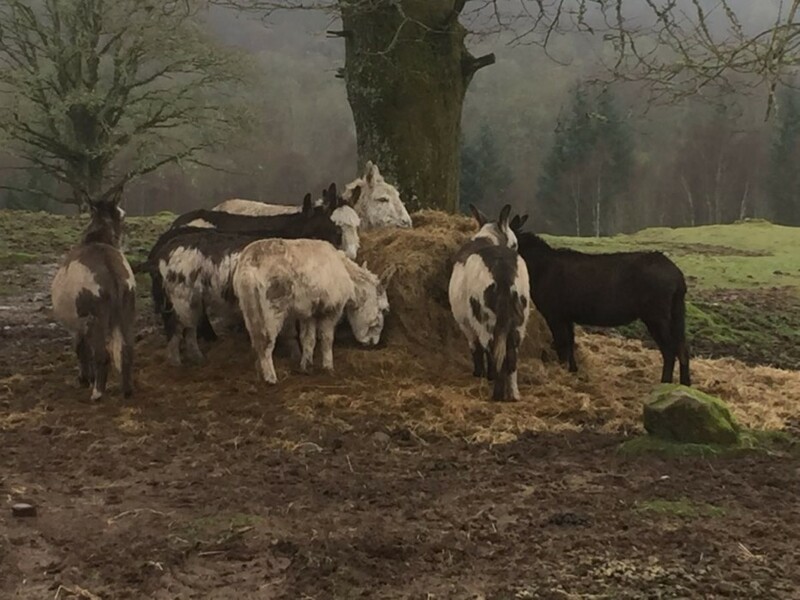 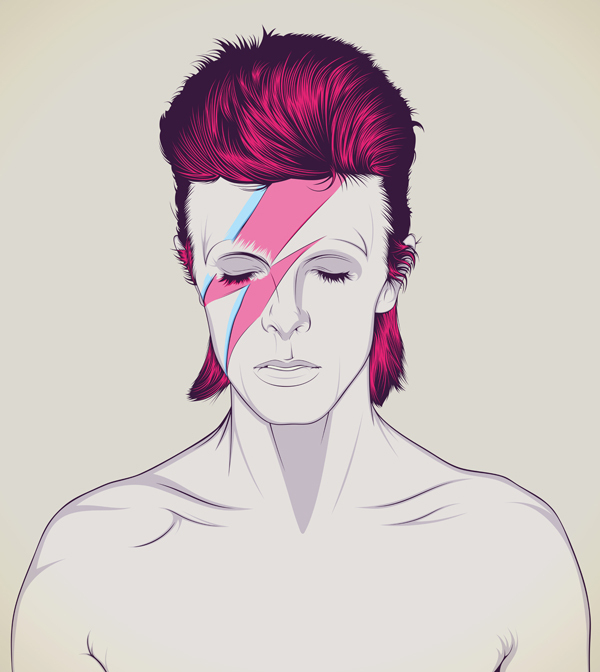 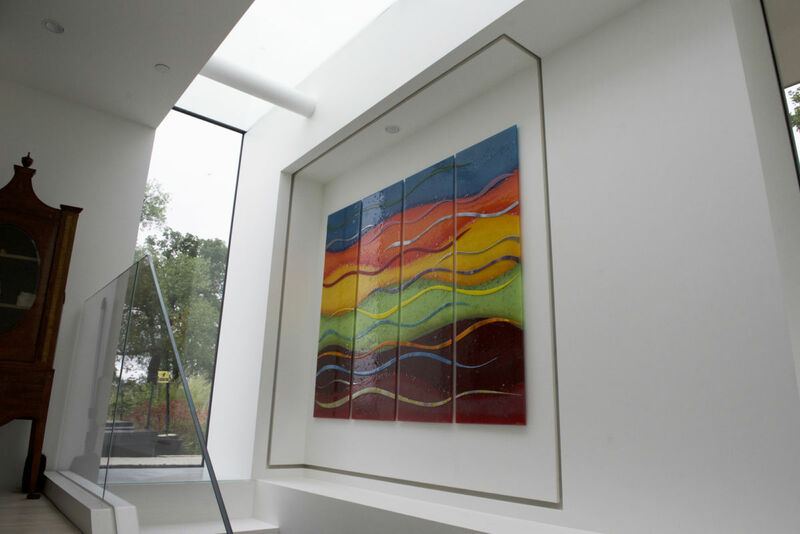 That’s because it’s found a new home in Alderley Edge, Cheshire! 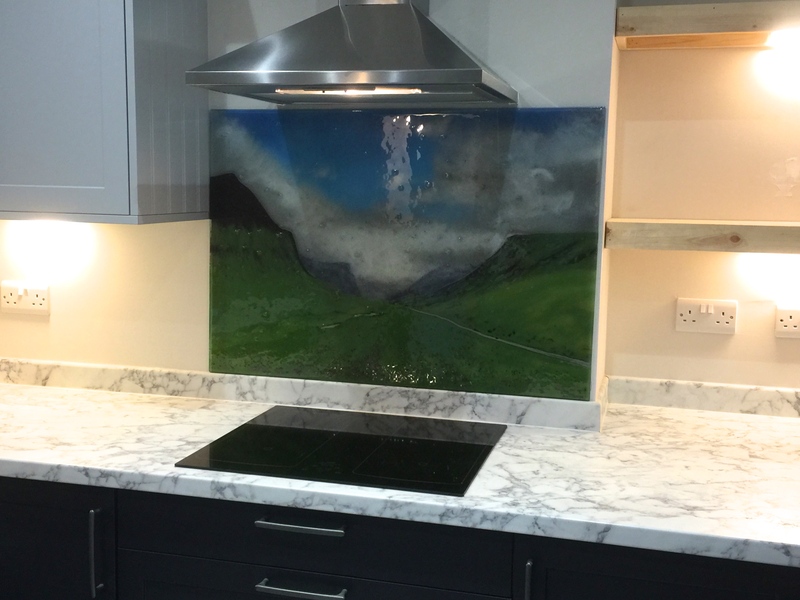 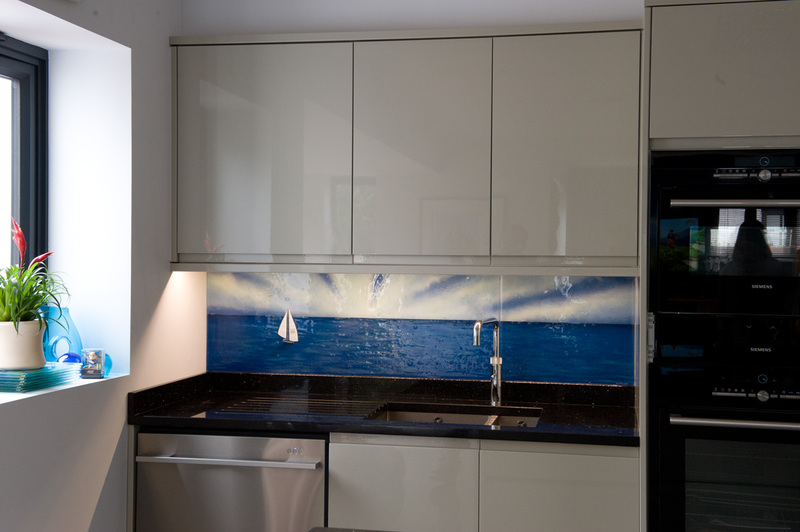 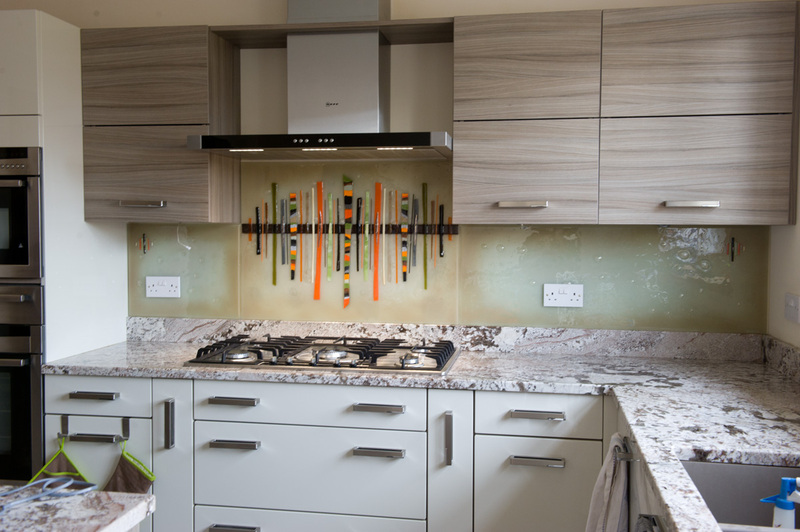 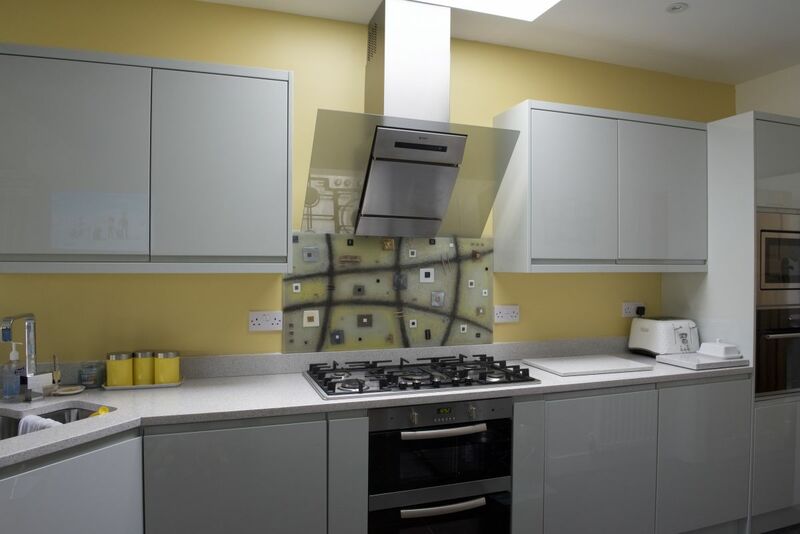 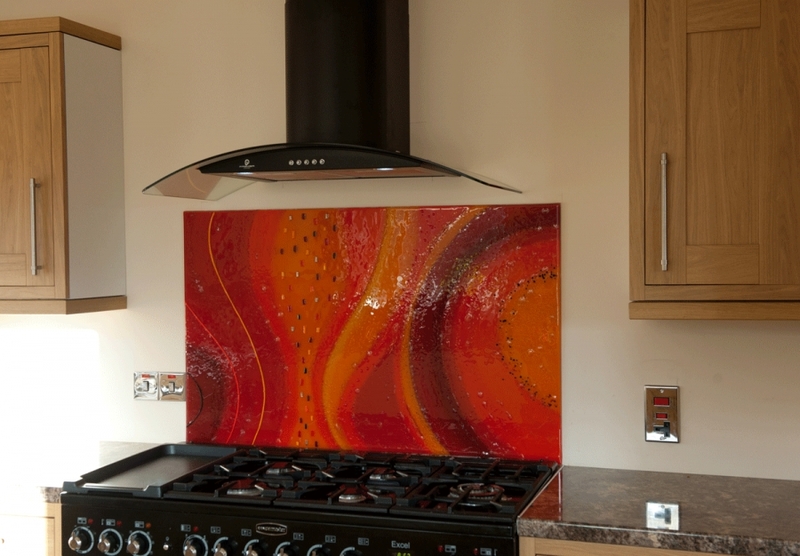 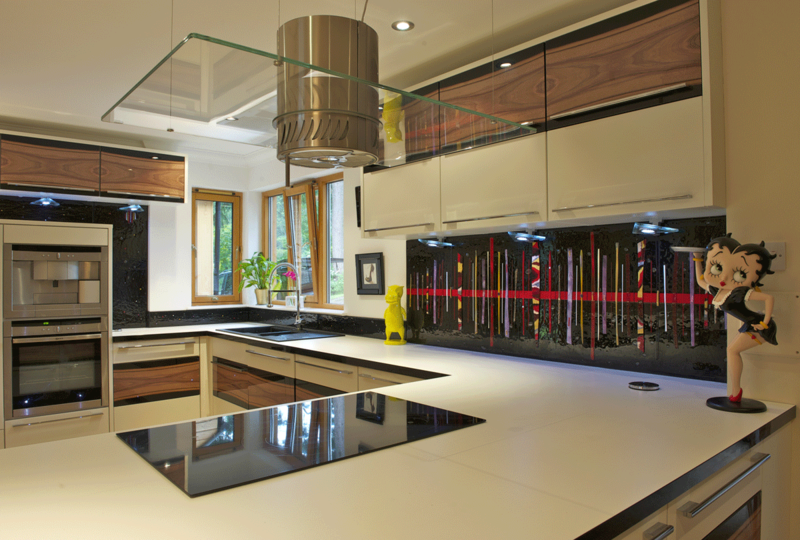 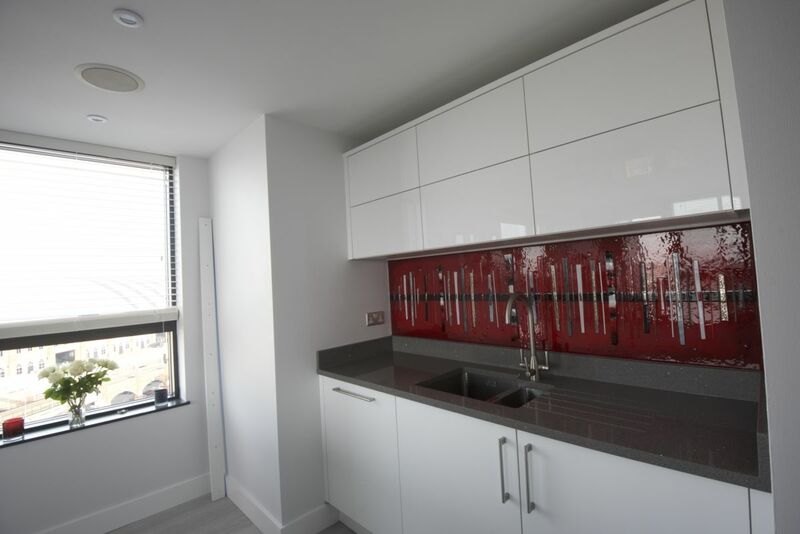 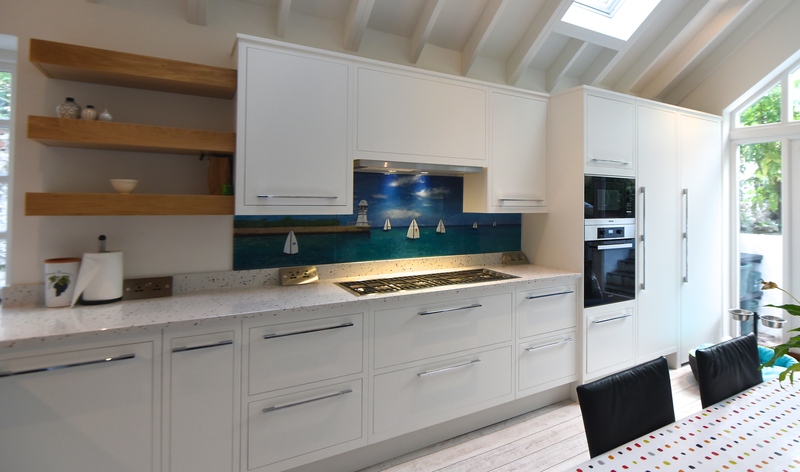 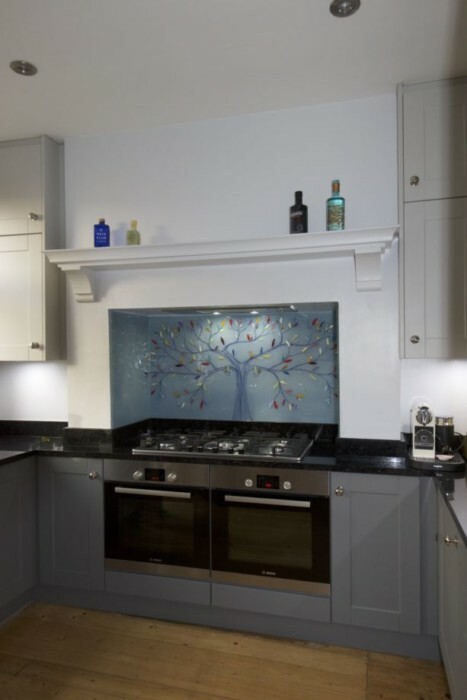 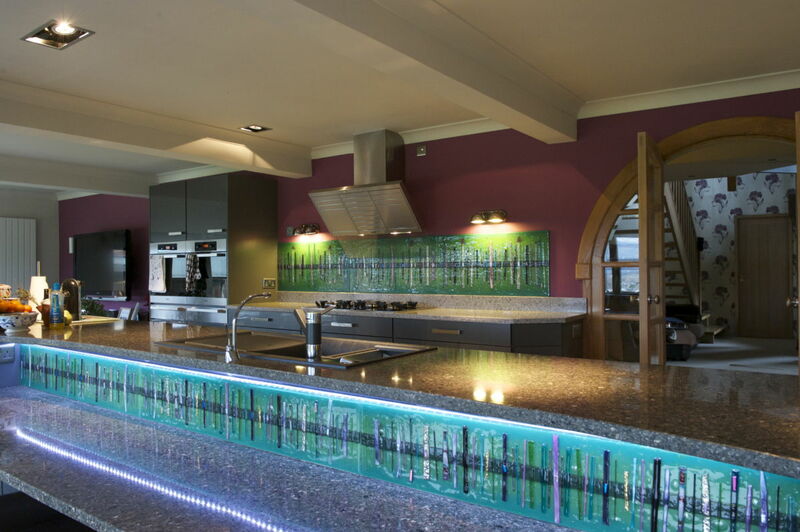 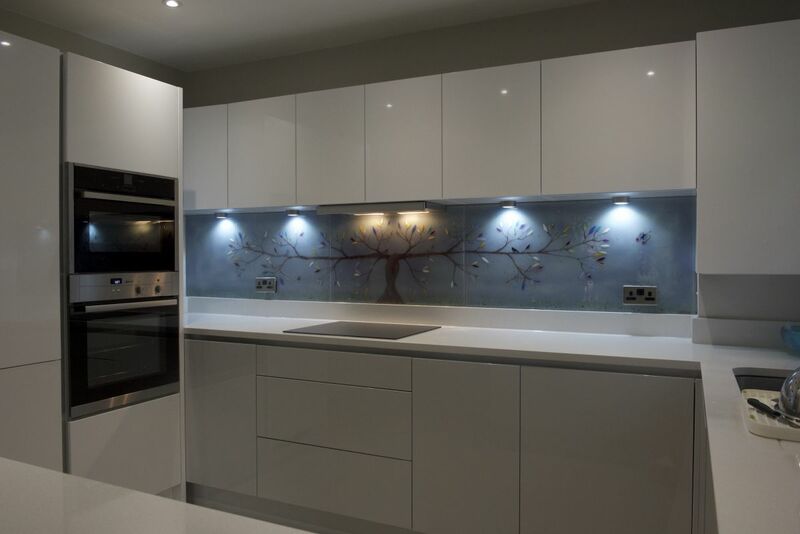 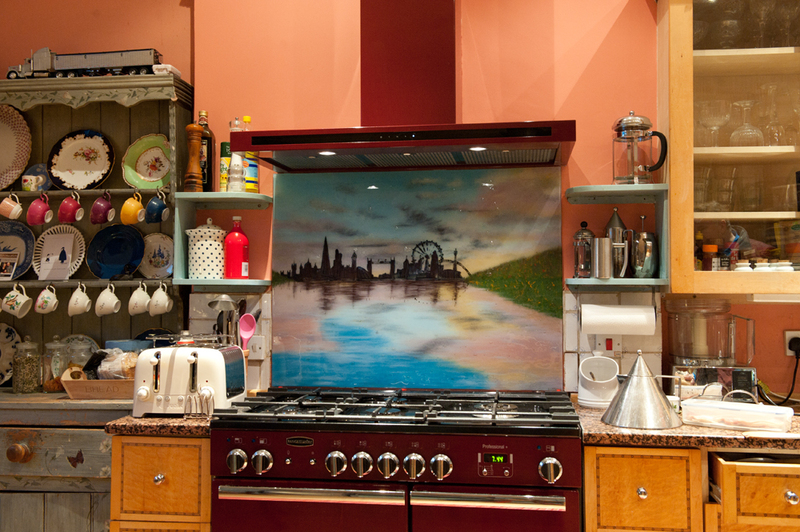 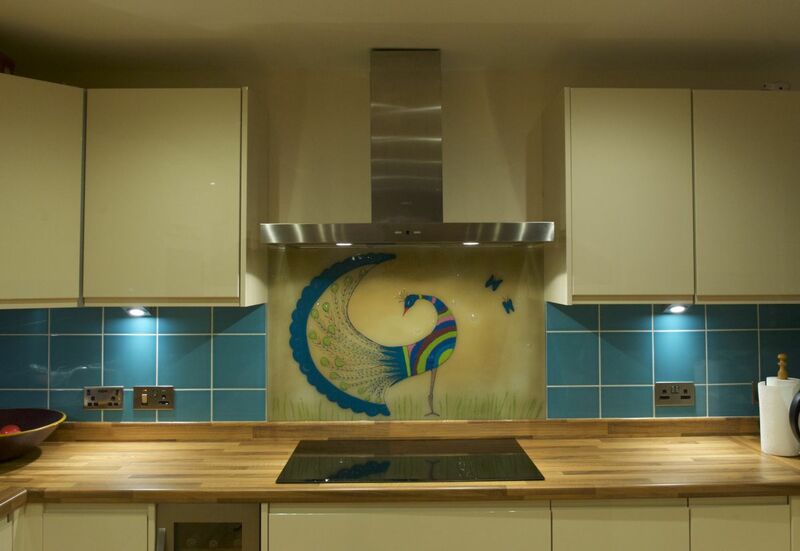 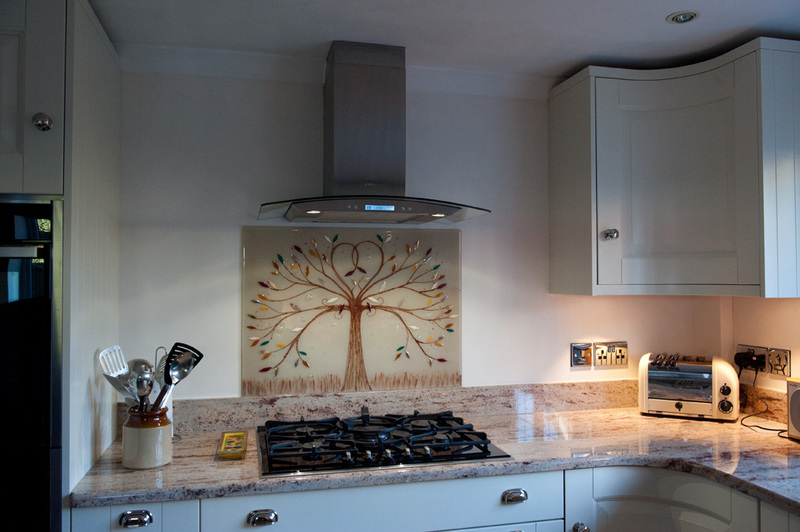 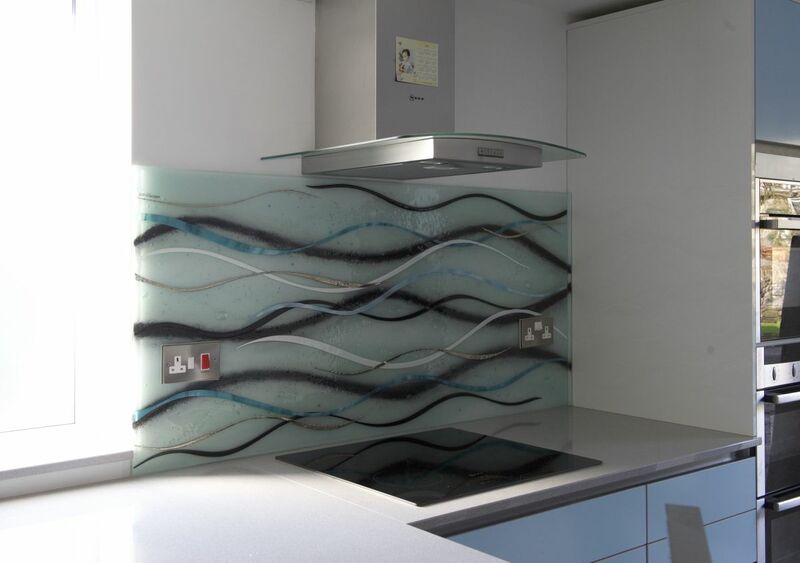 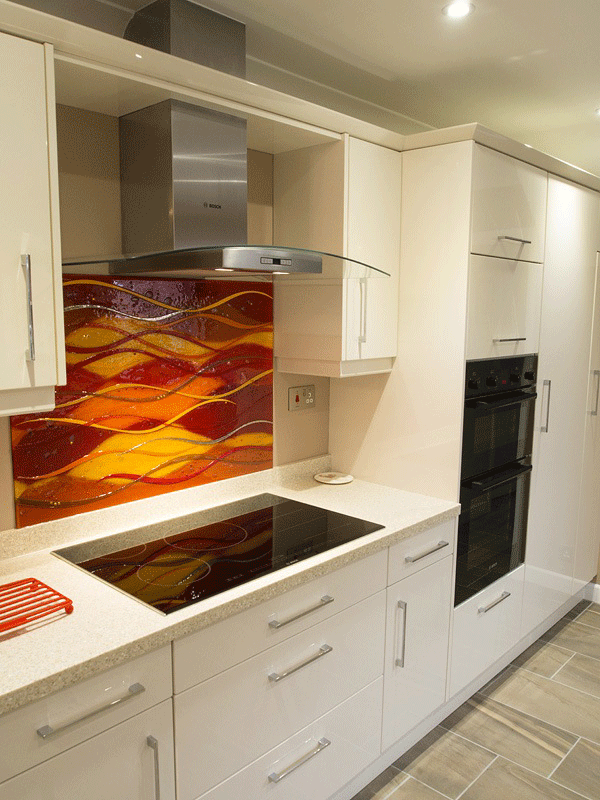 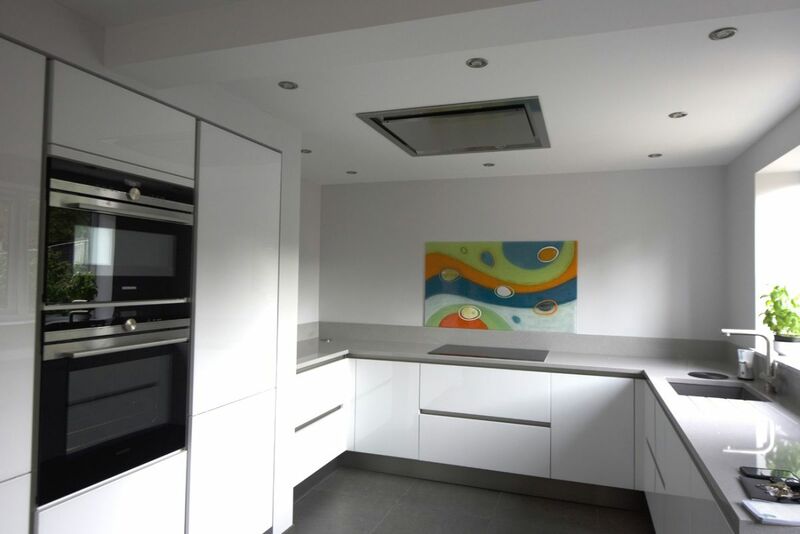 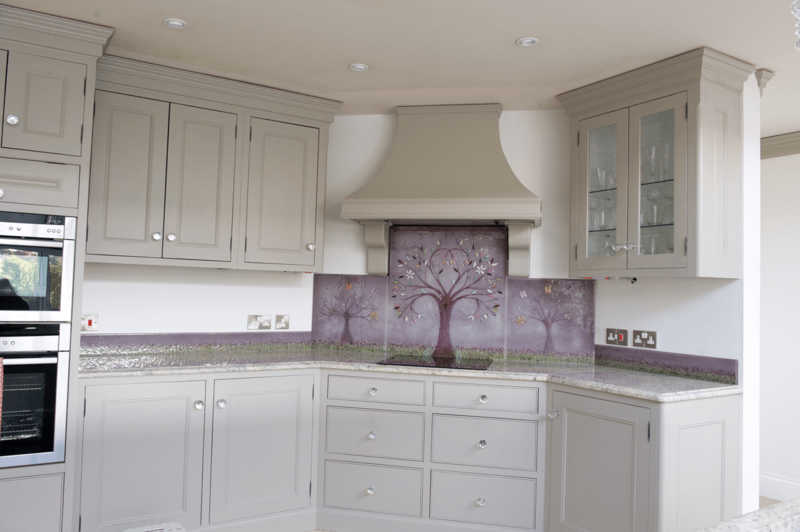 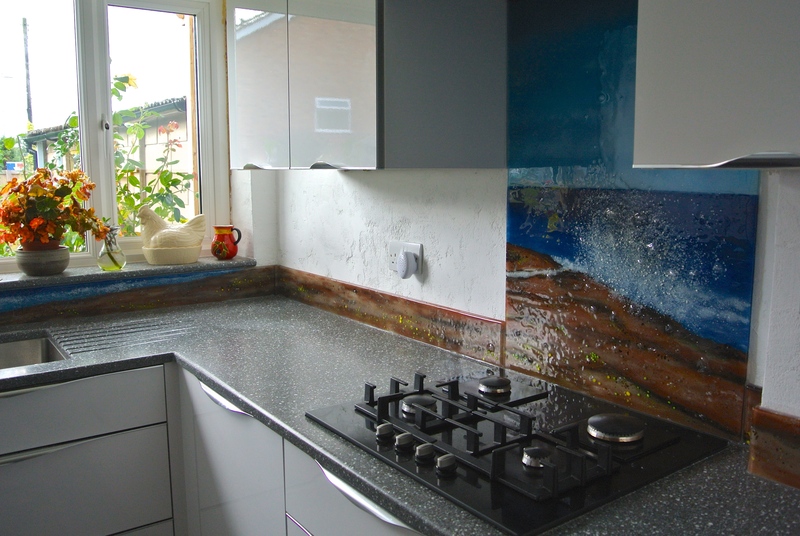 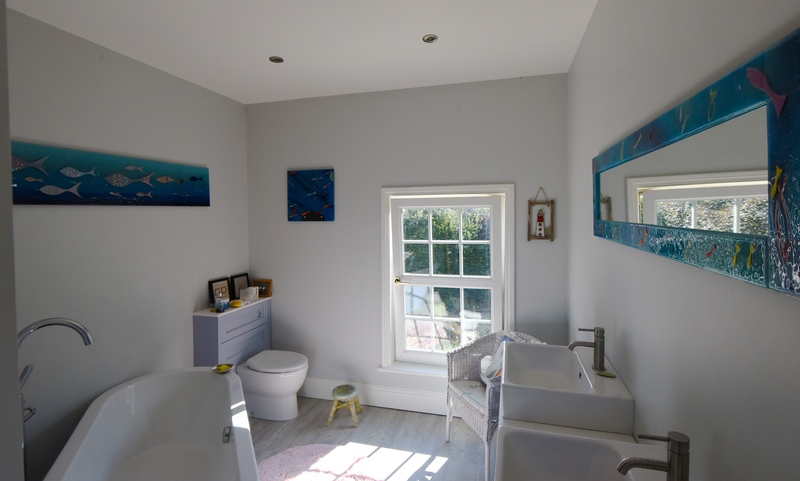 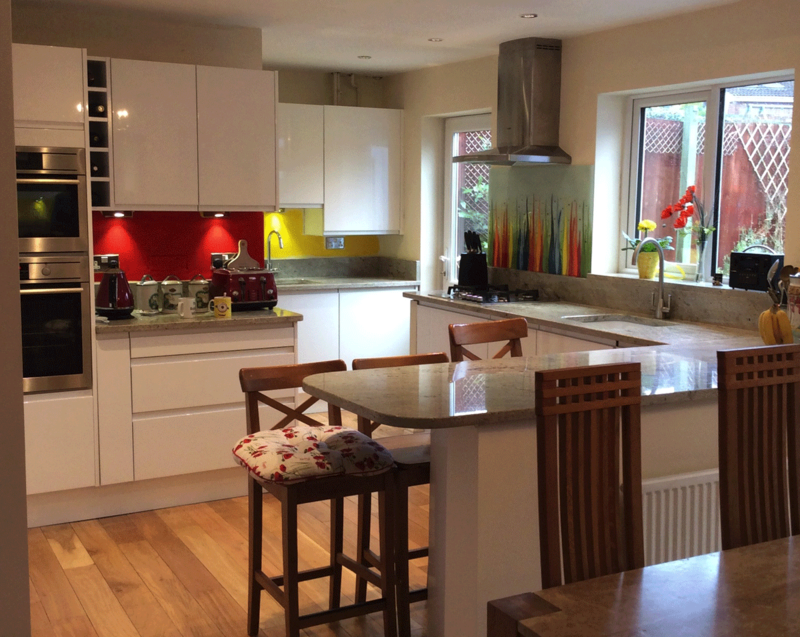 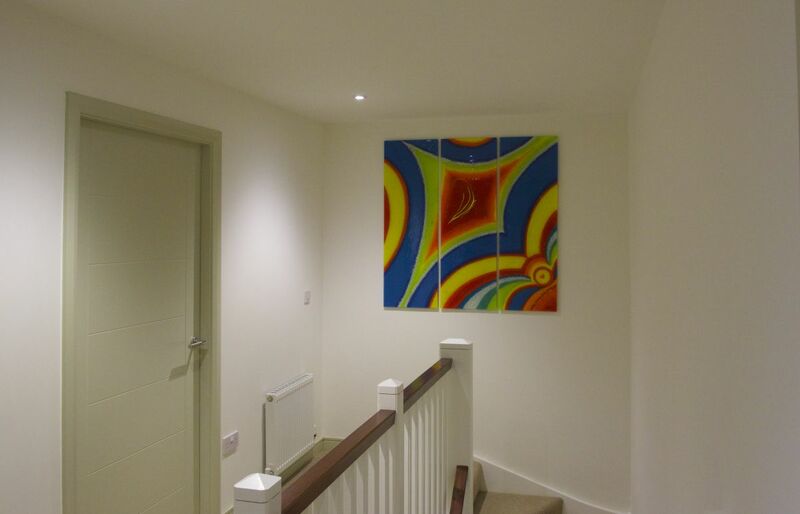 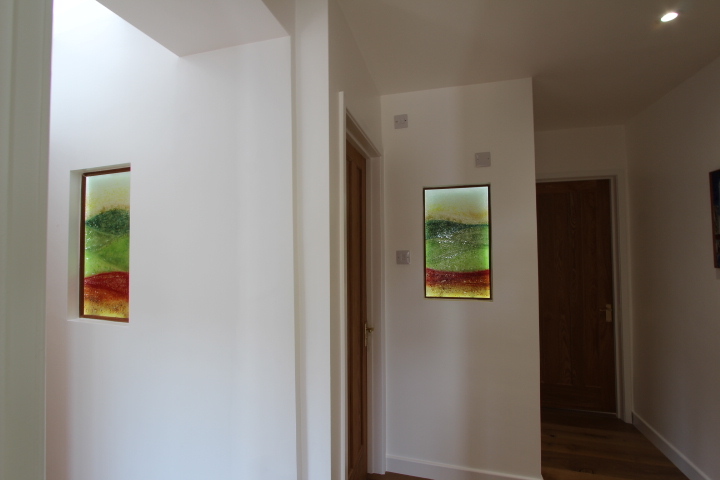 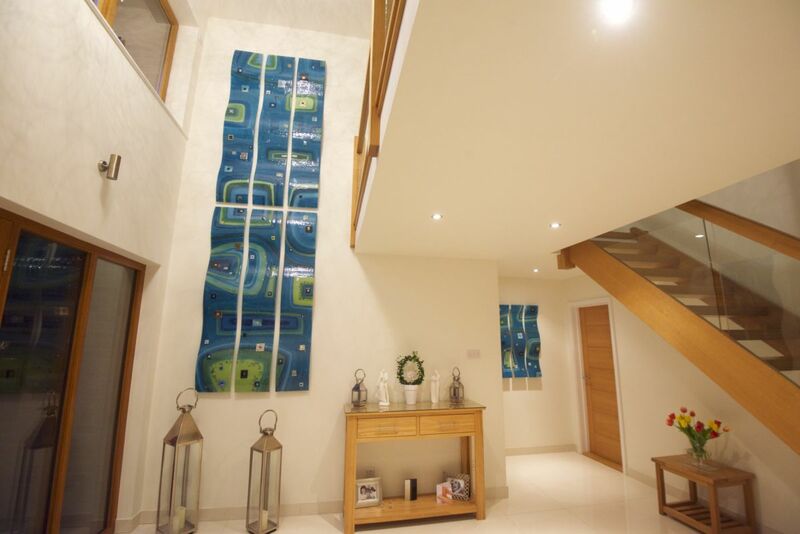 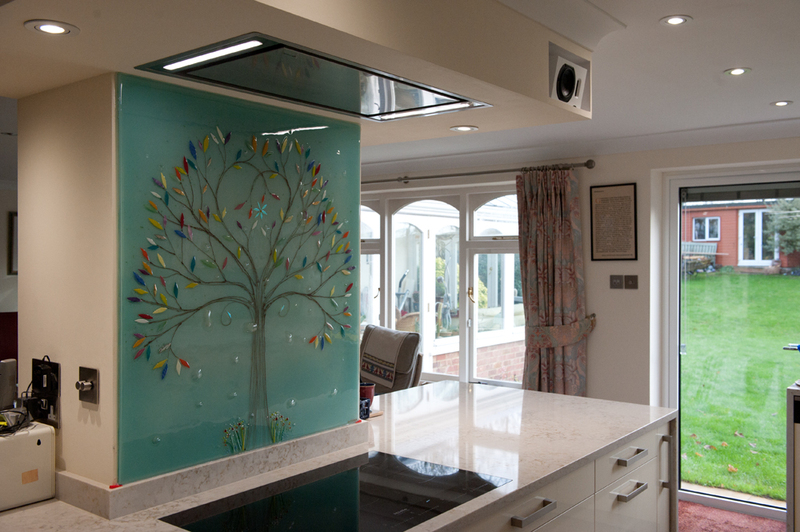 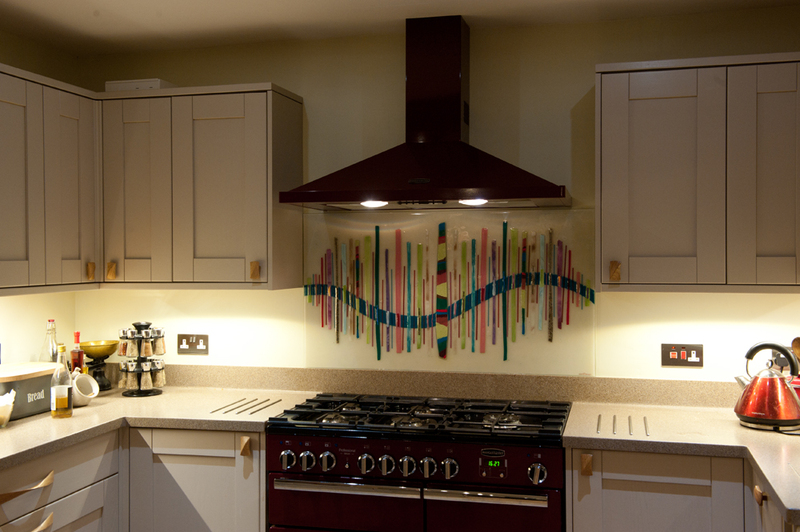 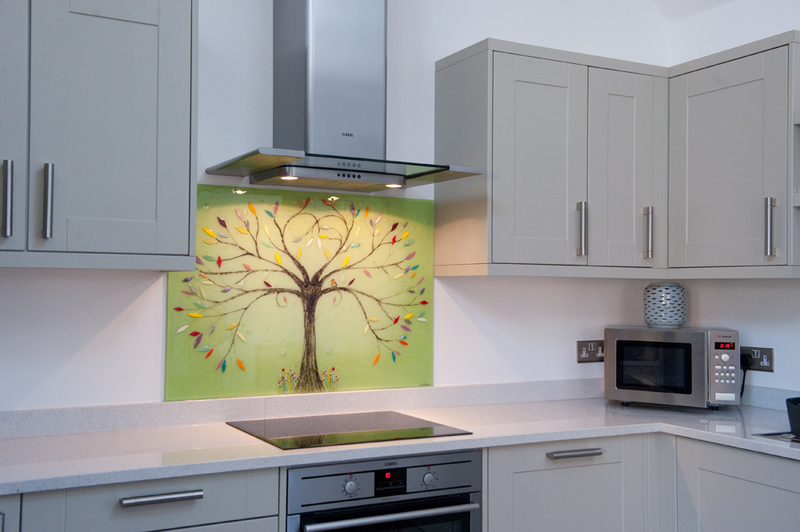 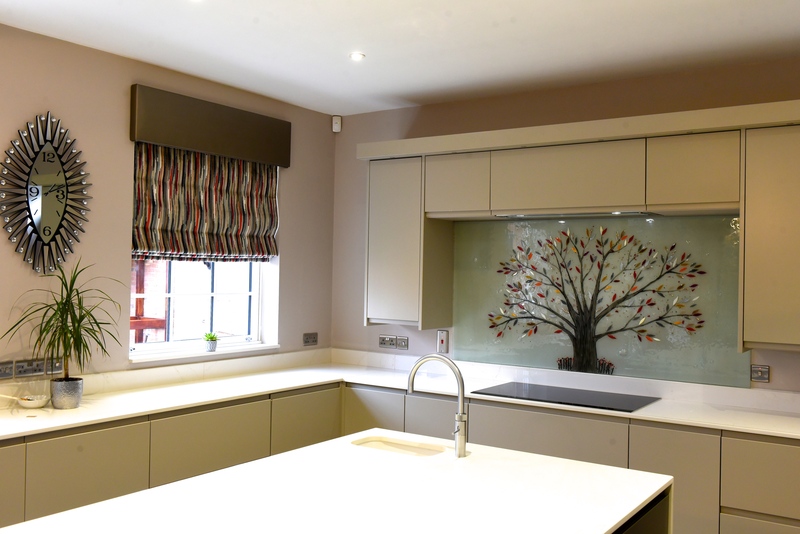 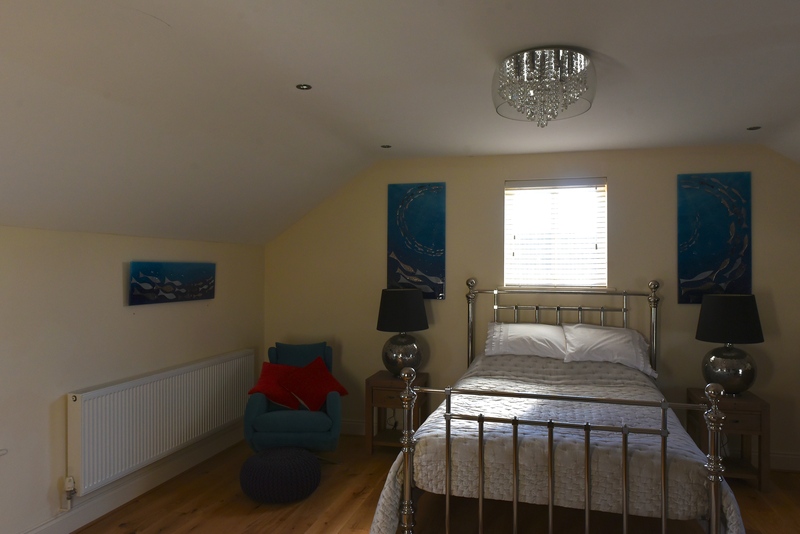 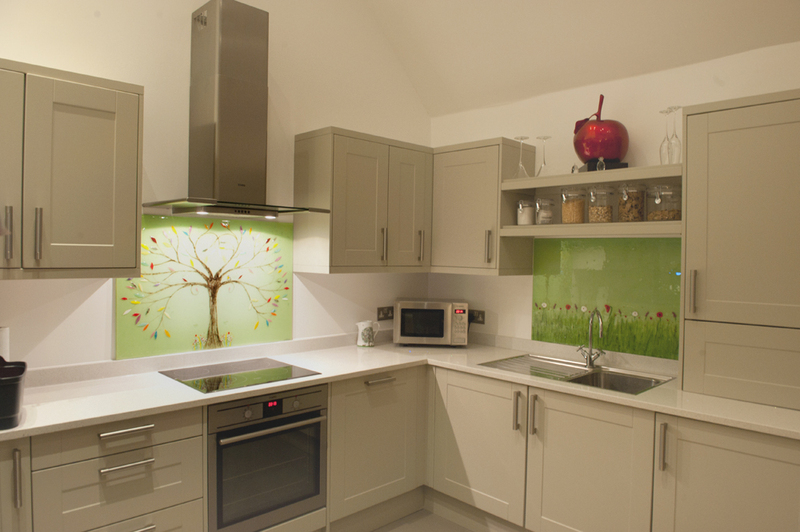 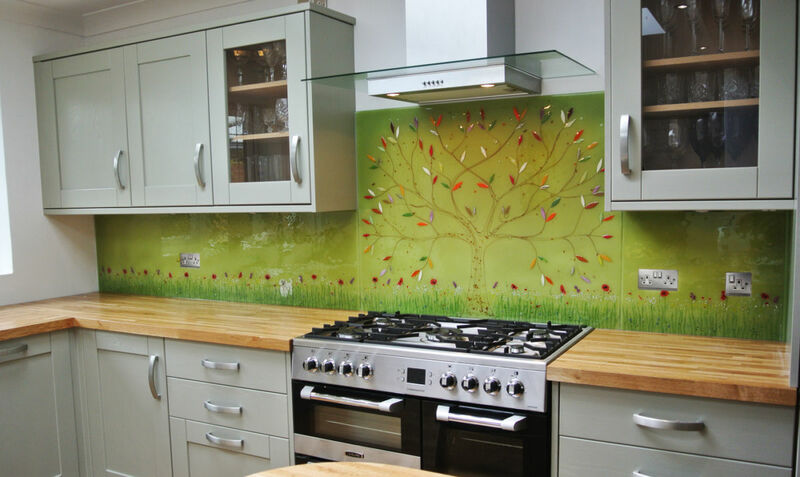 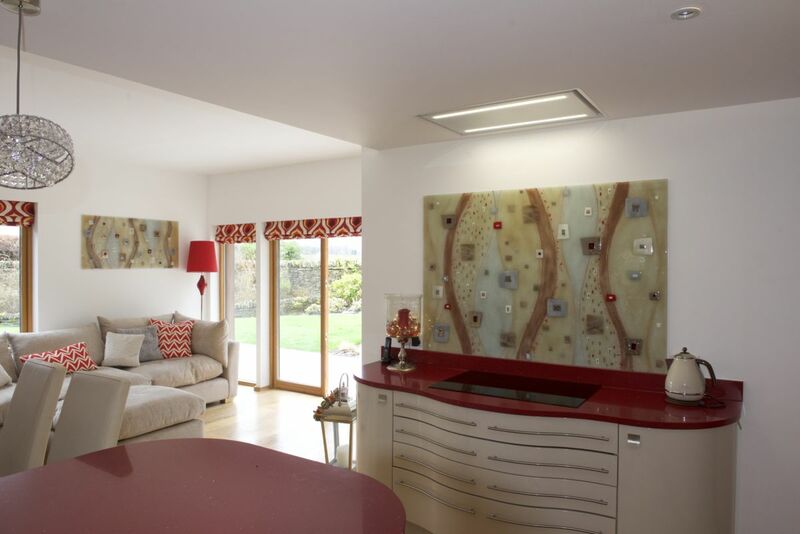 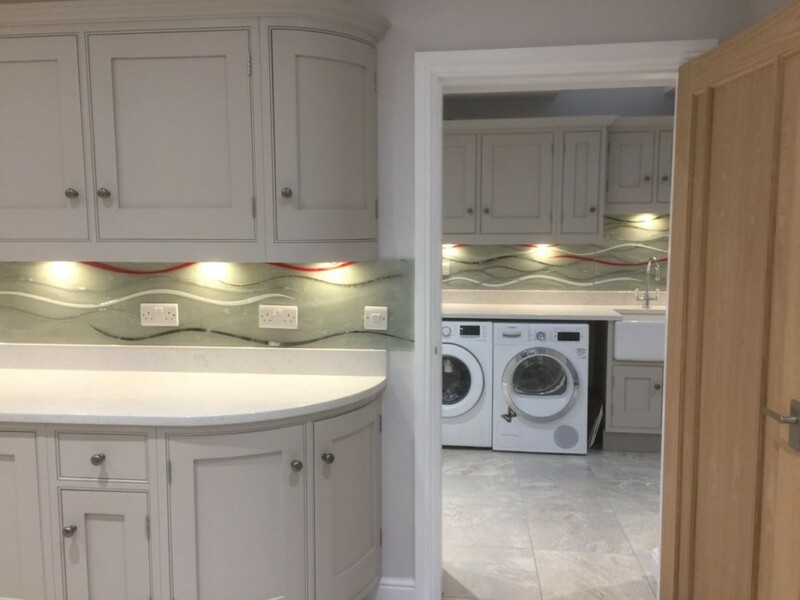 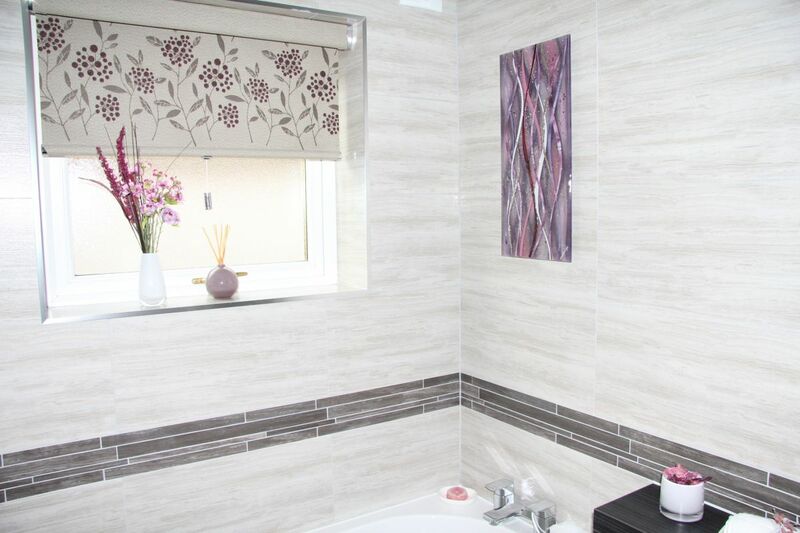 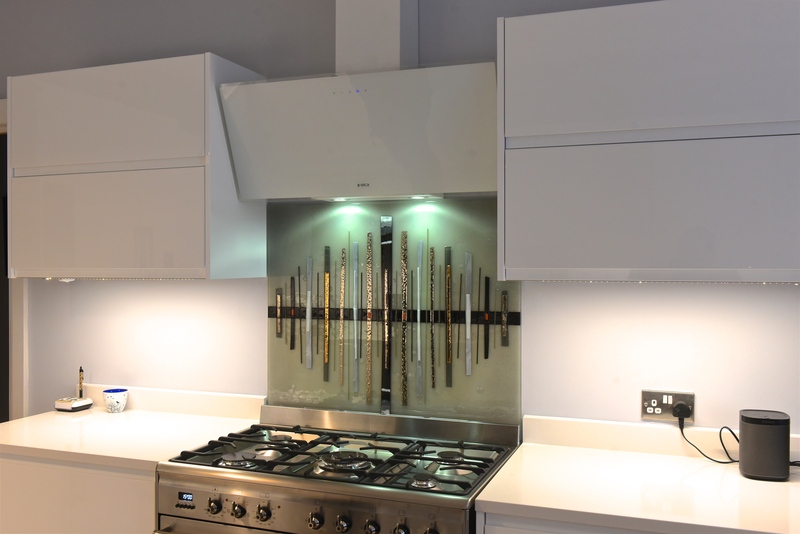 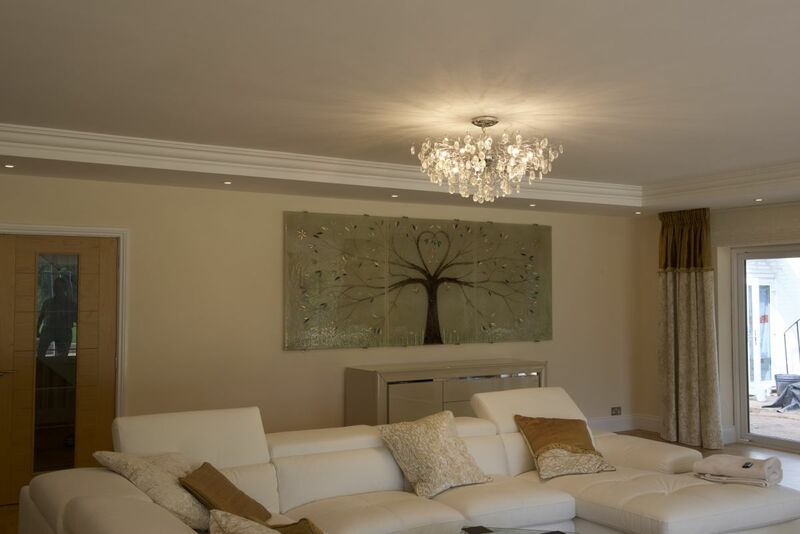 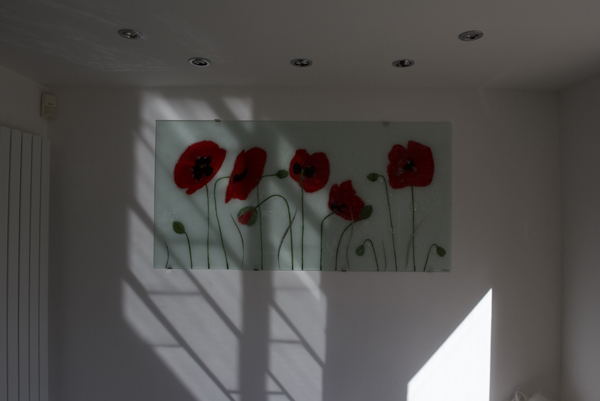 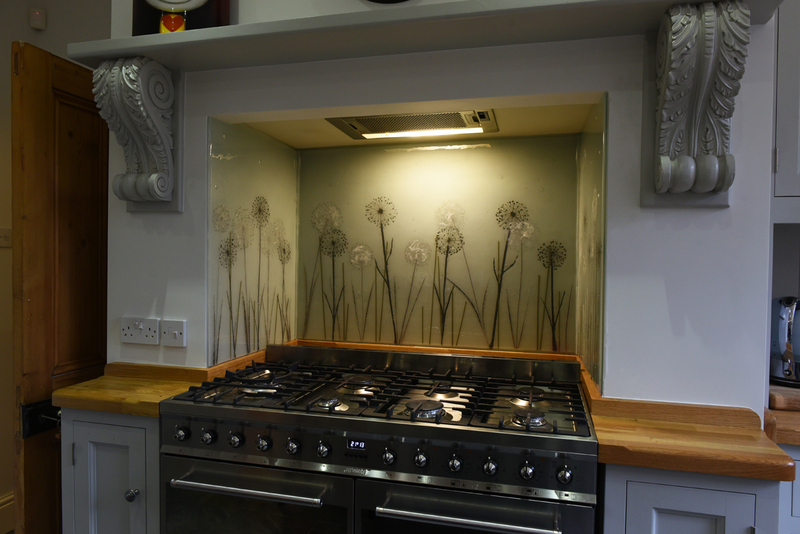 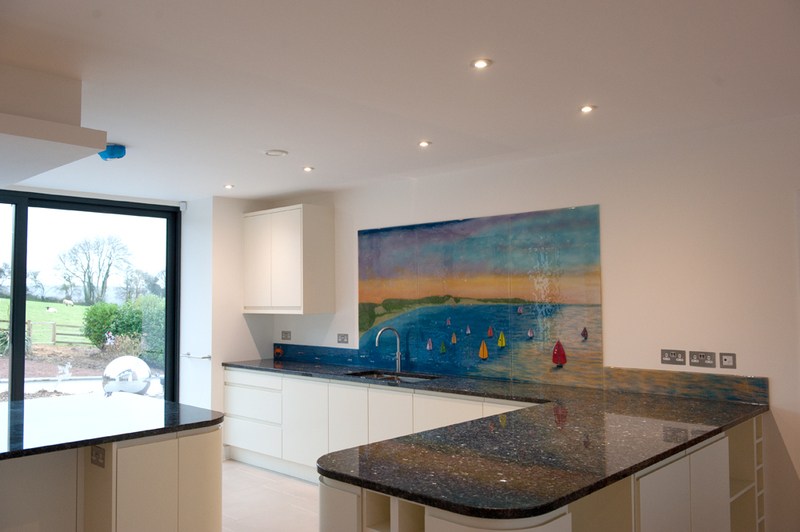 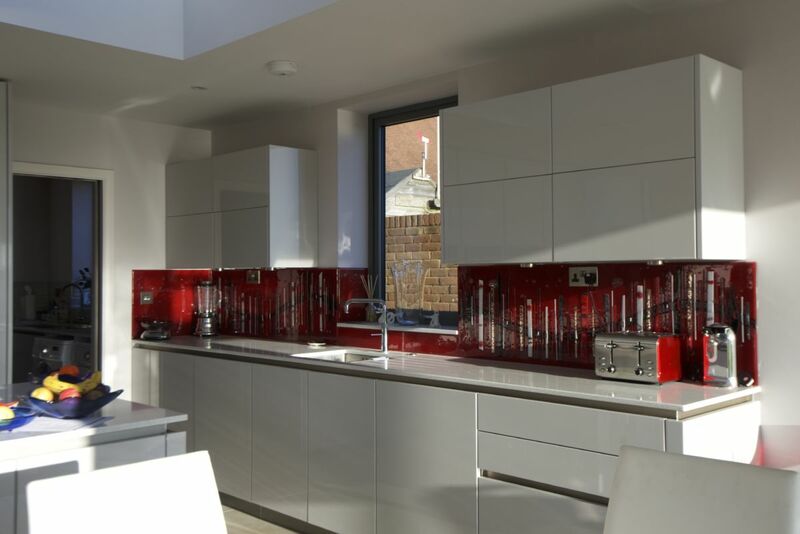 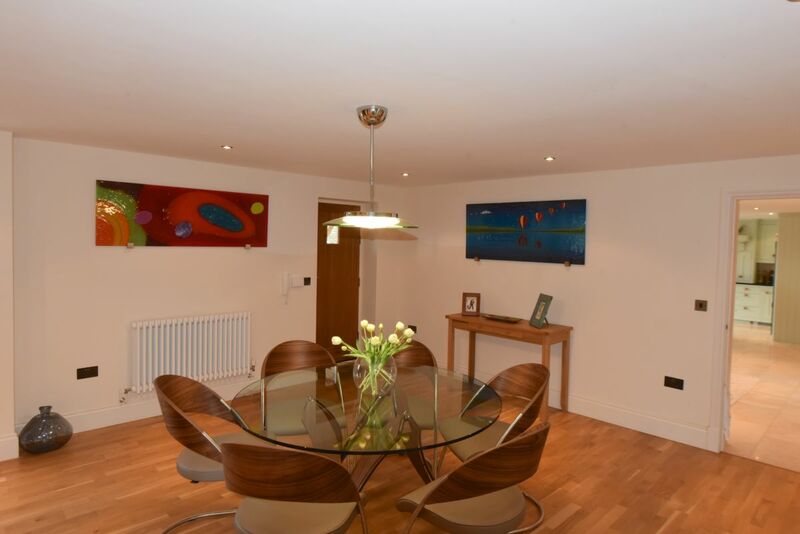 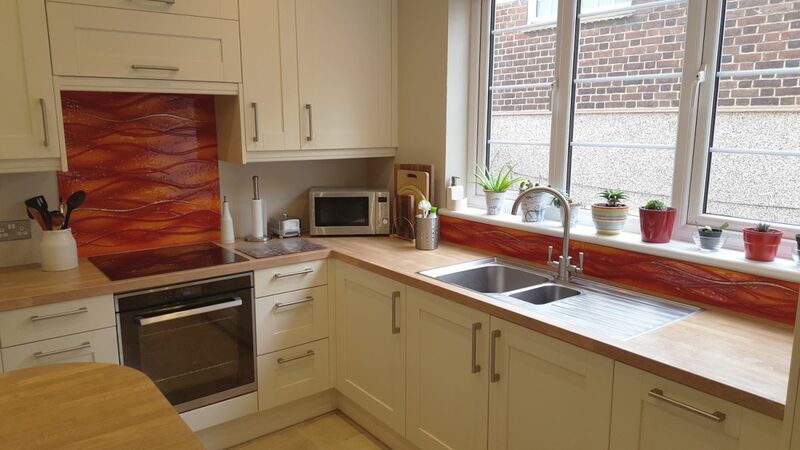 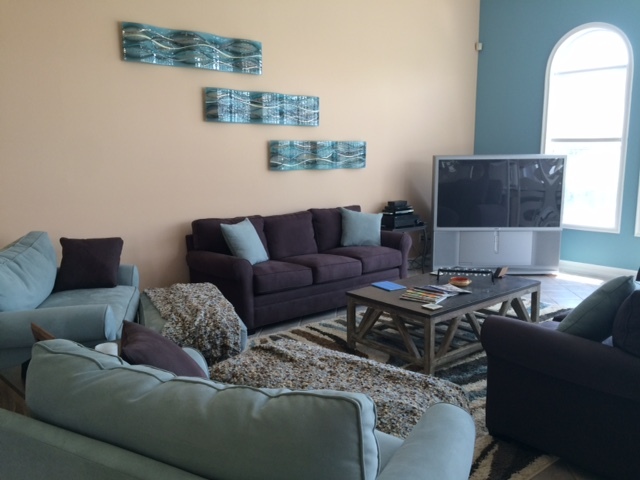 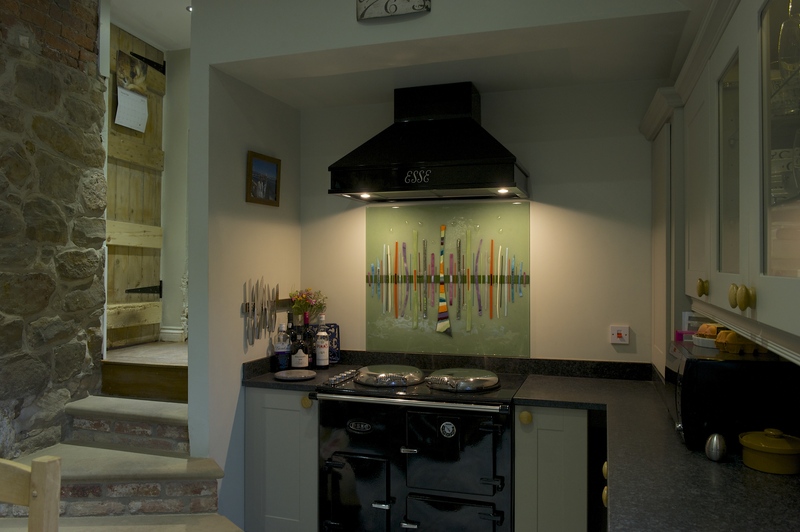 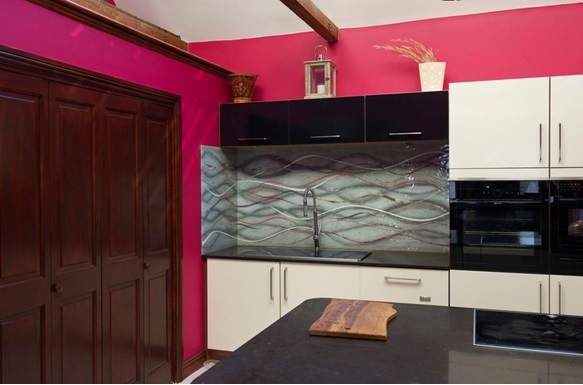 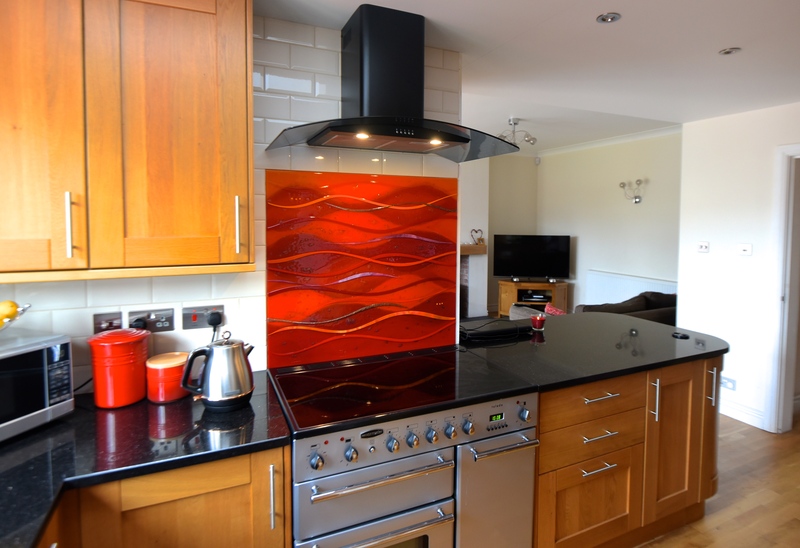 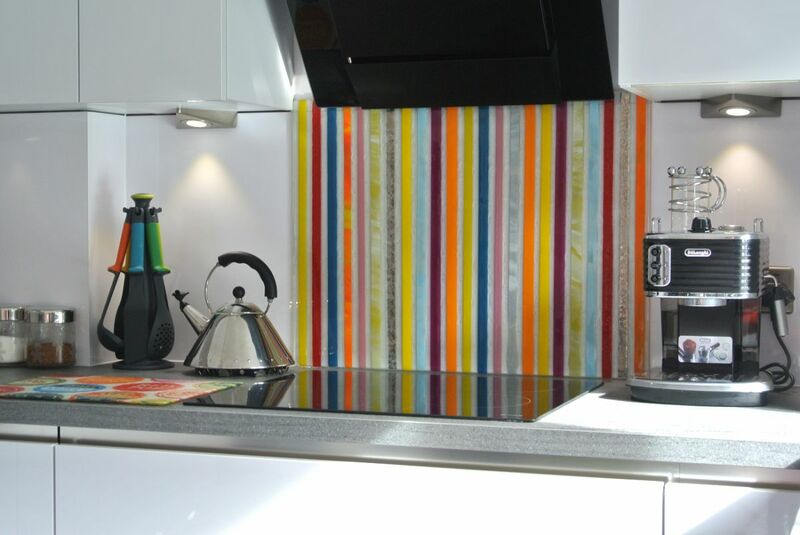 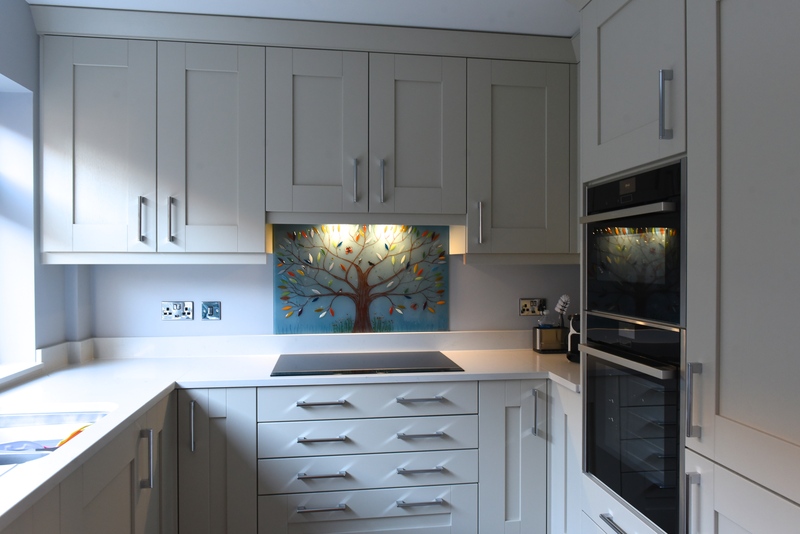 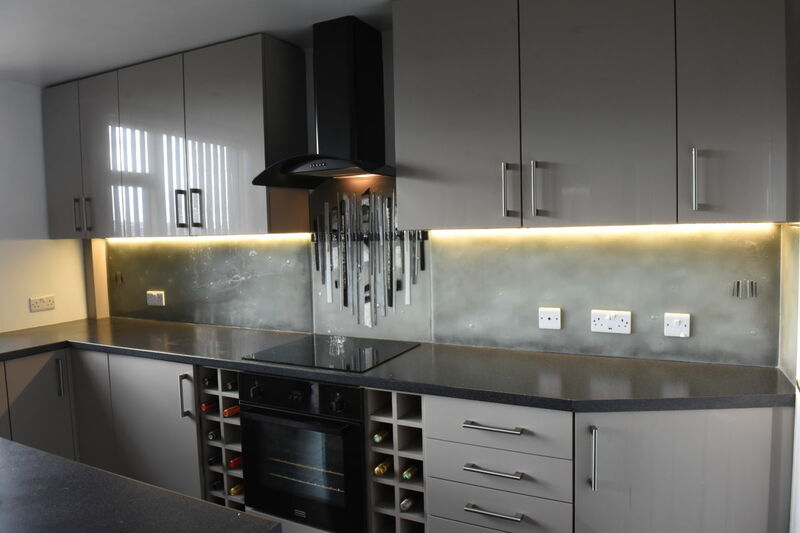 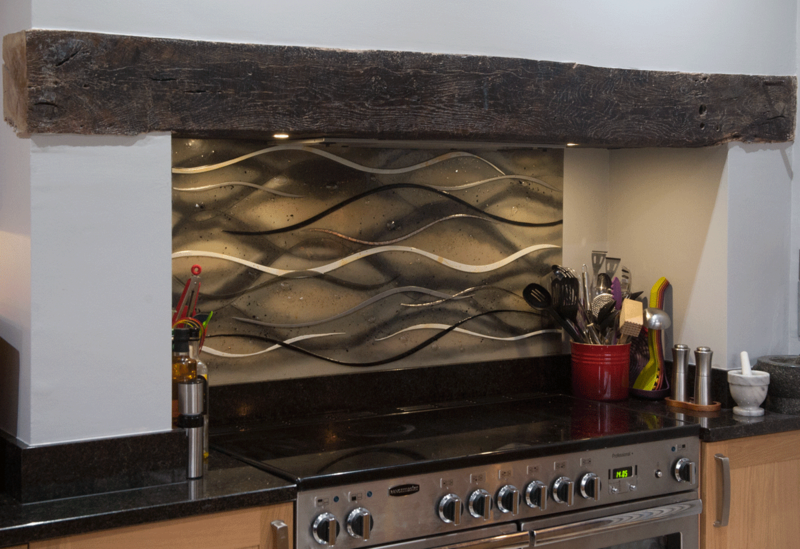 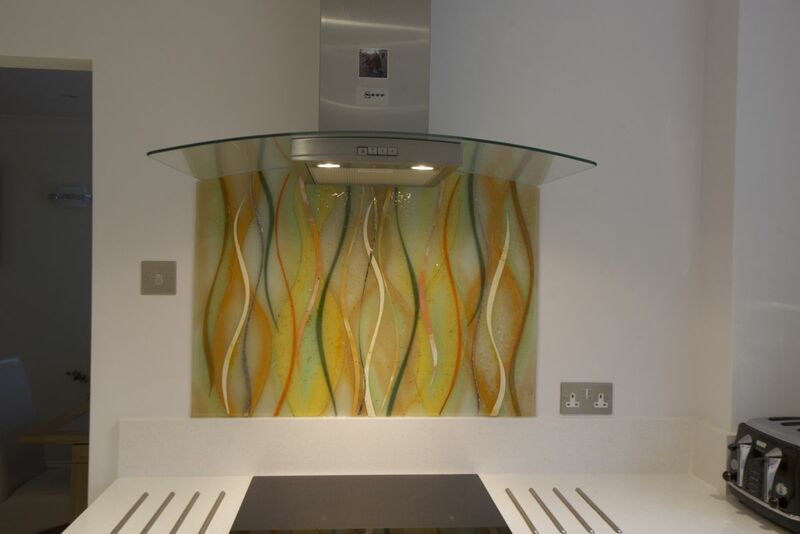 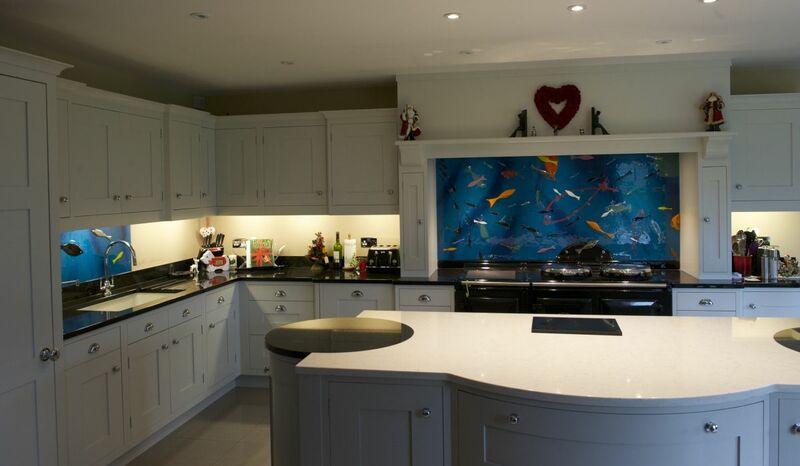 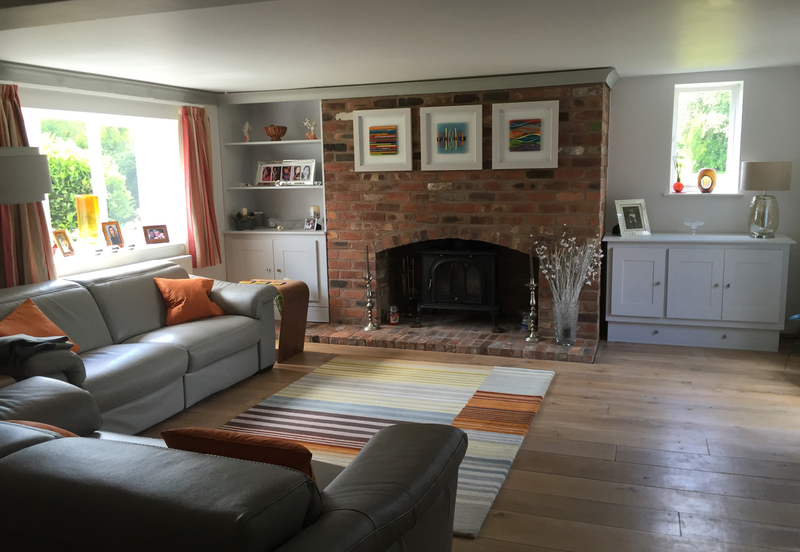 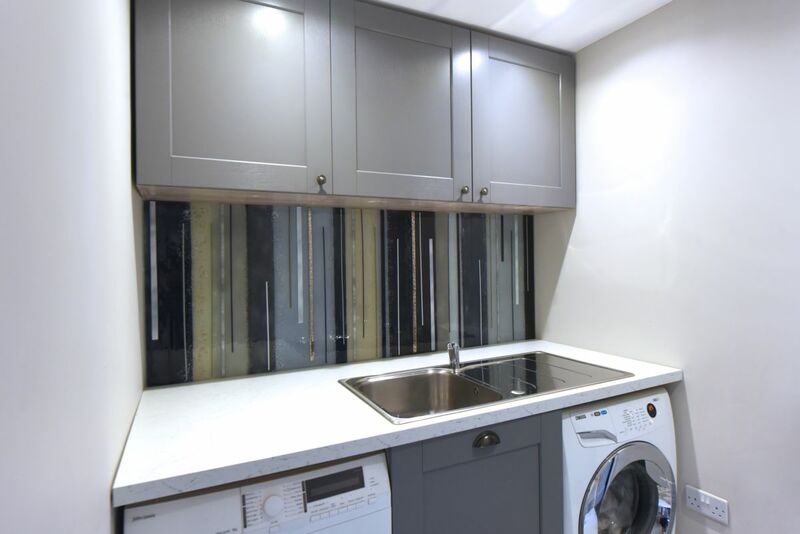 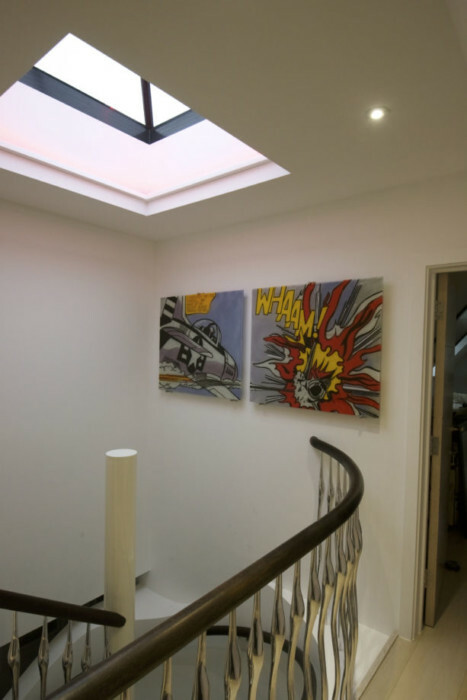 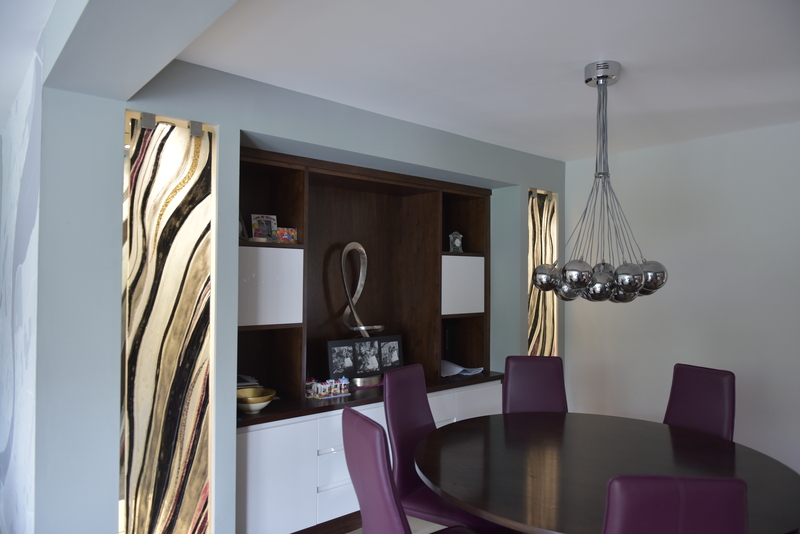 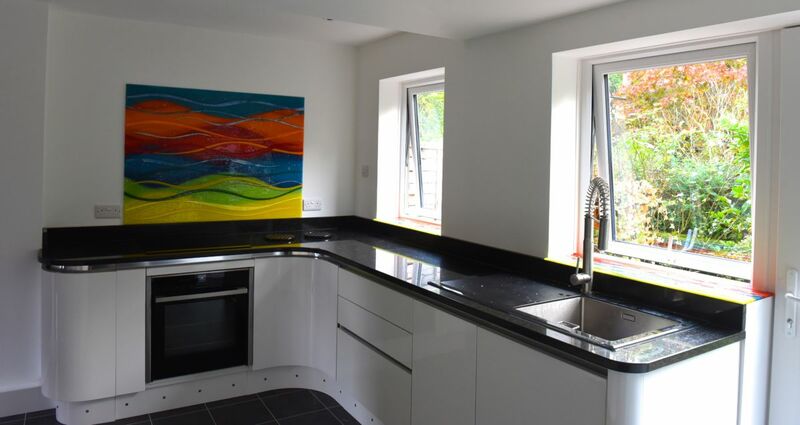 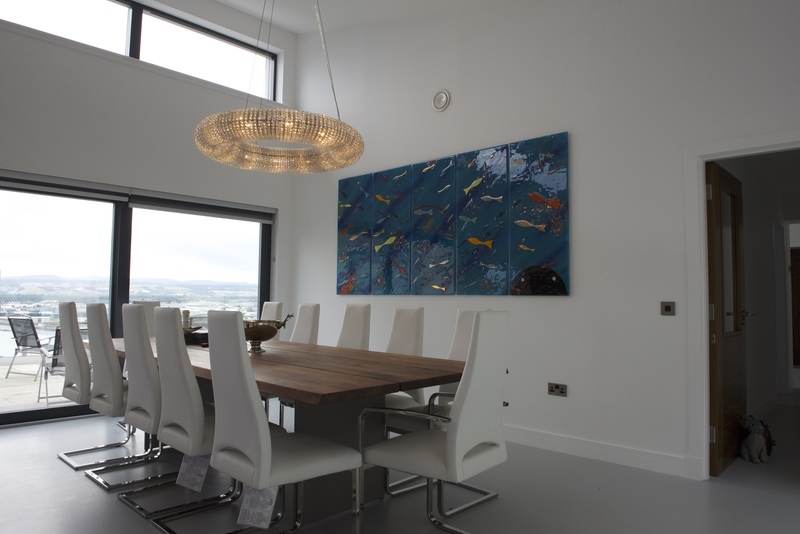 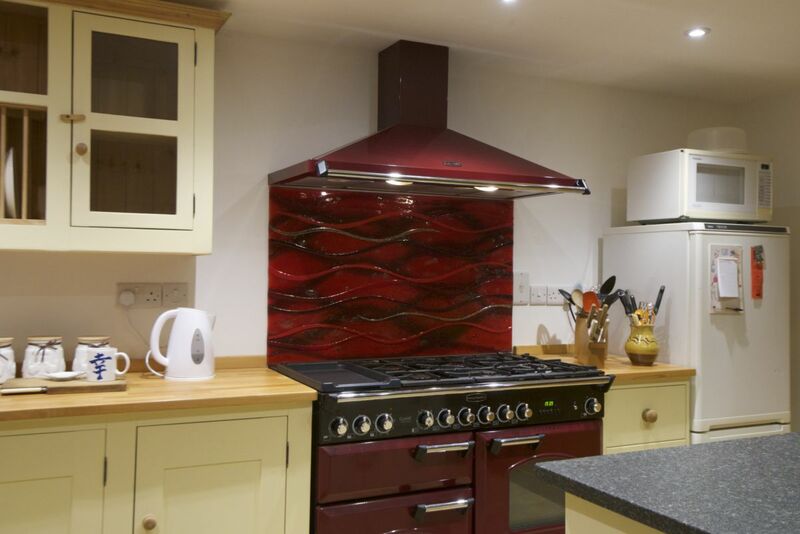 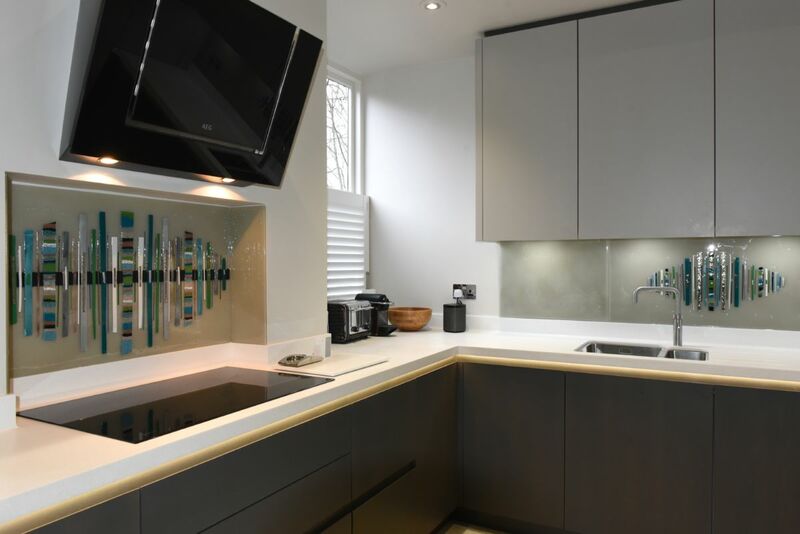 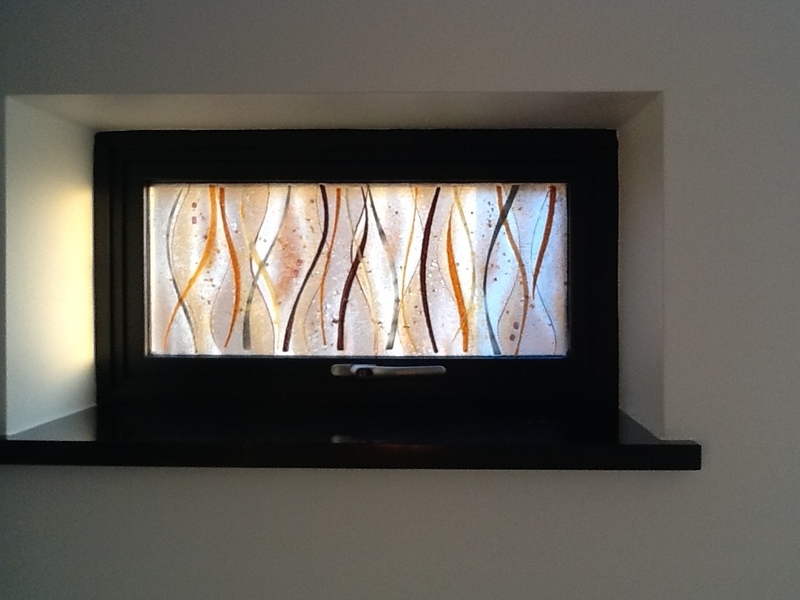 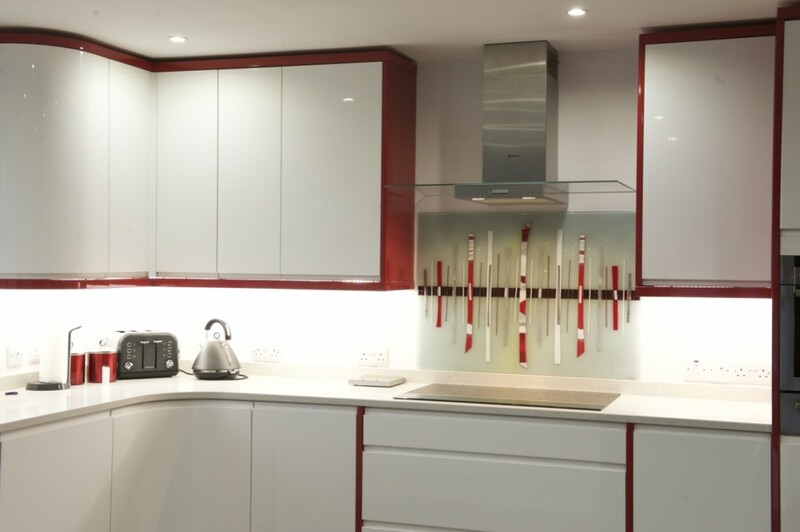 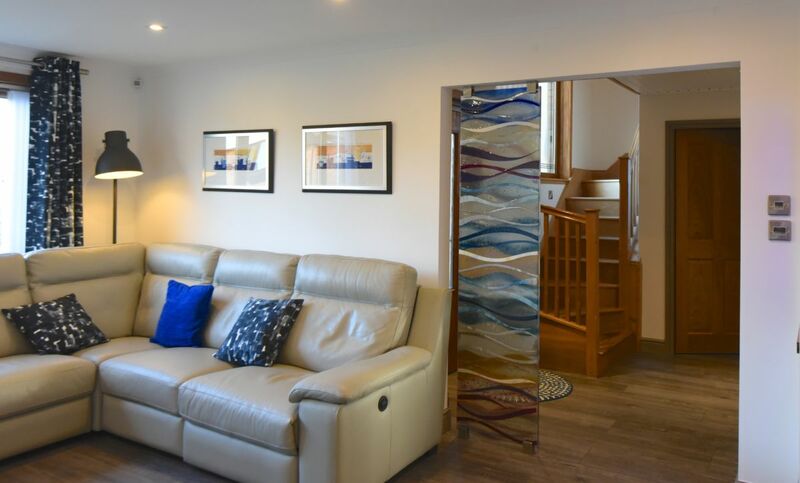 A customer loved the look of the glass and knew that there was a space in their home that would suit it perfectly. 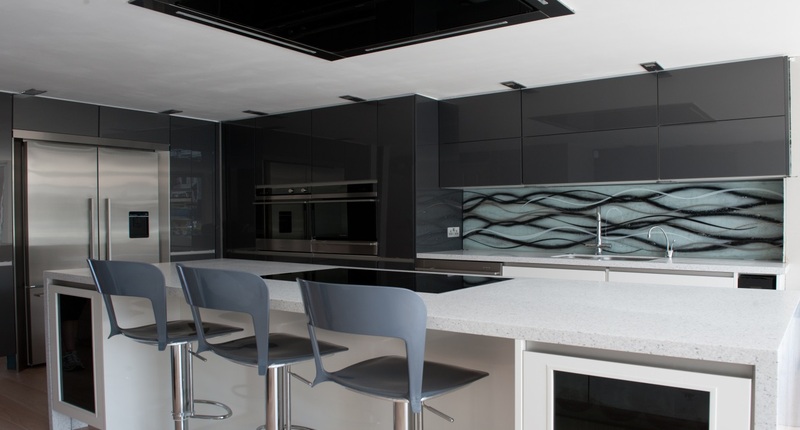 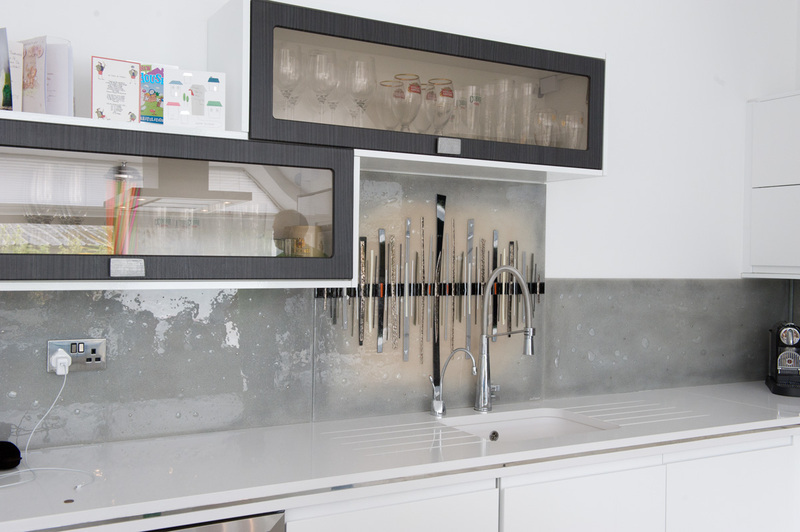 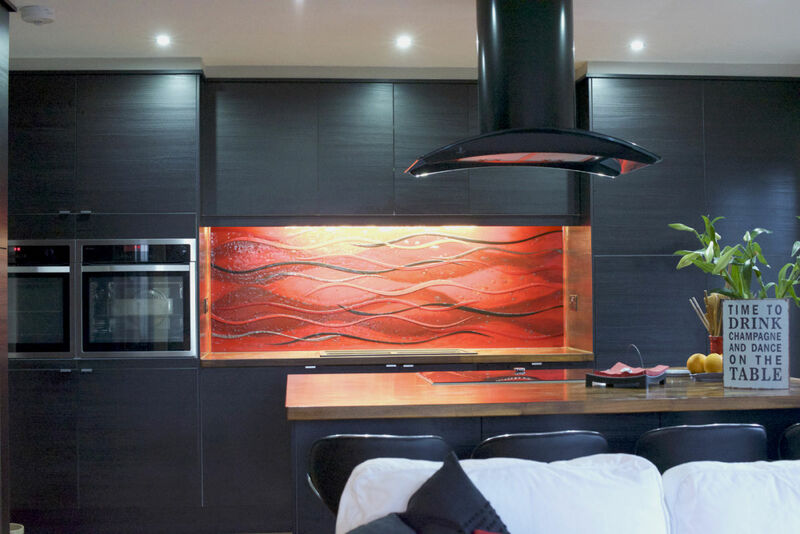 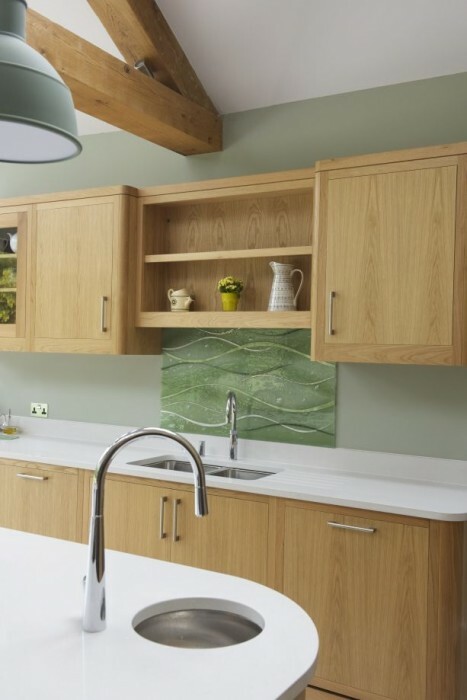 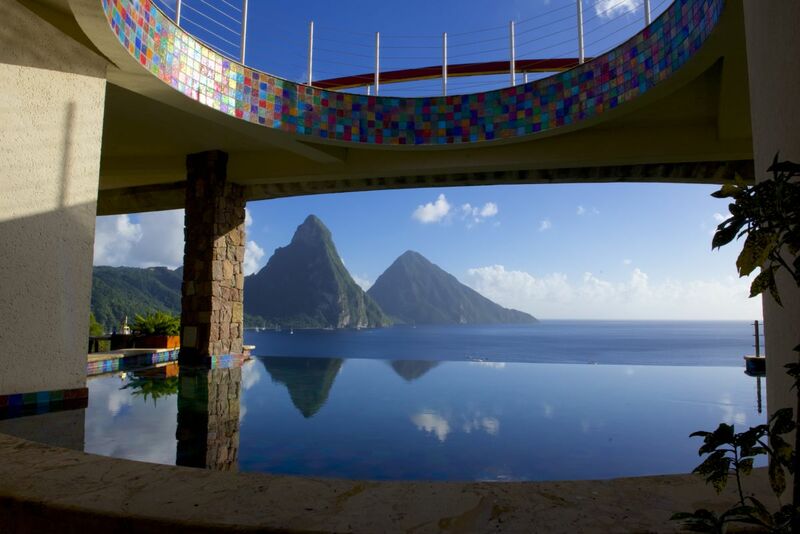 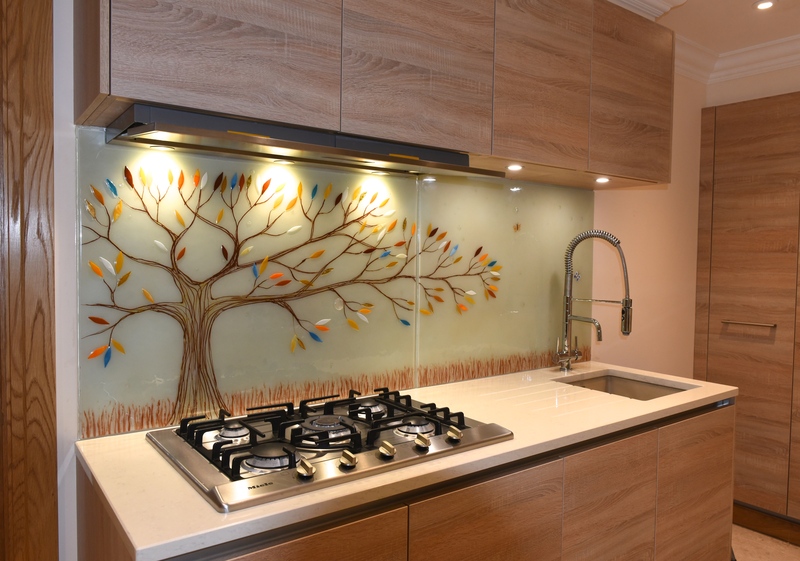 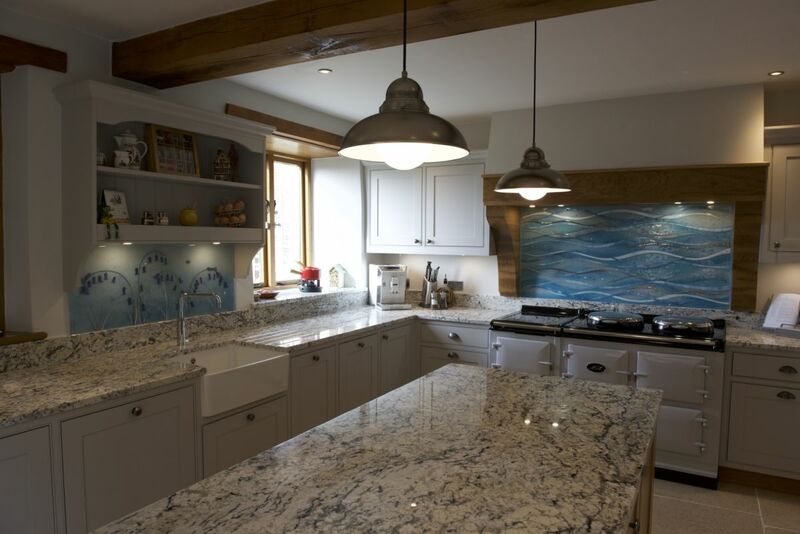 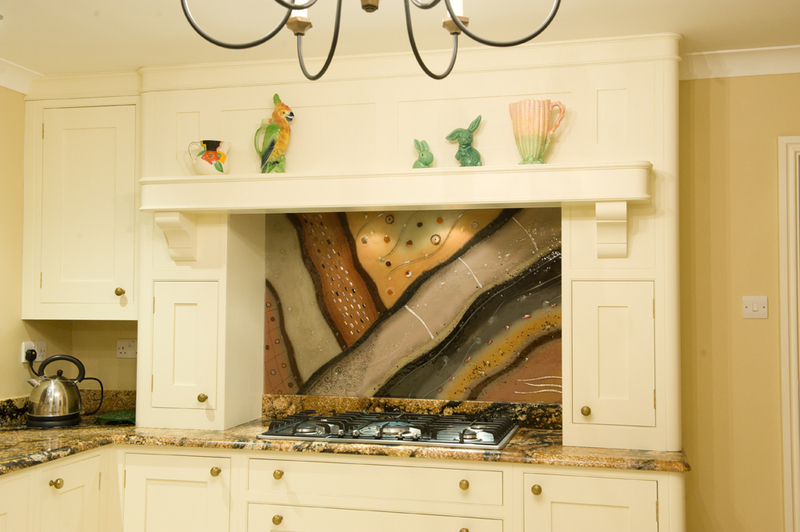 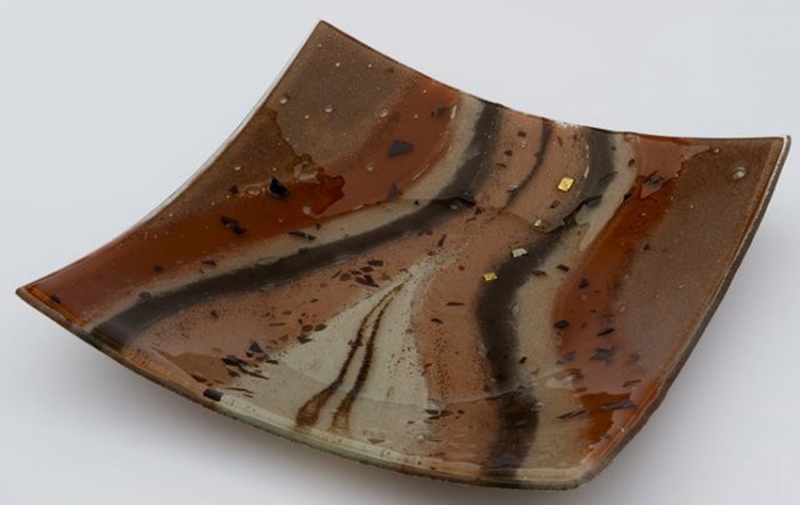 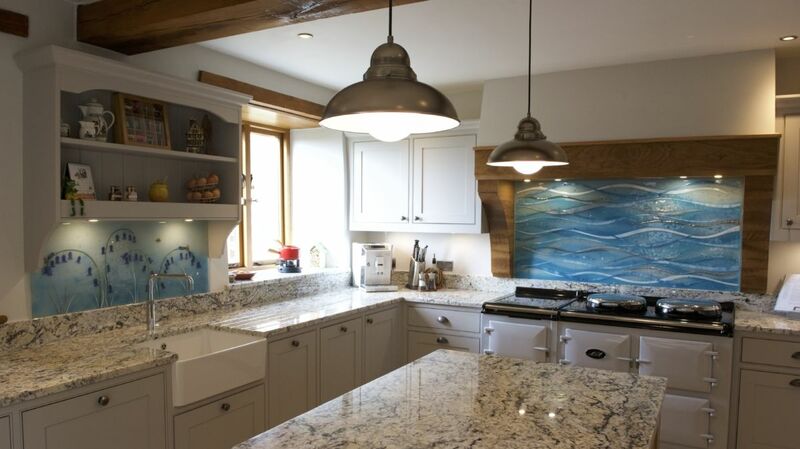 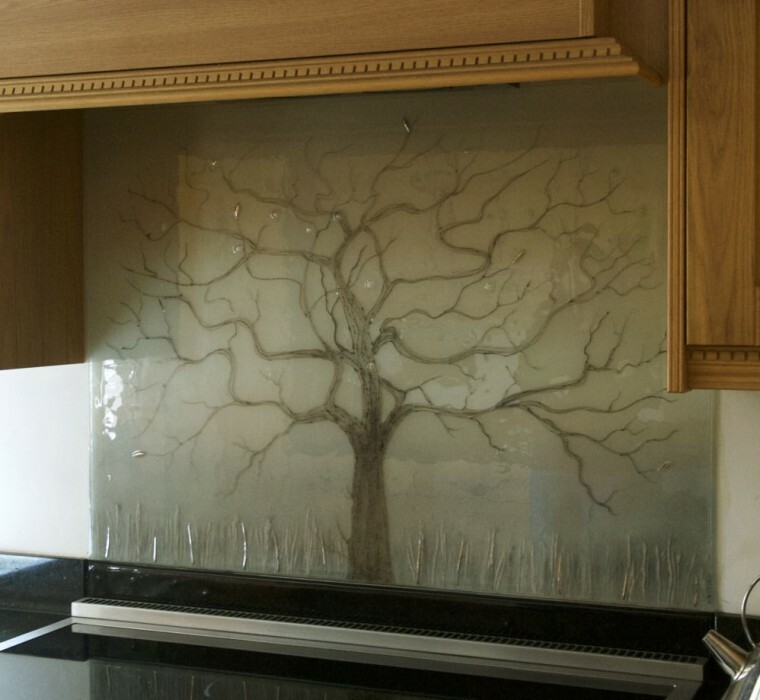 The design of the glass depicts a narrow slice of a beautiful, sweeping landscape. 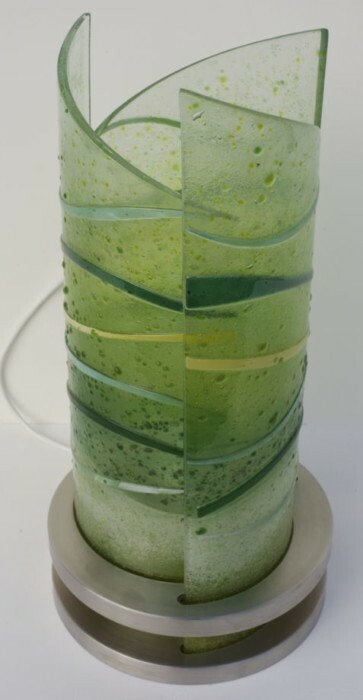 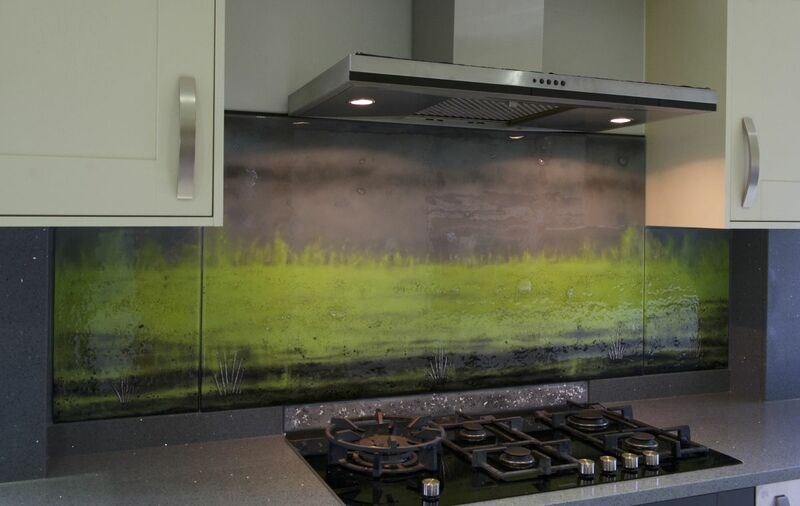 The bottom of the piece showcases verdant green fields, while clear blue skies fill the rest of the design with a subtle but very effective texture. 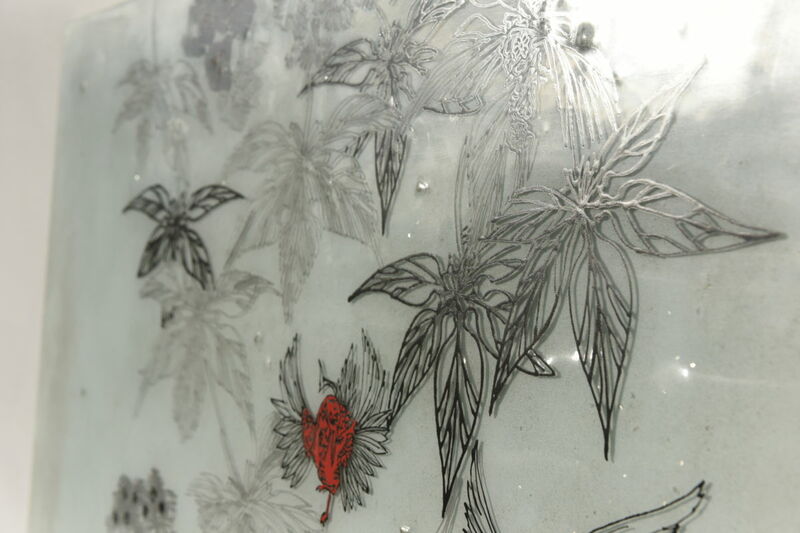 Two white flowers sit prominently in the foreground, created from hand cut petals placed on top of the glass. 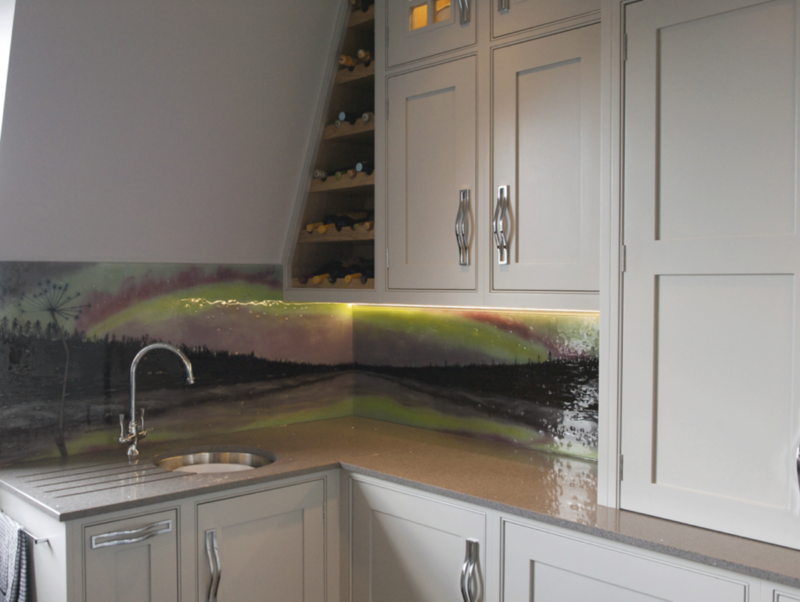 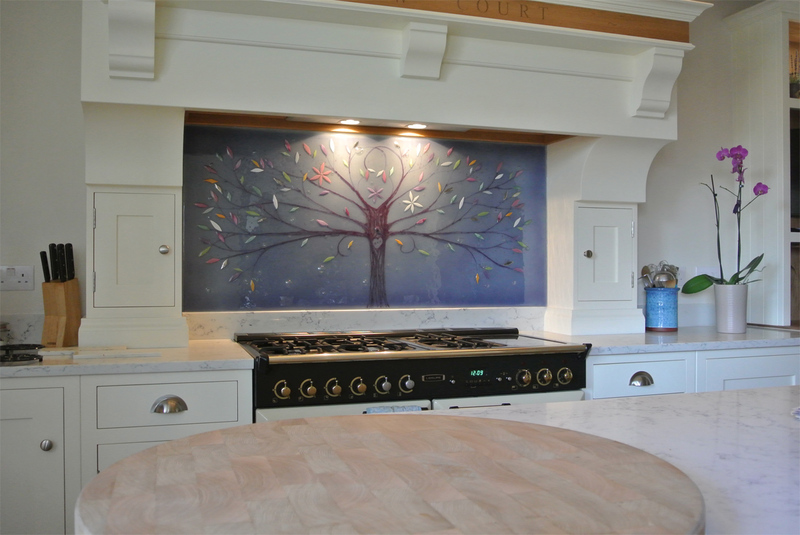 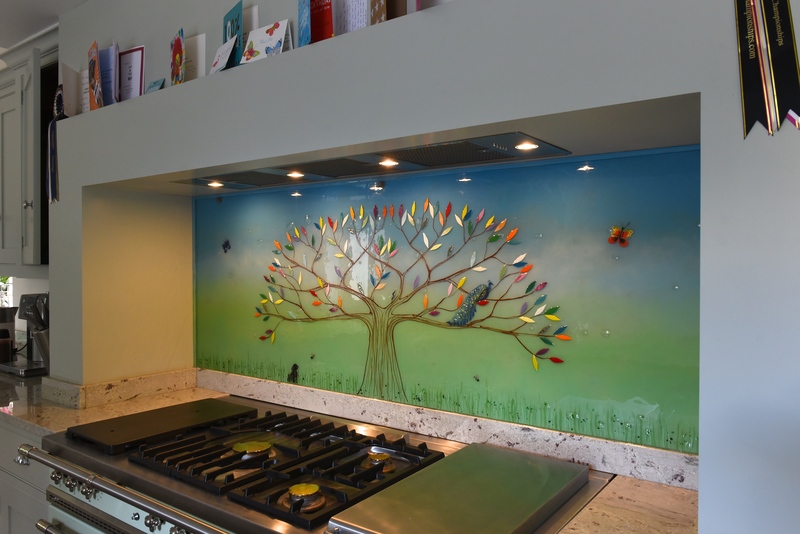 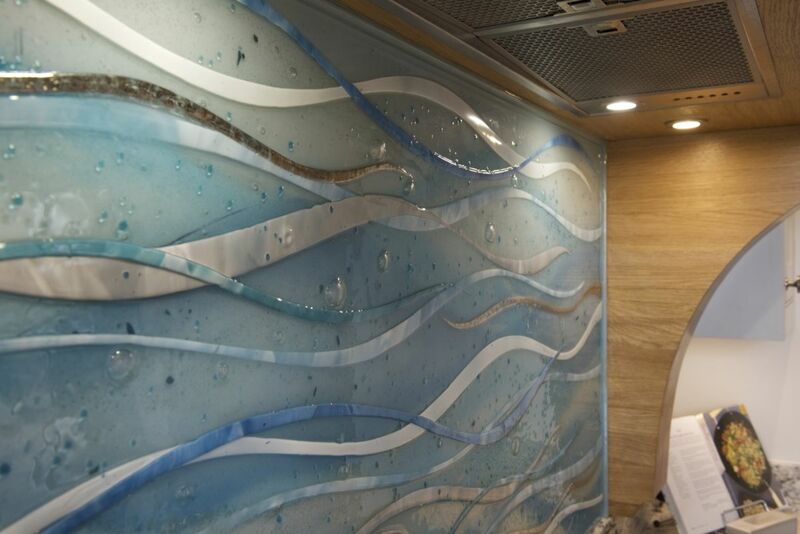 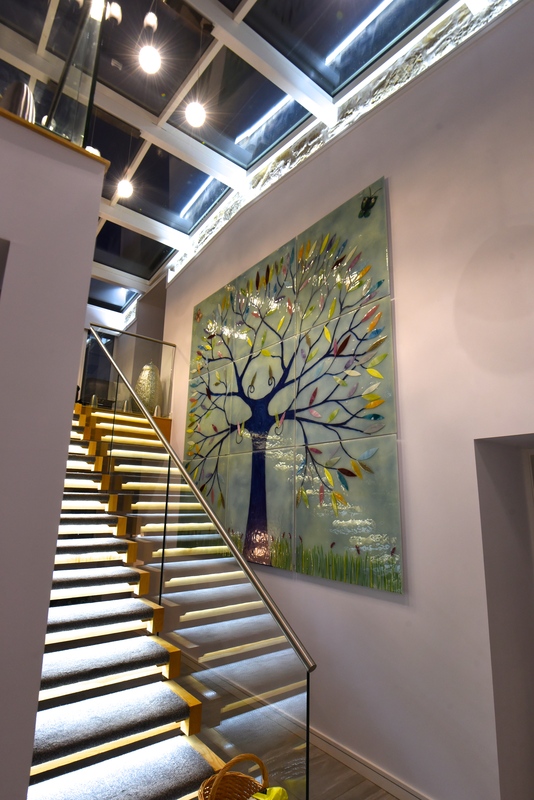 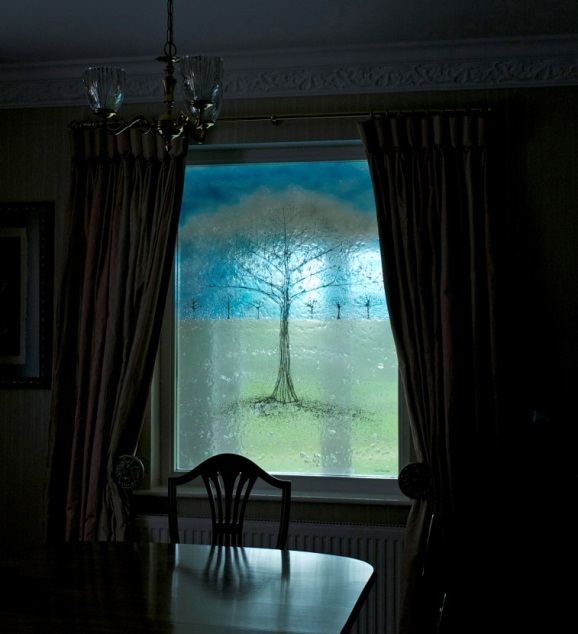 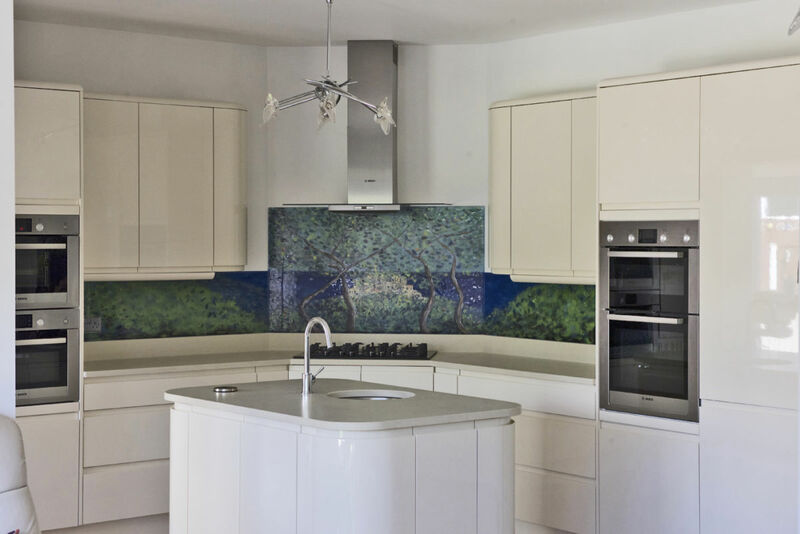 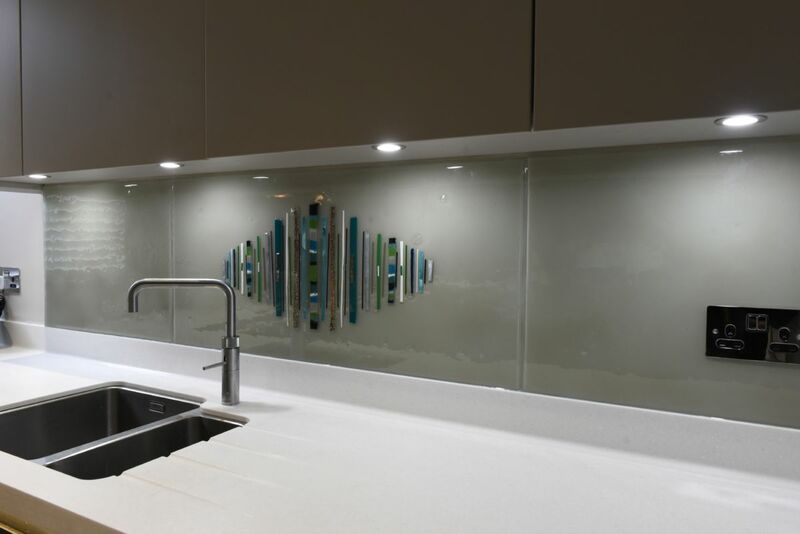 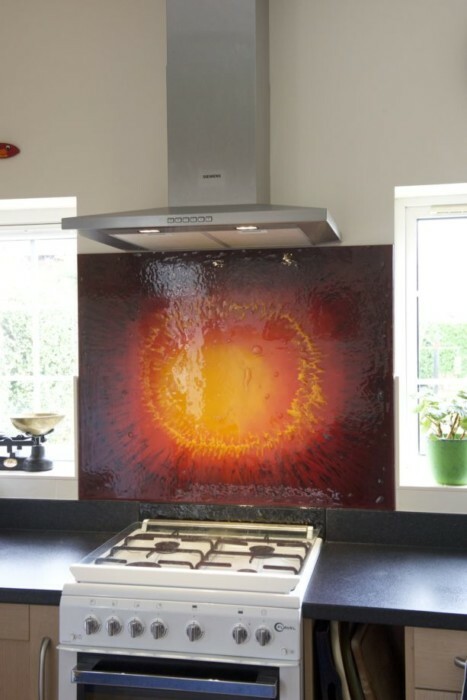 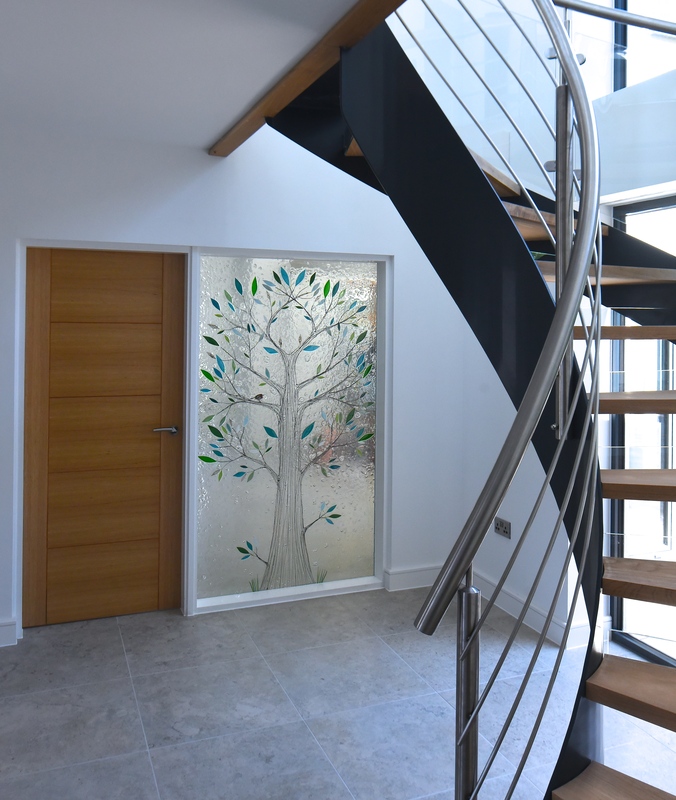 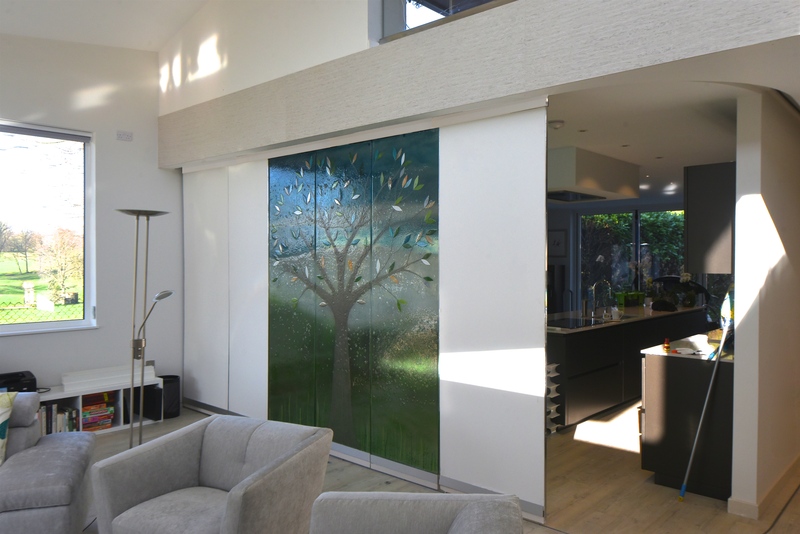 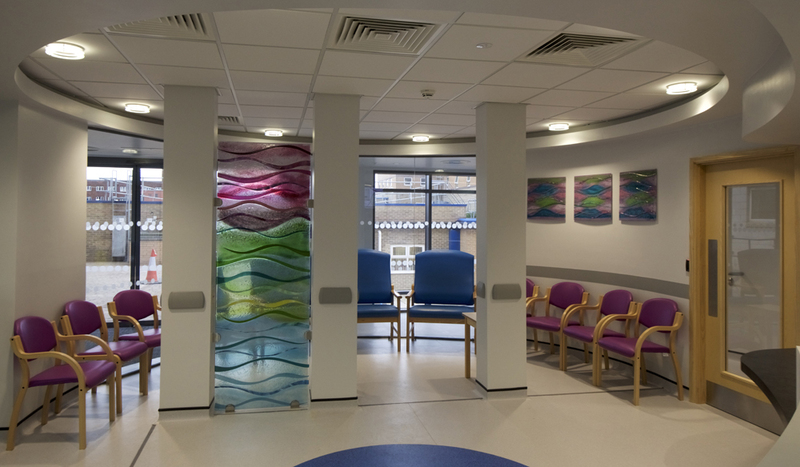 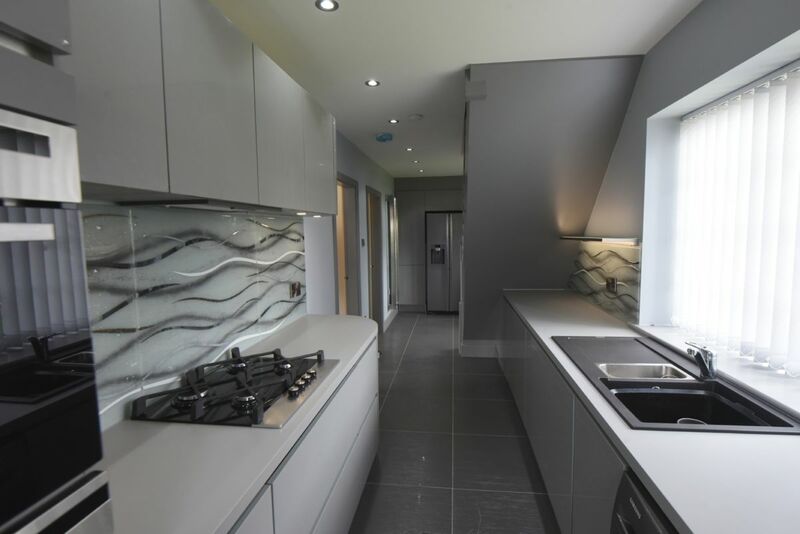 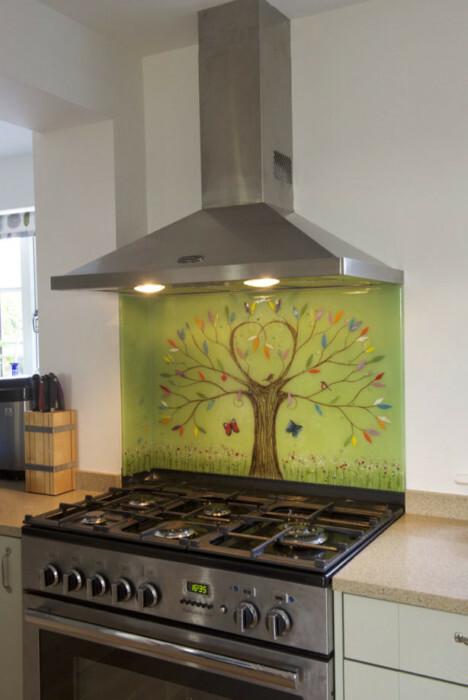 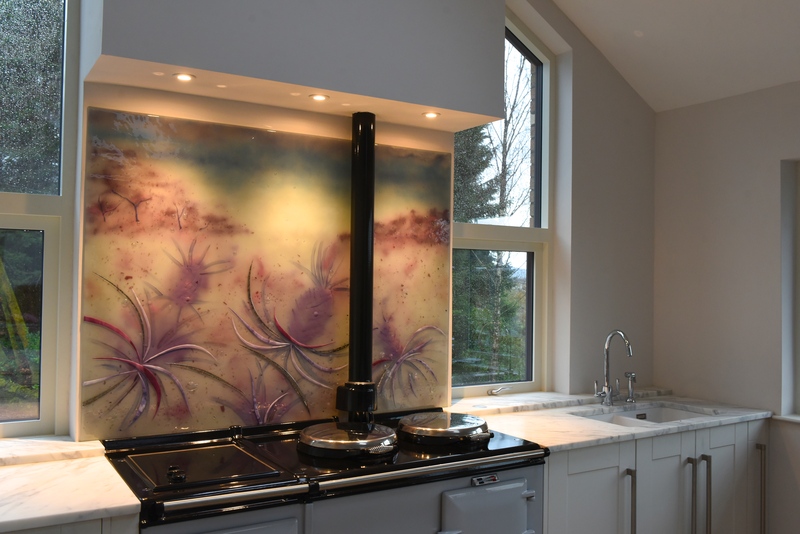 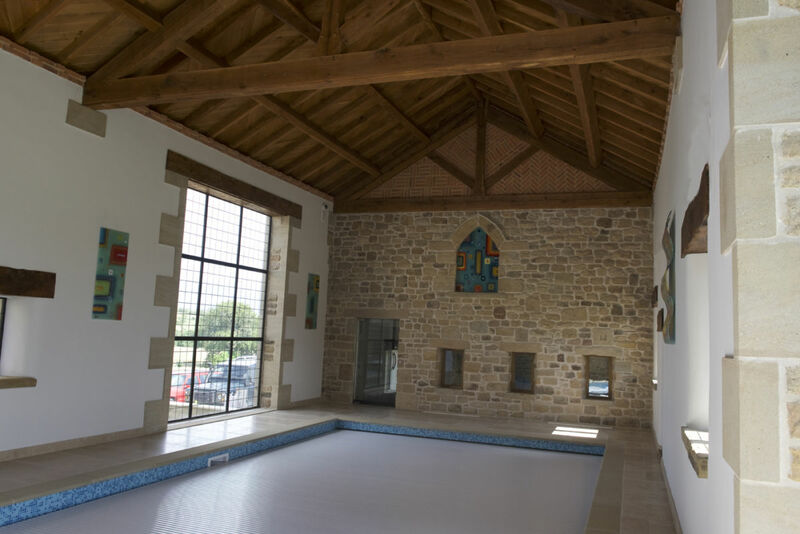 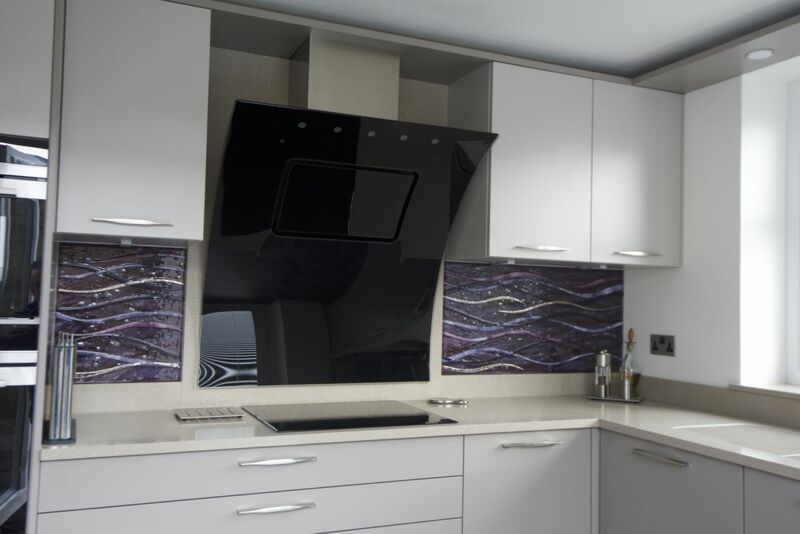 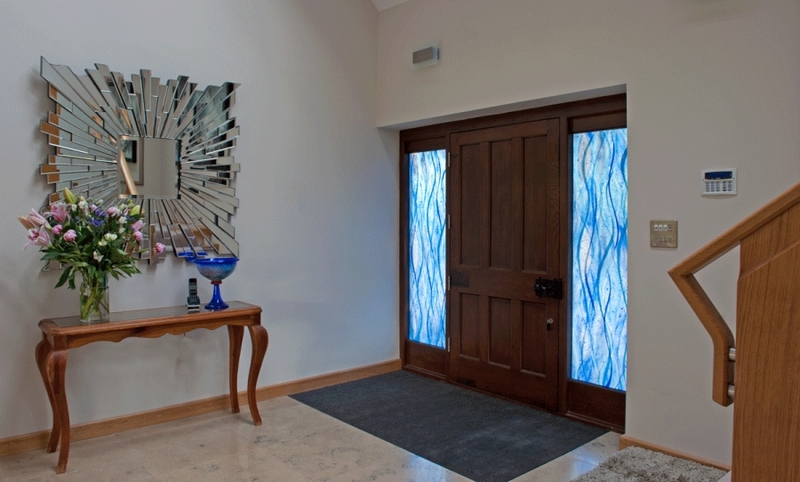 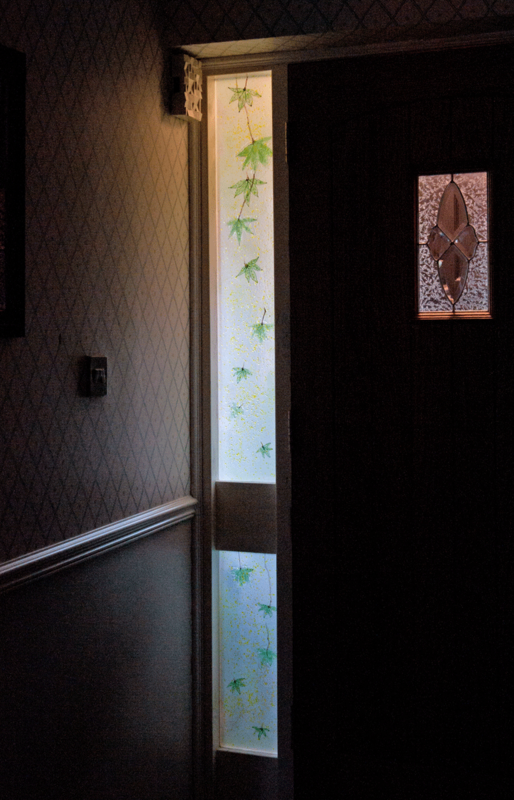 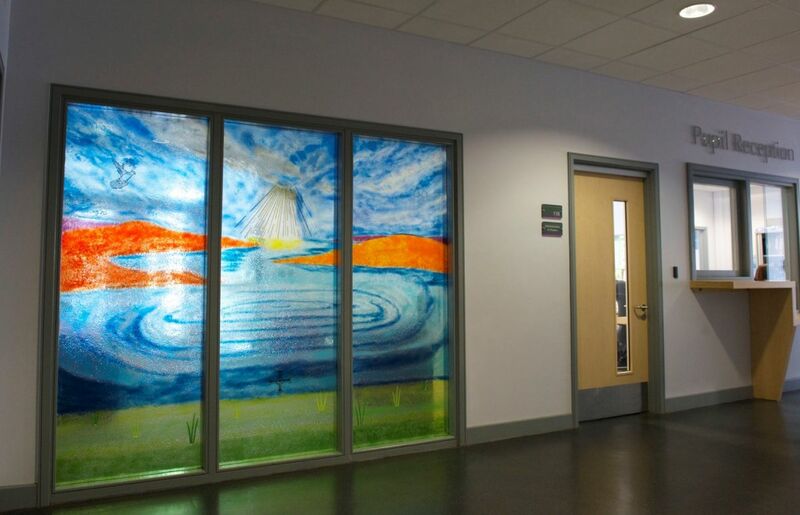 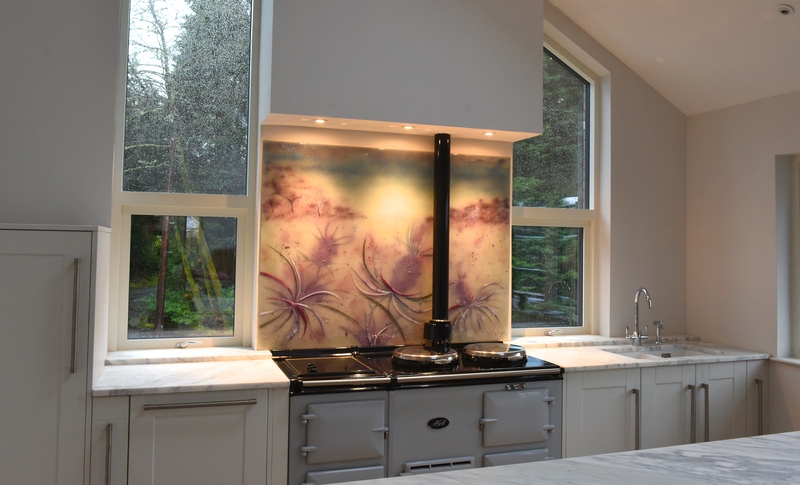 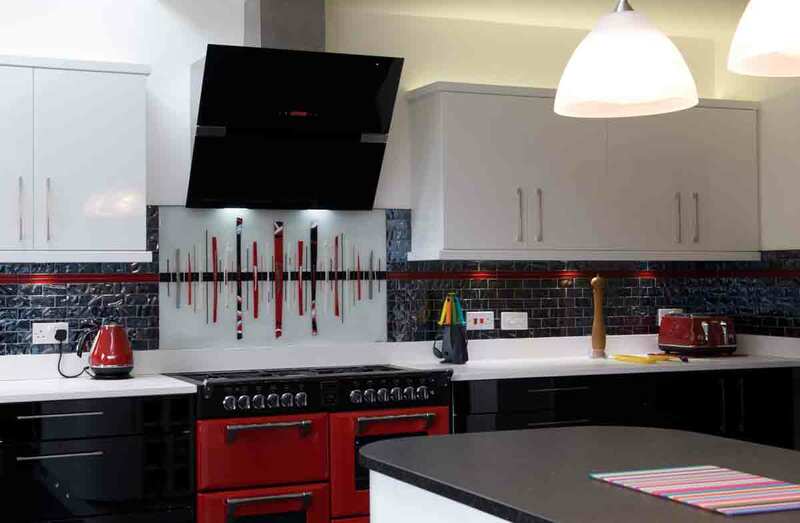 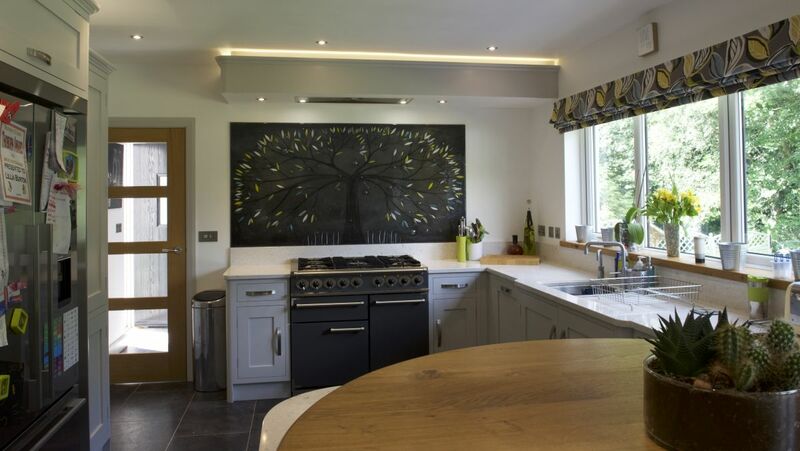 They add a layered three-dimensional effect and a texture that you actually can reach out and touch, helping to create depth and make the most of the multiple panes of glass being used. 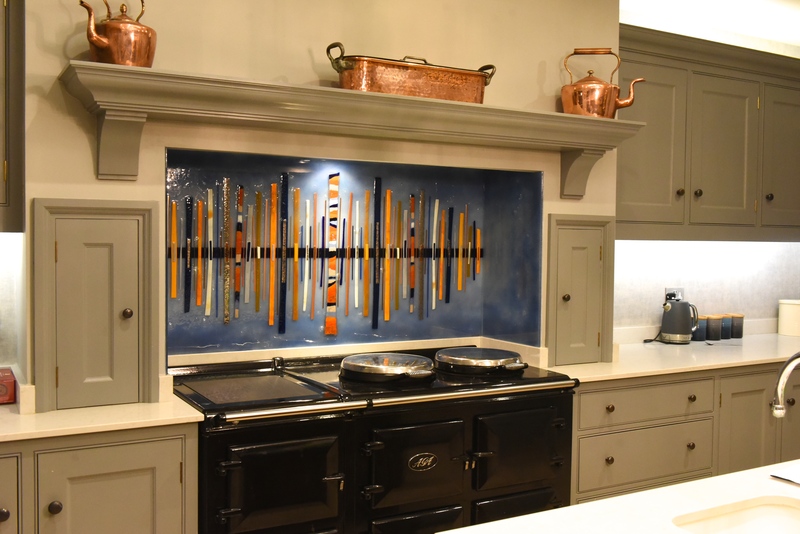 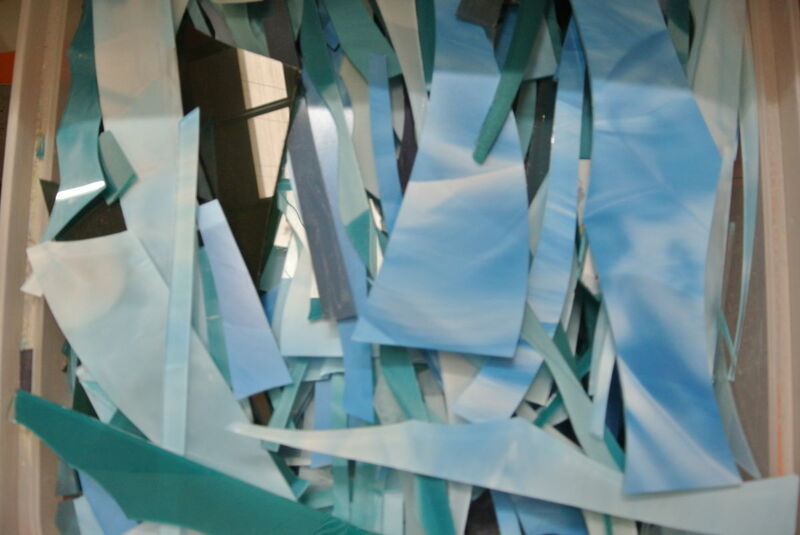 White and blue textured accents complete the look of the the piece, curving down from top to bottom and making the finished product really pop out. 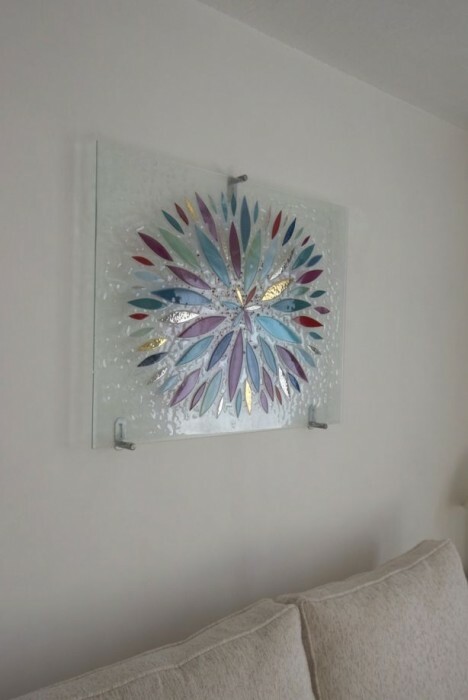 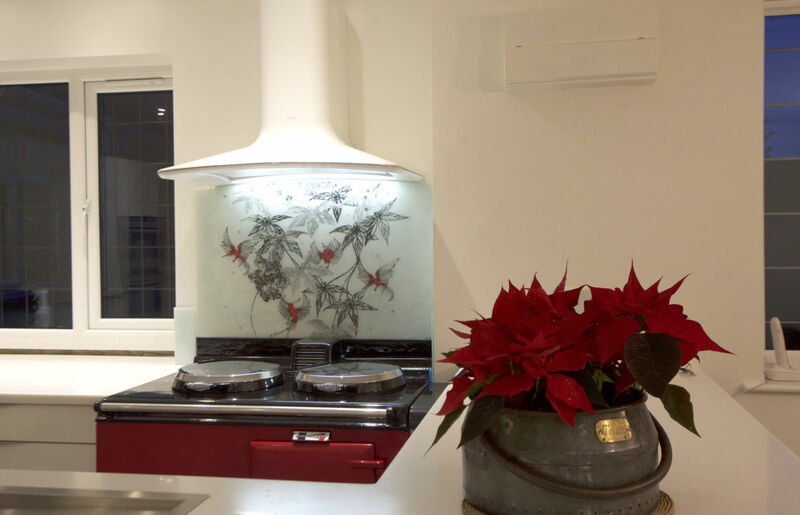 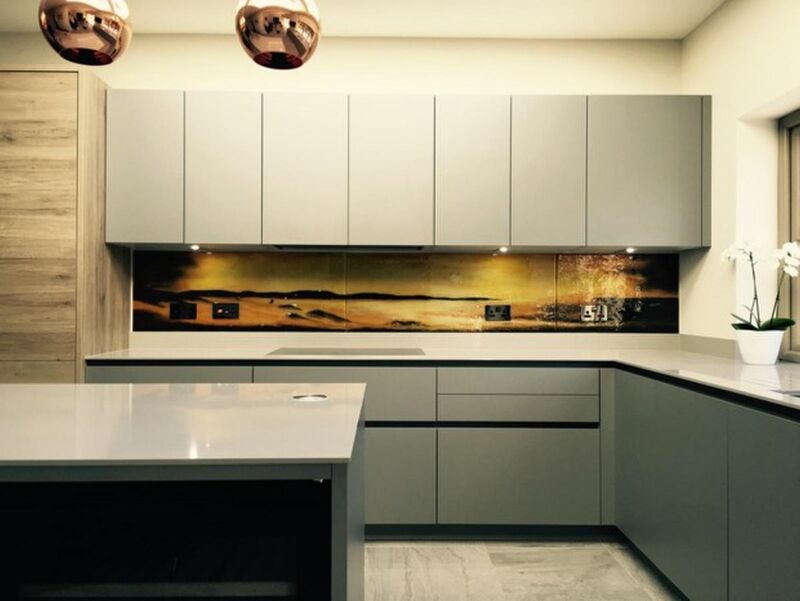 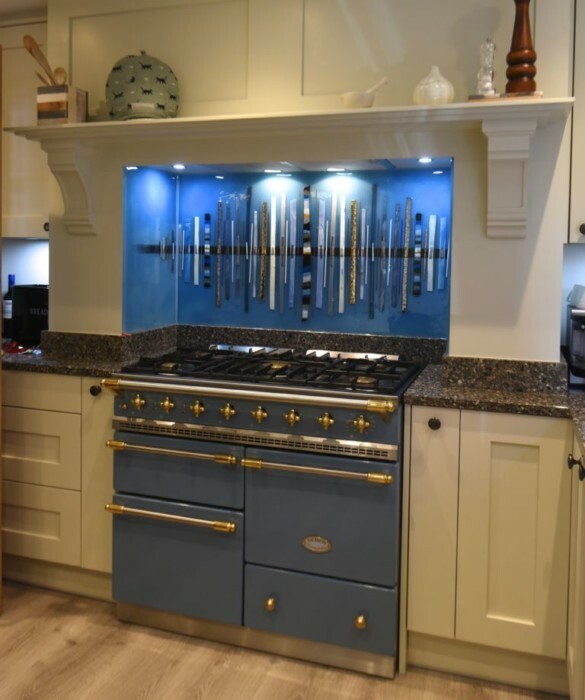 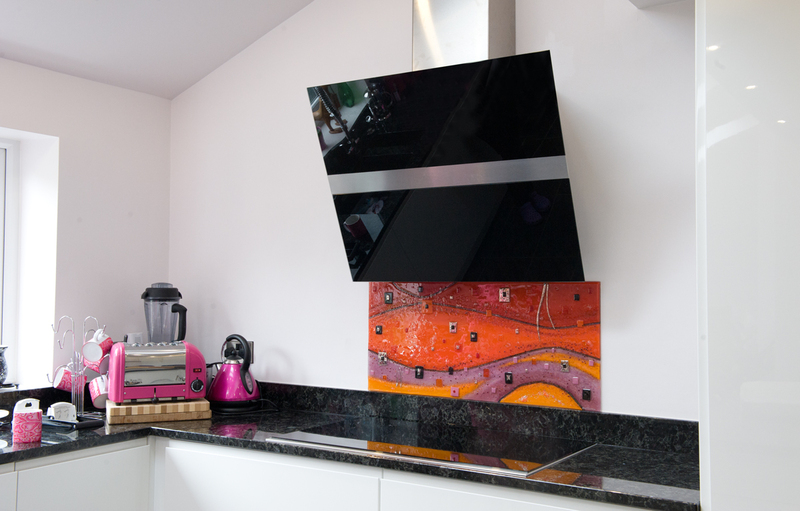 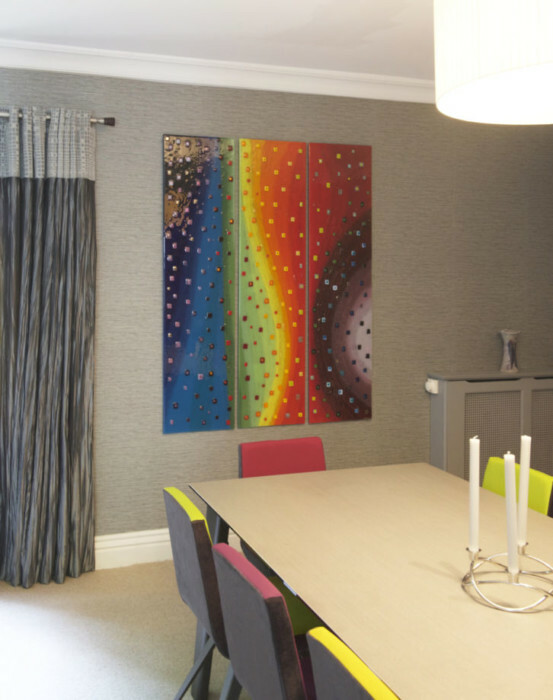 We especially love how the cool colours of the glass complement the warmer atmosphere, and how the piece adds a little bit of colour to an otherwise neutral space. 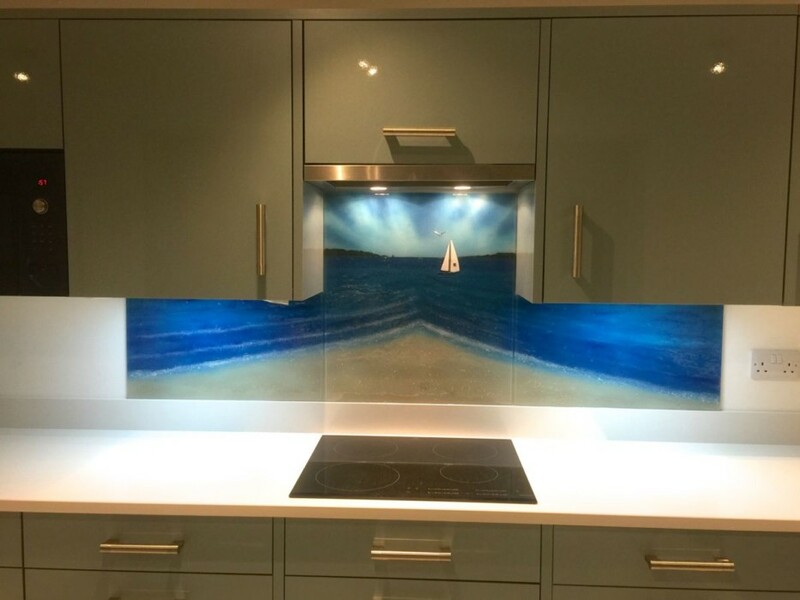 A perfect addition! 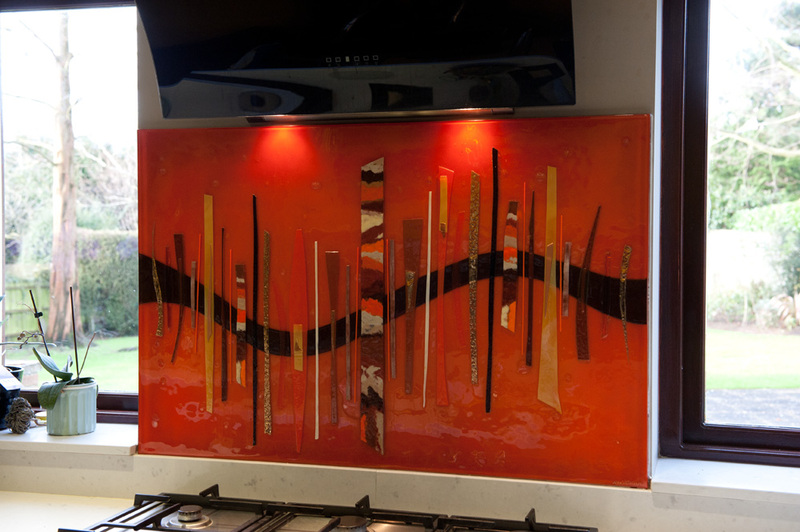 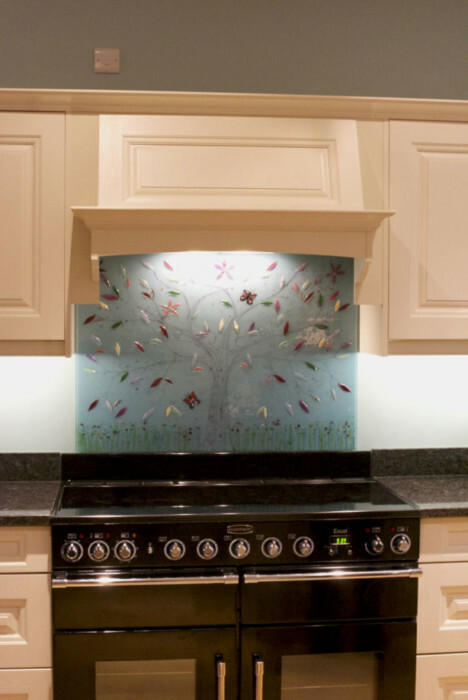 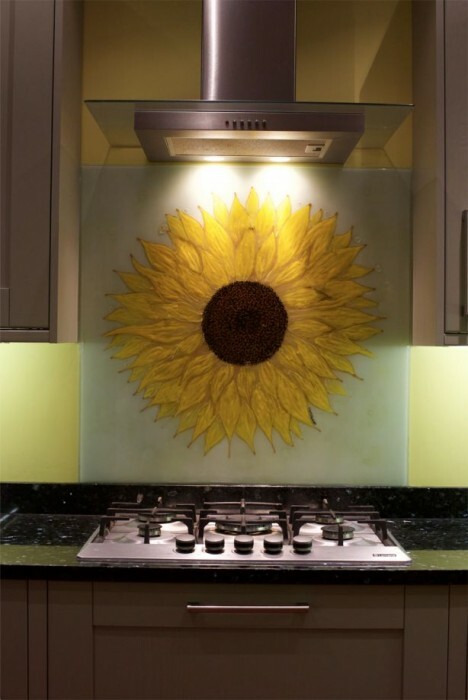 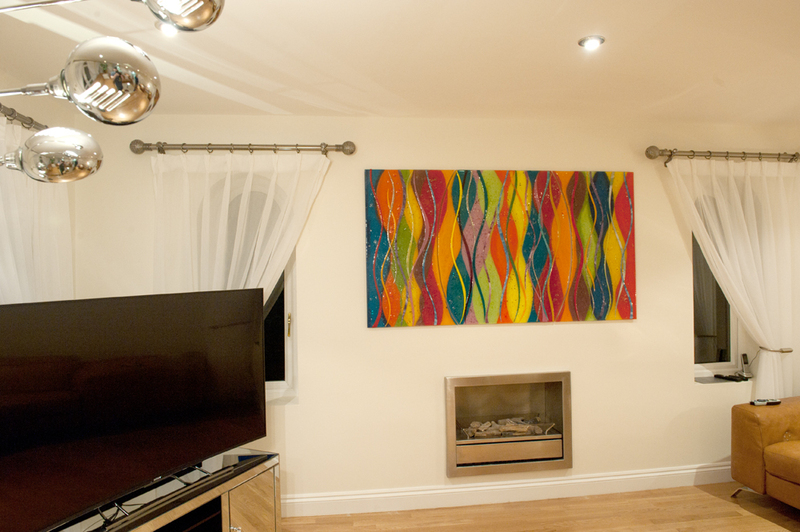 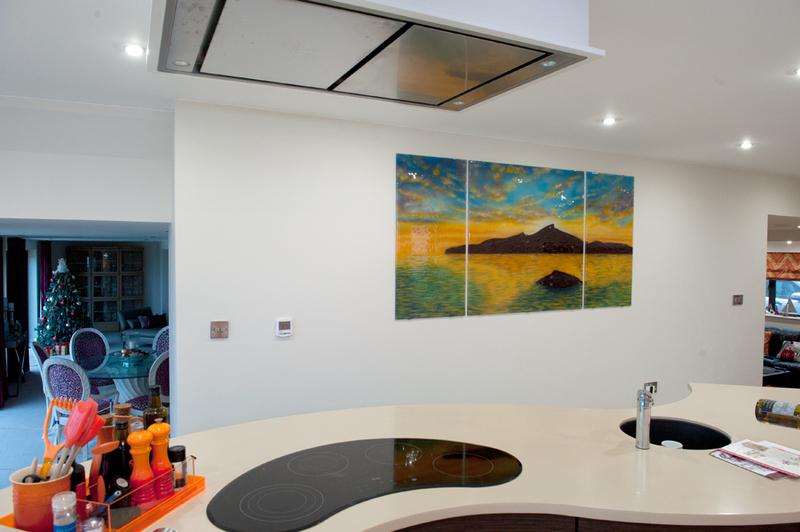 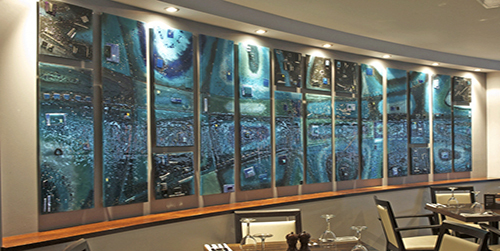 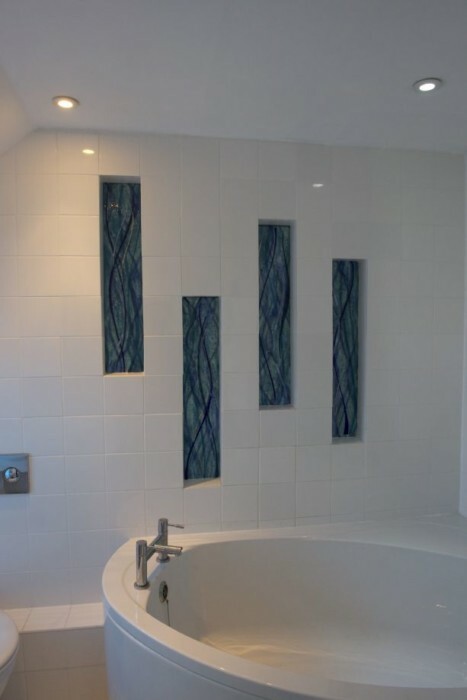 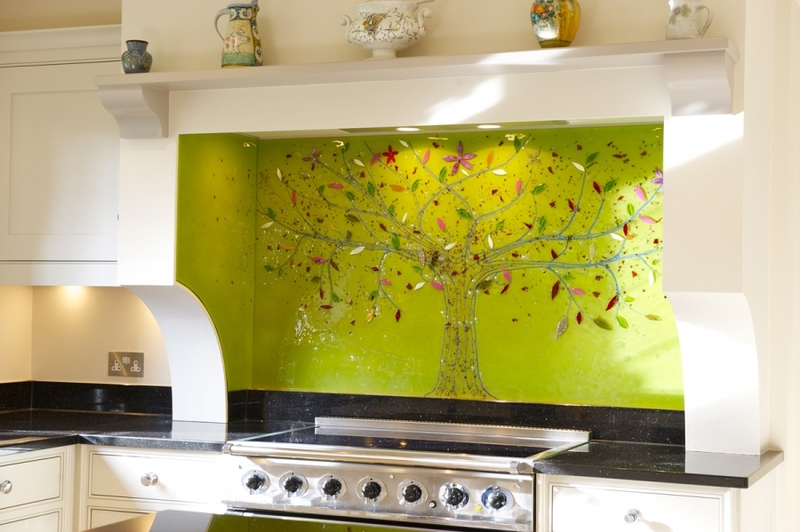 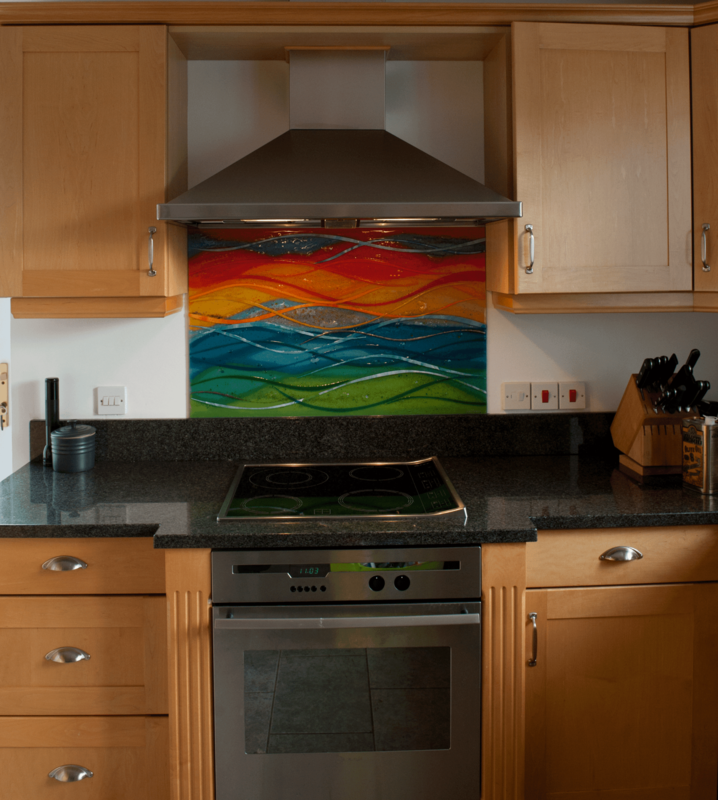 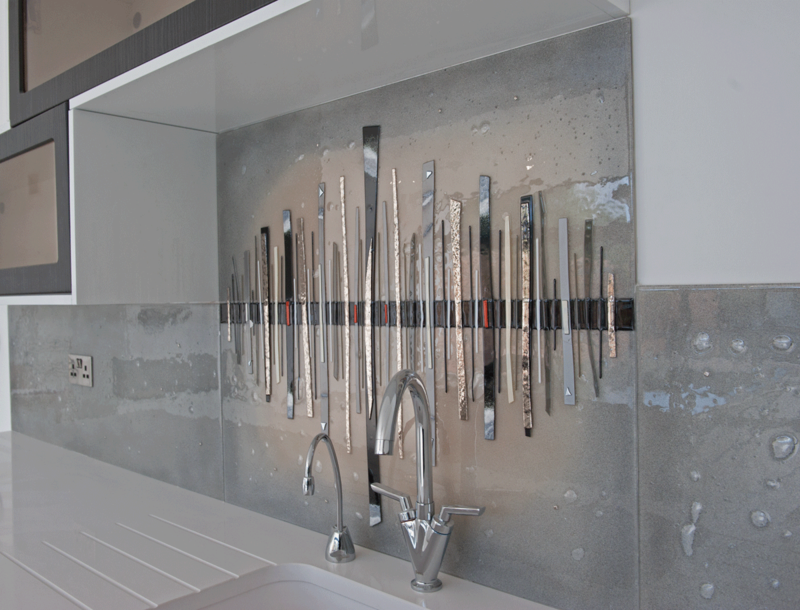 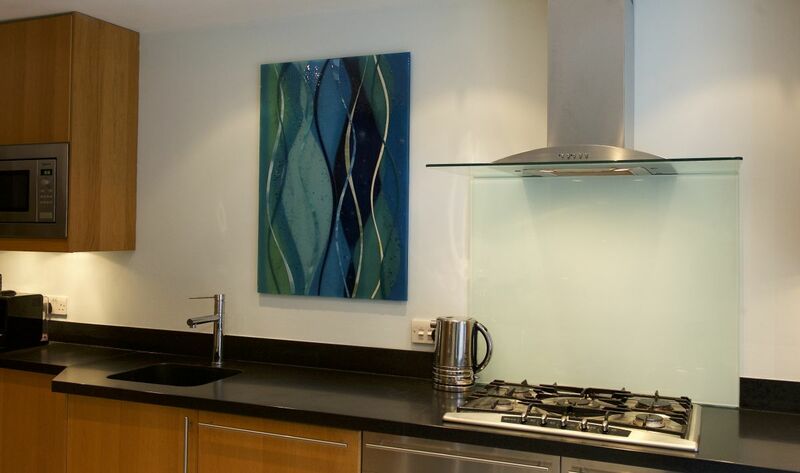 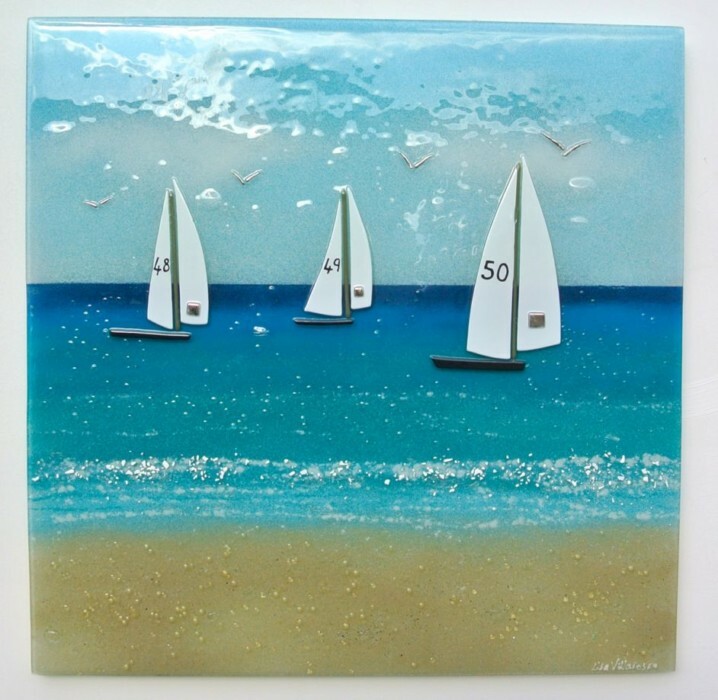 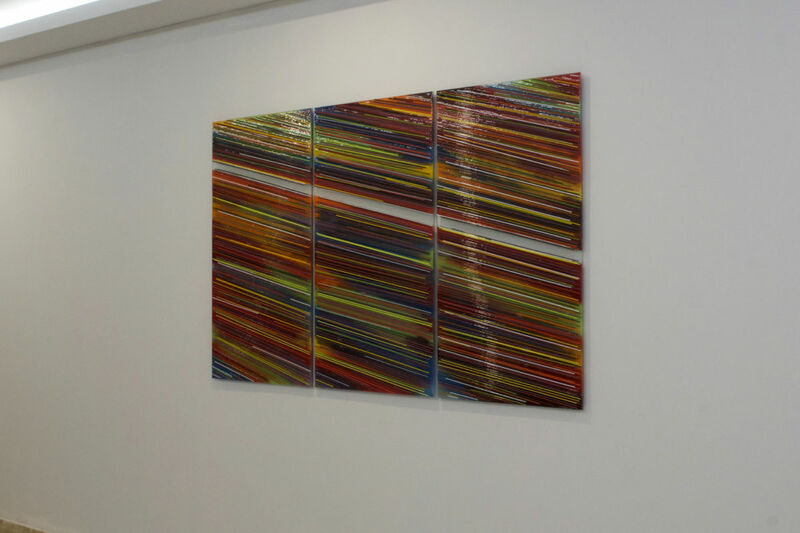 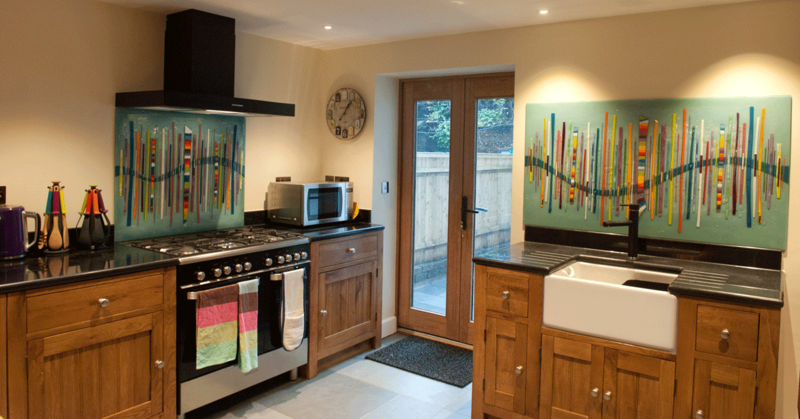 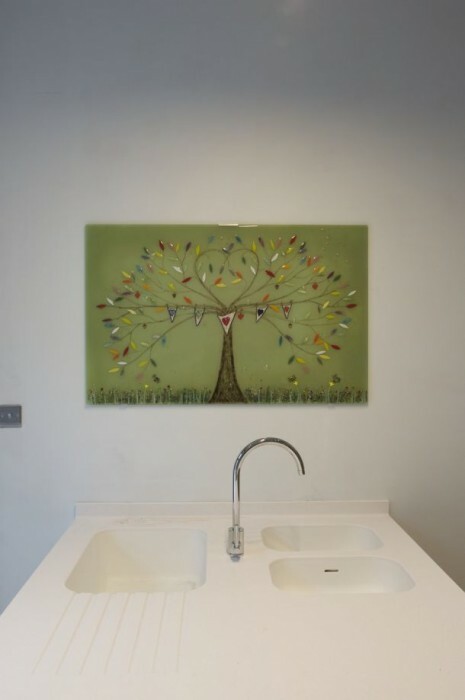 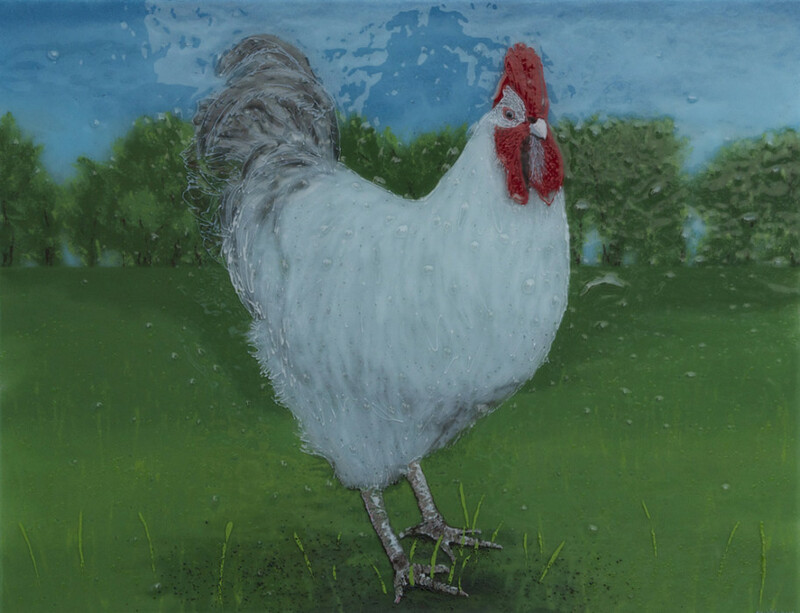 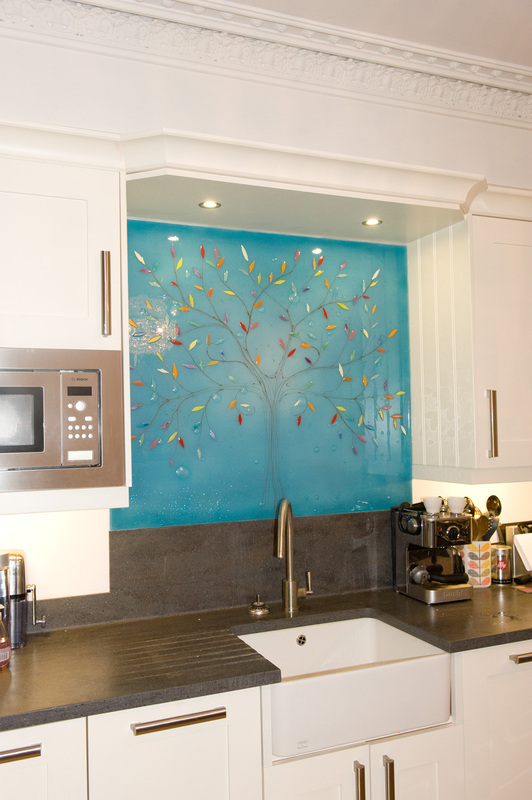 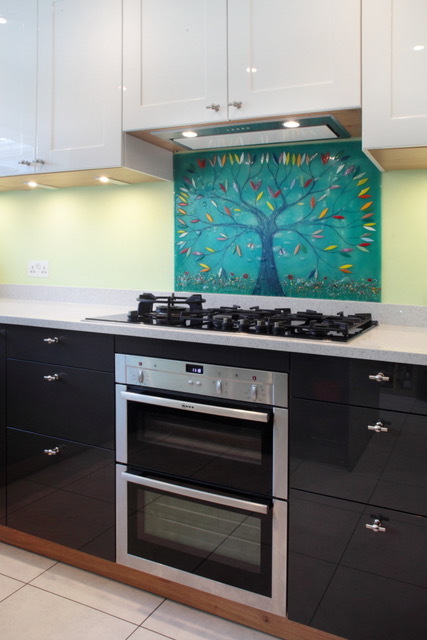 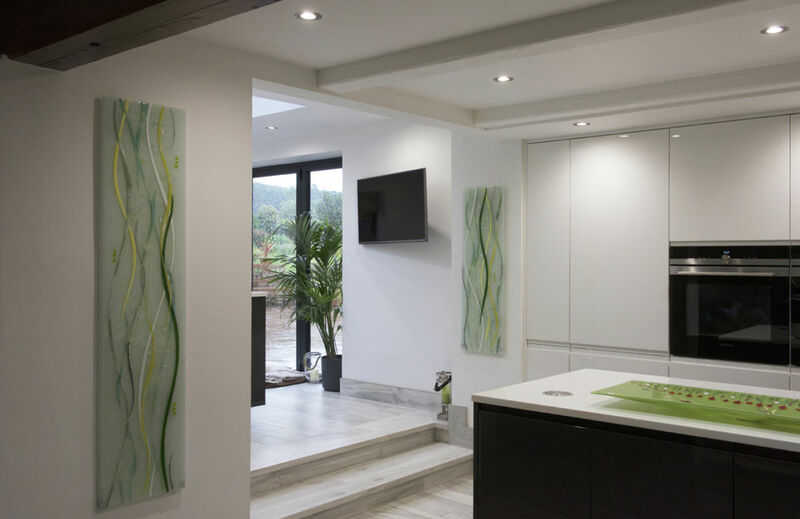 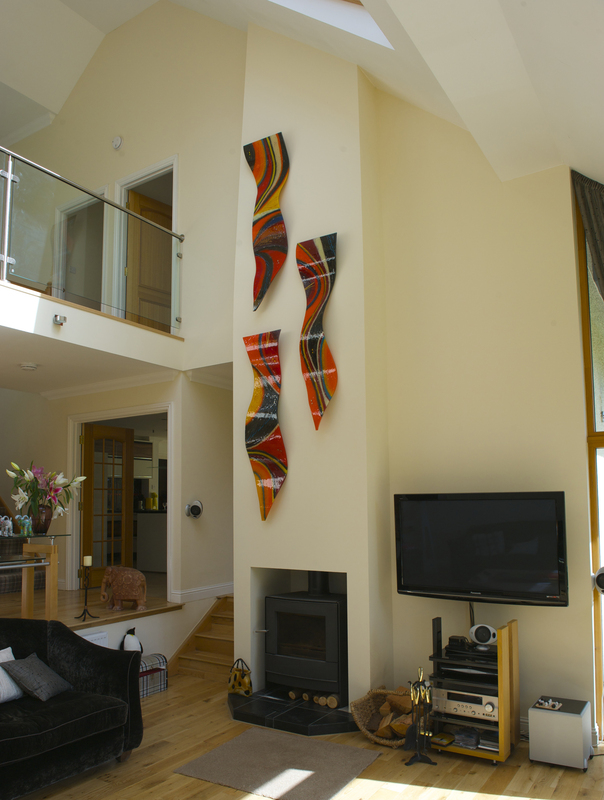 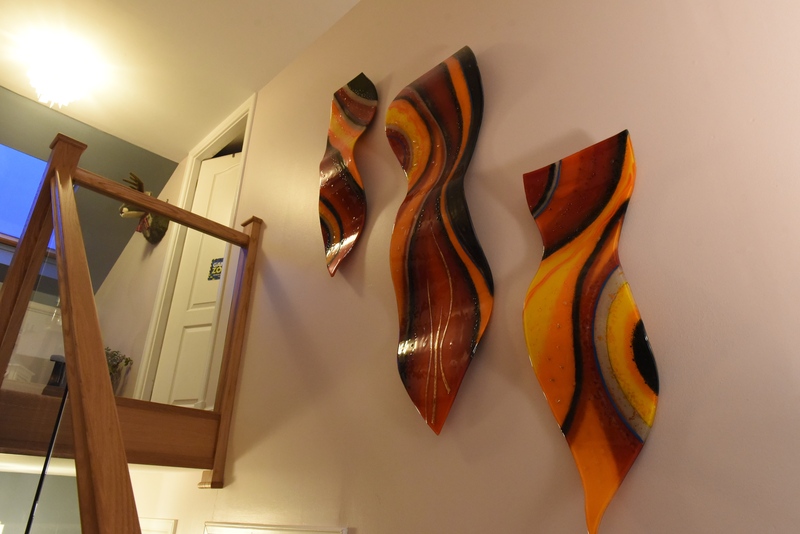 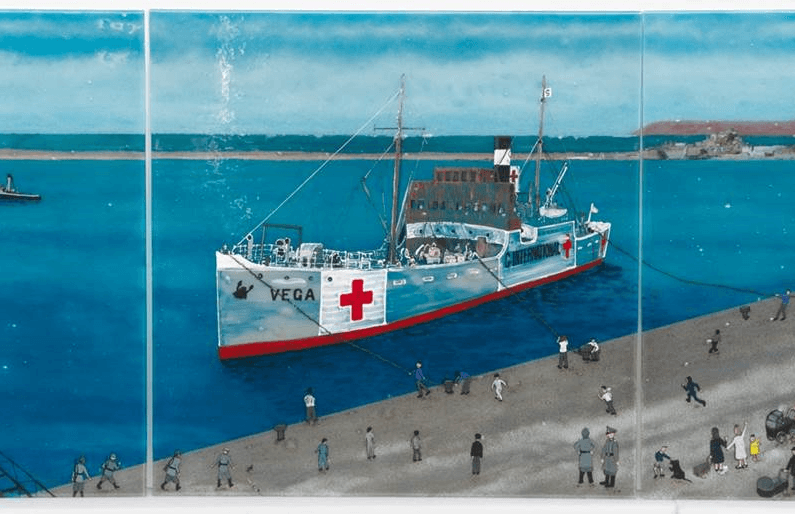 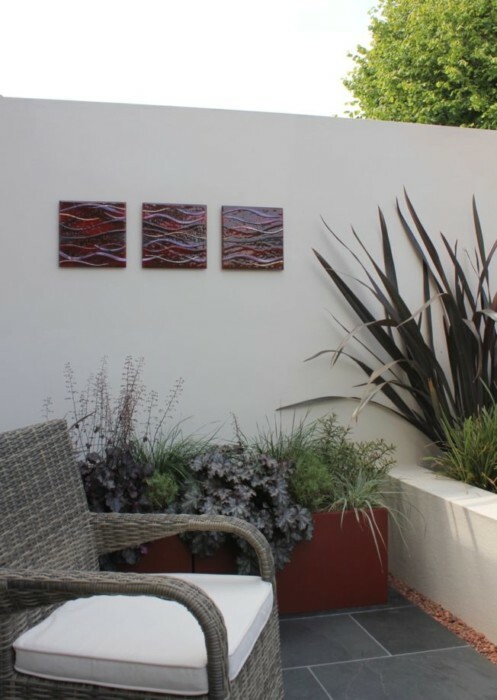 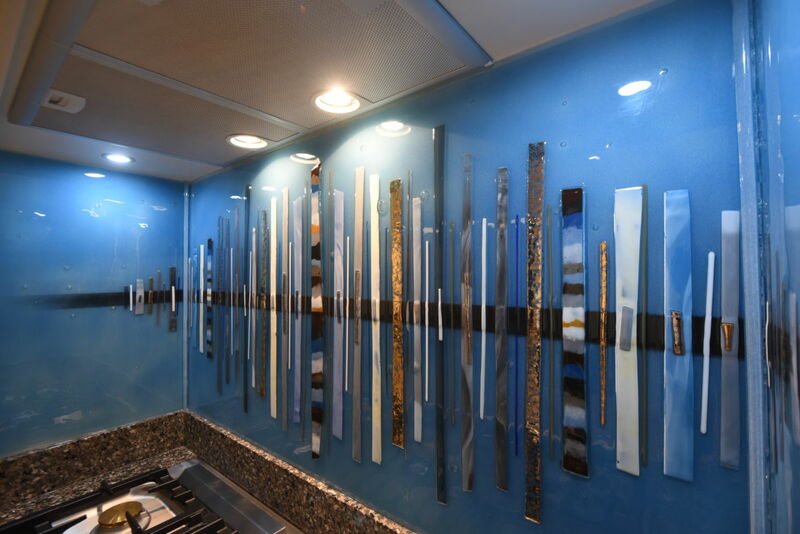 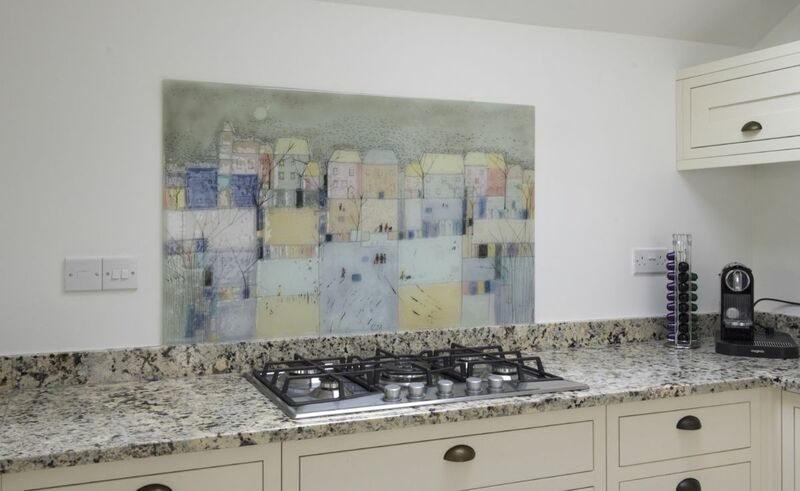 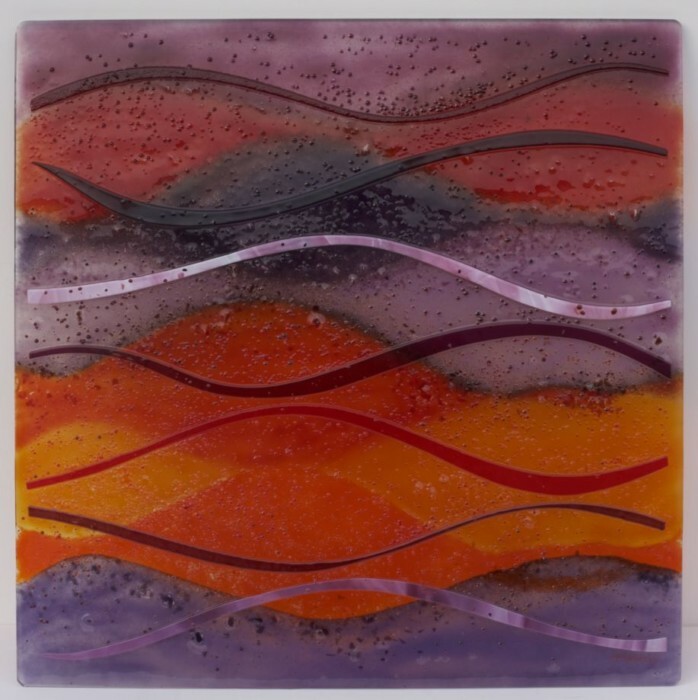 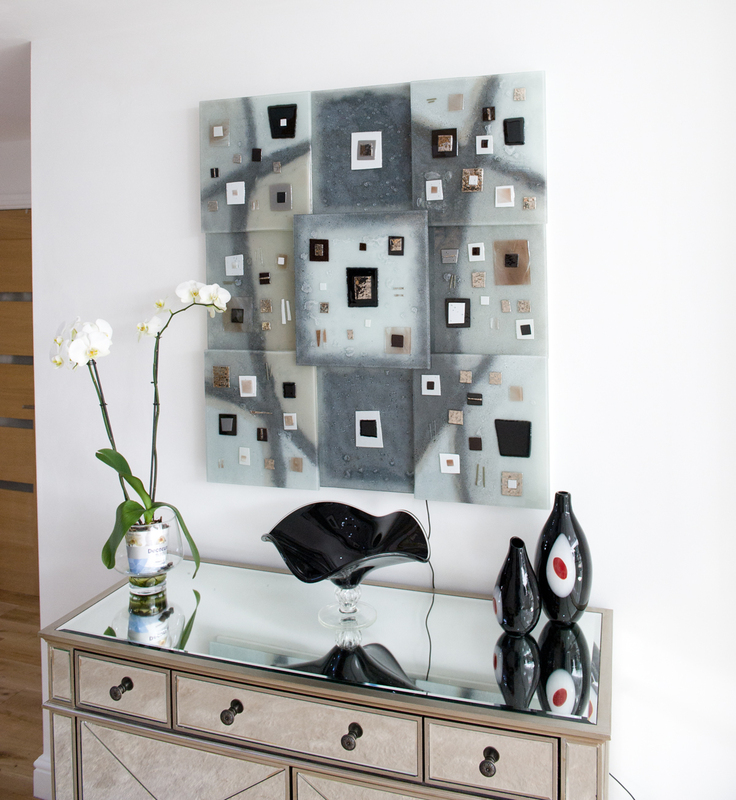 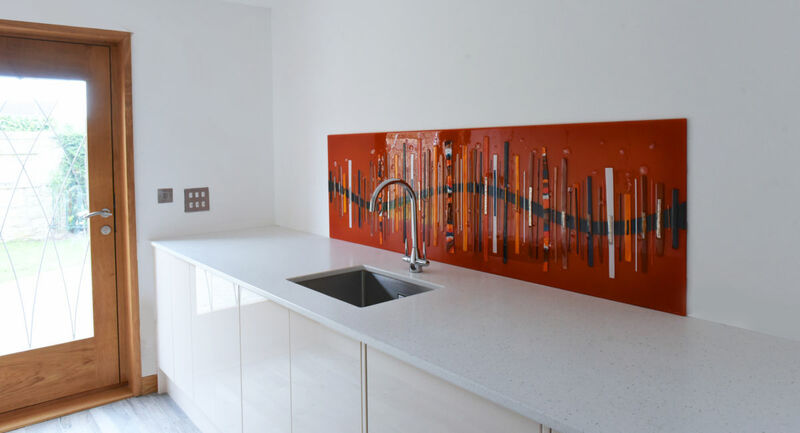 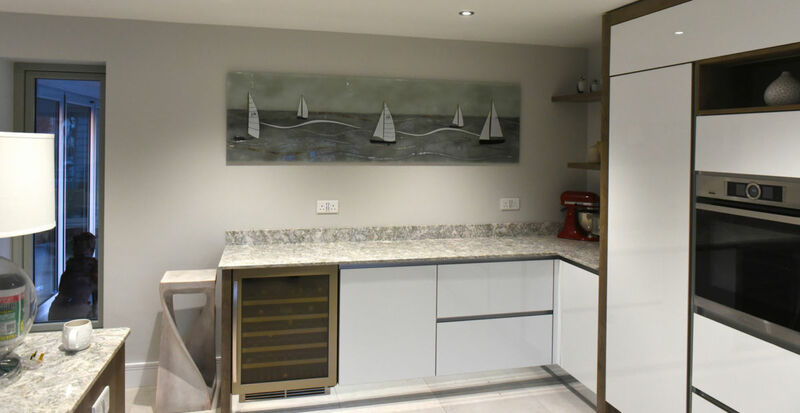 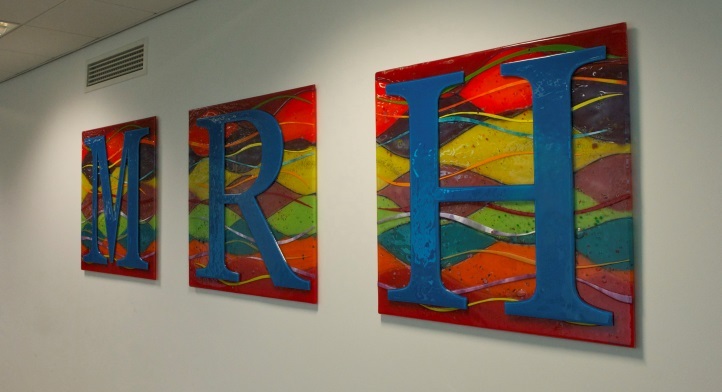 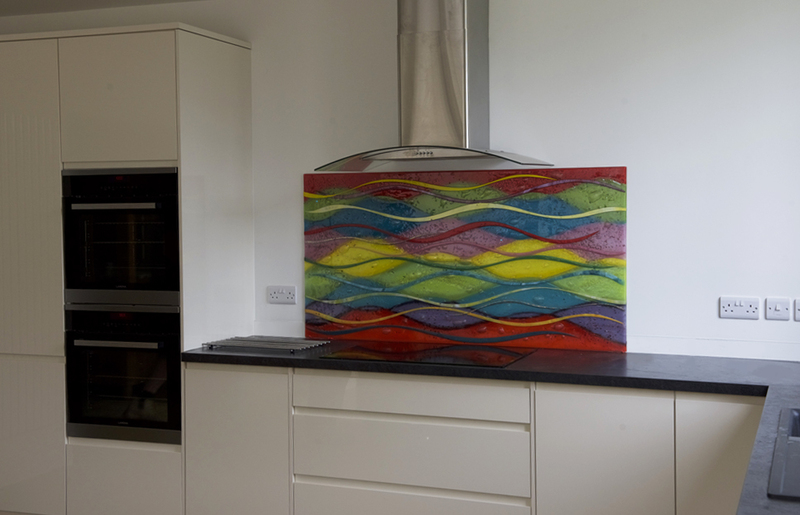 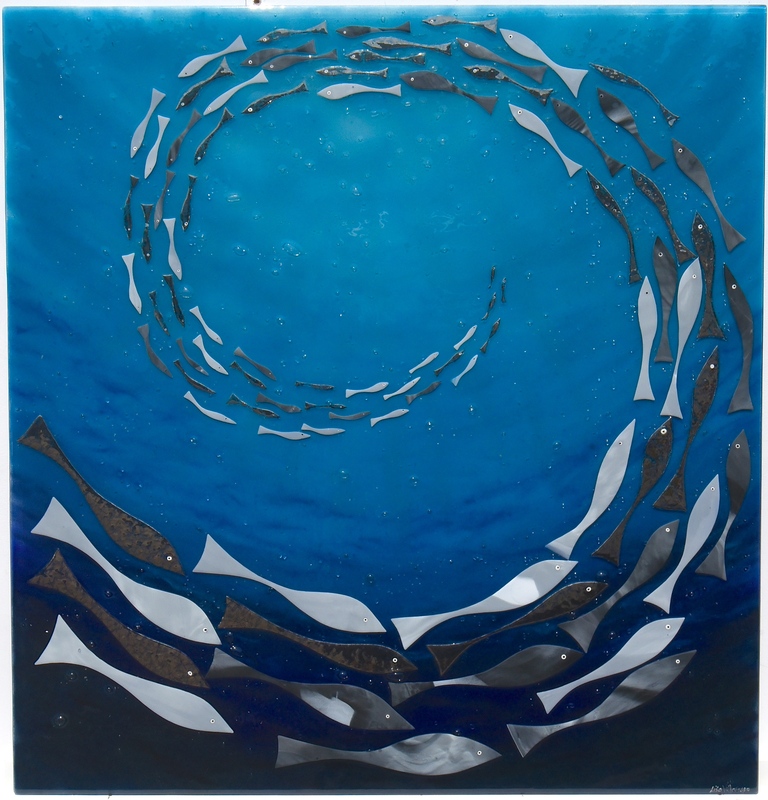 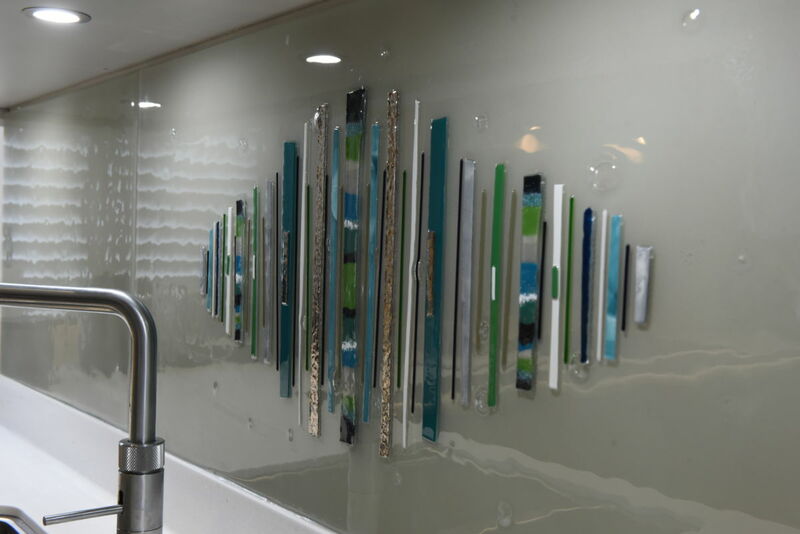 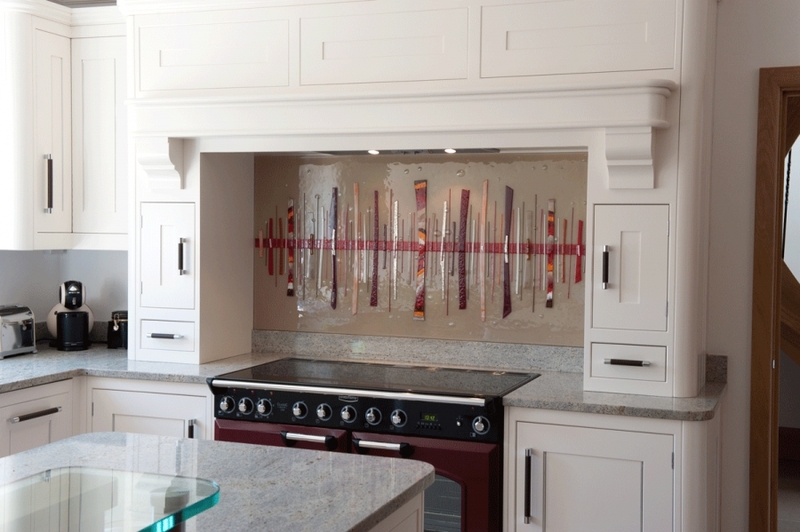 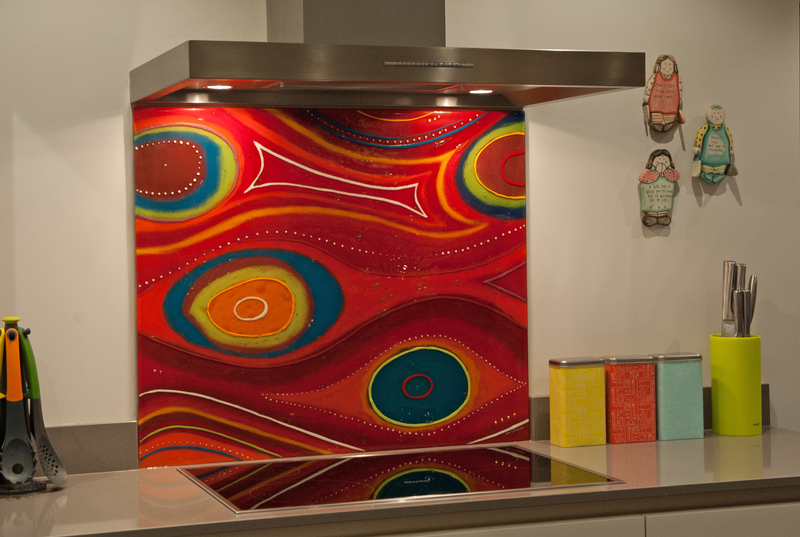 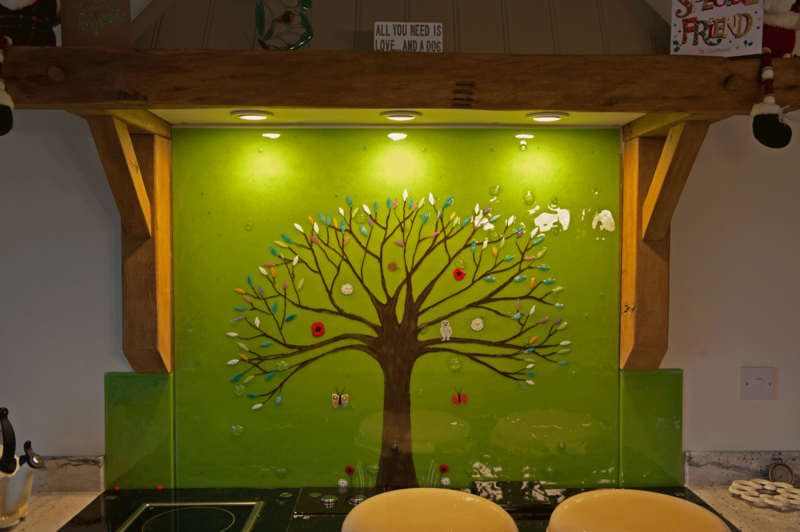 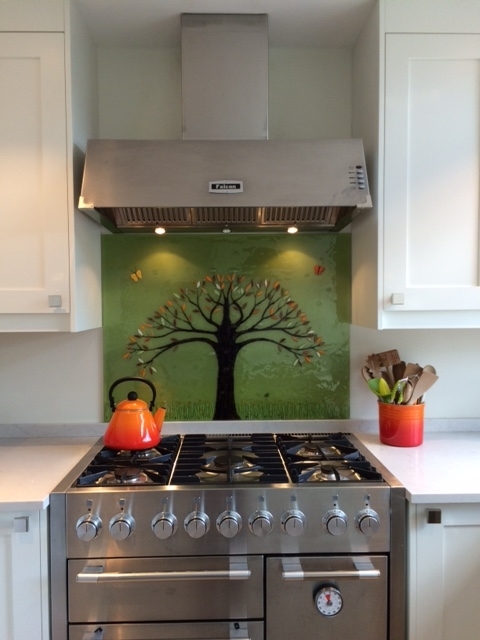 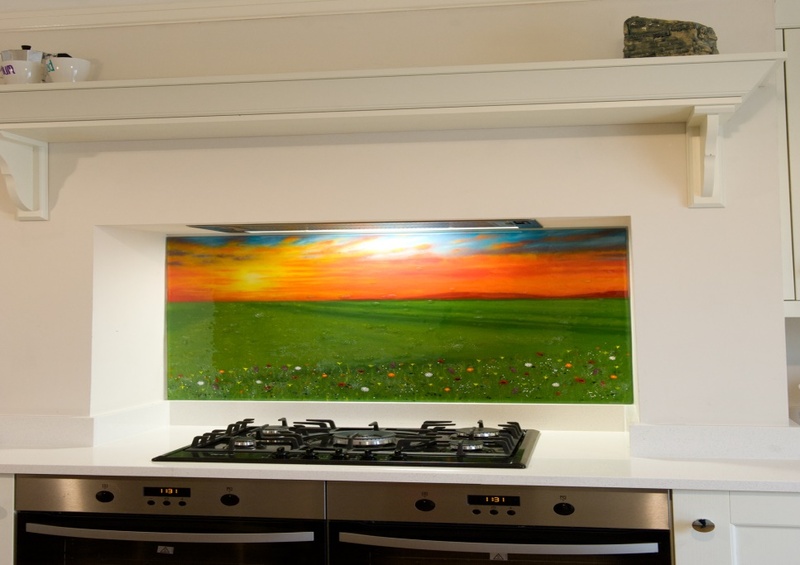 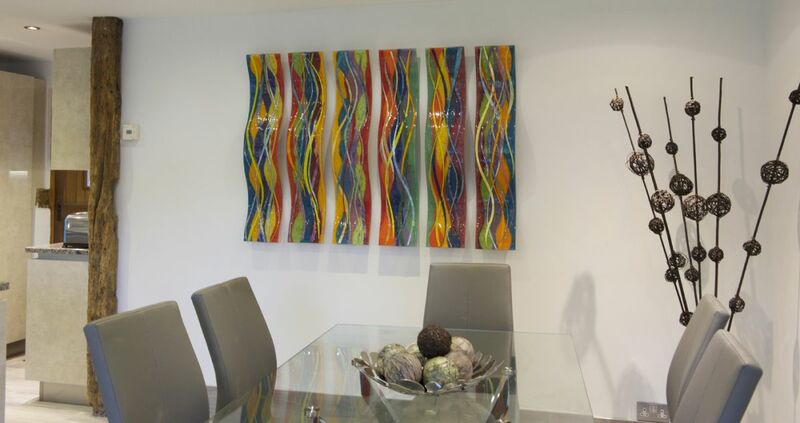 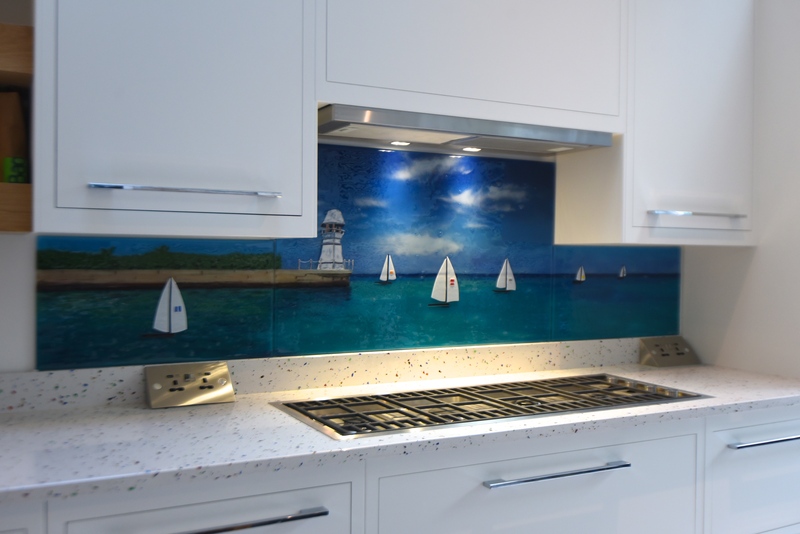 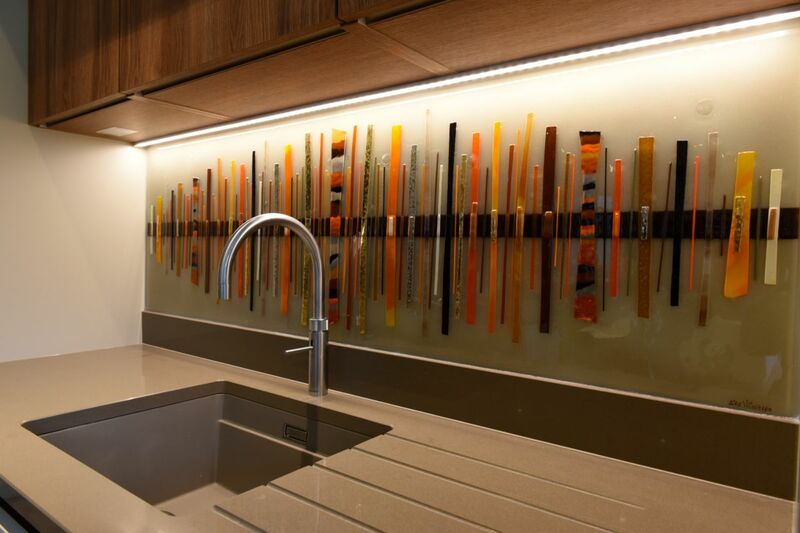 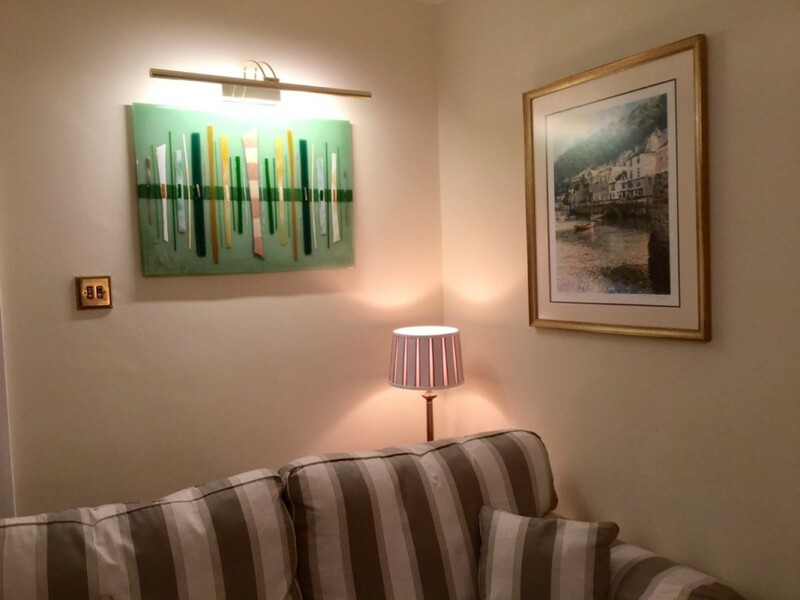 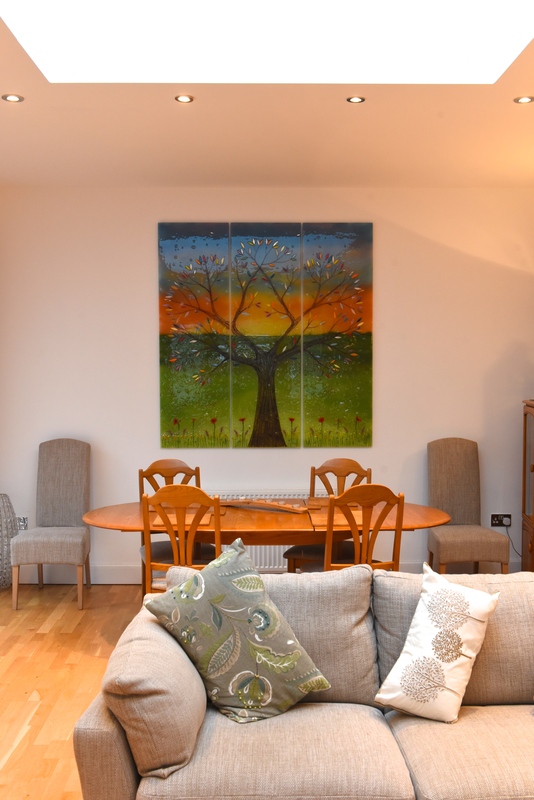 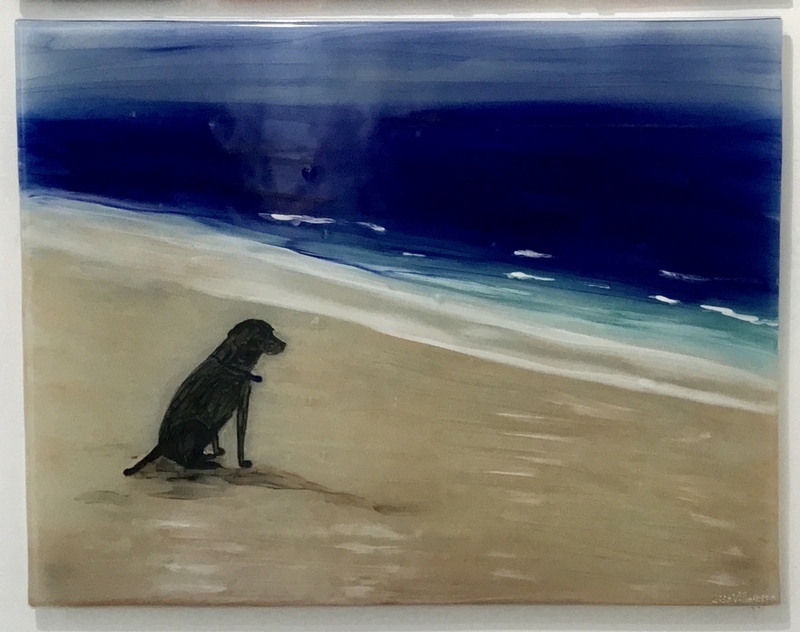 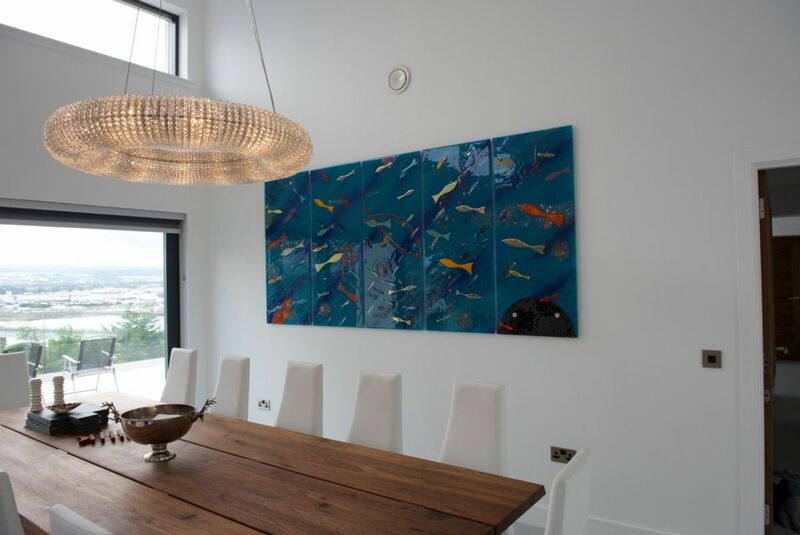 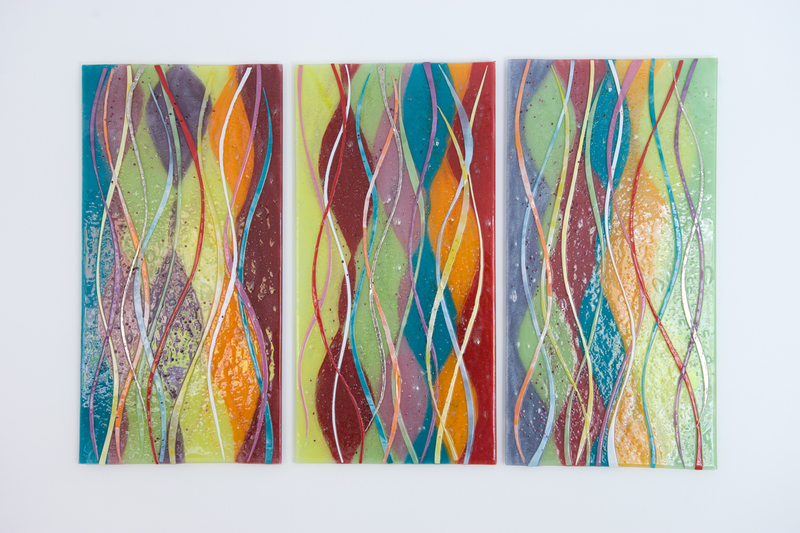 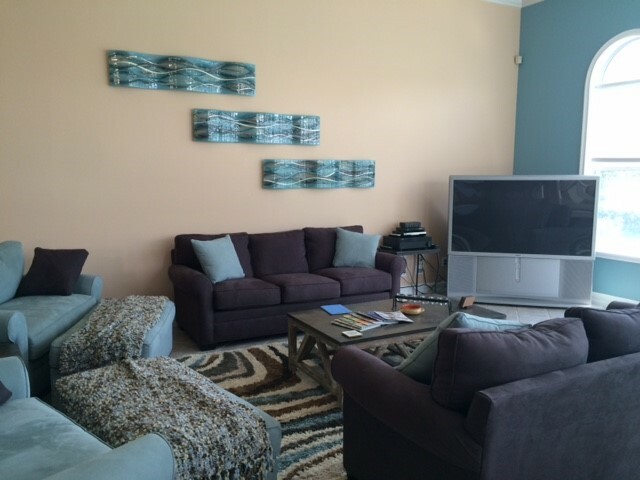 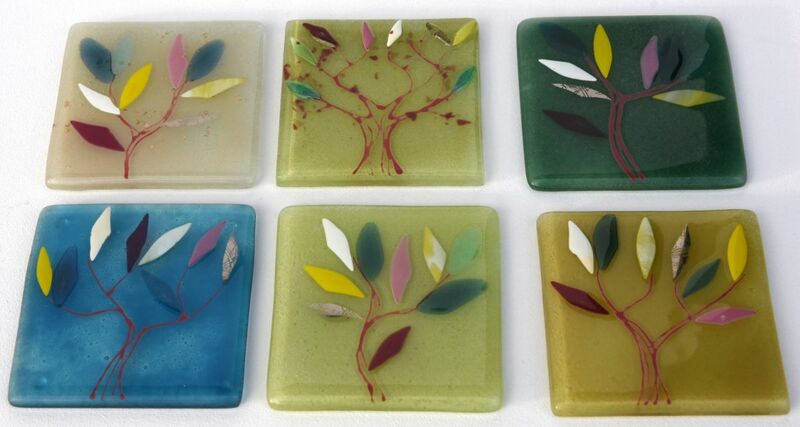 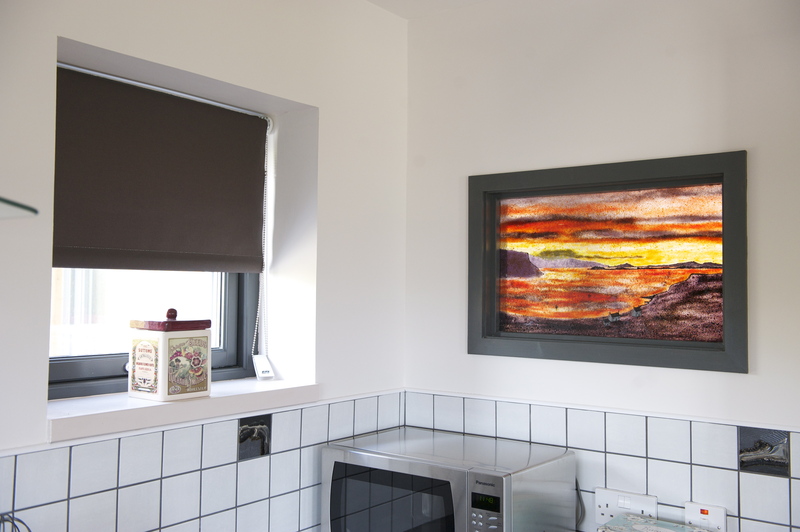 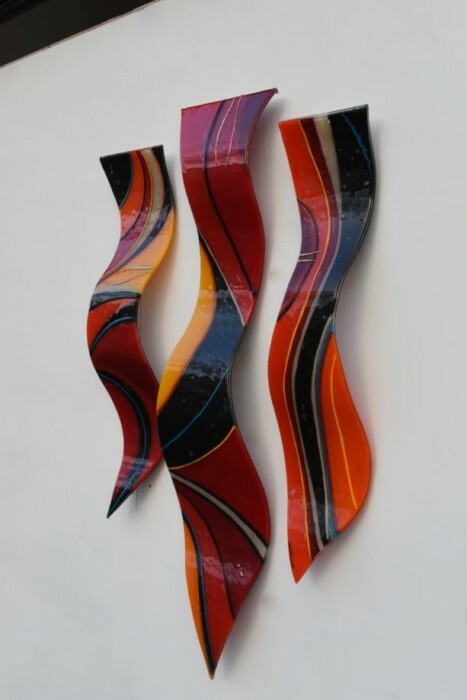 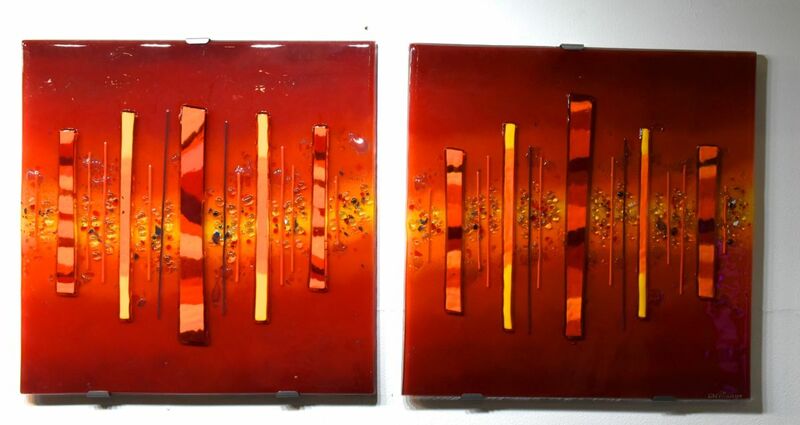 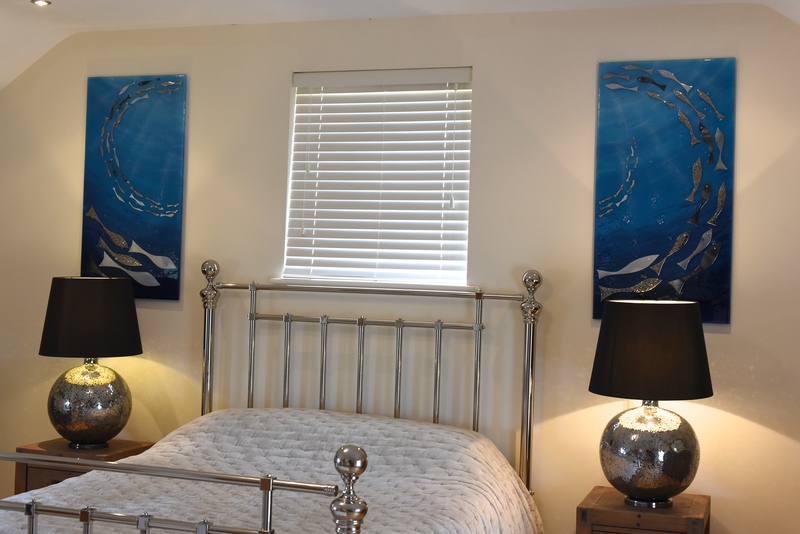 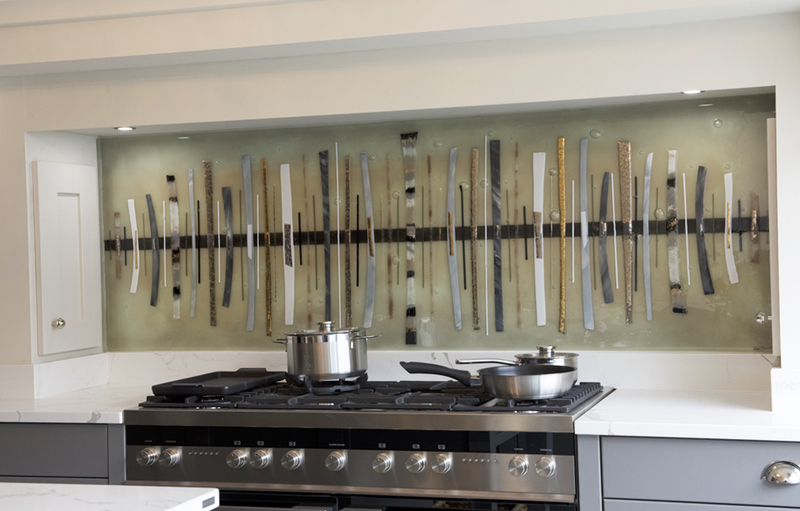 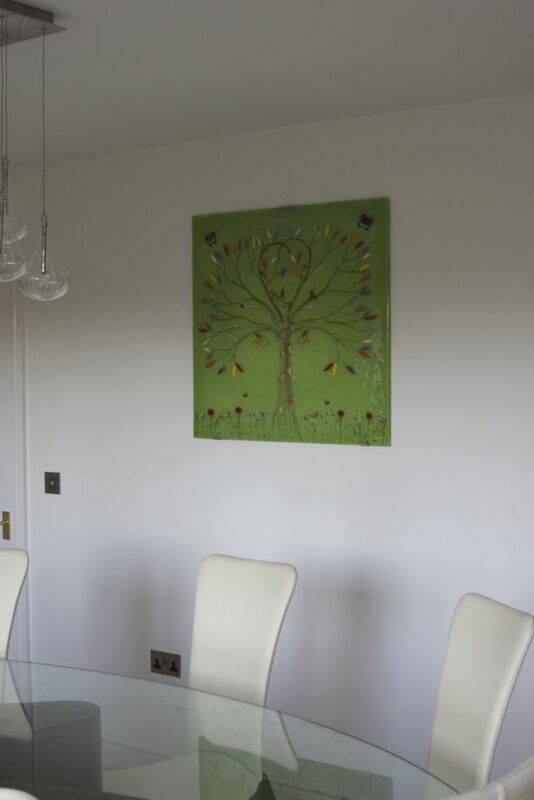 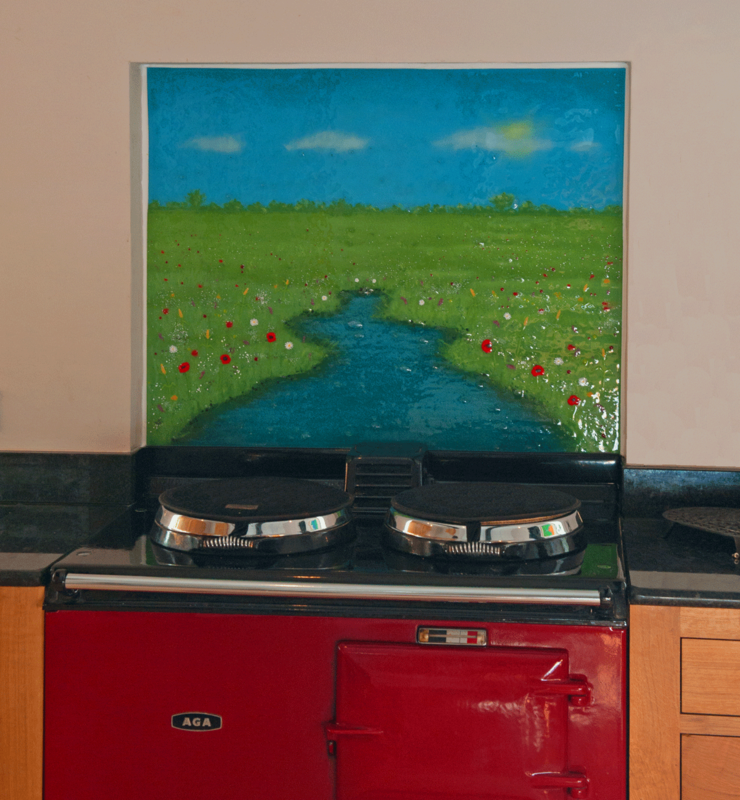 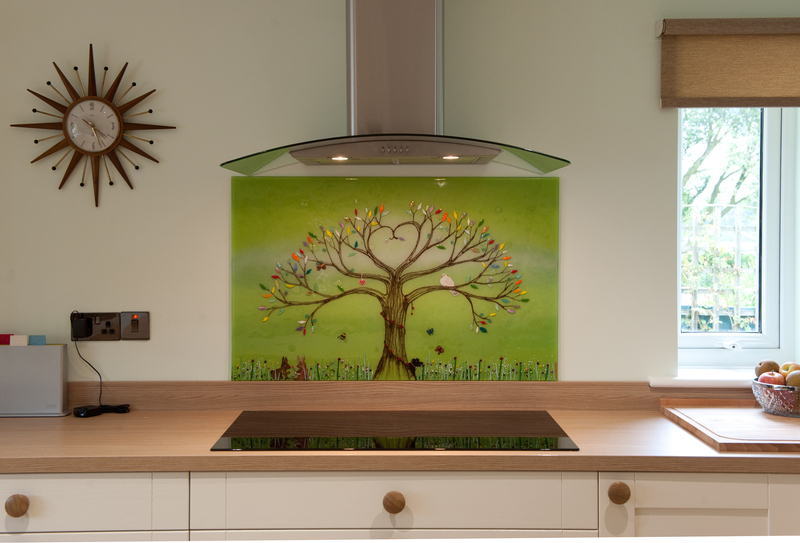 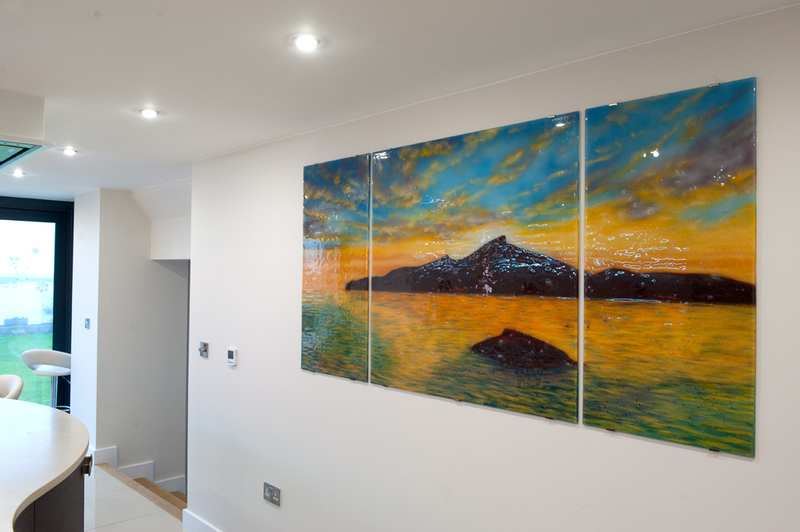 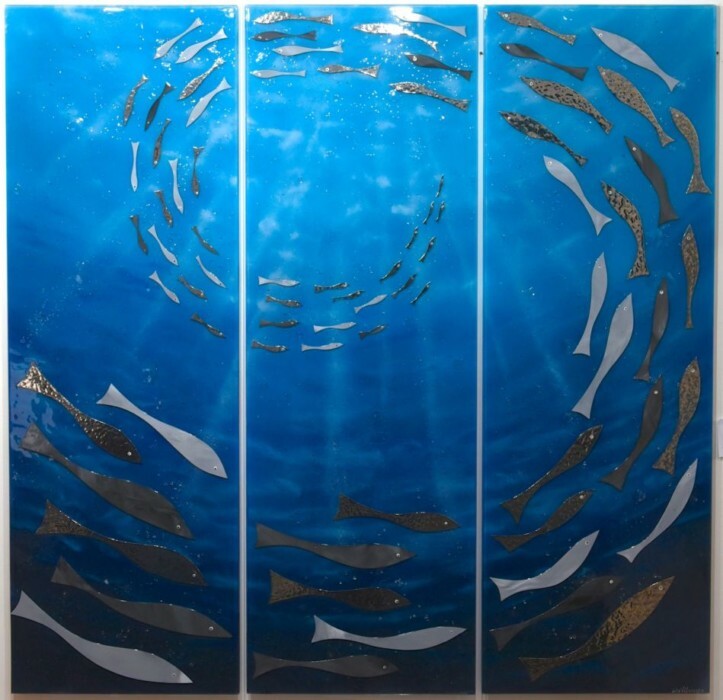 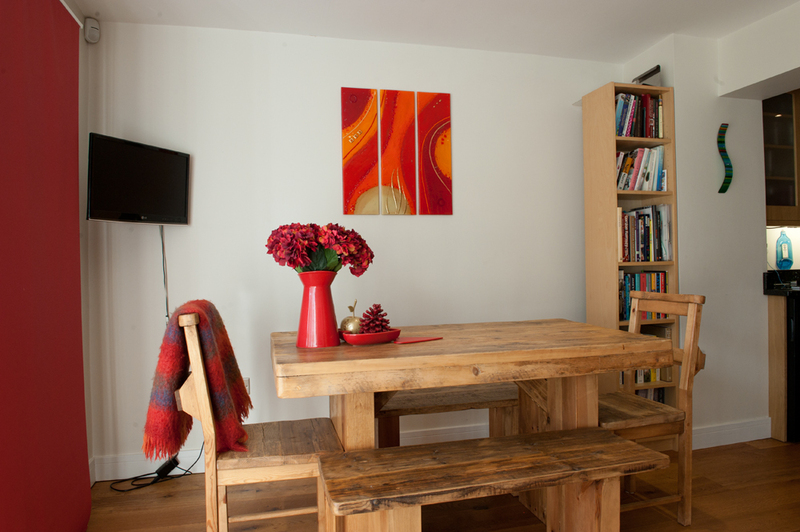 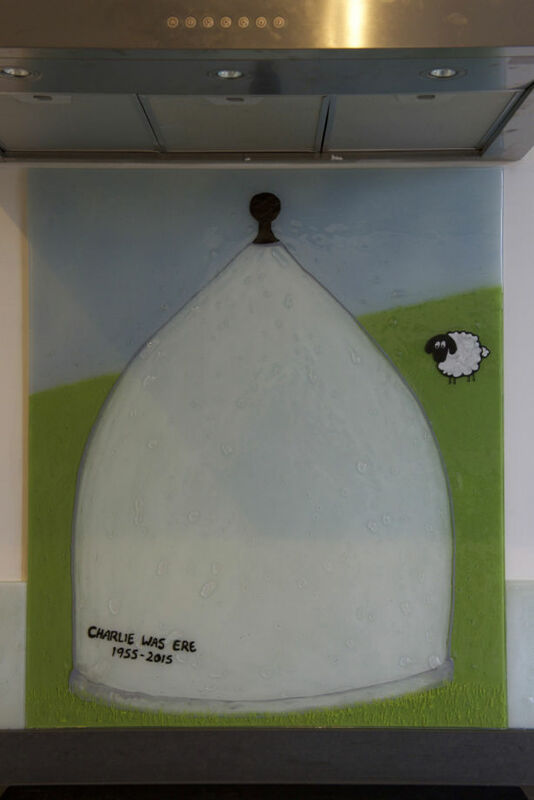 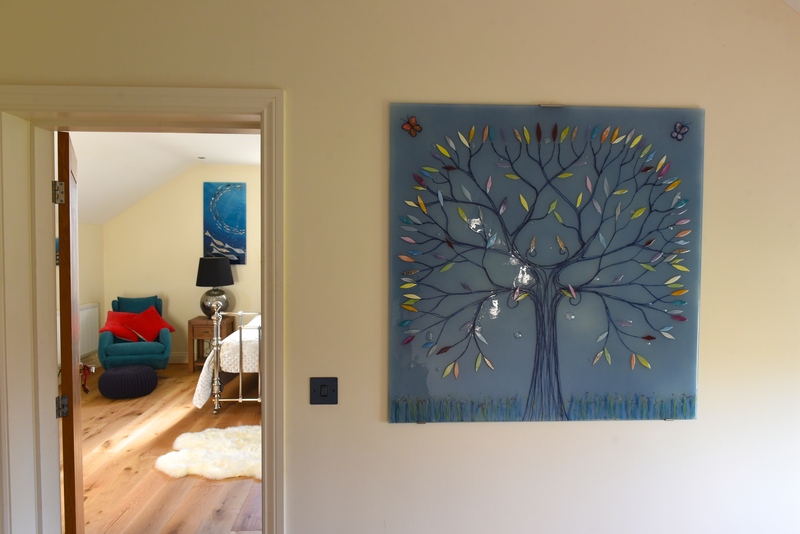 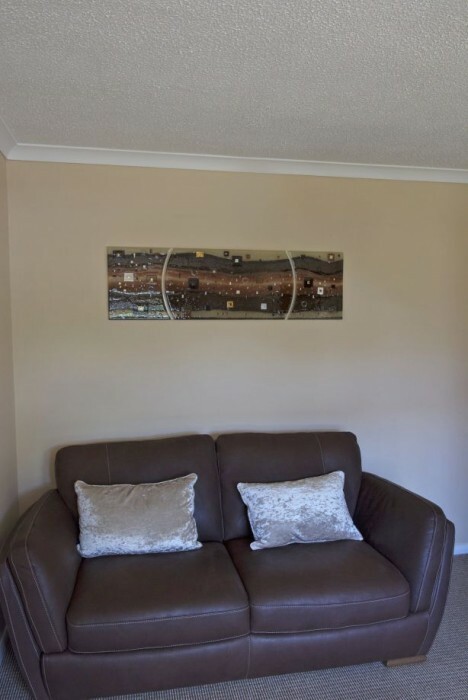 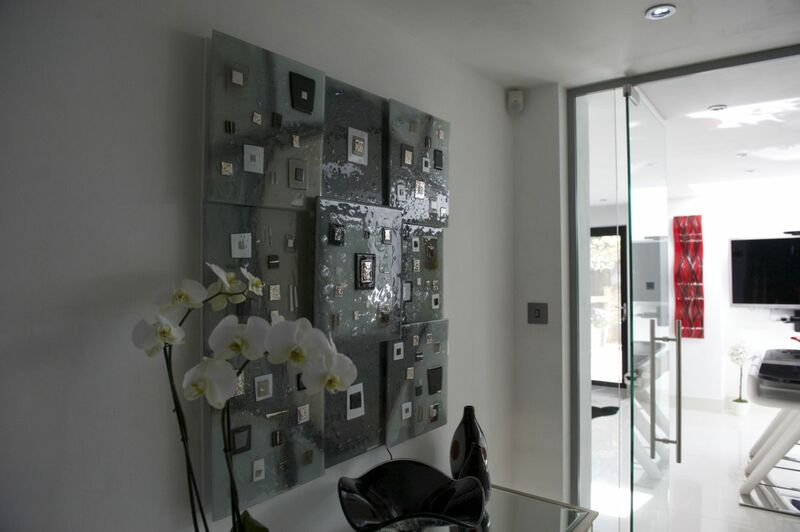 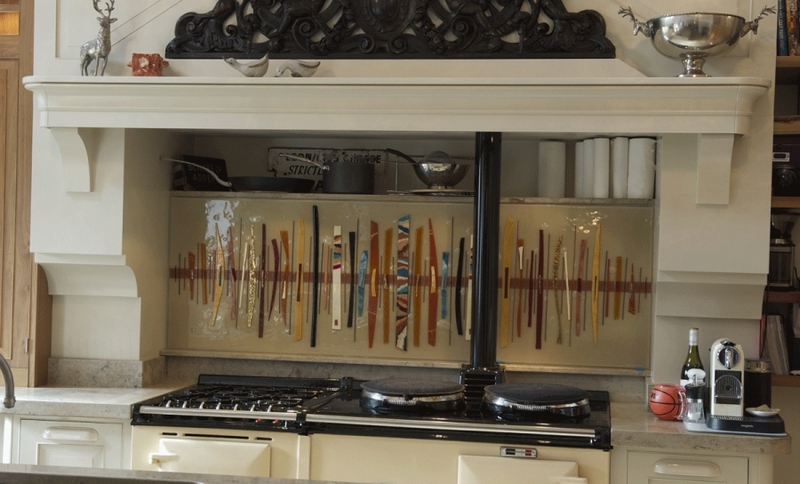 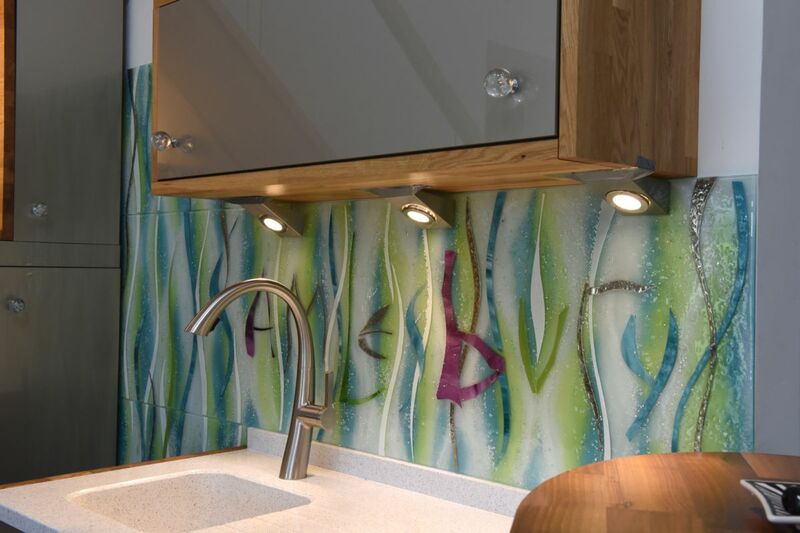 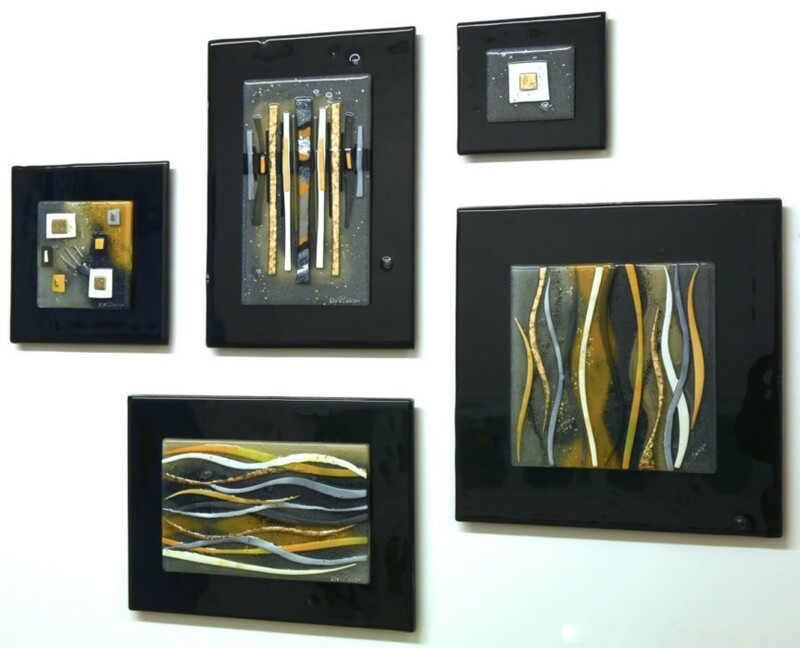 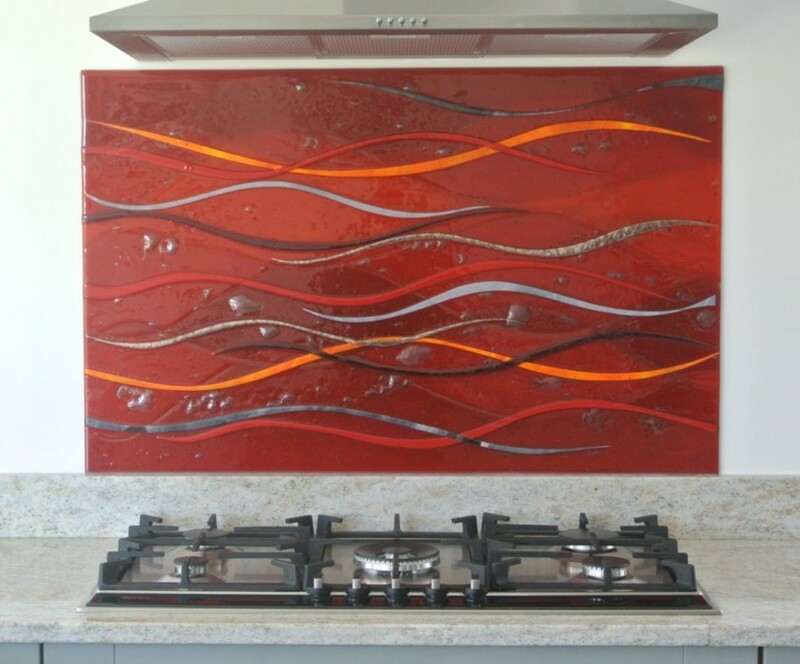 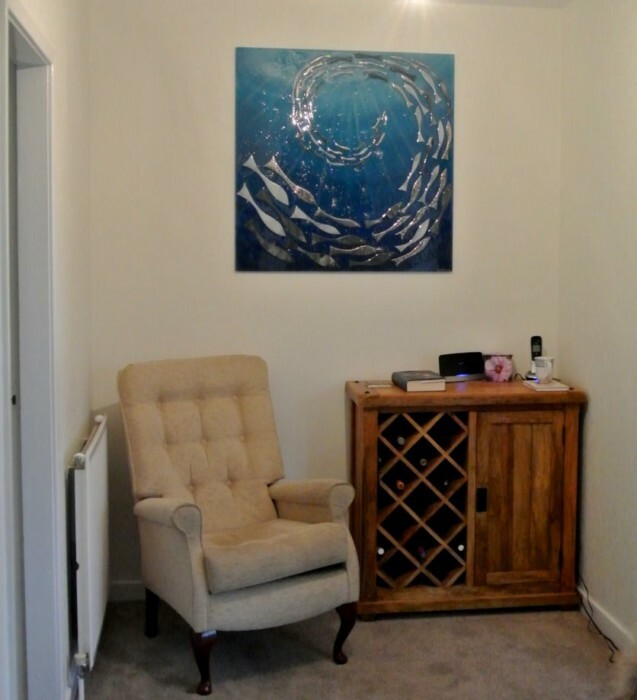 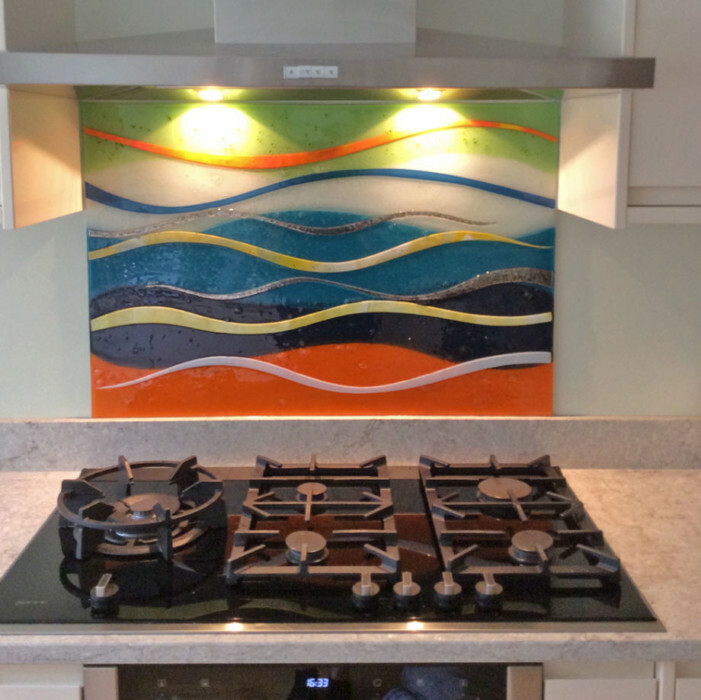 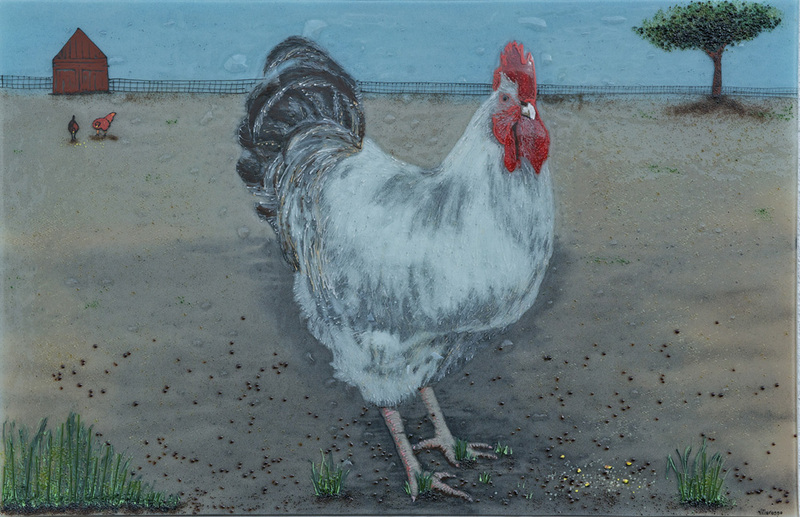 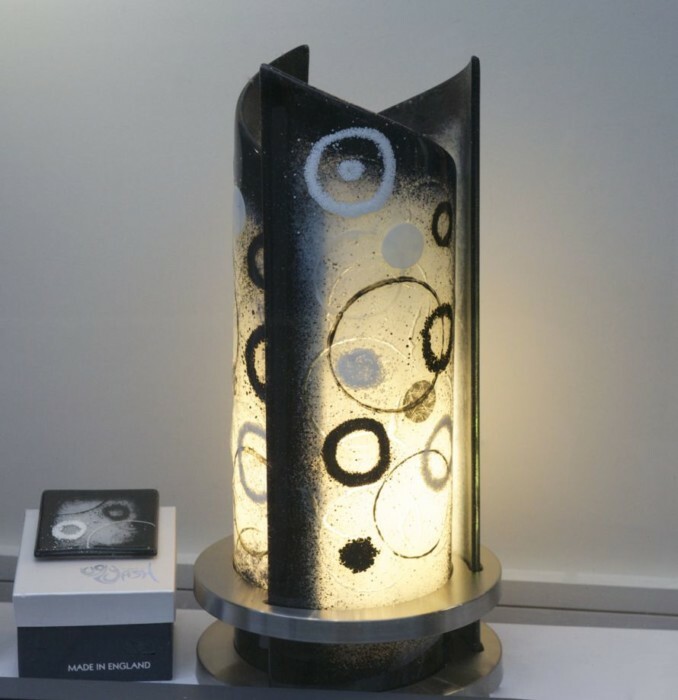 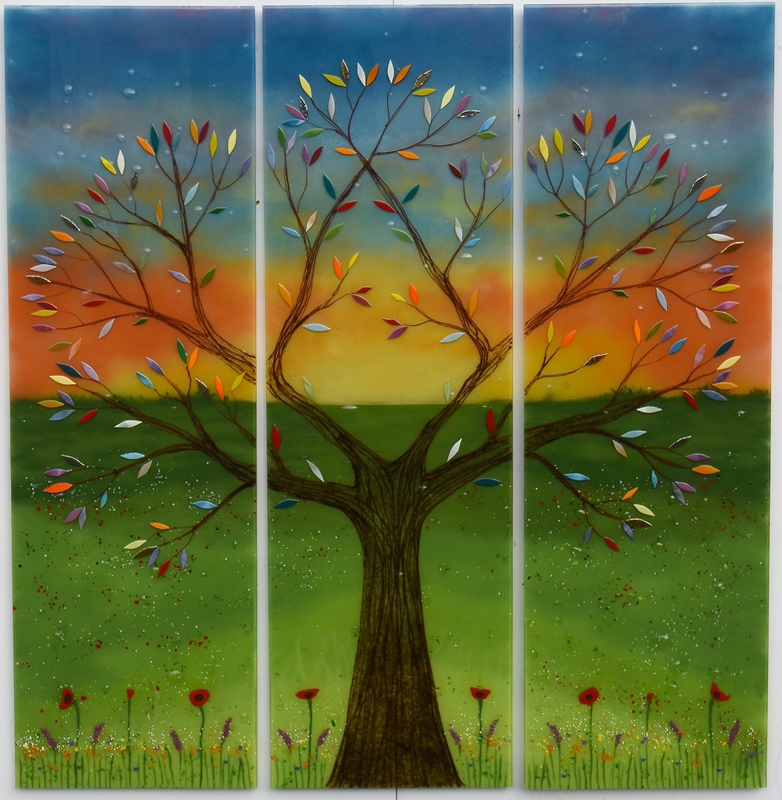 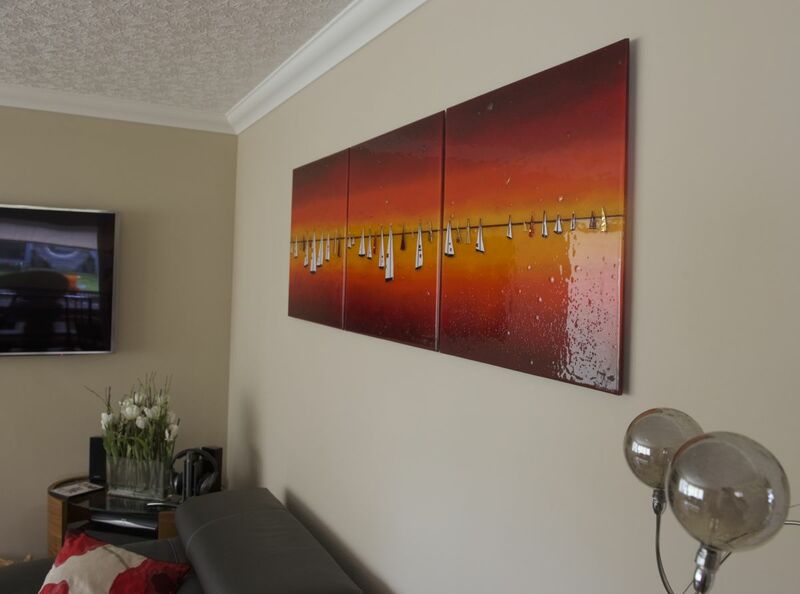 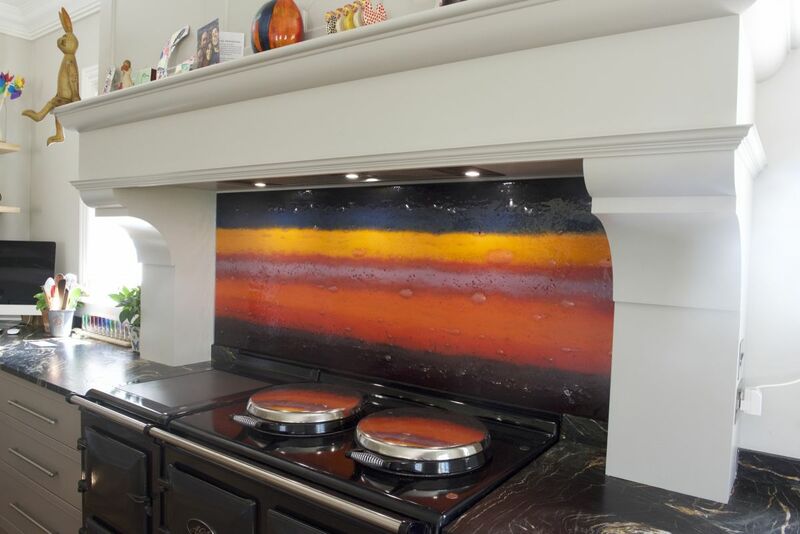 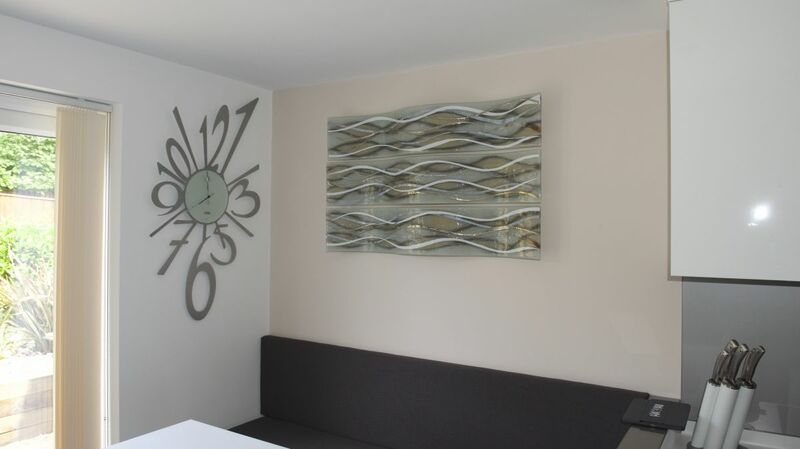 If you’re looking for fused glass wall art that looks just like the piece you see pictured above, then what’s keeping you? 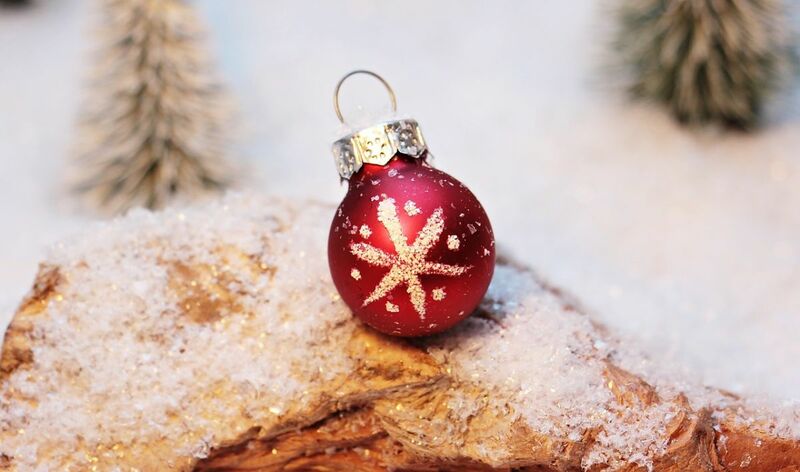 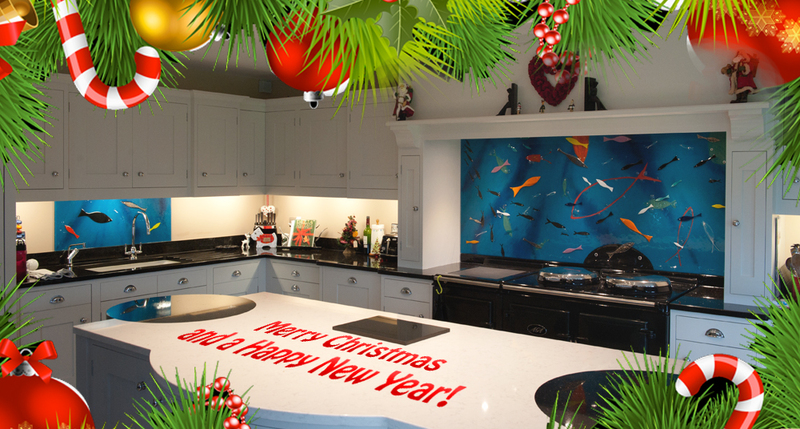 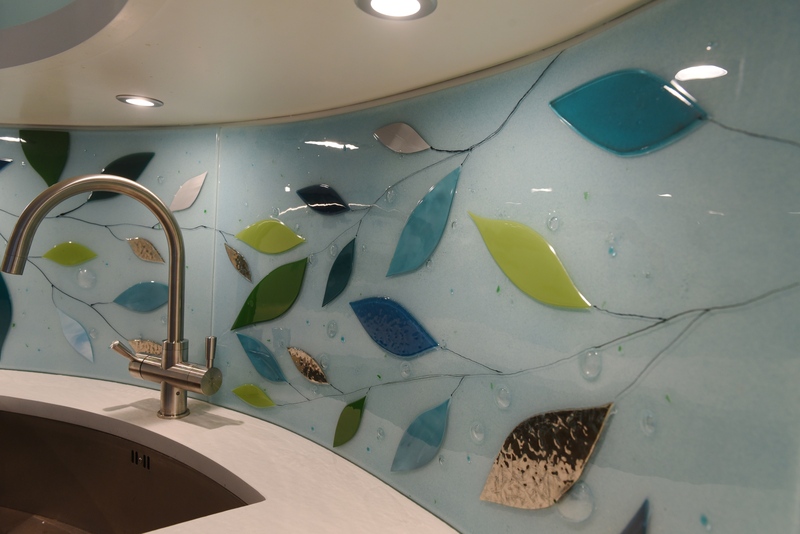 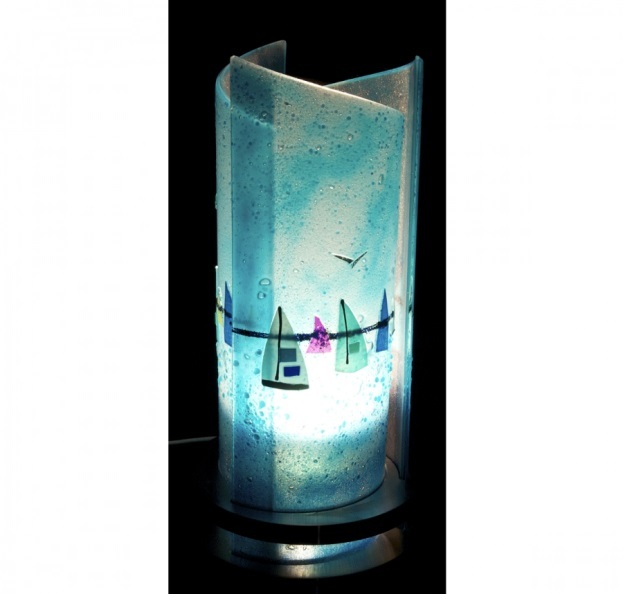 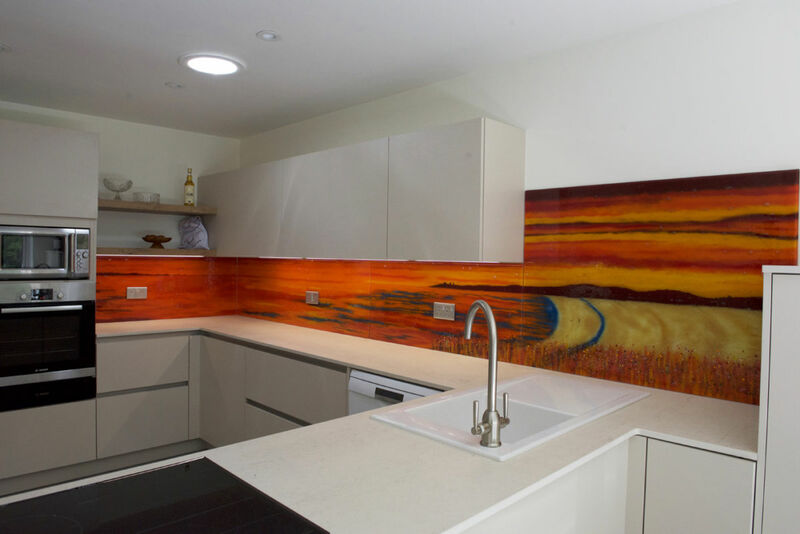 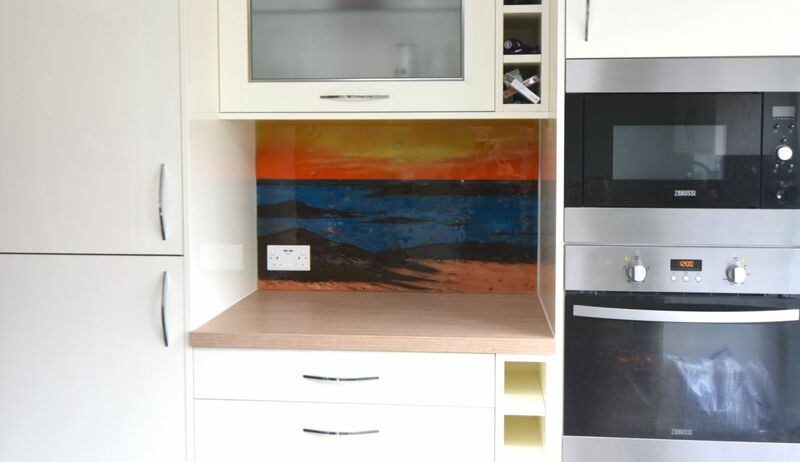 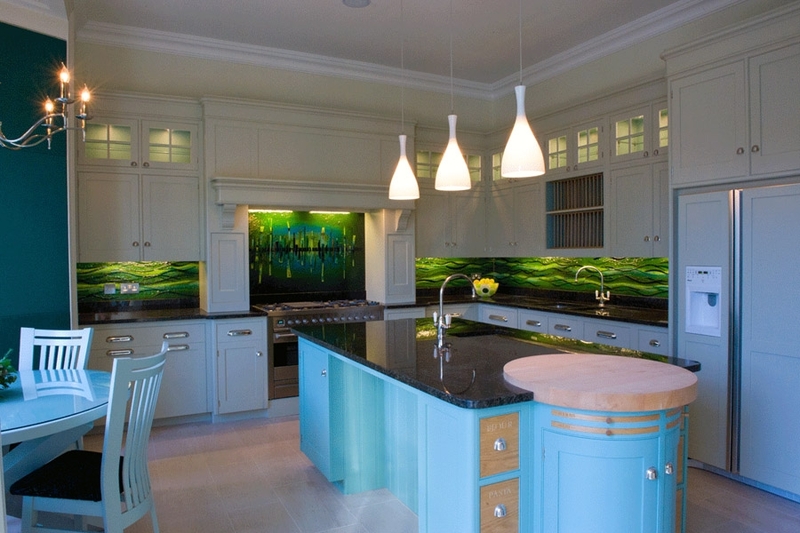 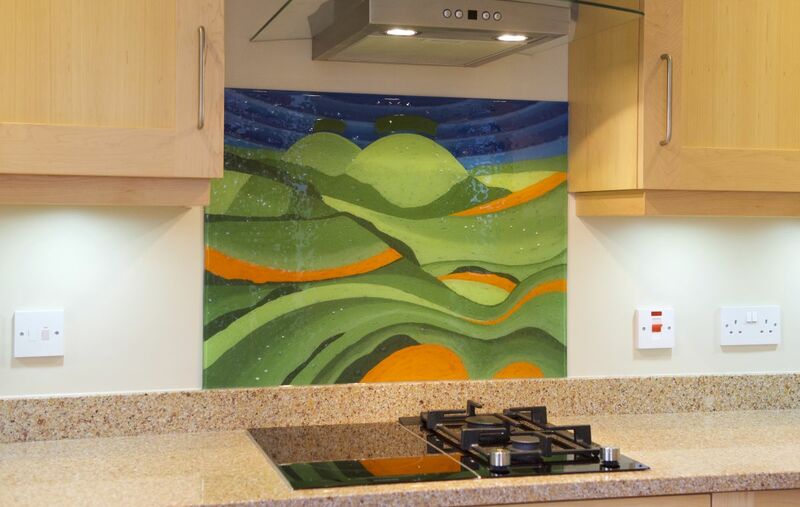 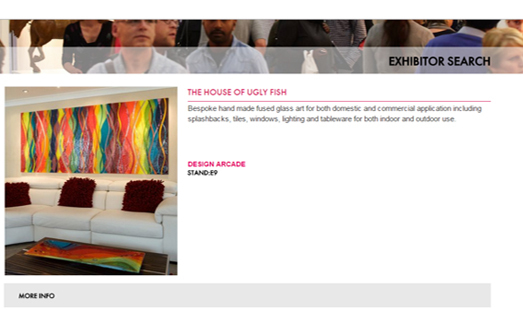 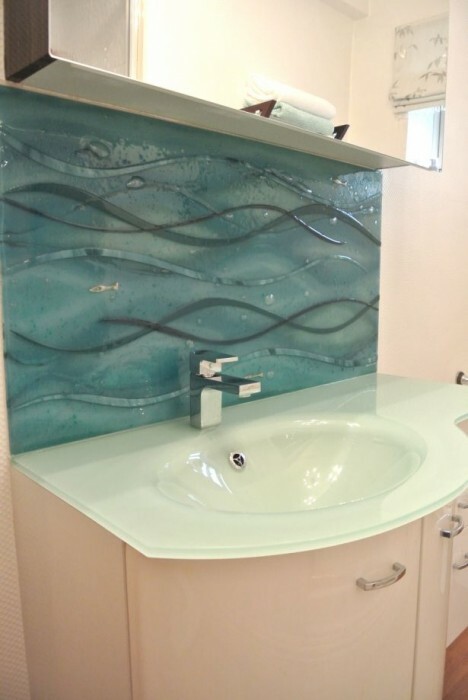 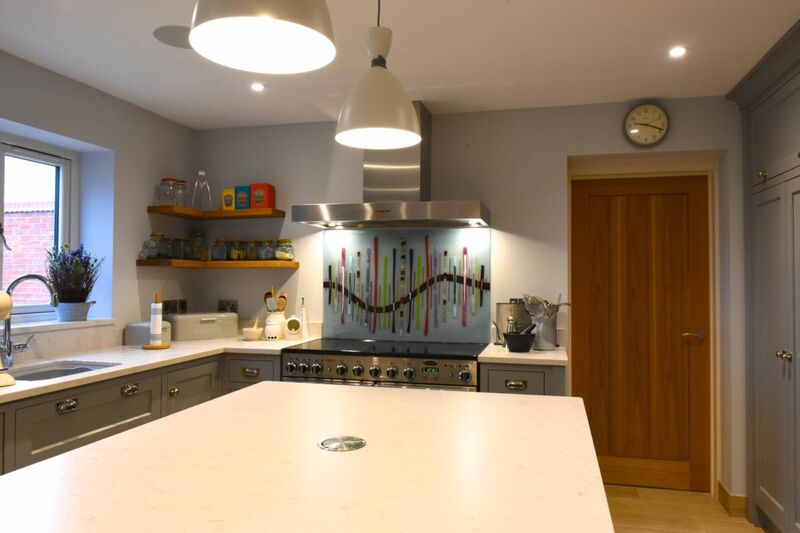 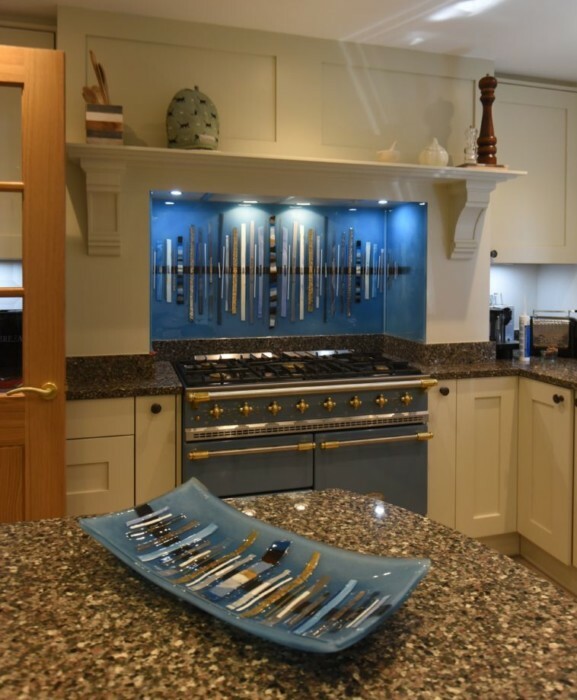 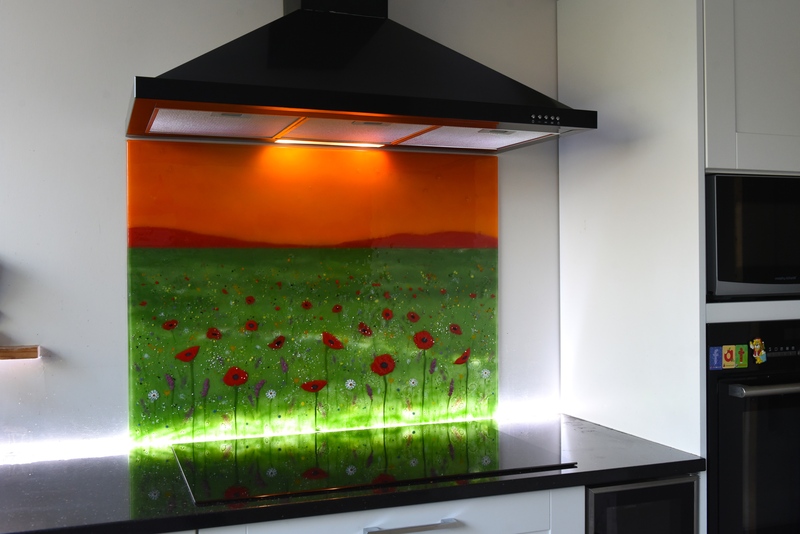 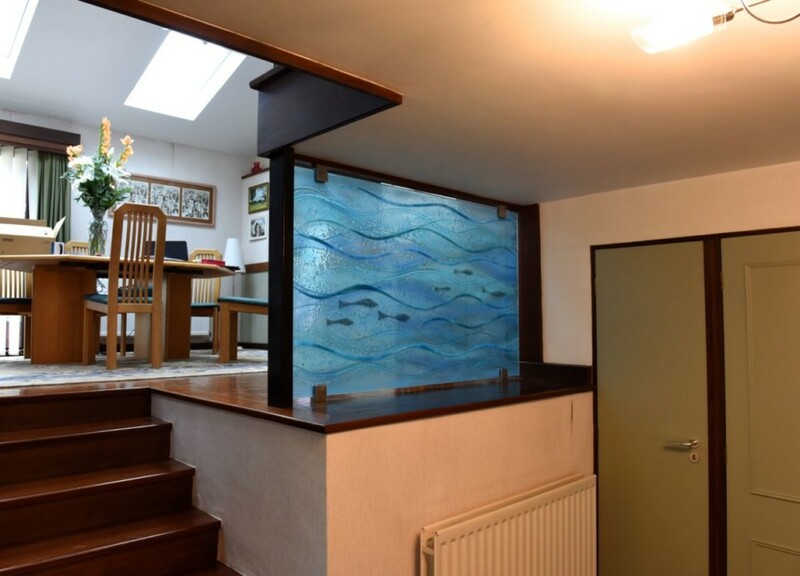 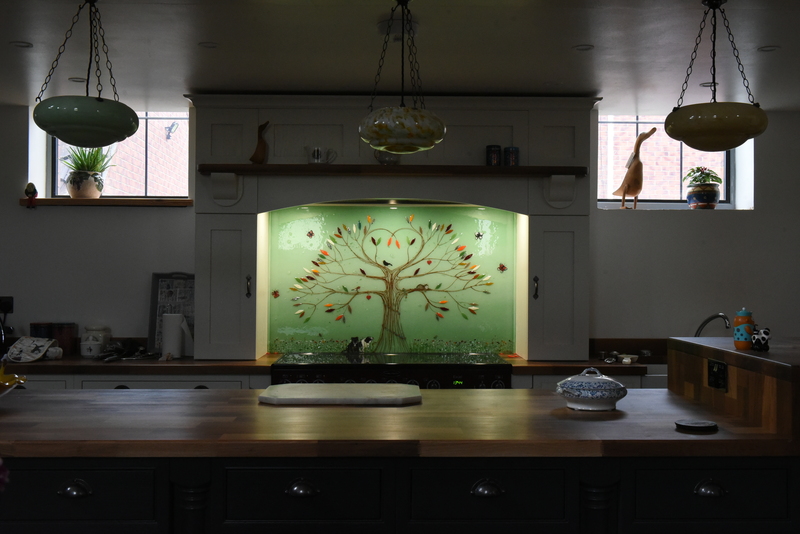 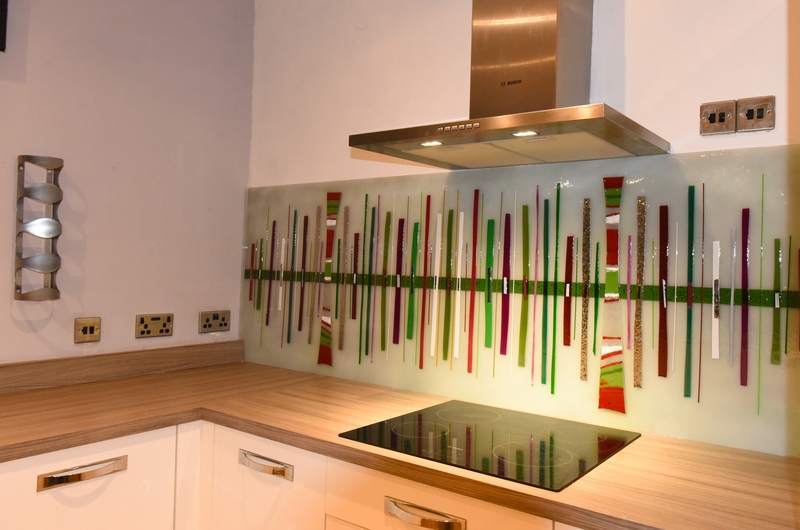 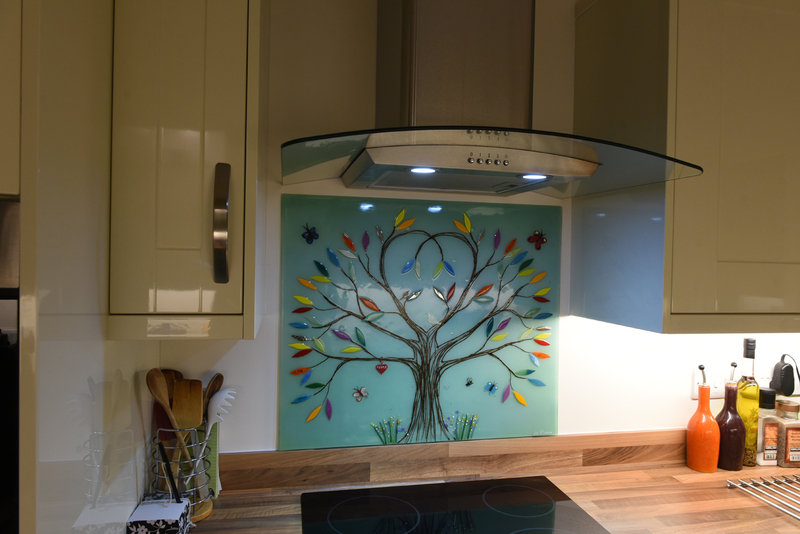 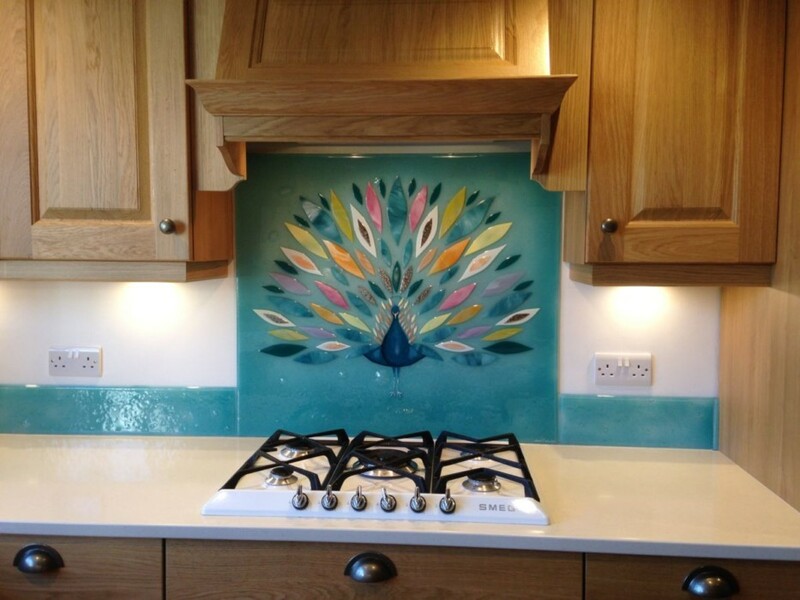 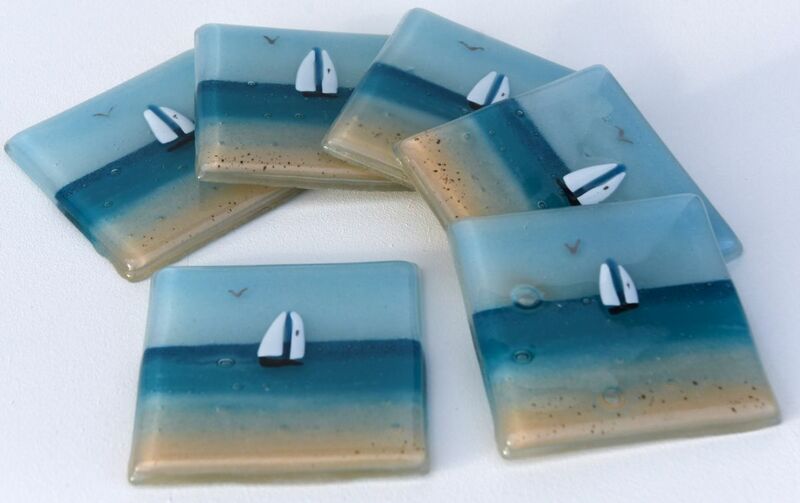 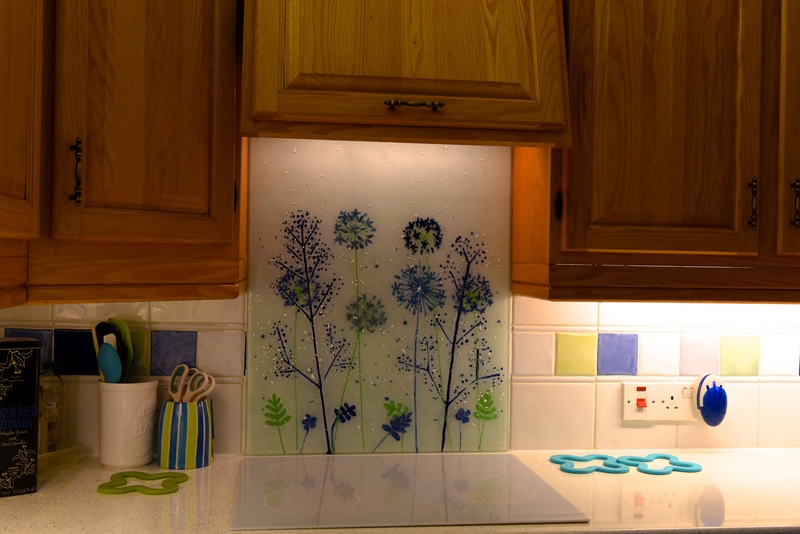 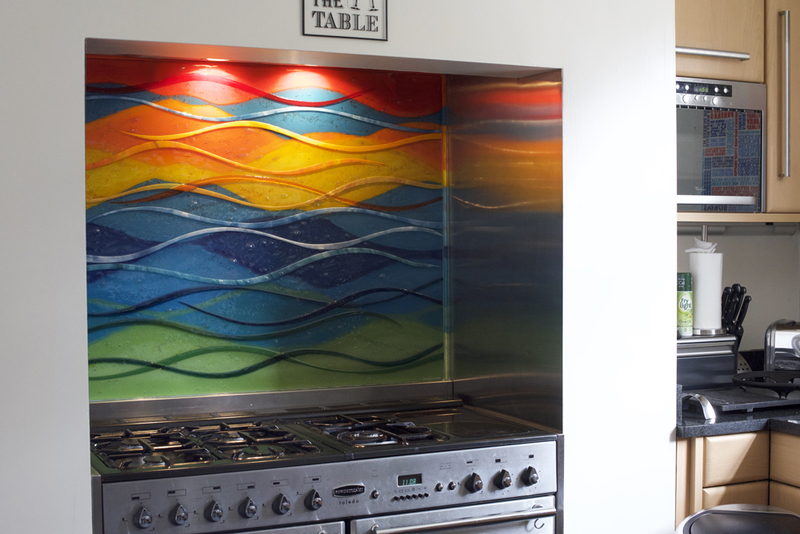 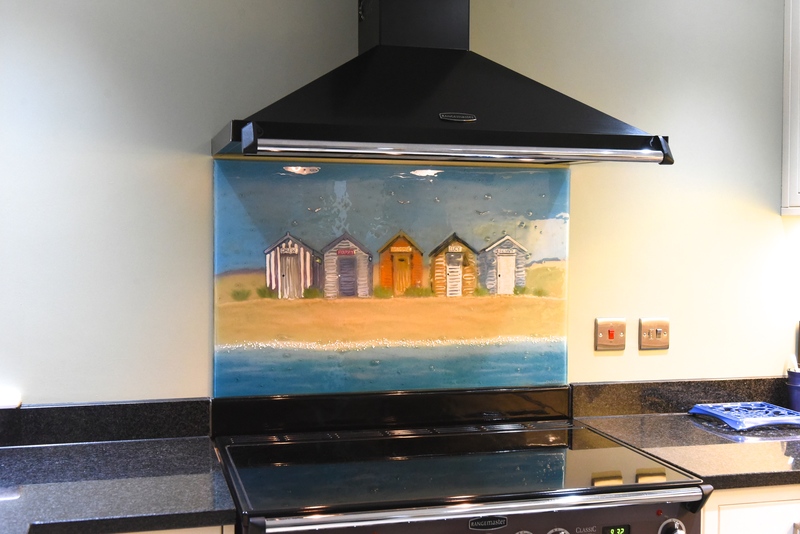 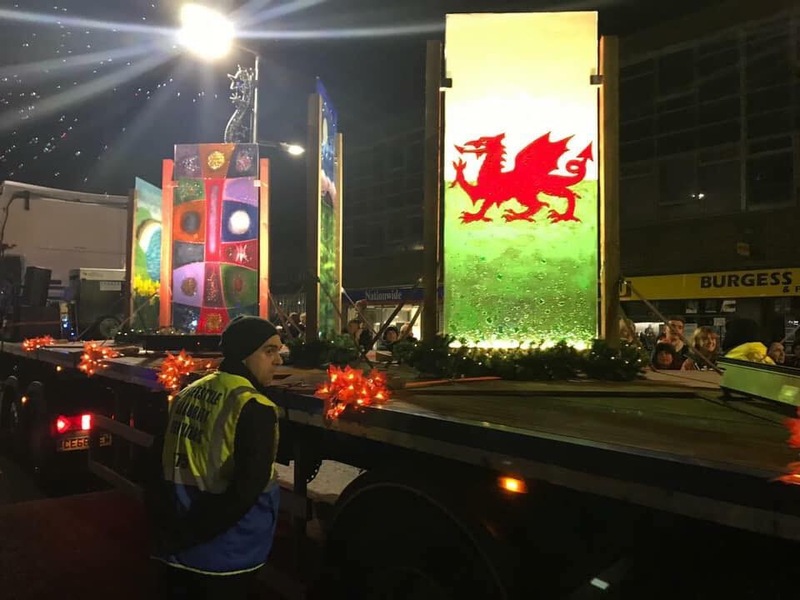 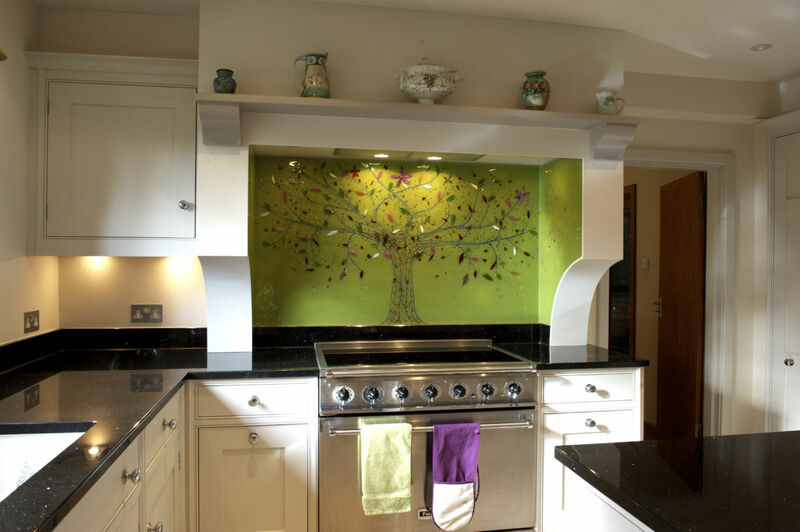 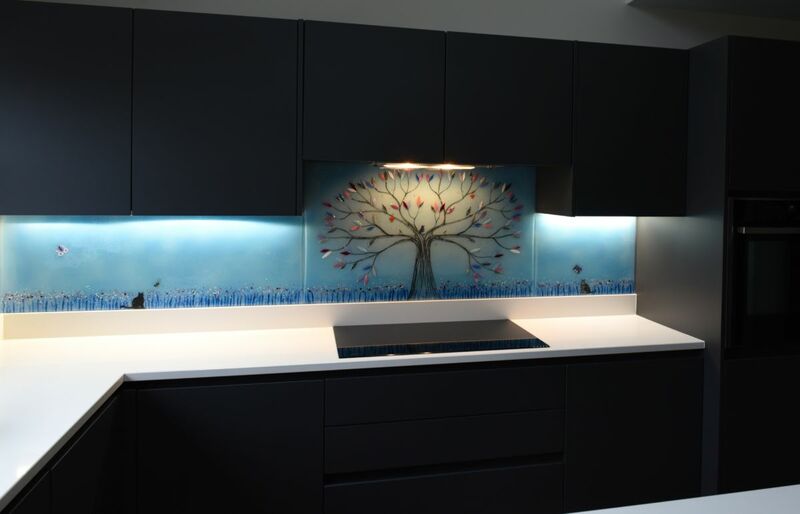 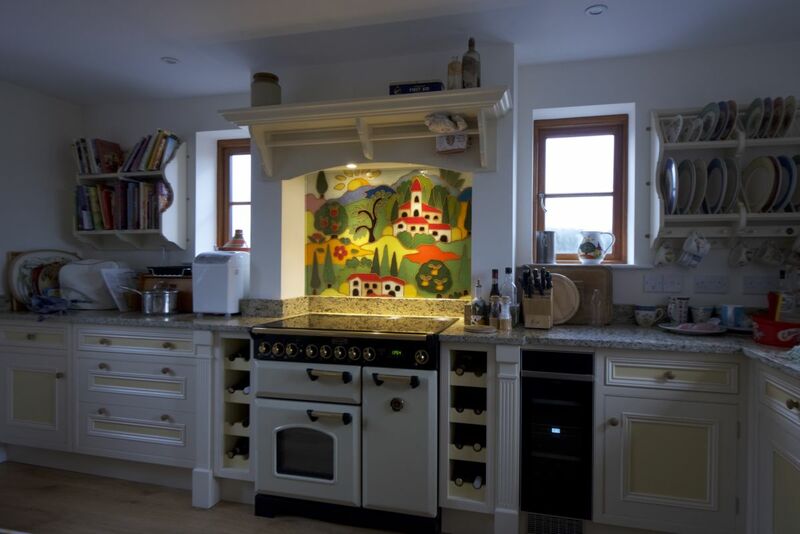 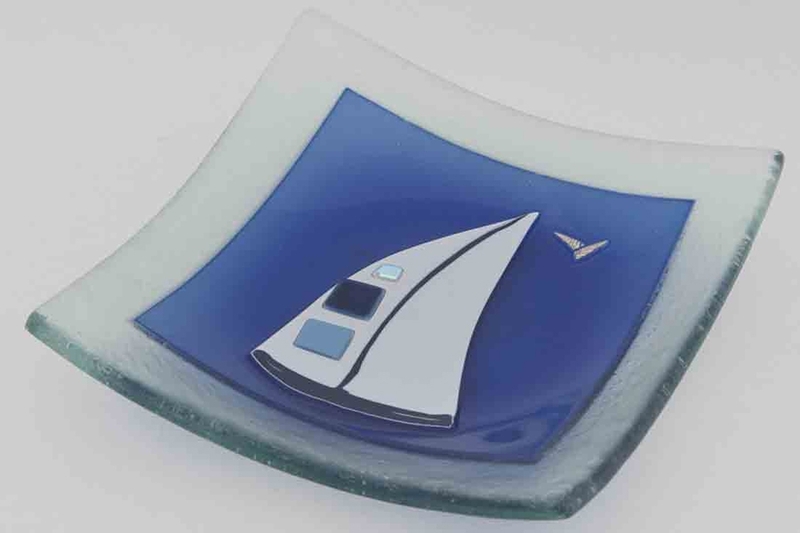 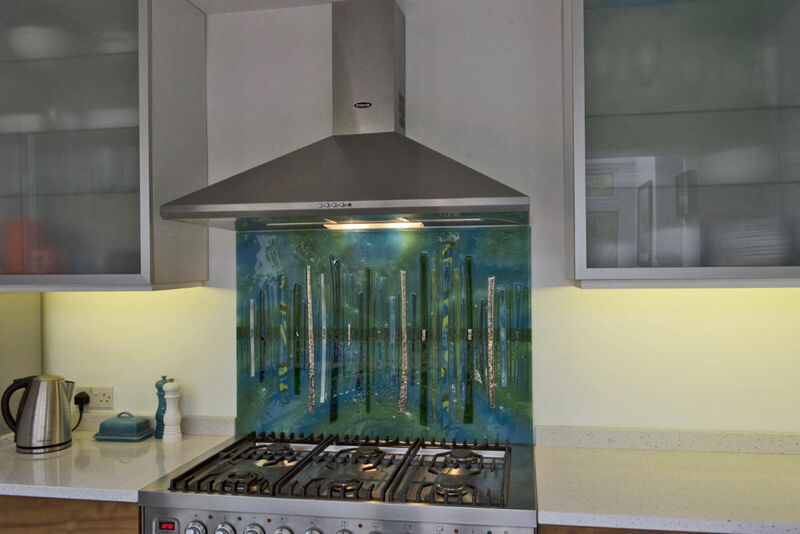 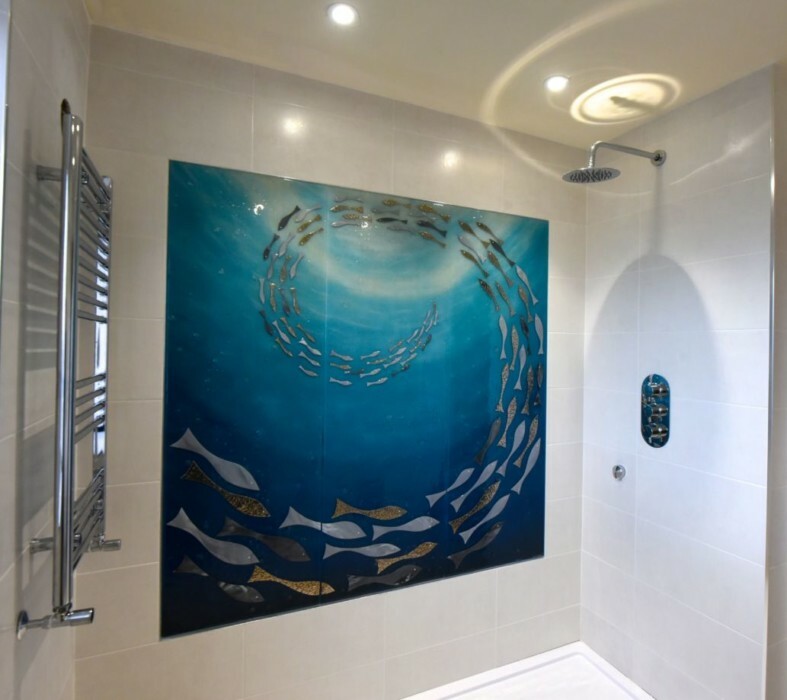 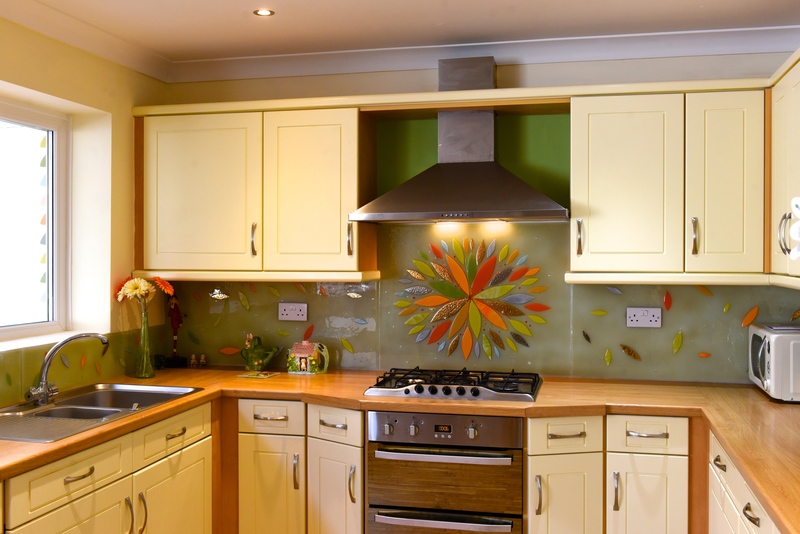 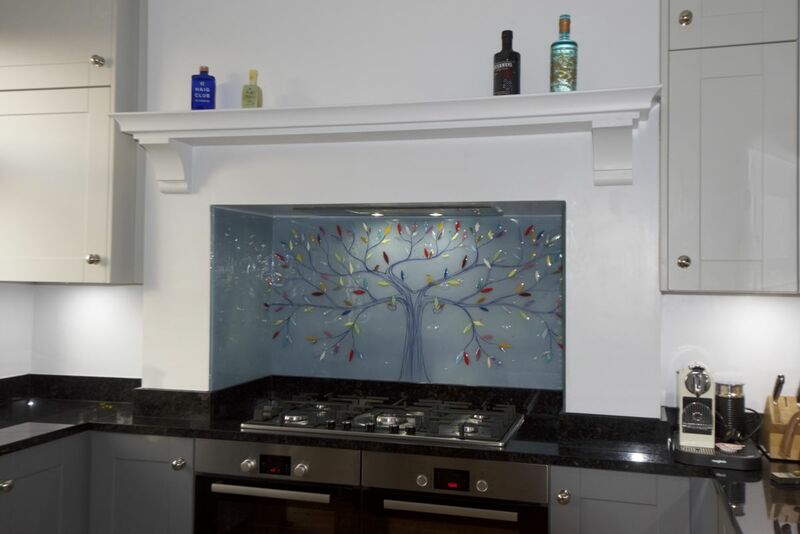 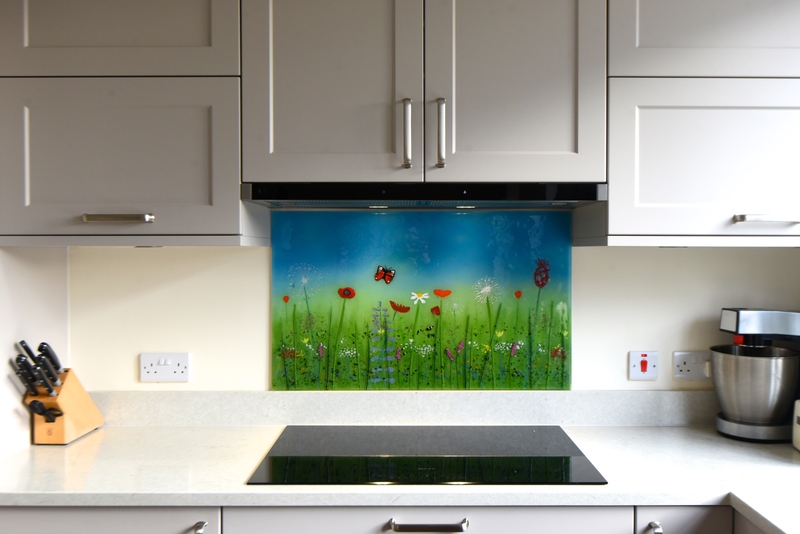 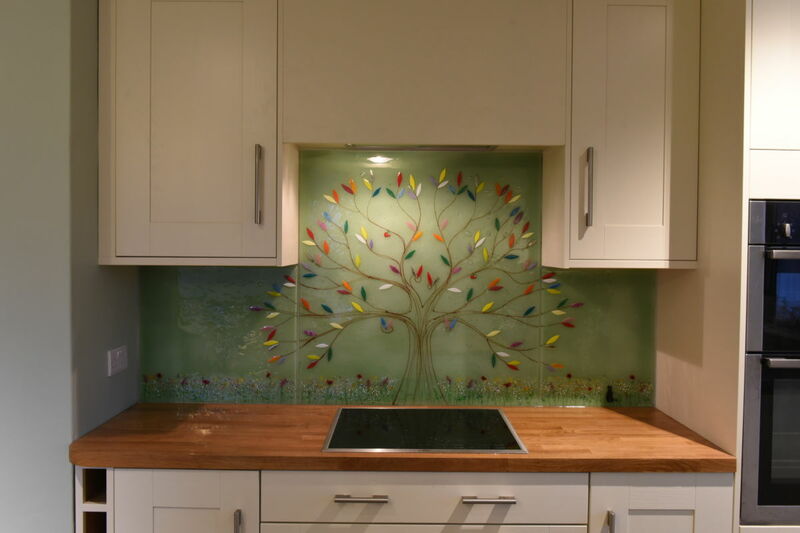 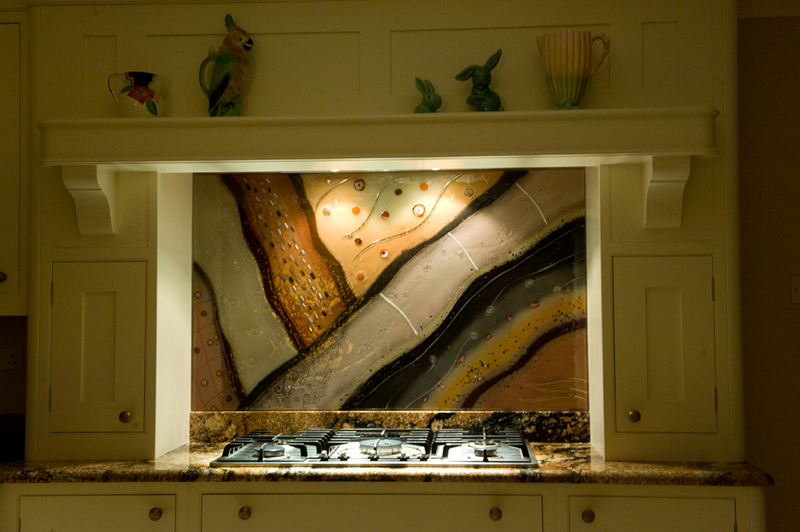 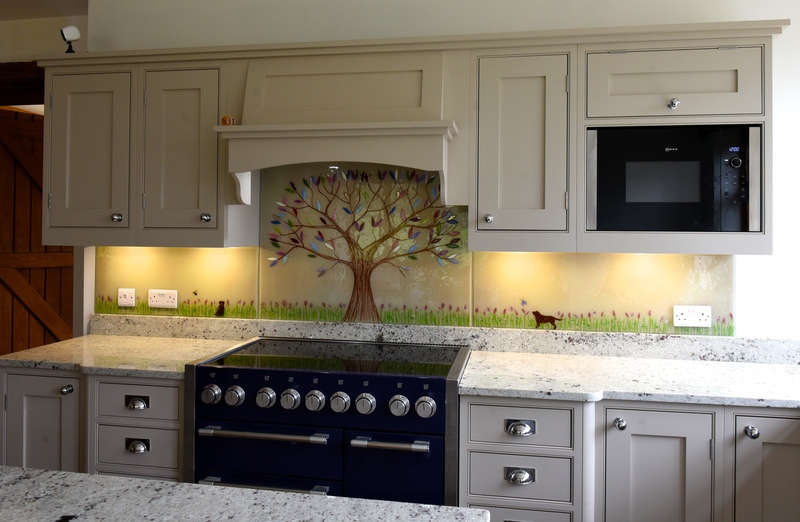 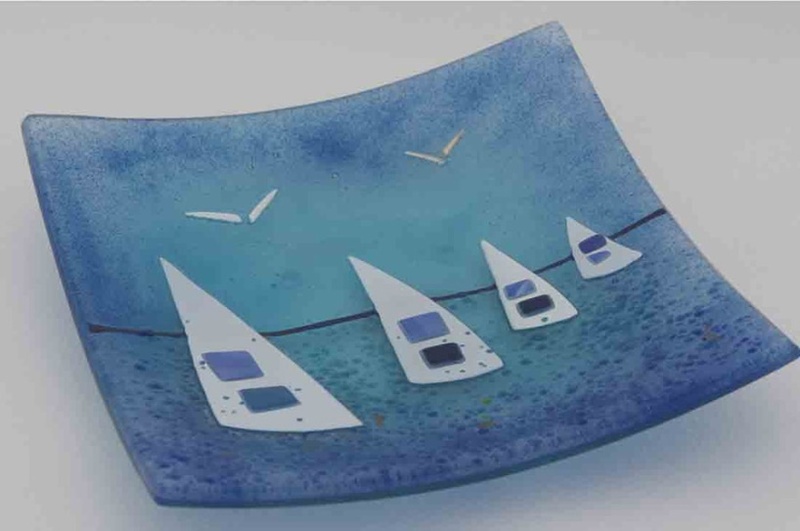 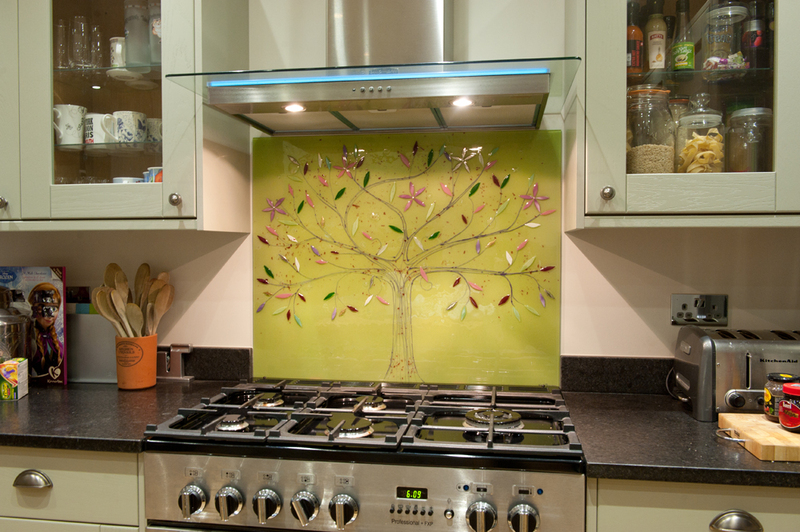 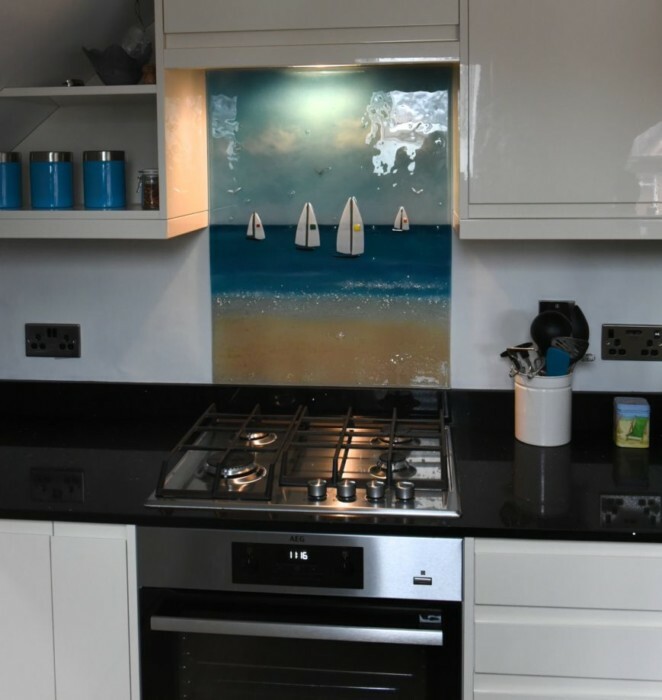 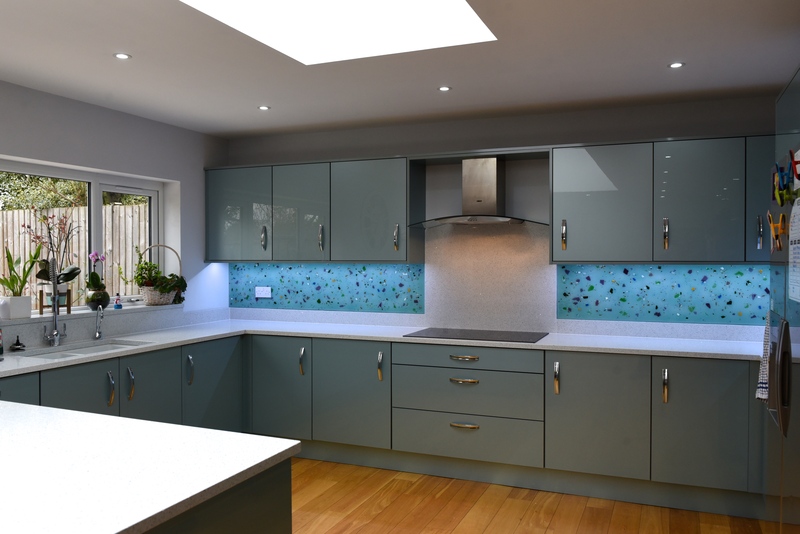 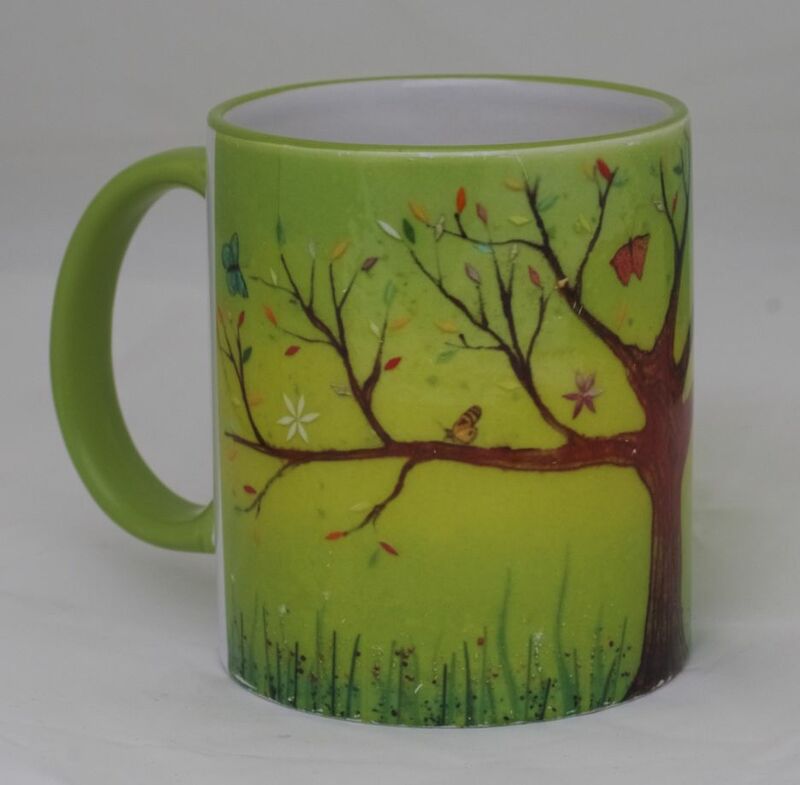 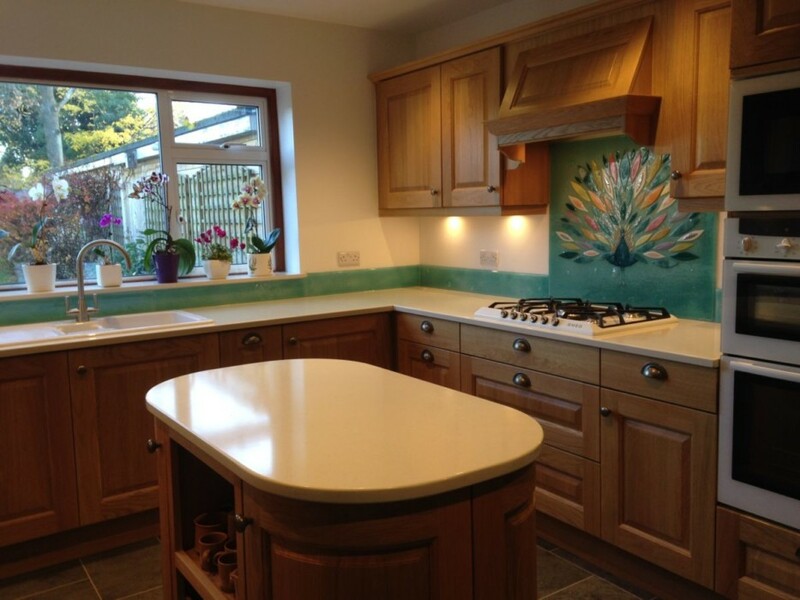 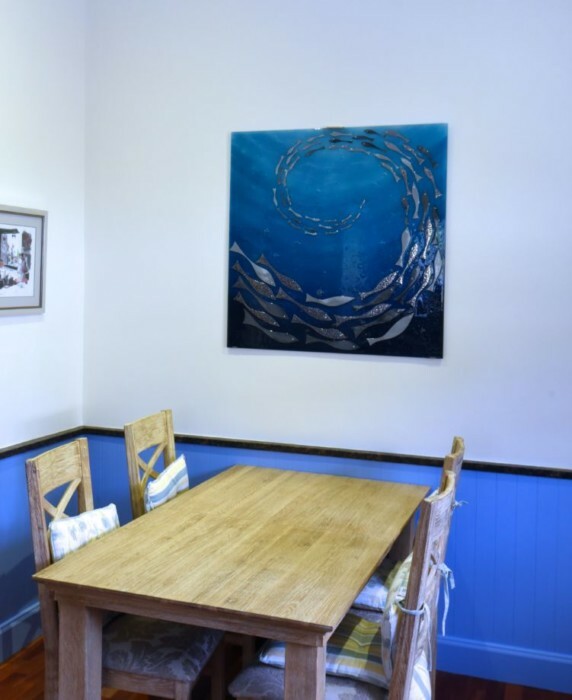 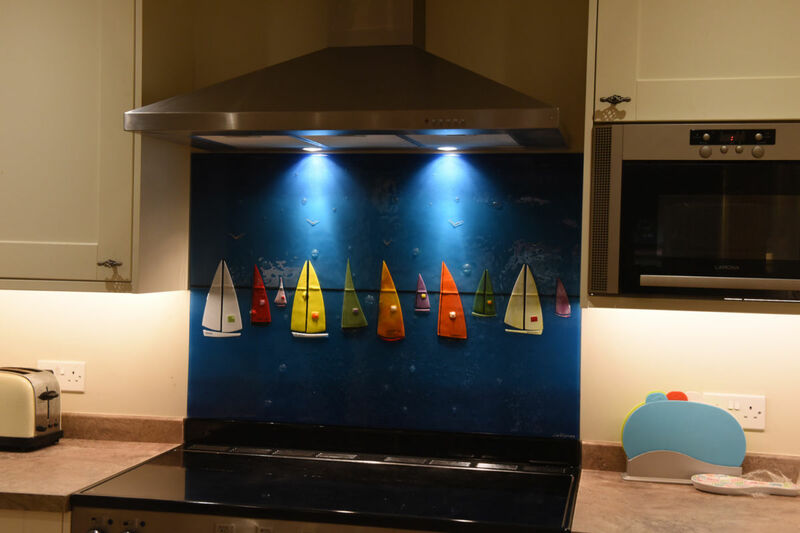 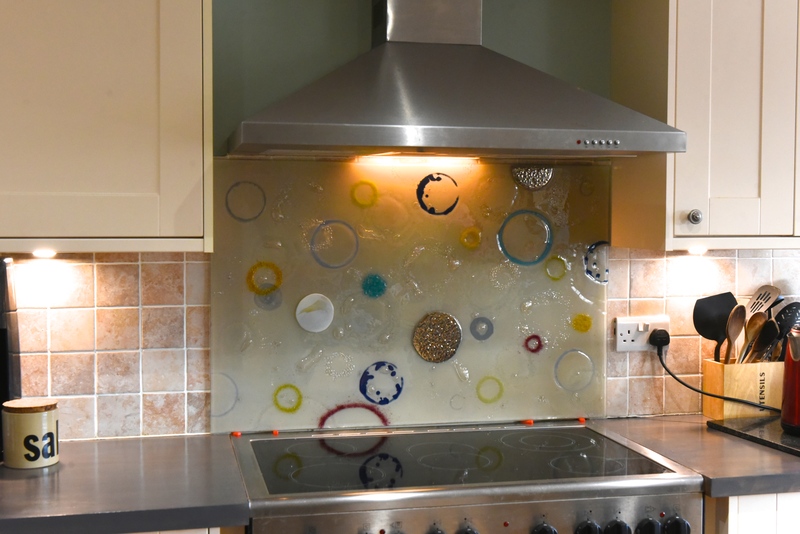 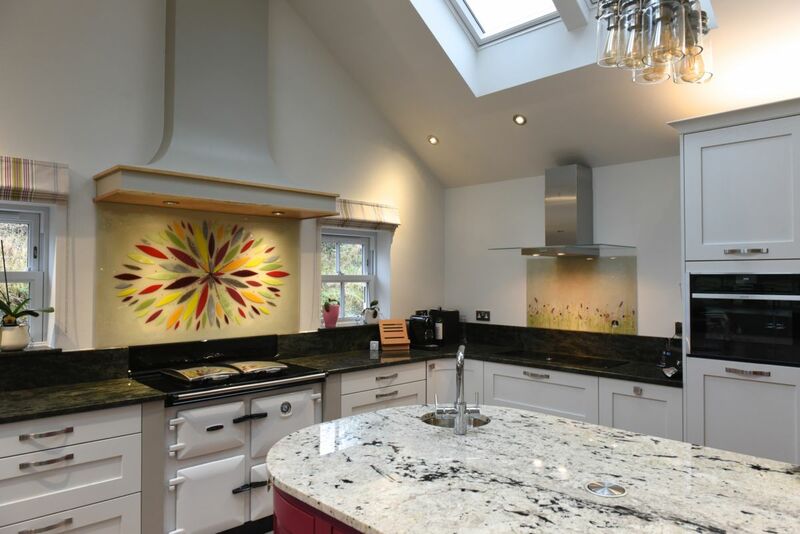 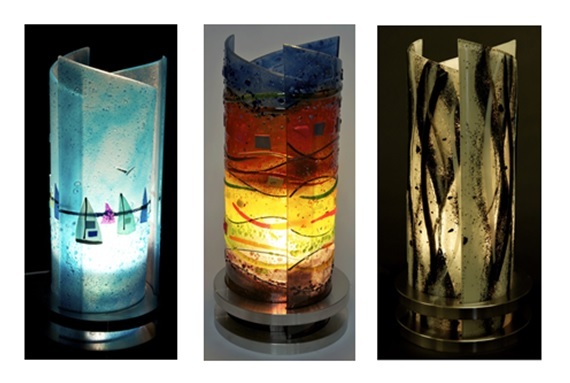 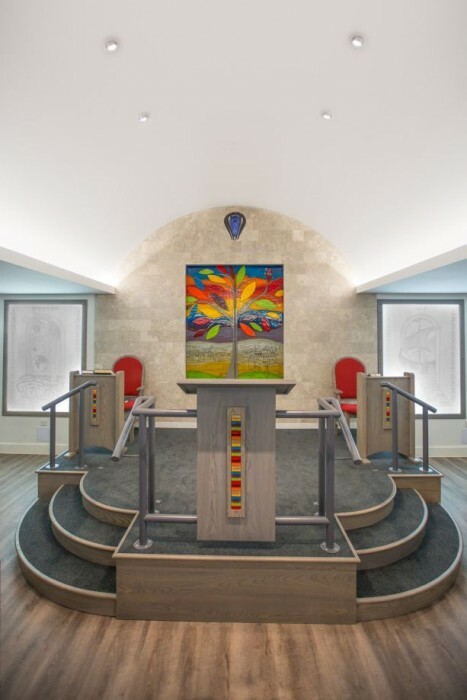 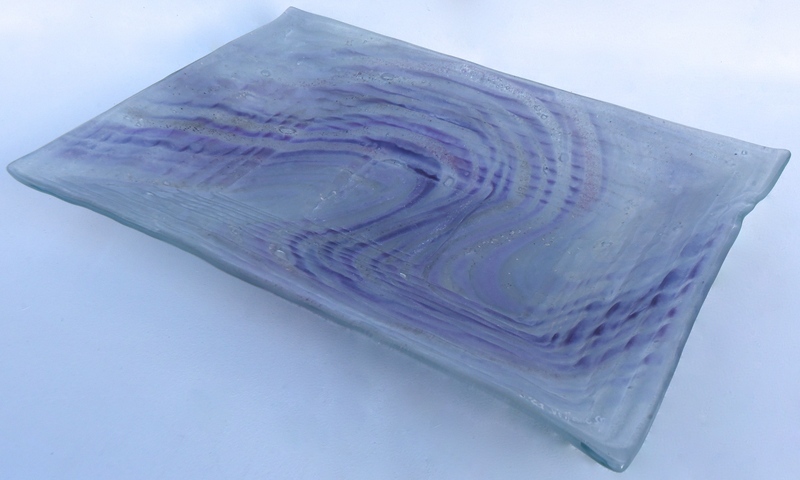 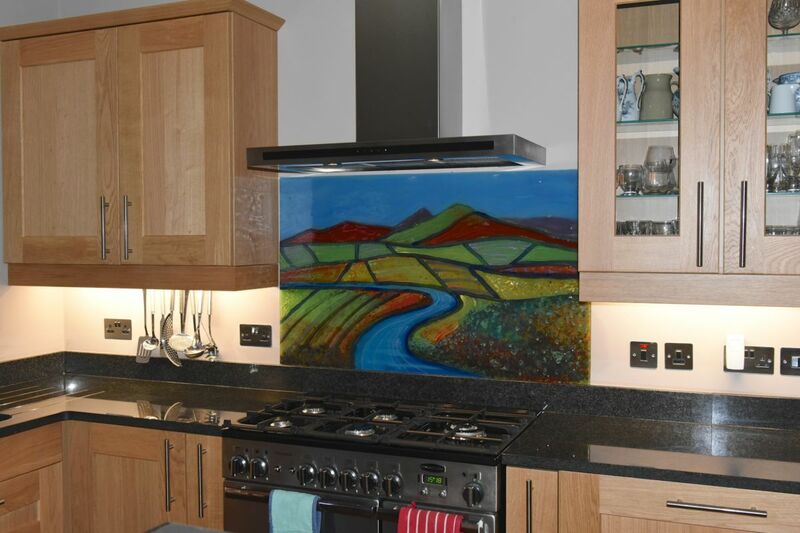 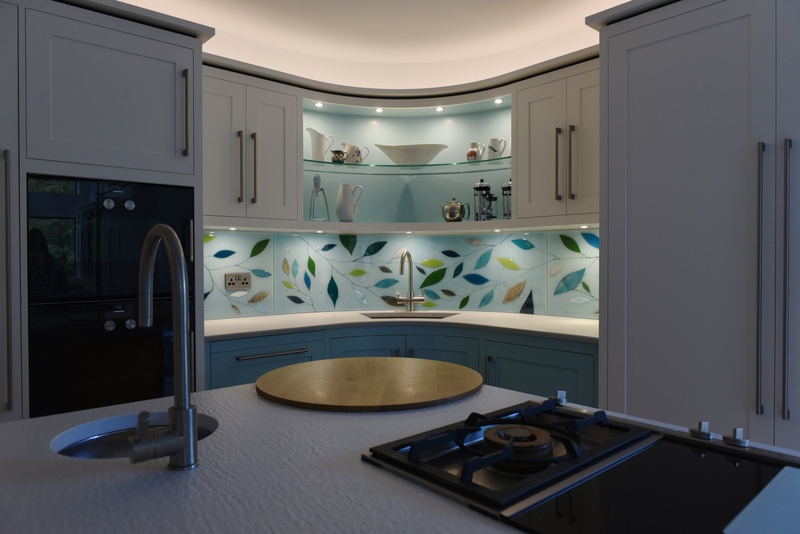 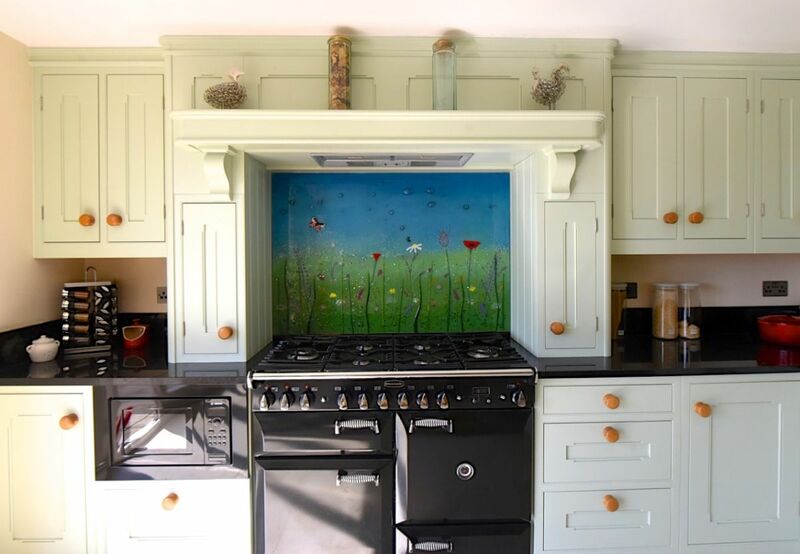 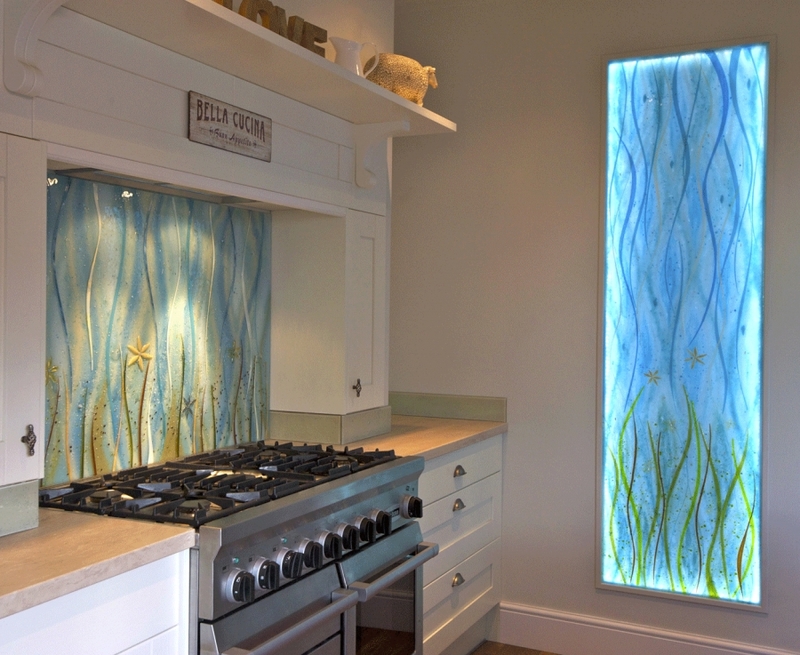 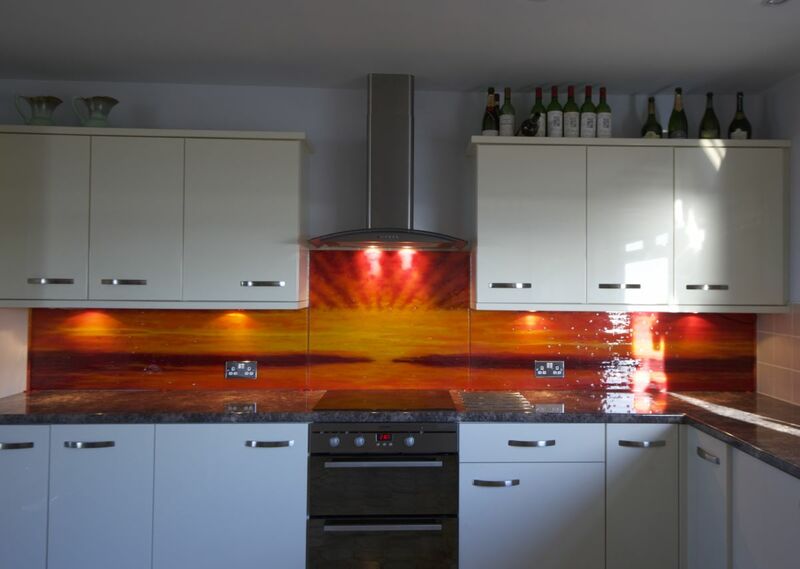 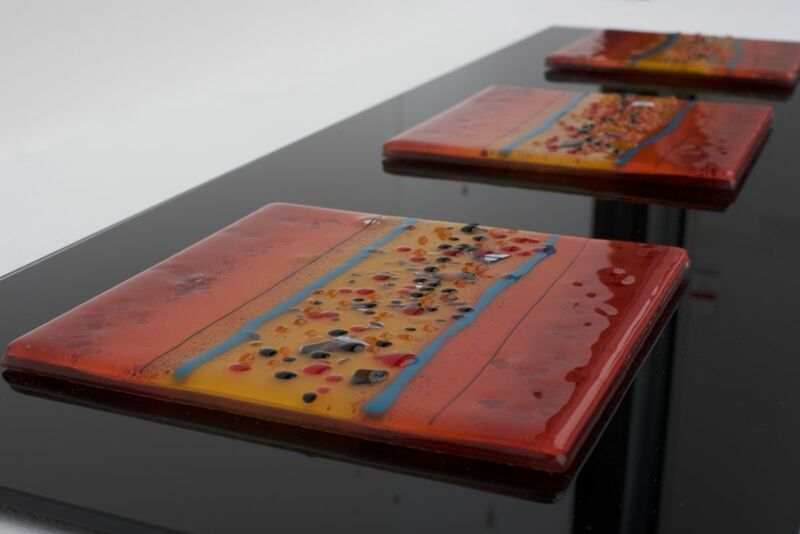 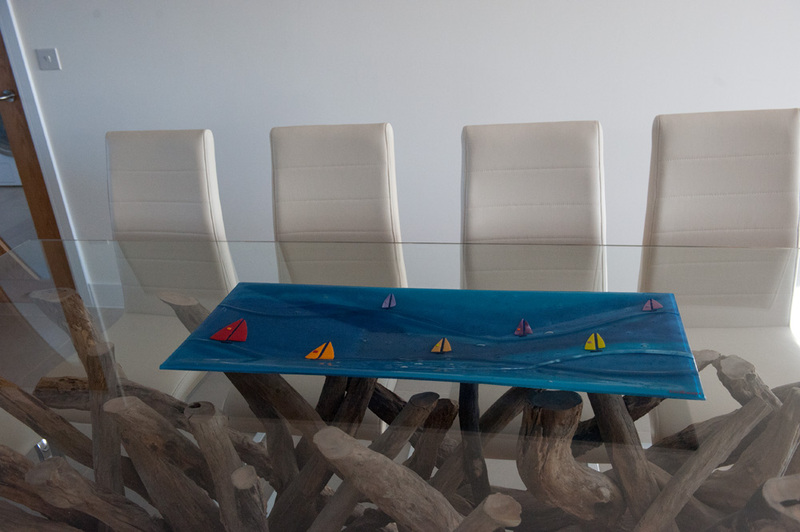 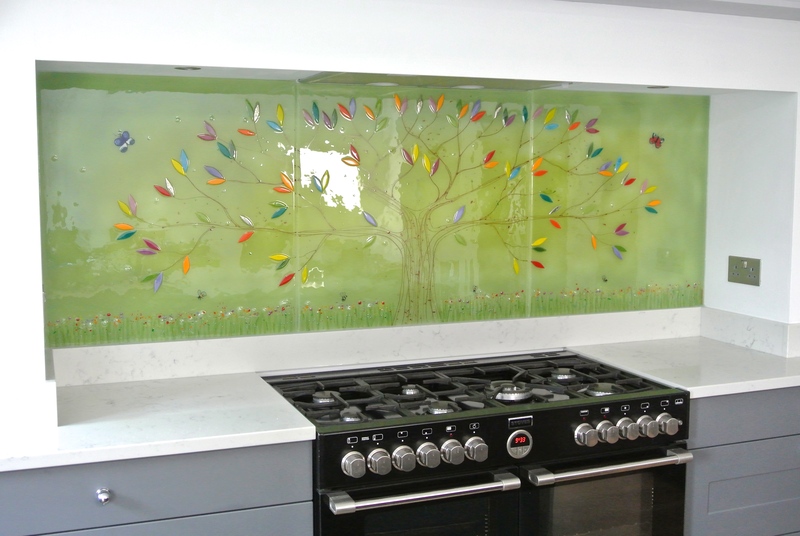 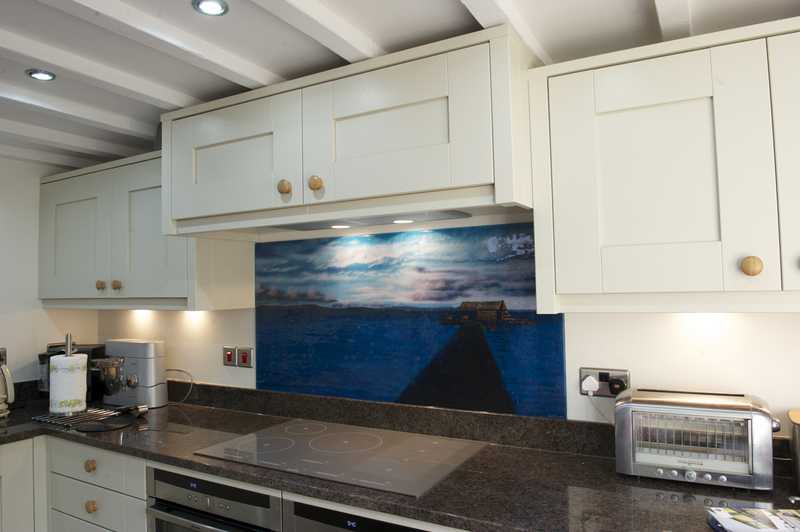 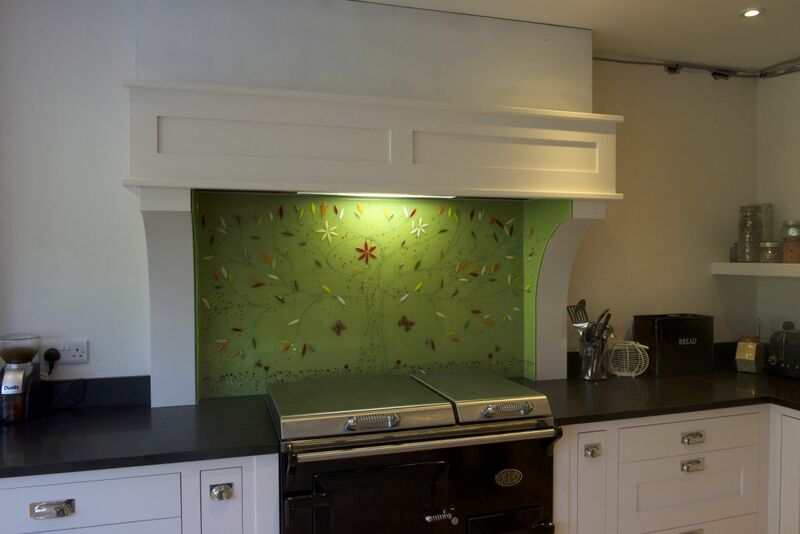 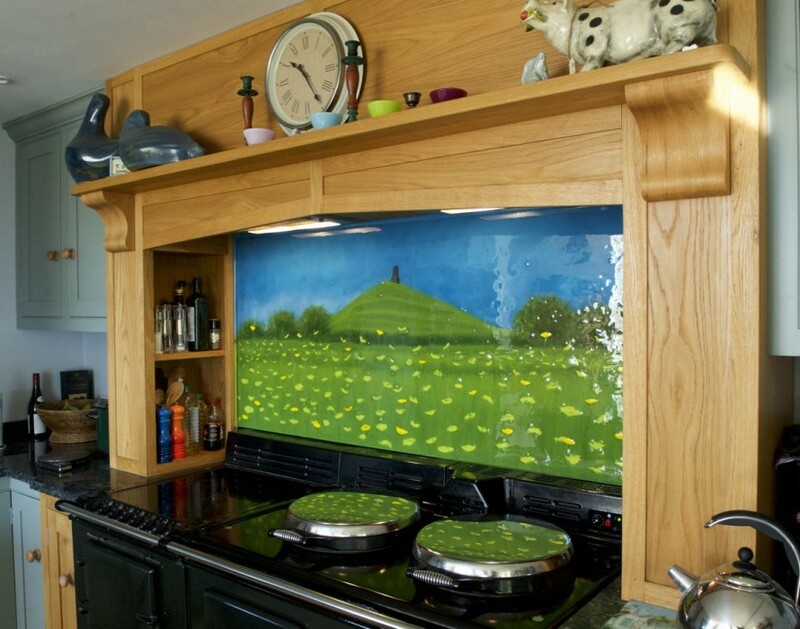 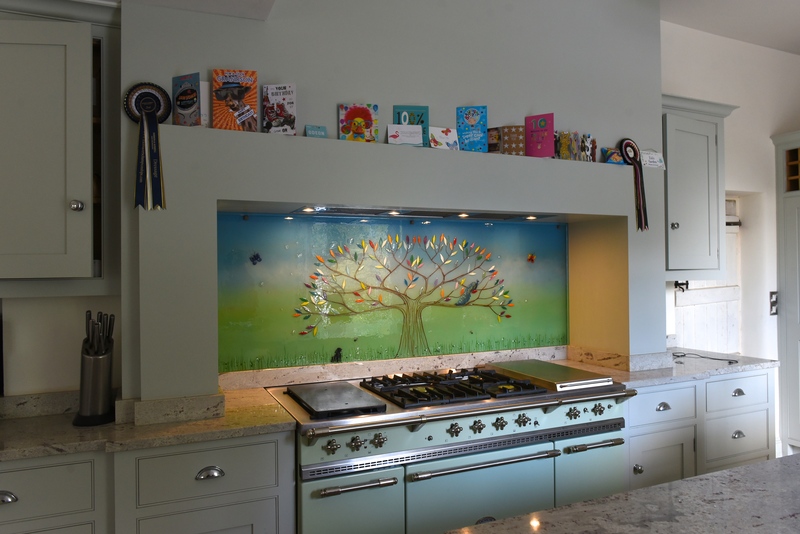 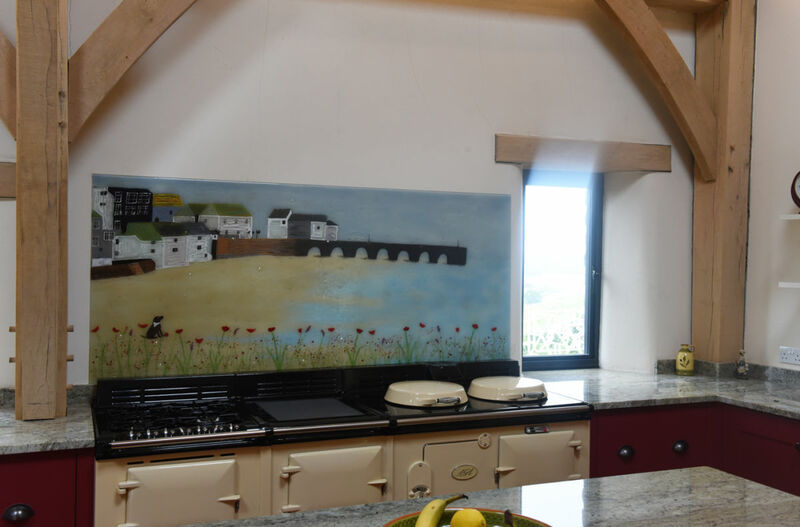 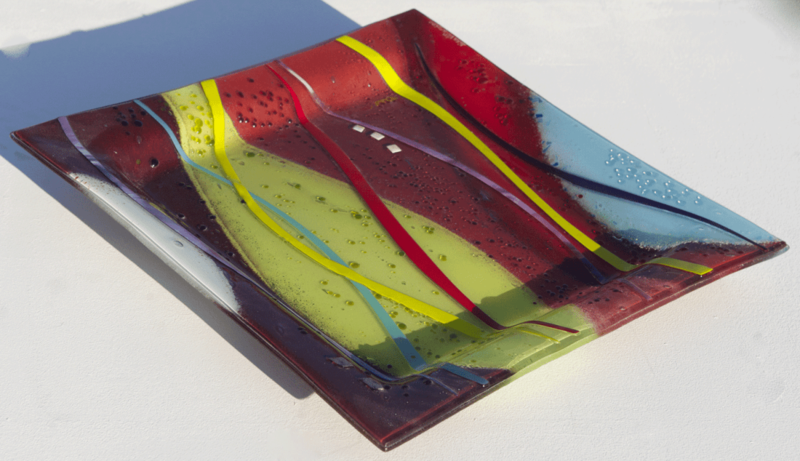 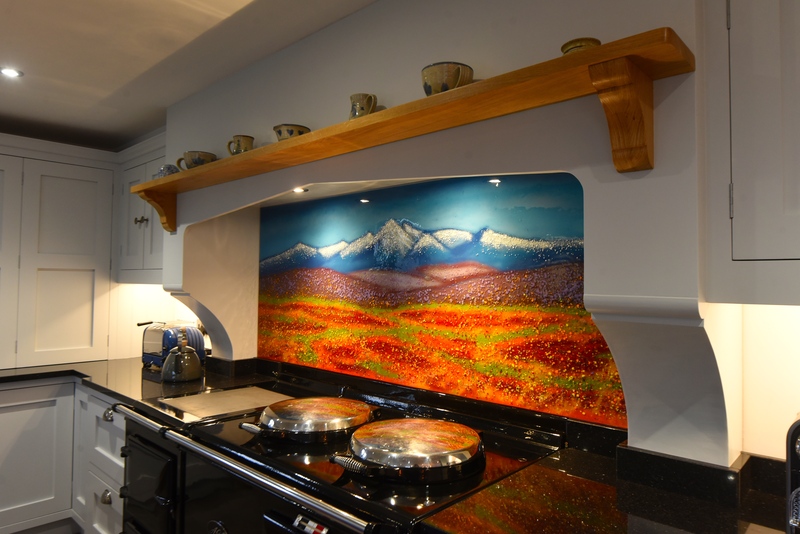 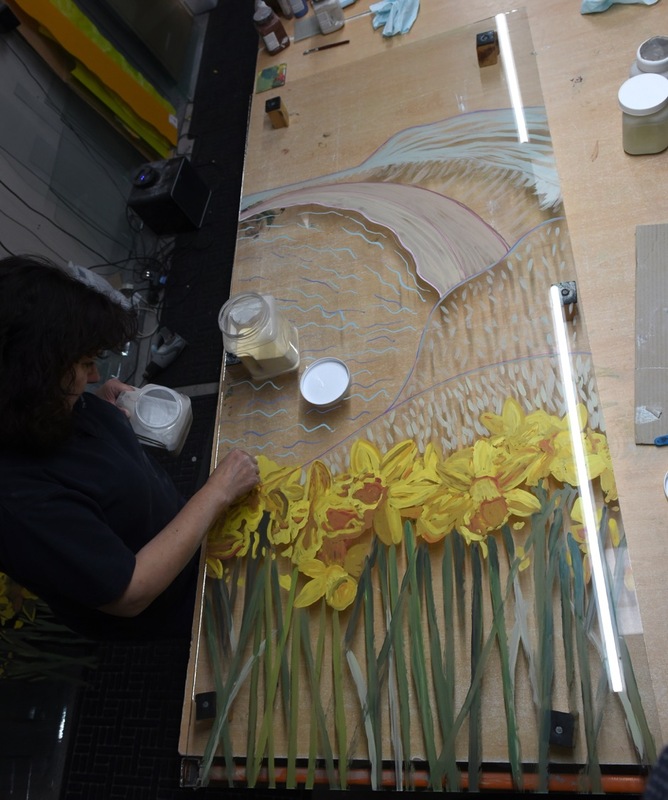 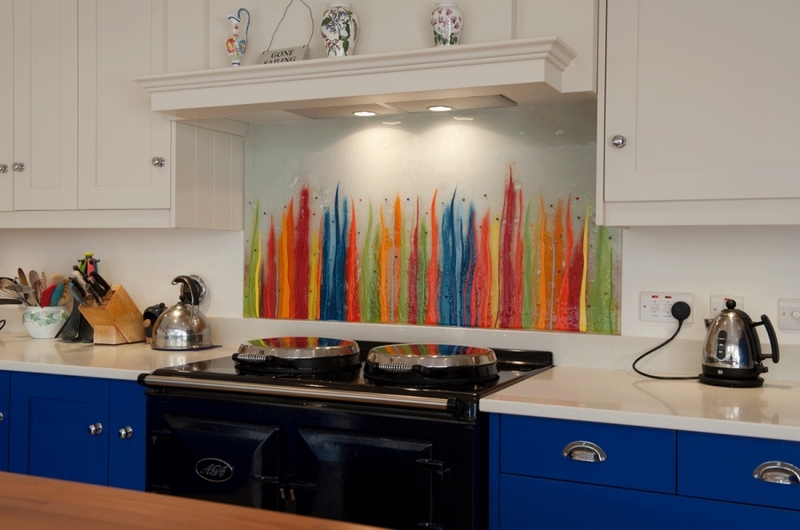 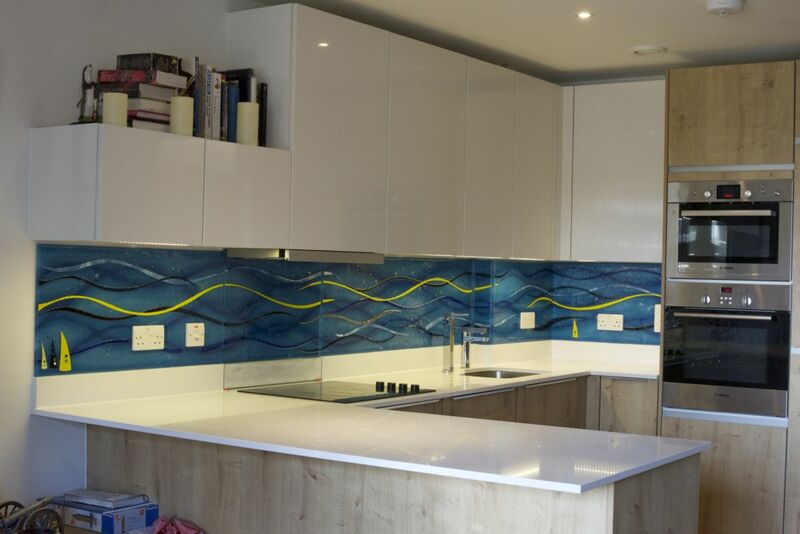 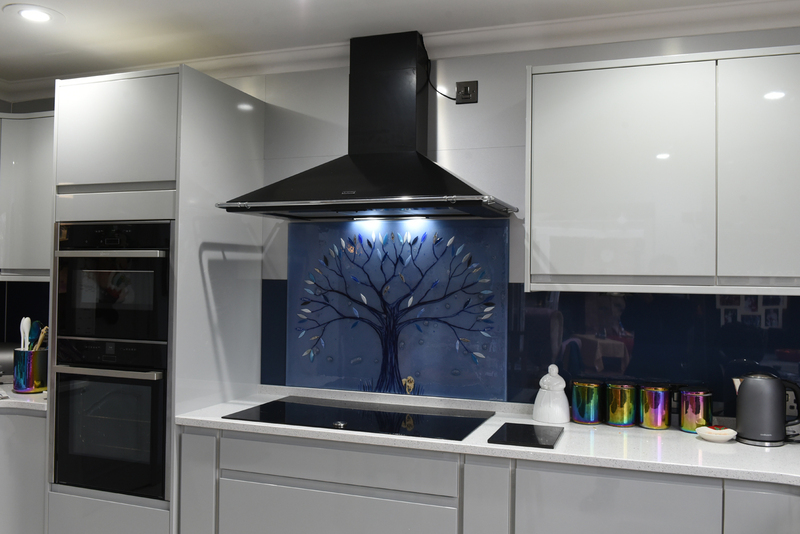 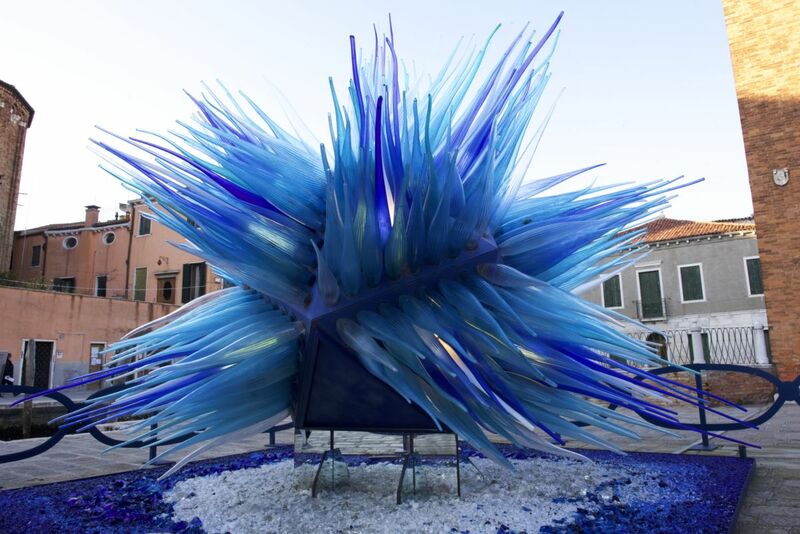 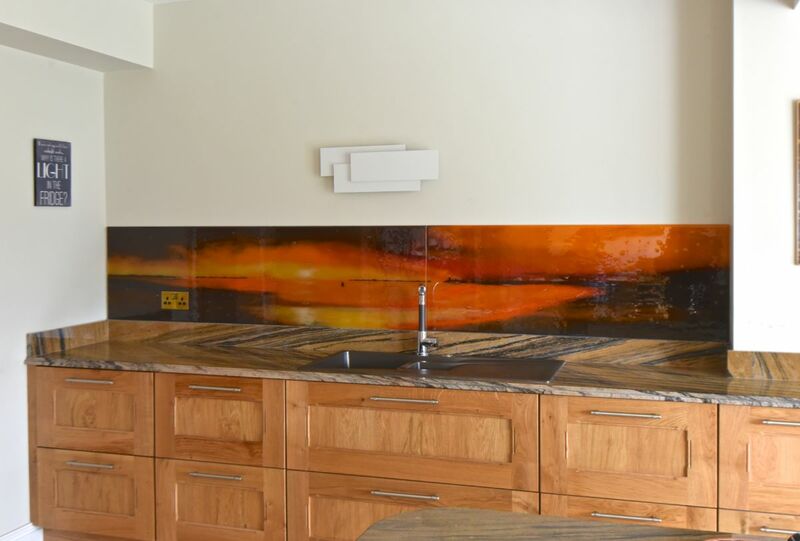 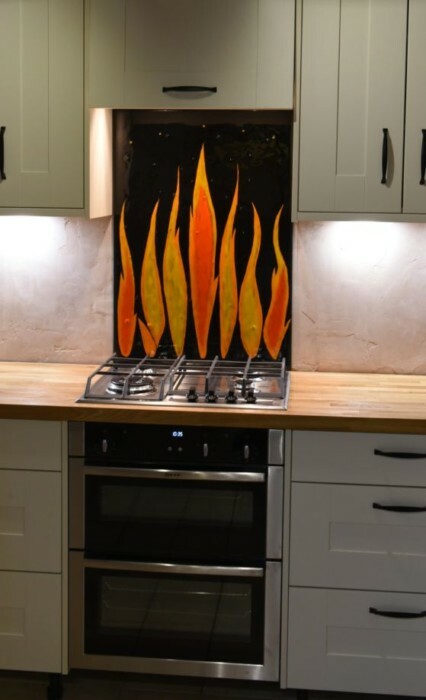 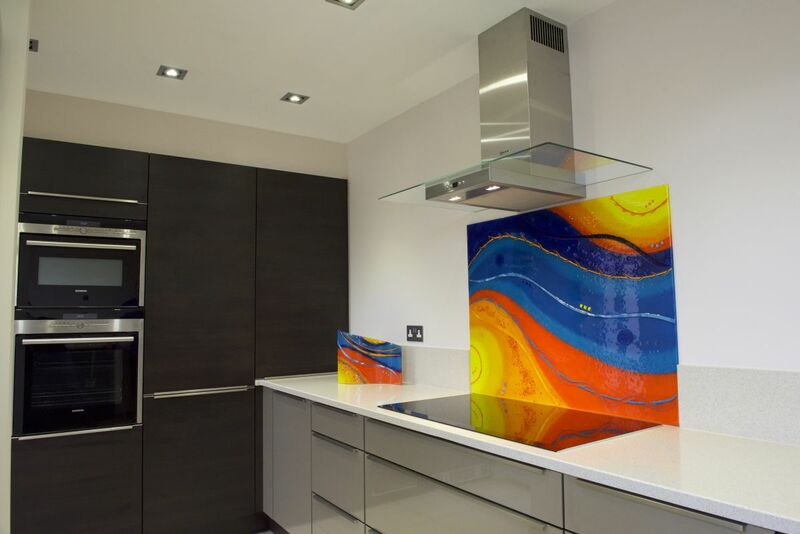 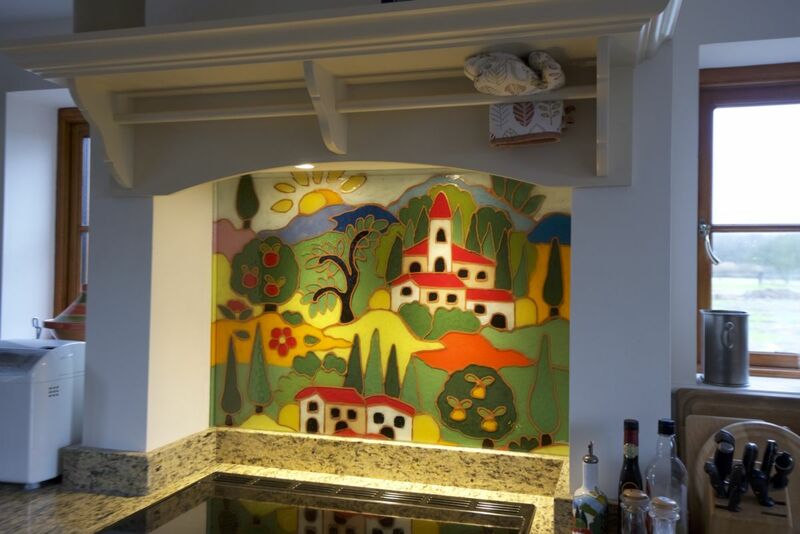 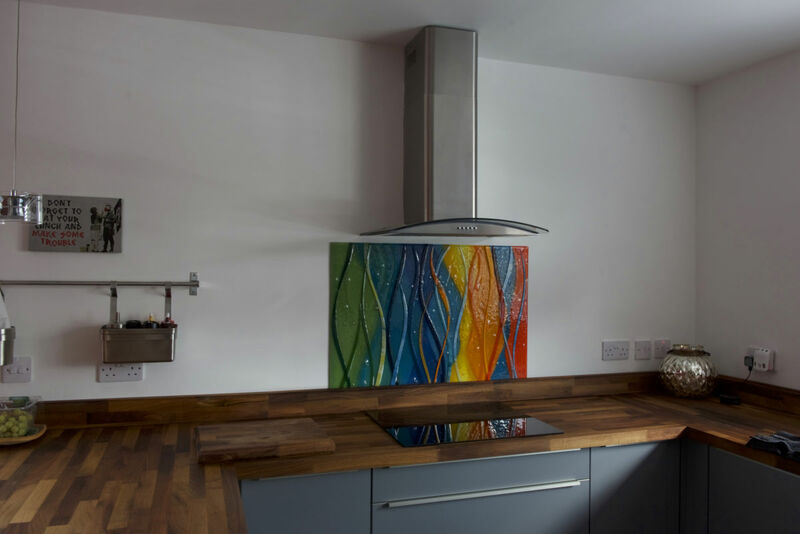 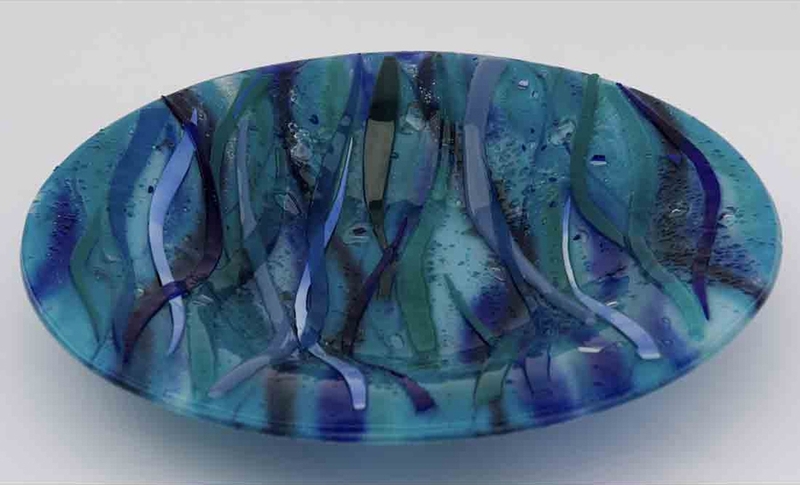 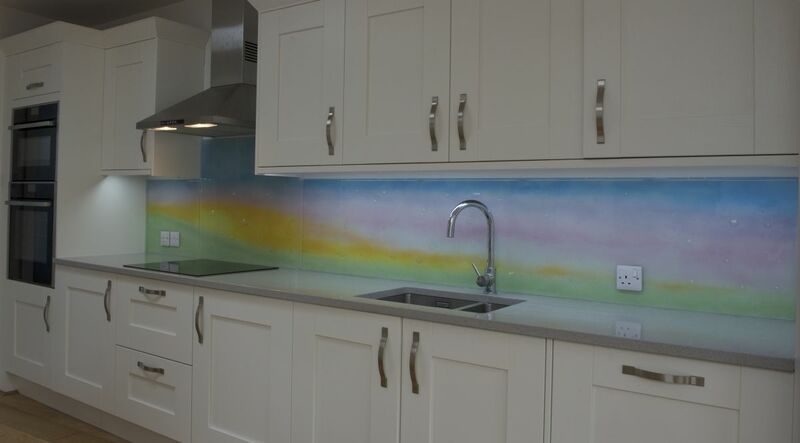 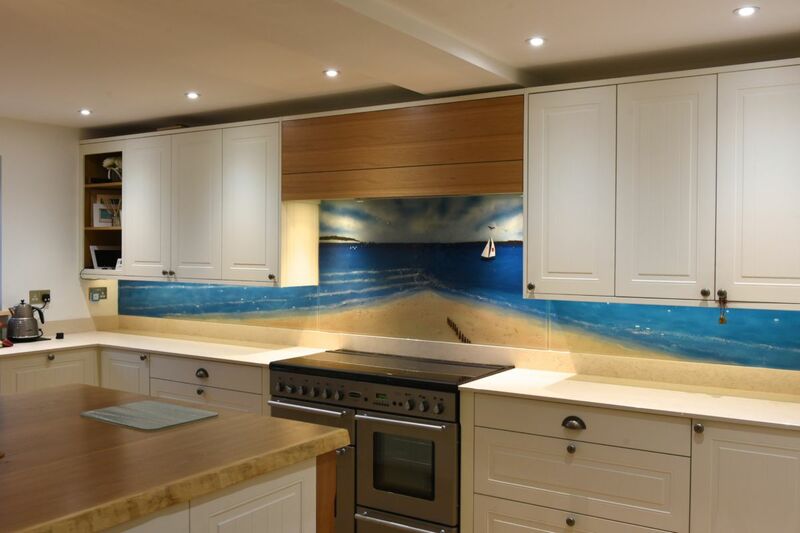 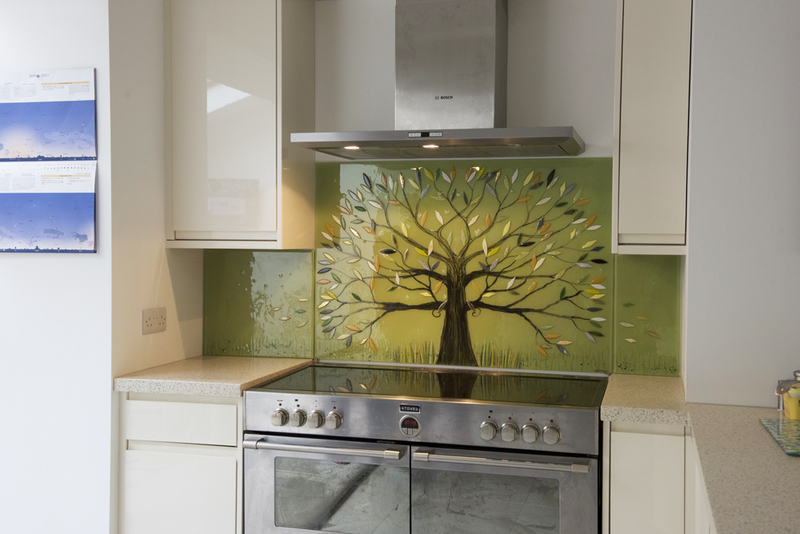 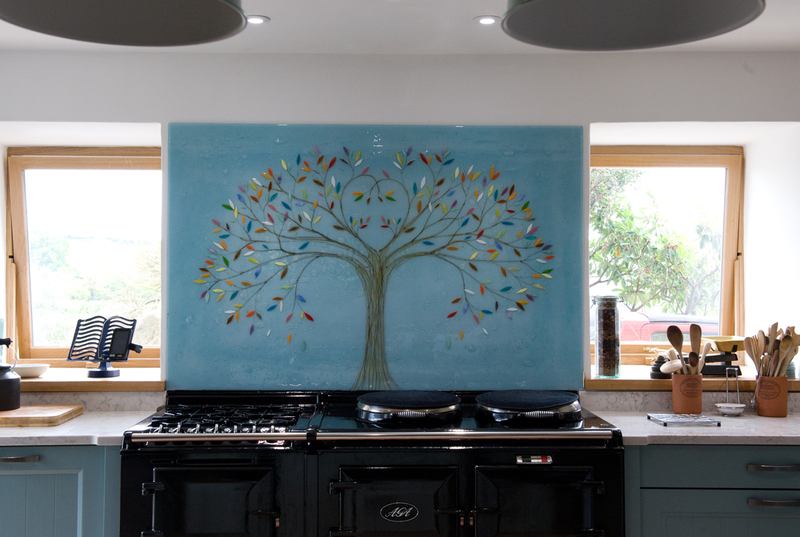 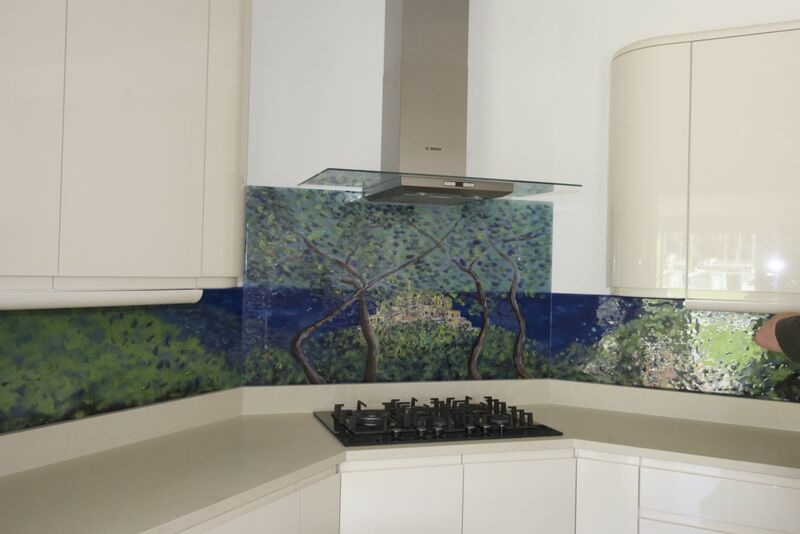 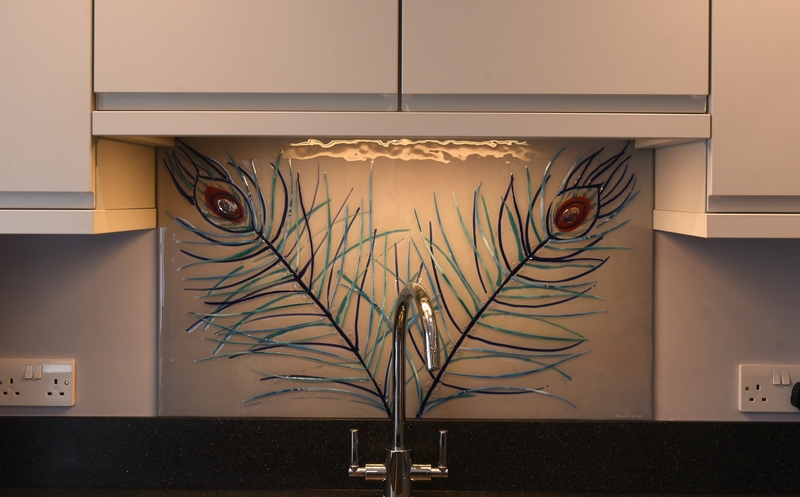 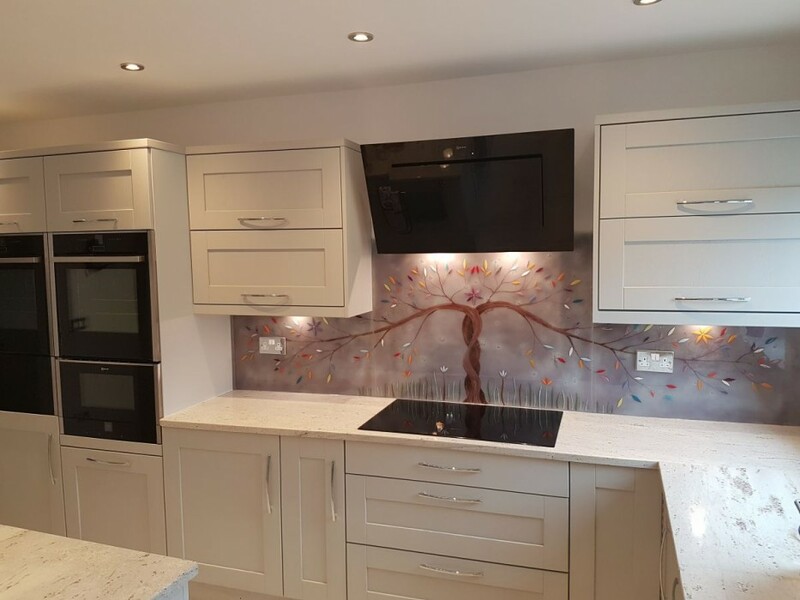 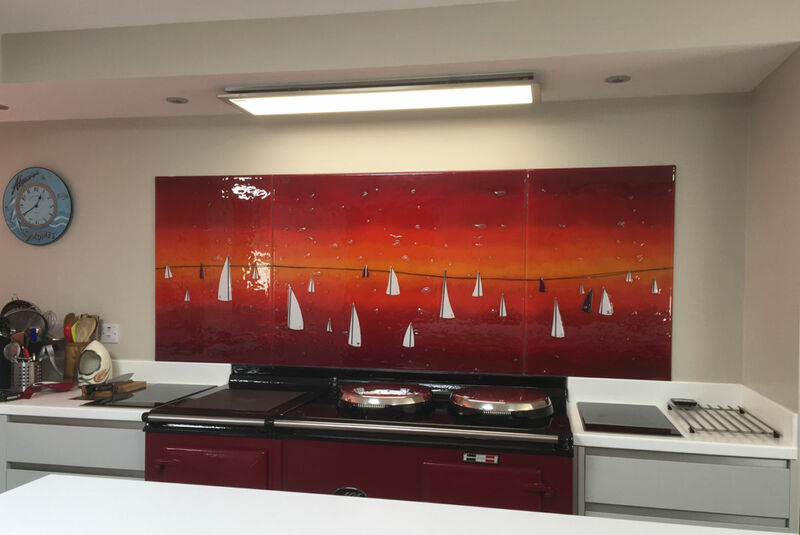 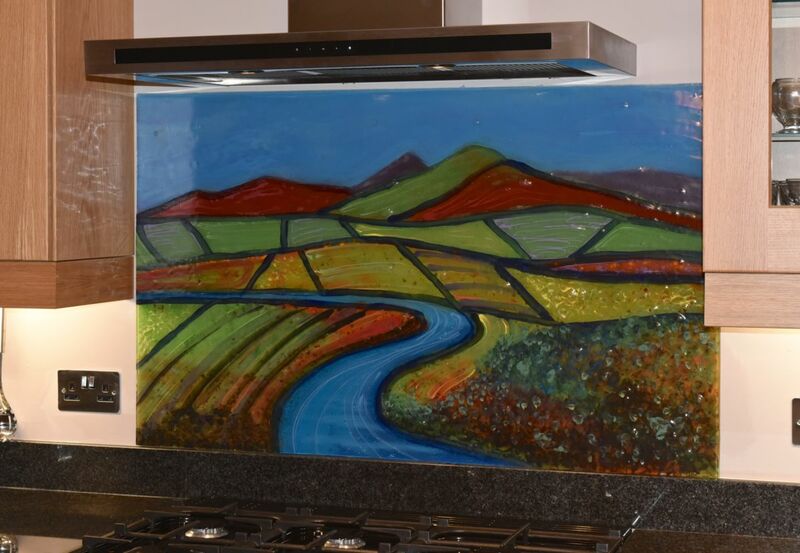 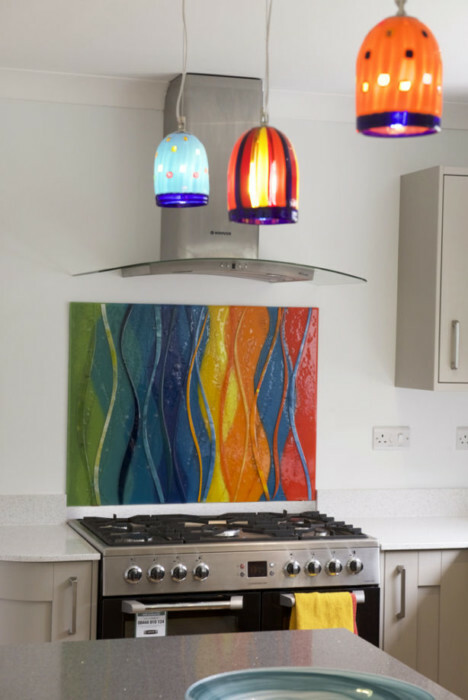 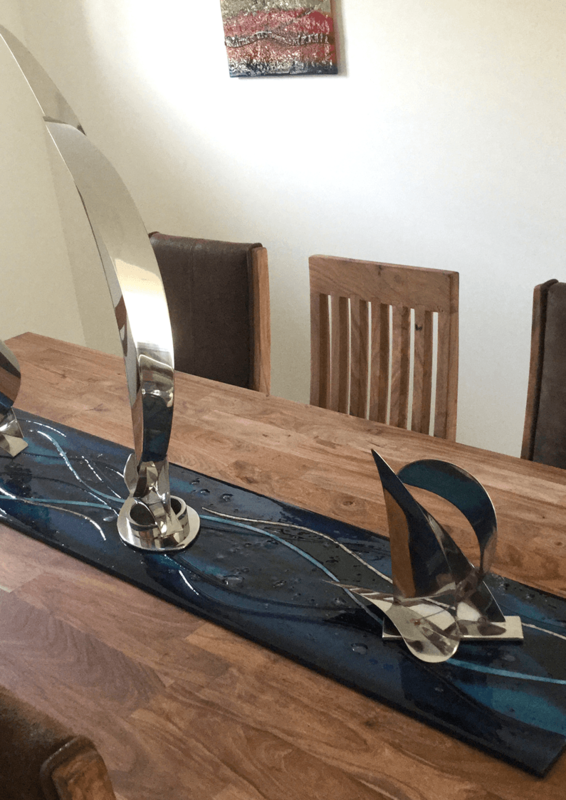 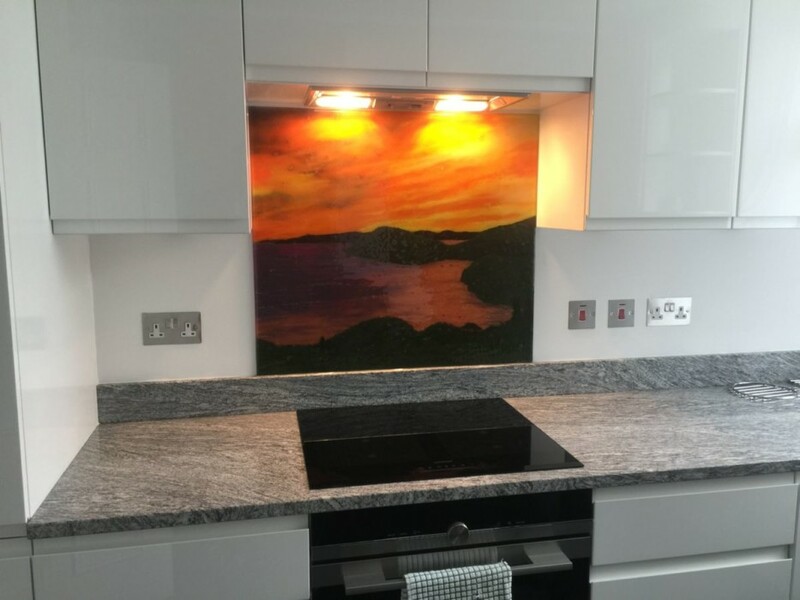 We here at The House of Ugly Fish are market leaders in the world of fused glass art, and there’s absolutely nowhere else to go if you’re looking to bring your perfect piece of glass to life. 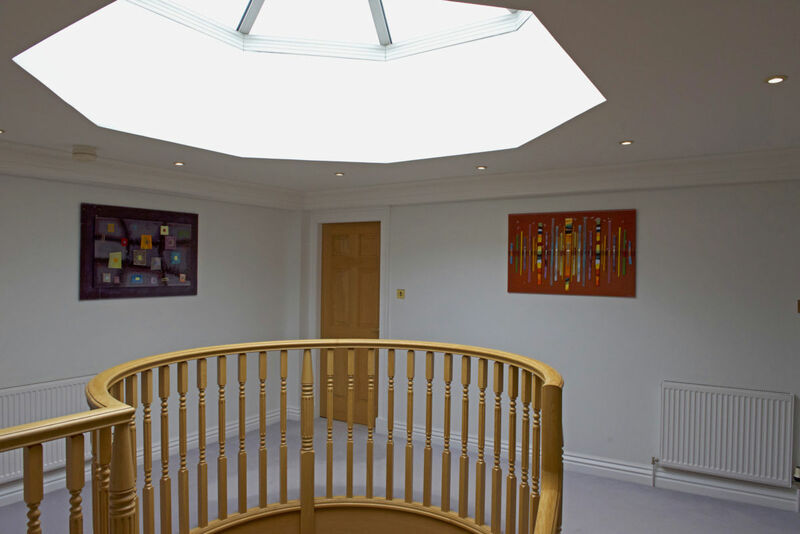 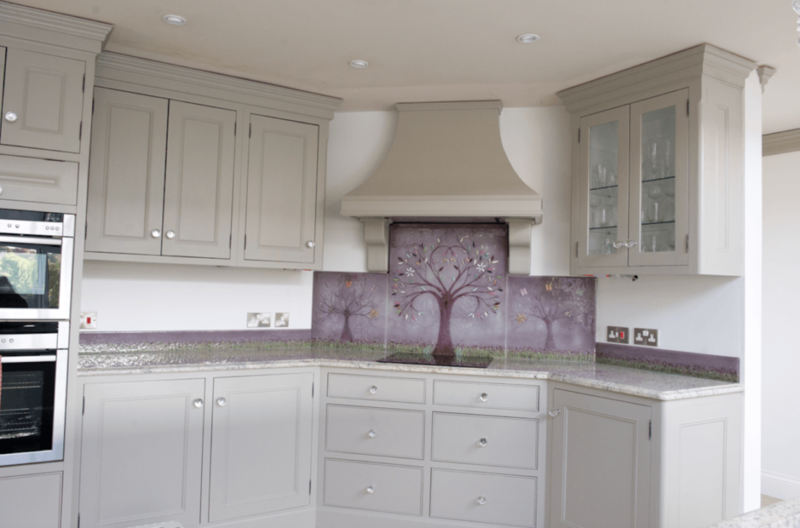 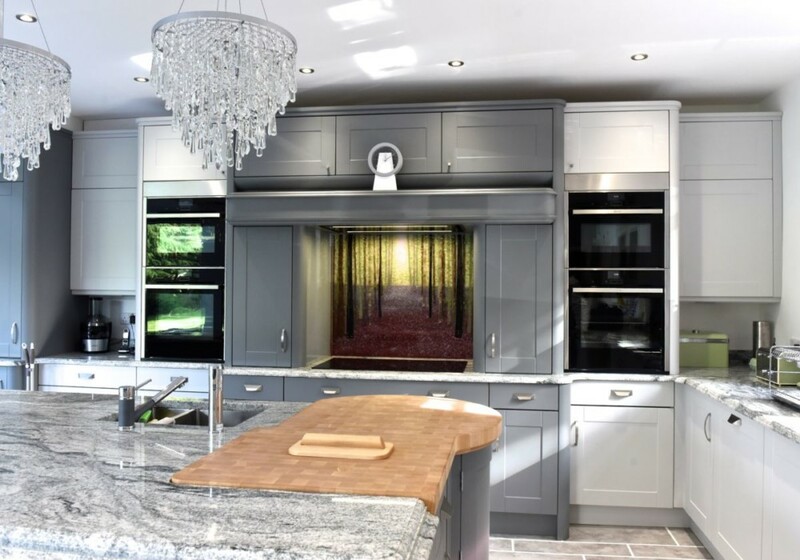 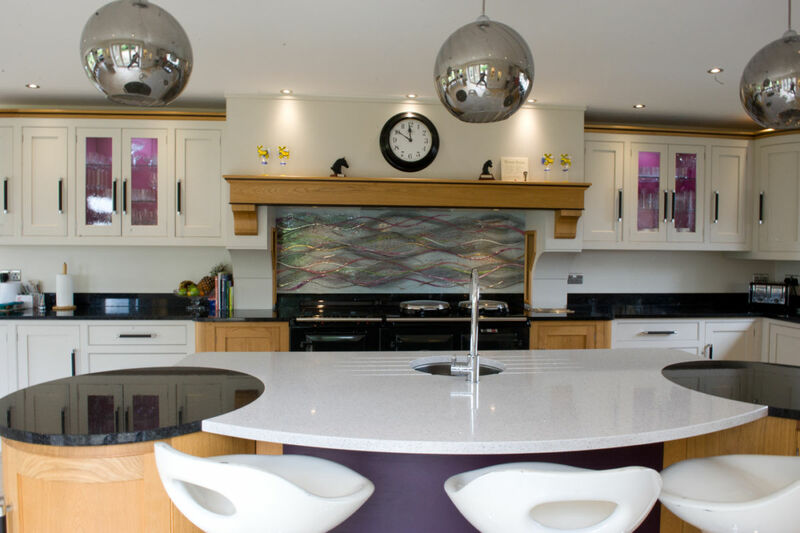 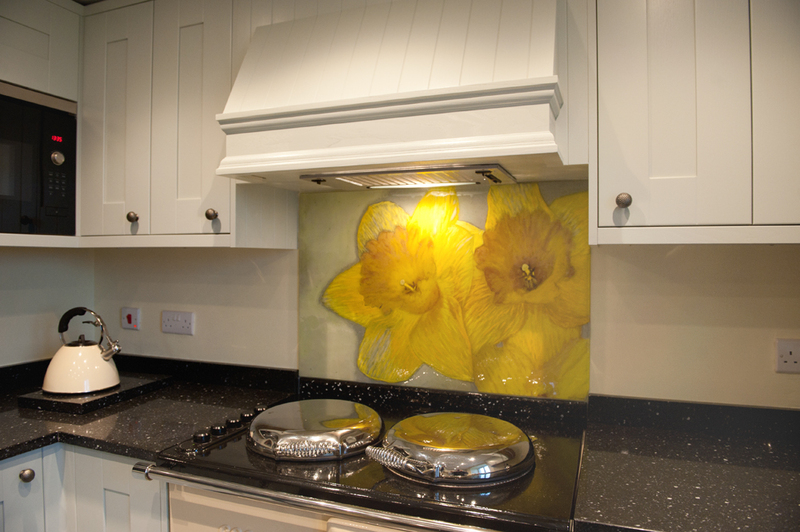 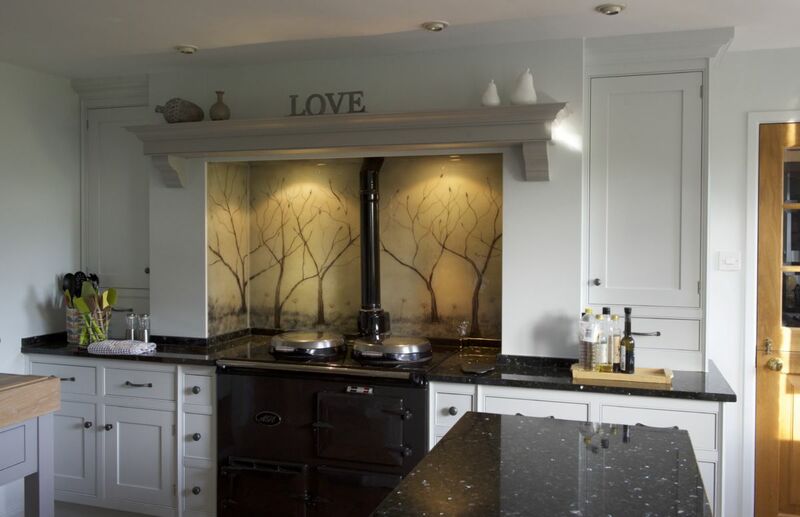 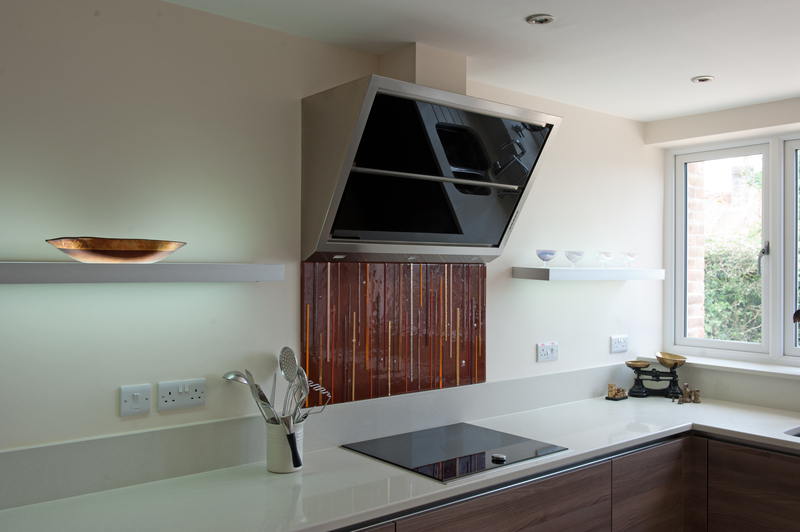 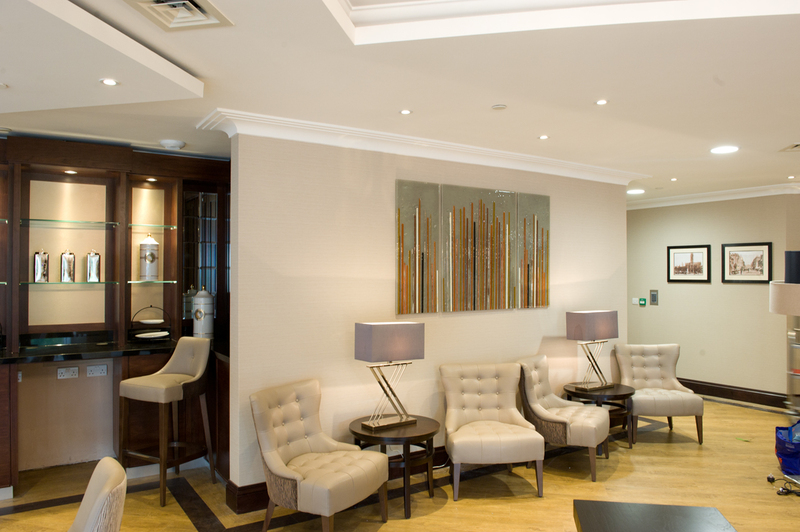 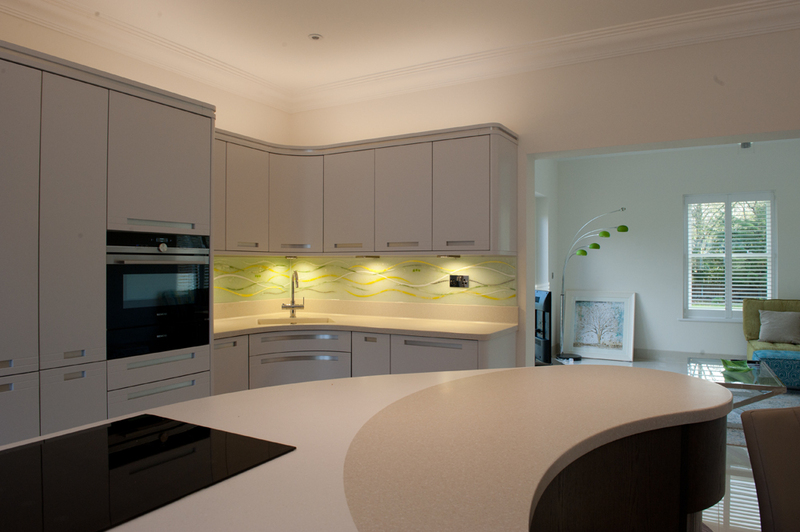 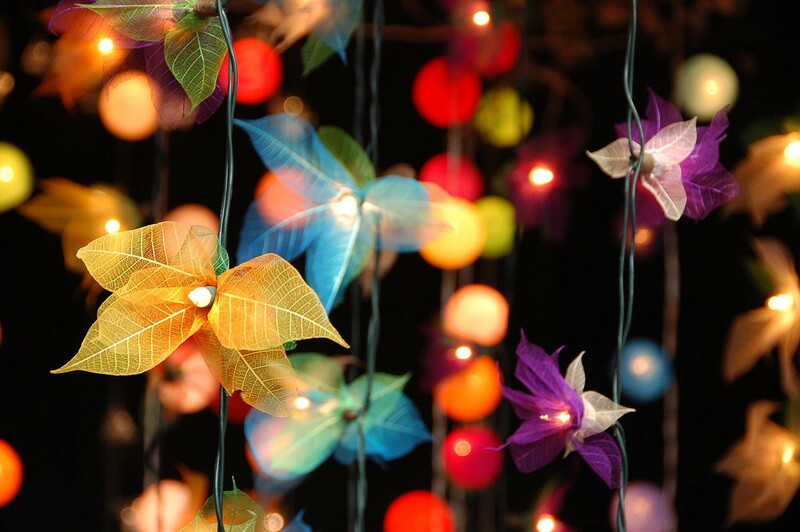 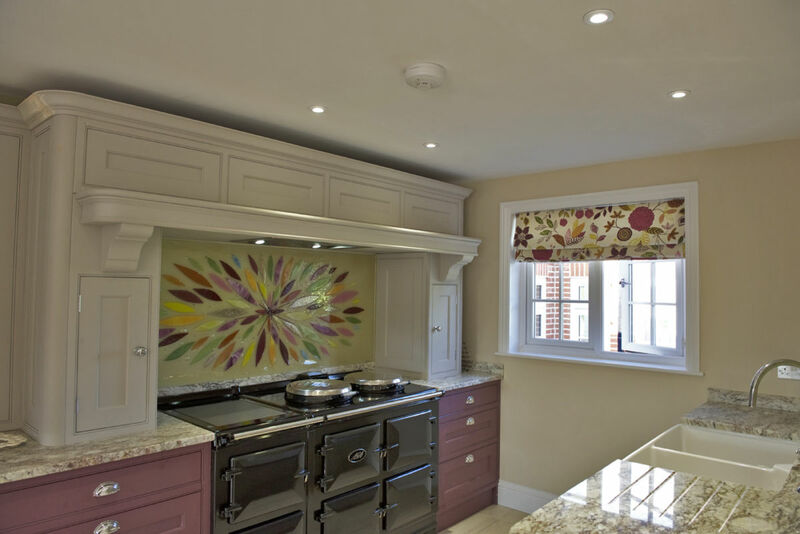 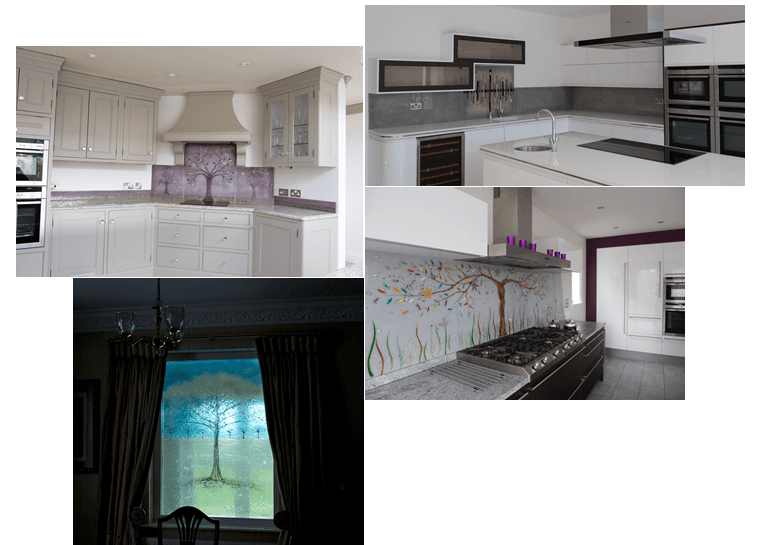 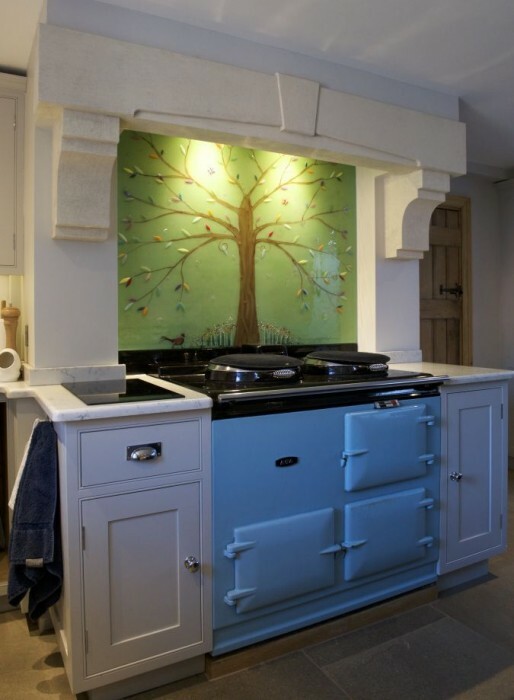 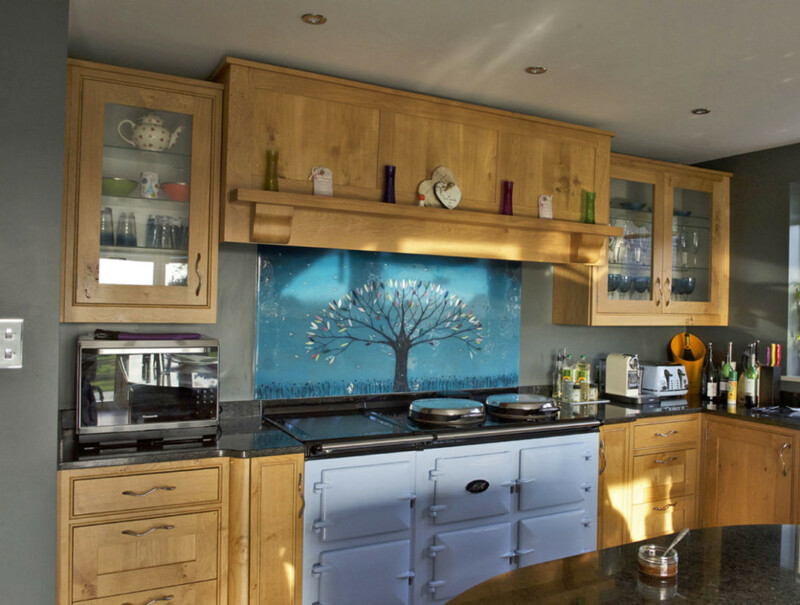 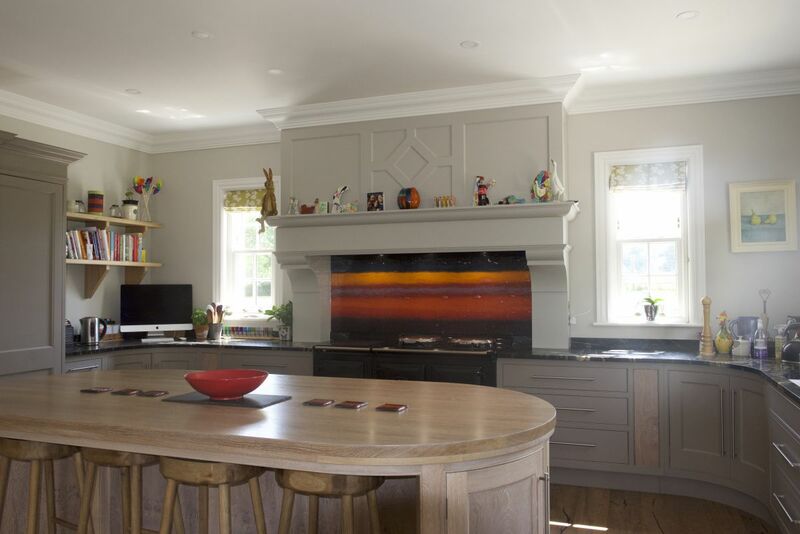 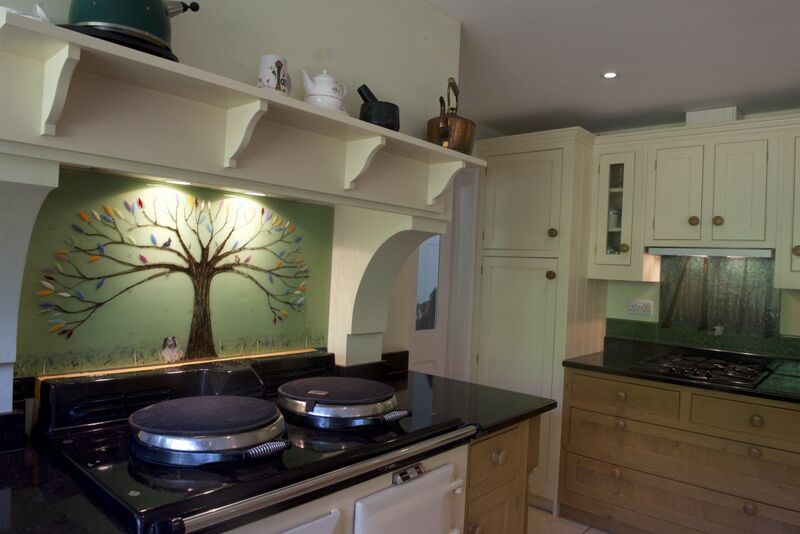 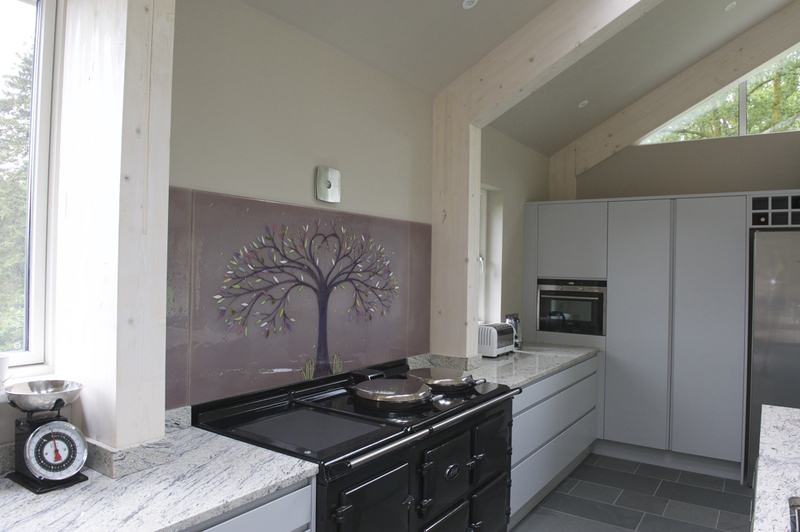 Let us know all of your best ideas, and we’ll be able to discuss how our bespoke process can work for you. 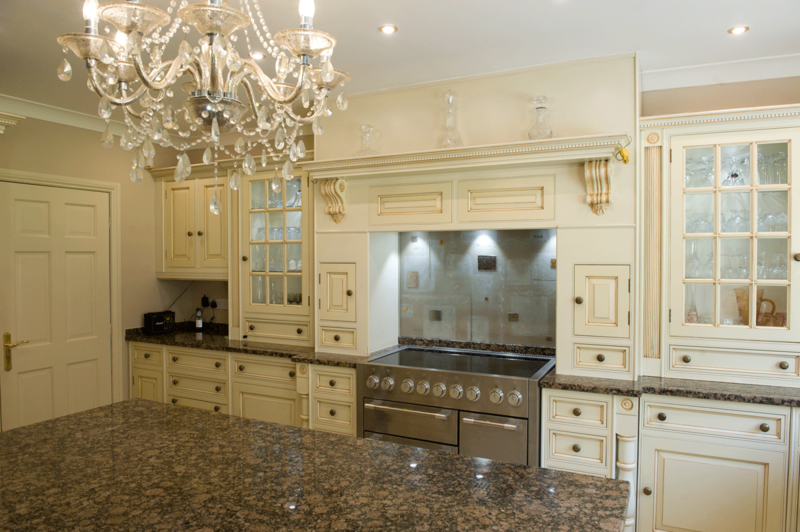 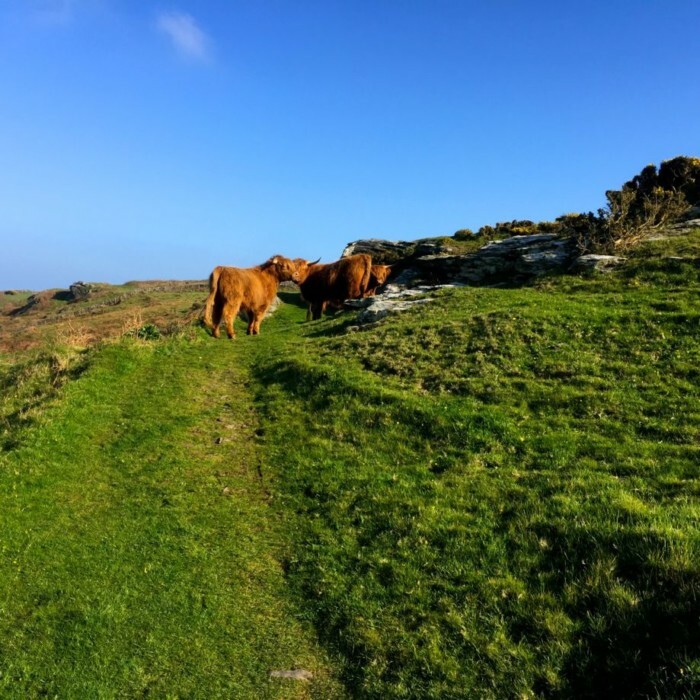 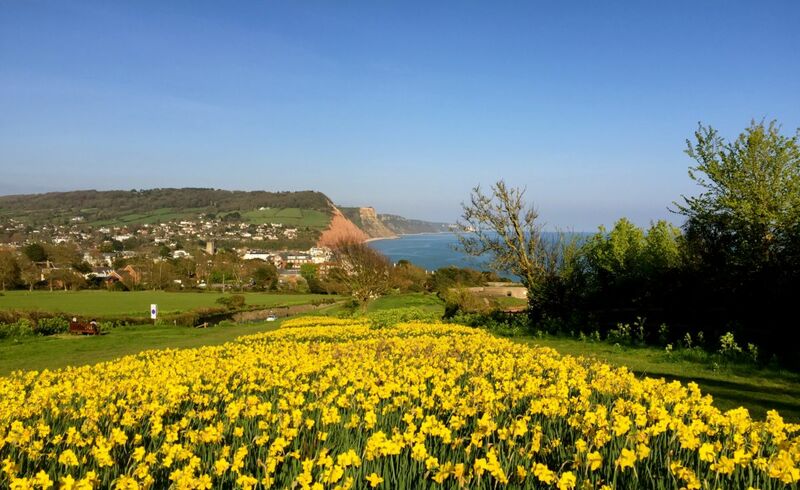 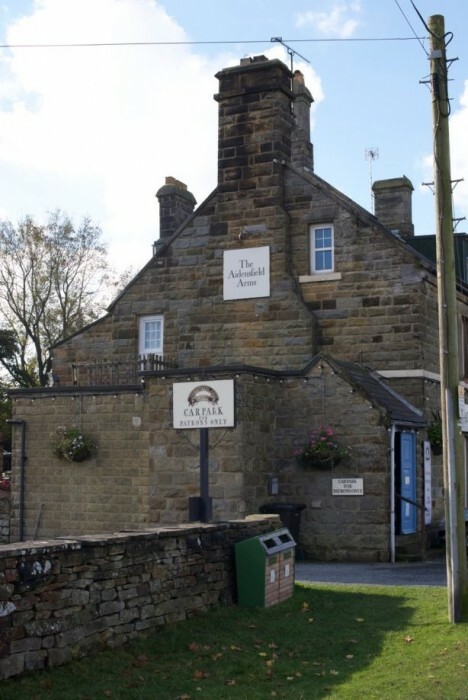 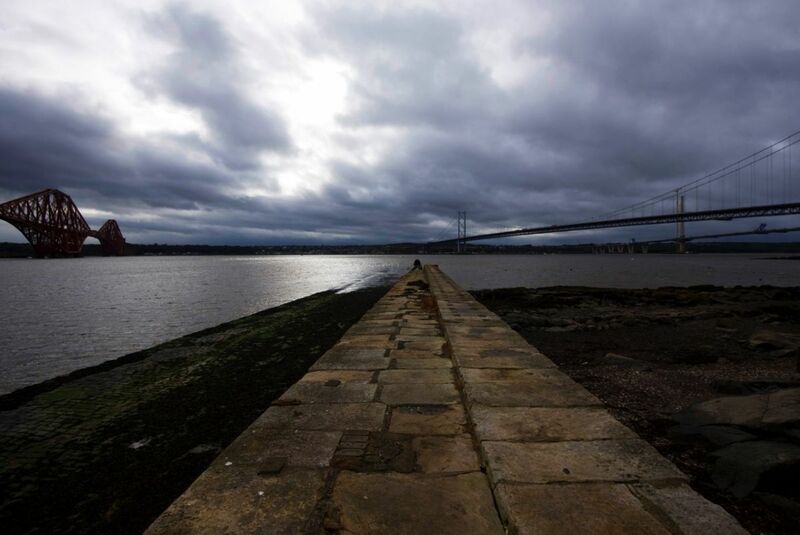 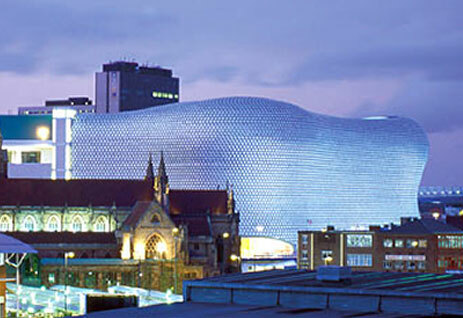 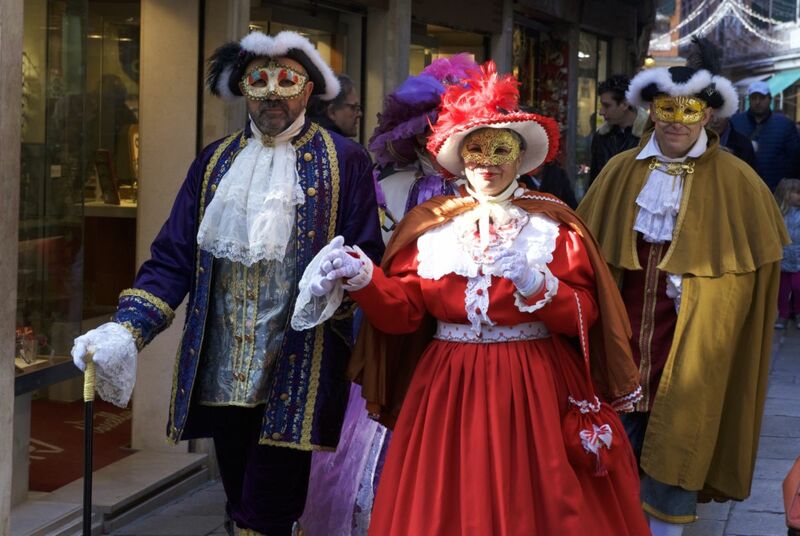 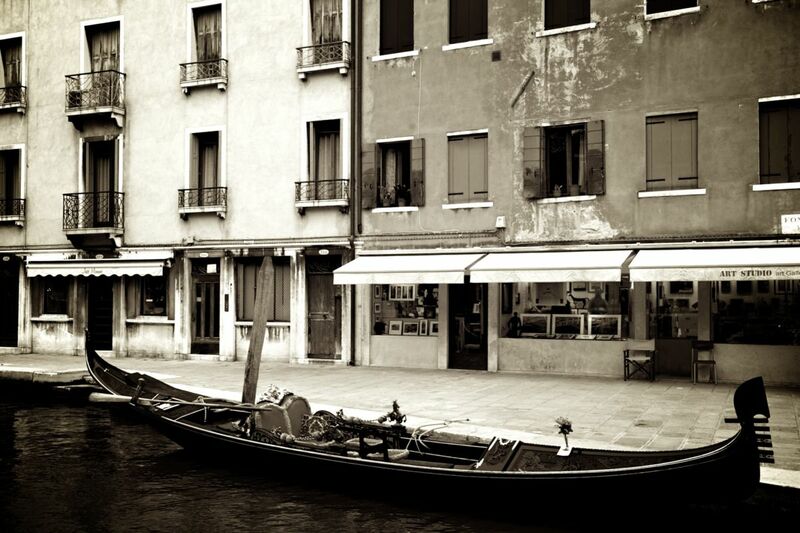 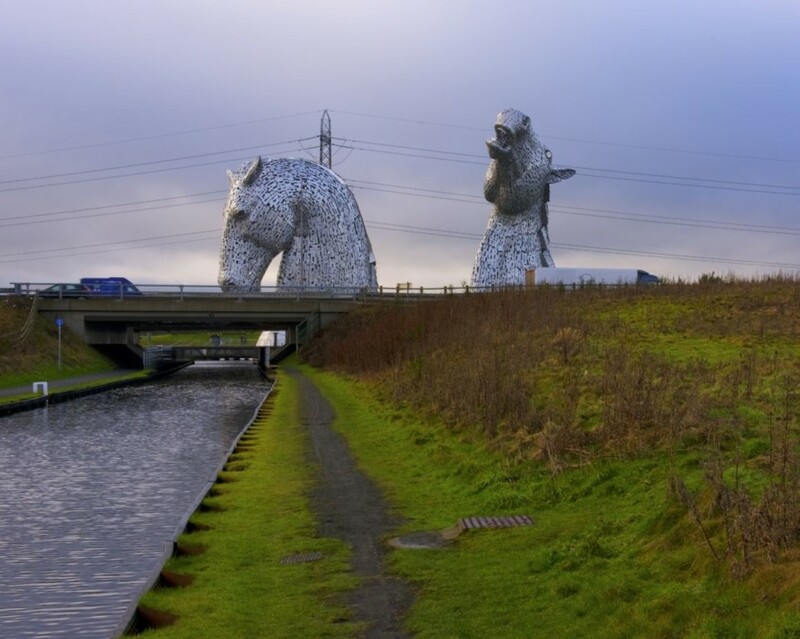 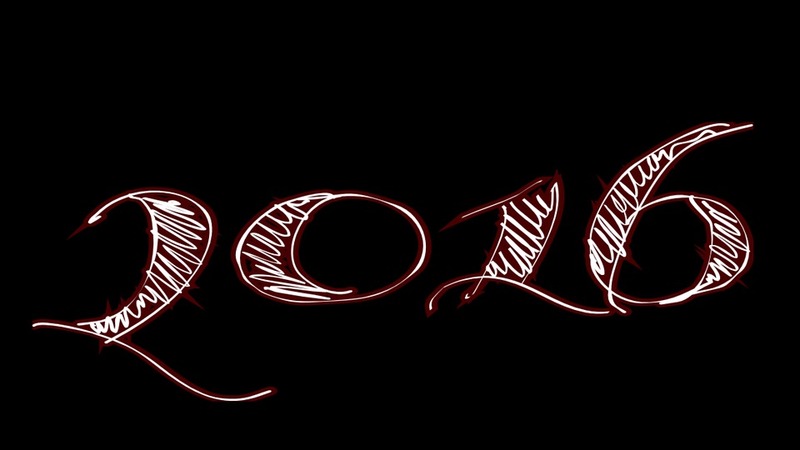 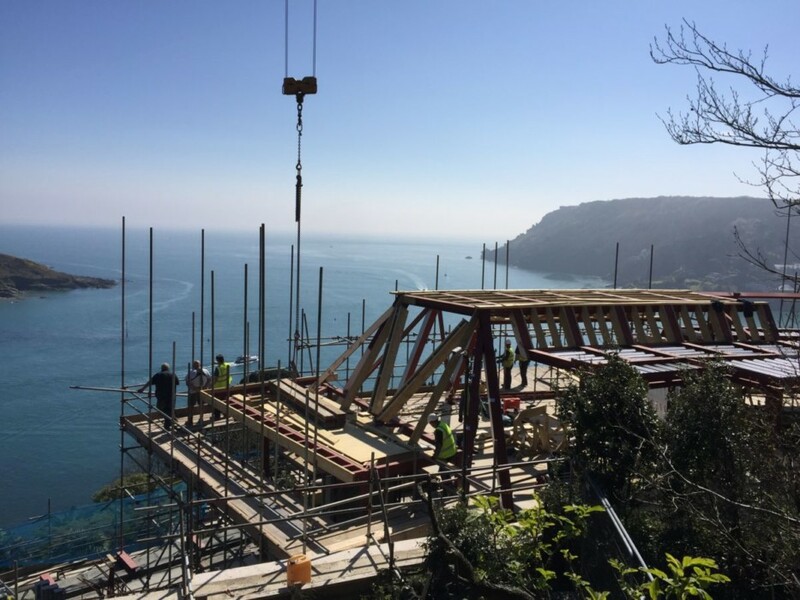 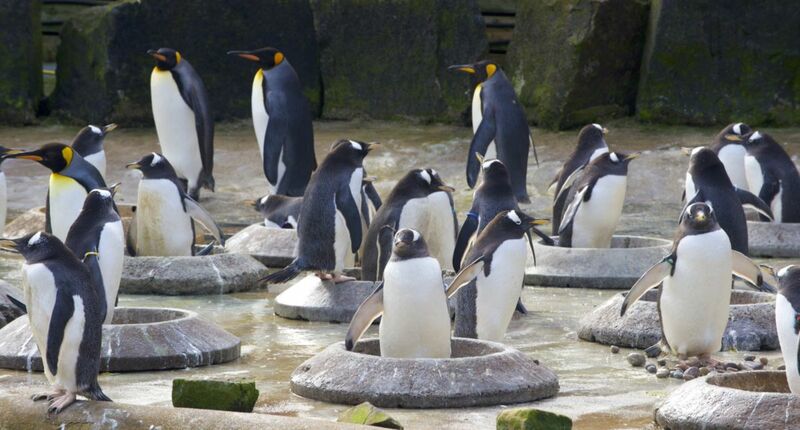 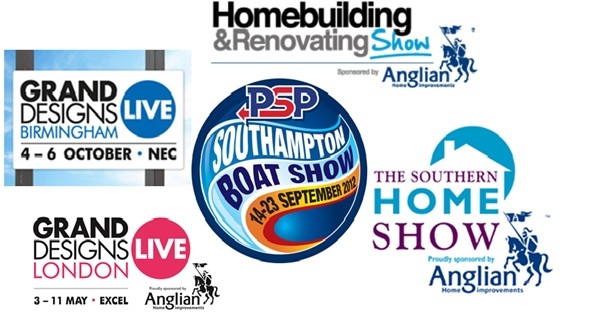 You can find our full contact details right here on our website, so don’t be shy!